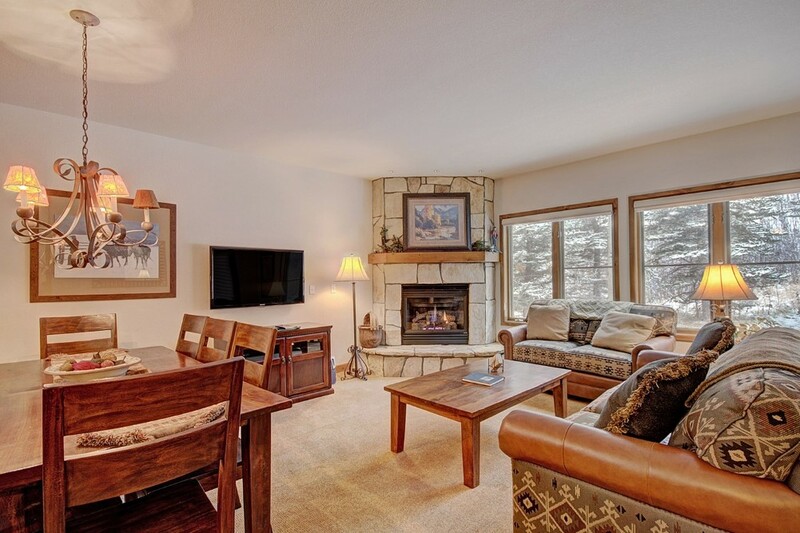 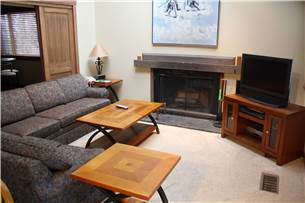 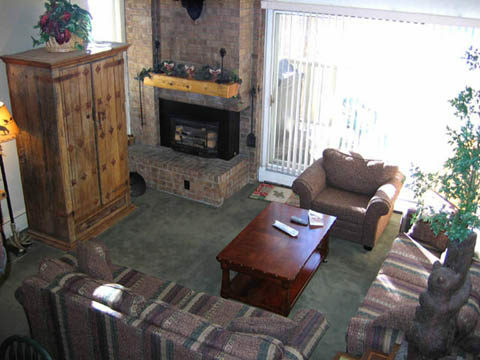 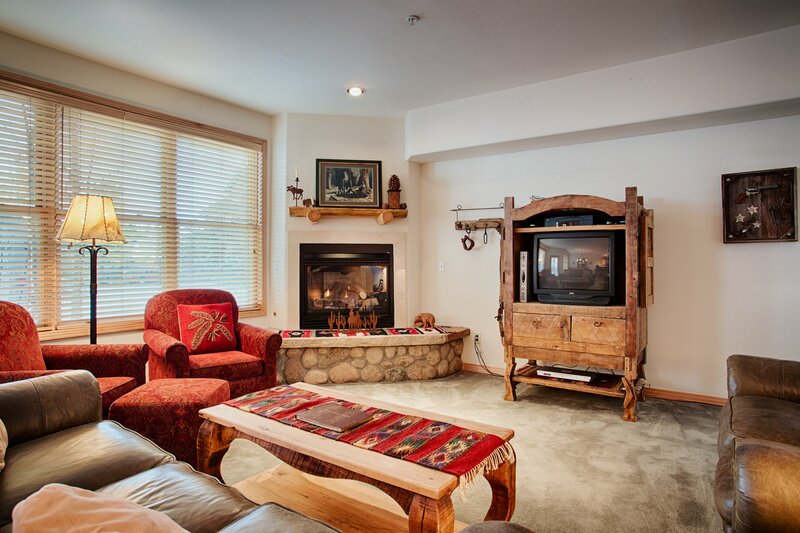 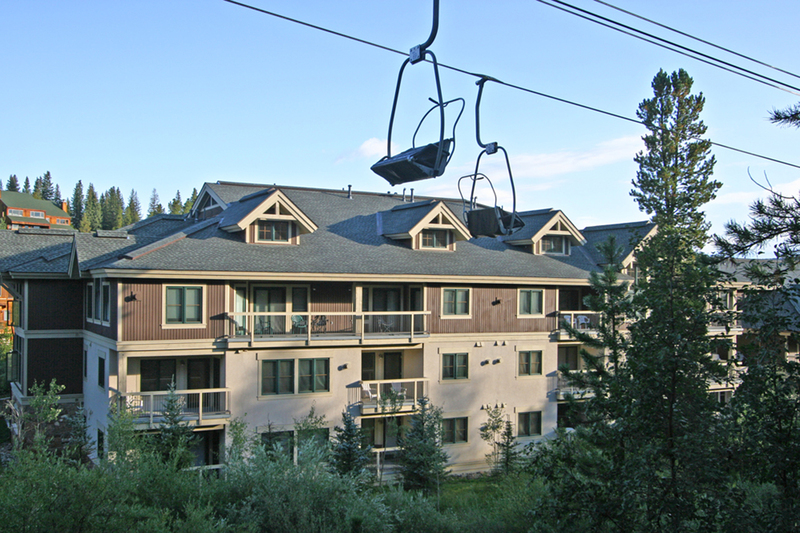 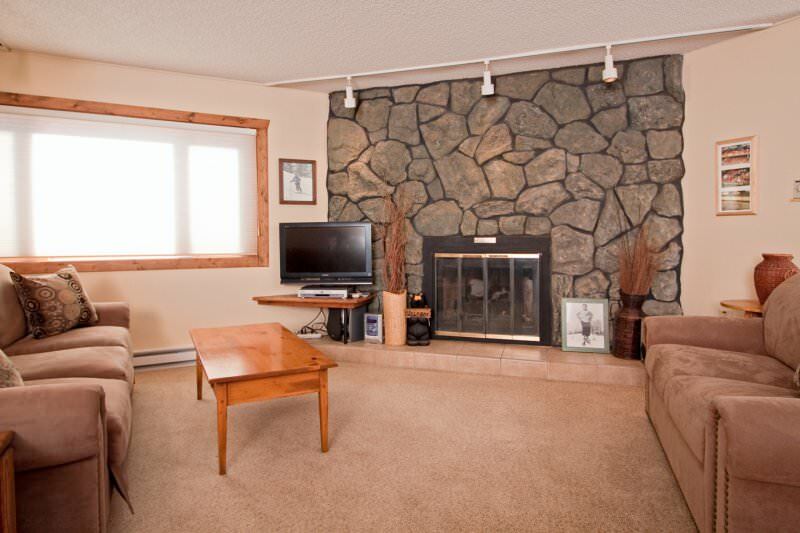 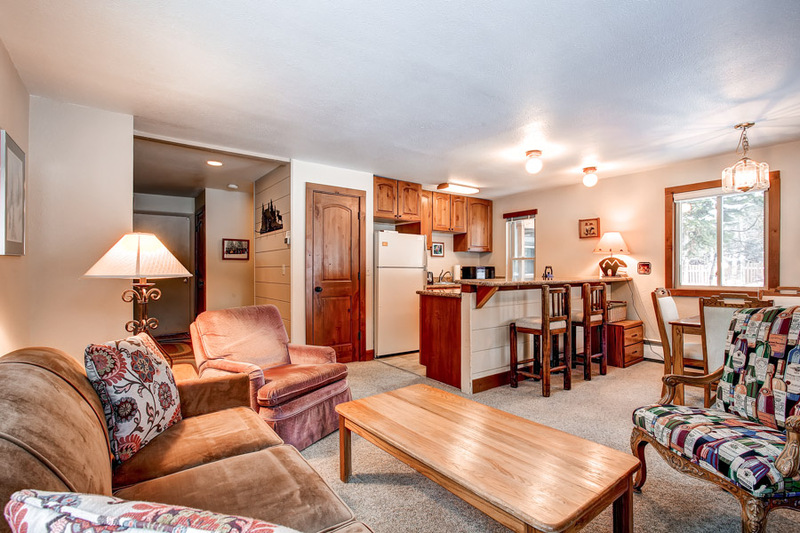 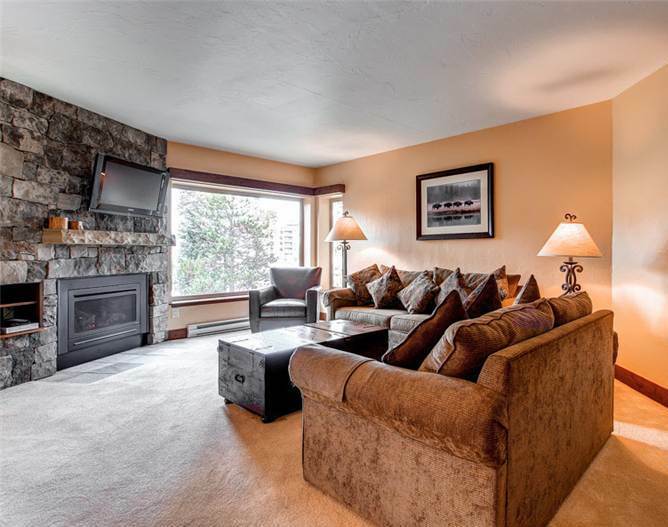 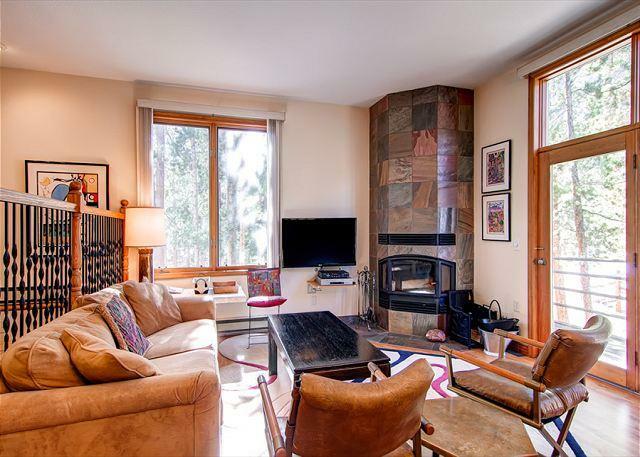 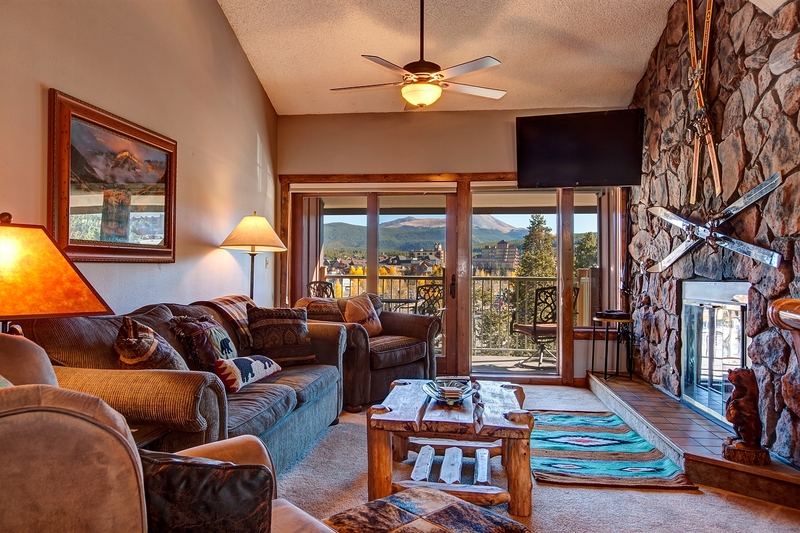 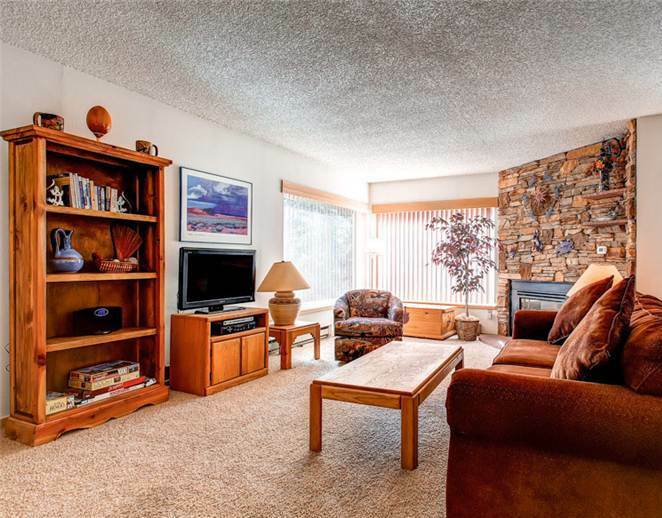 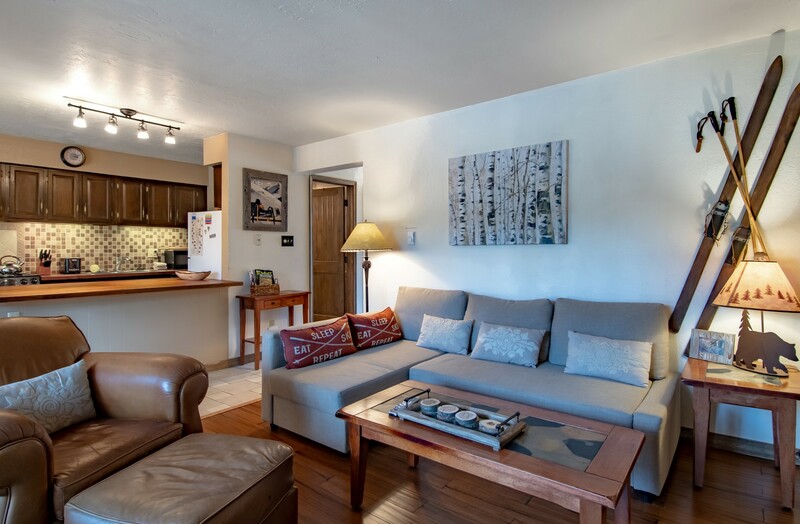 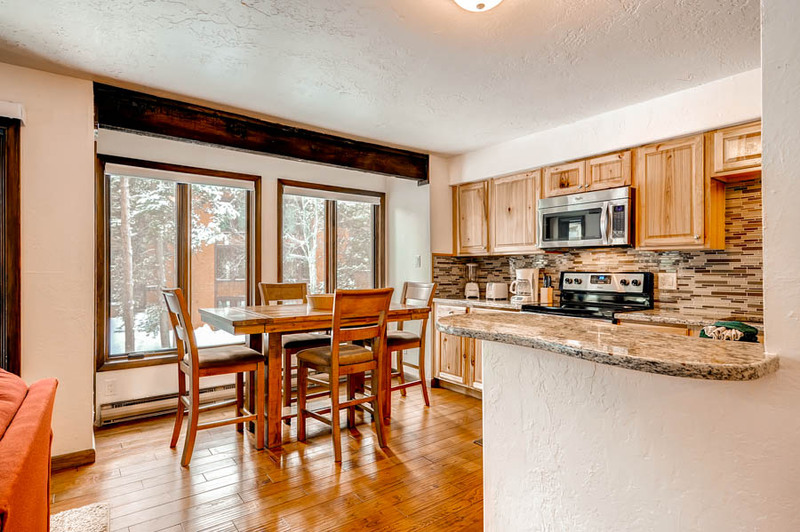 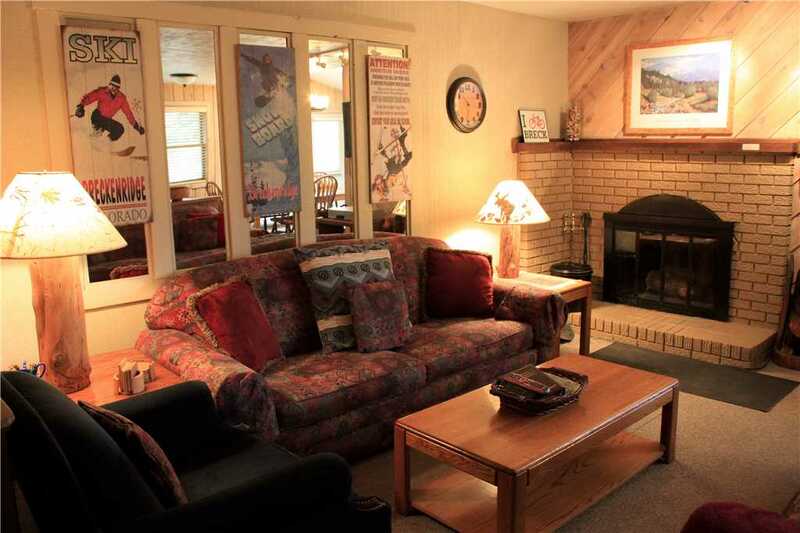 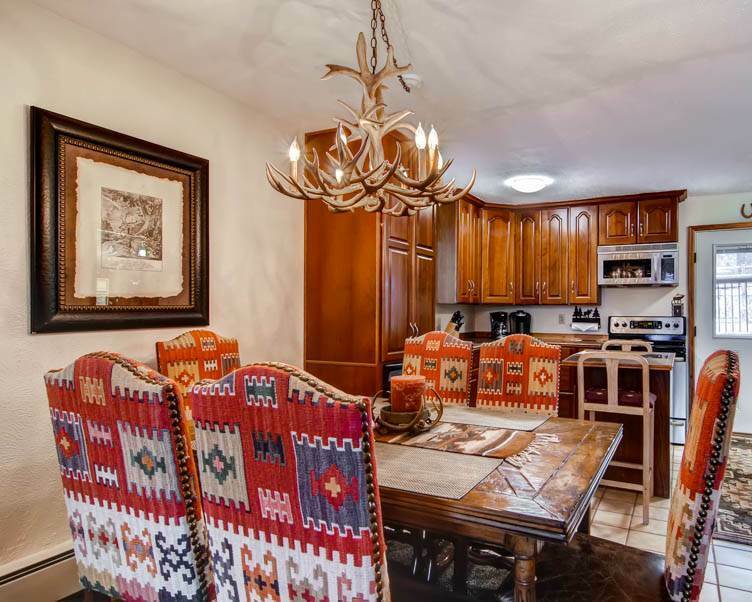 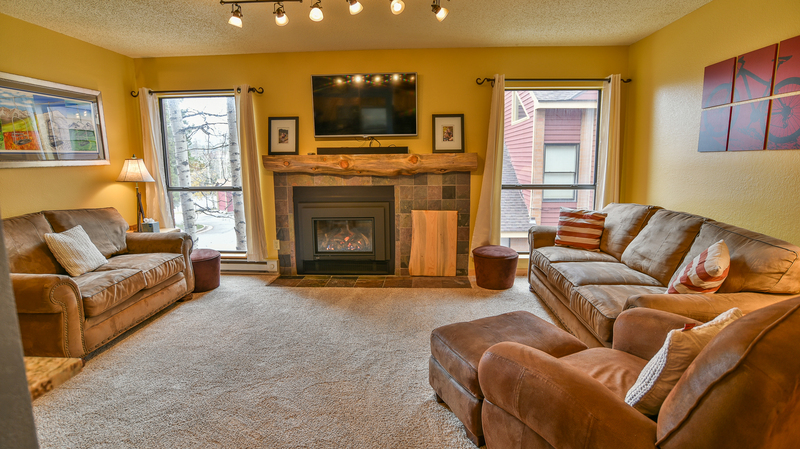 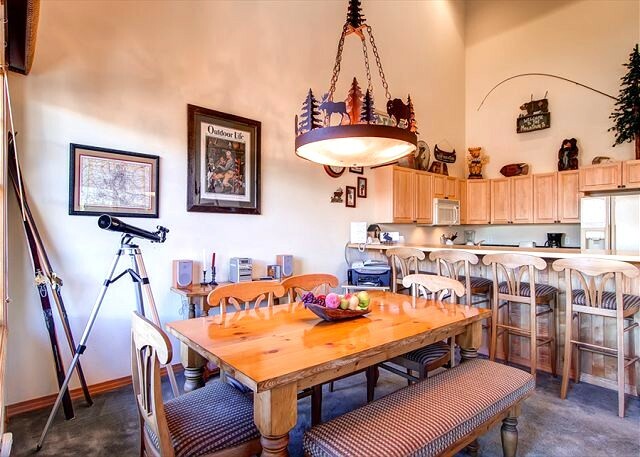 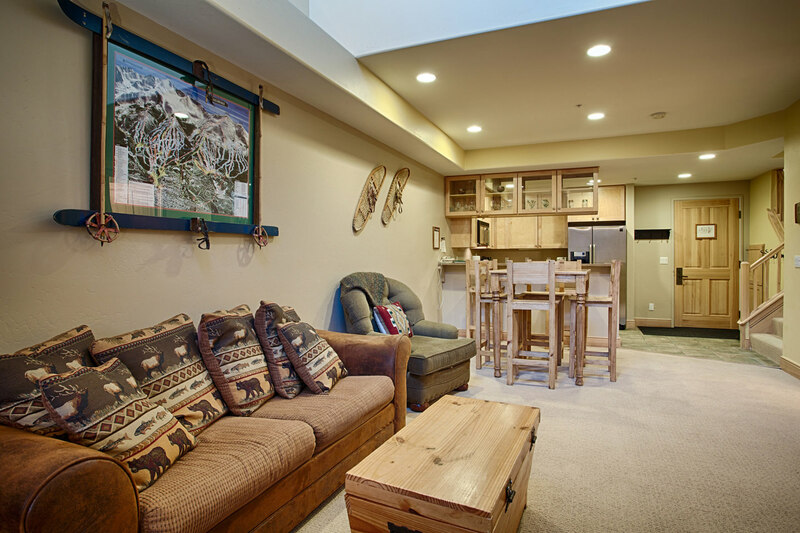 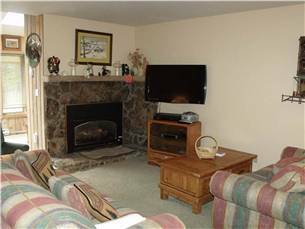 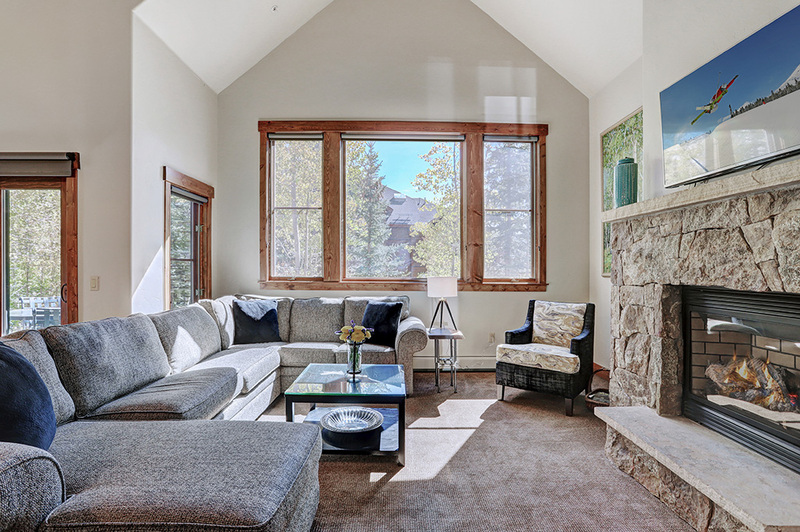 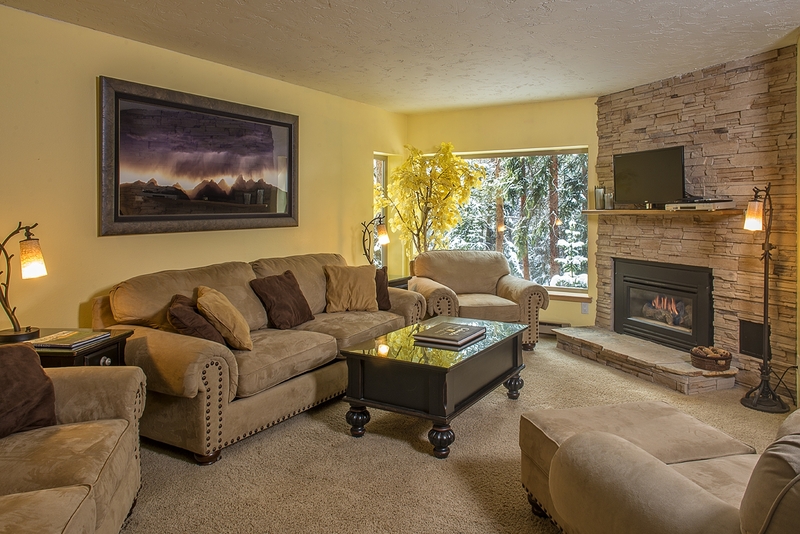 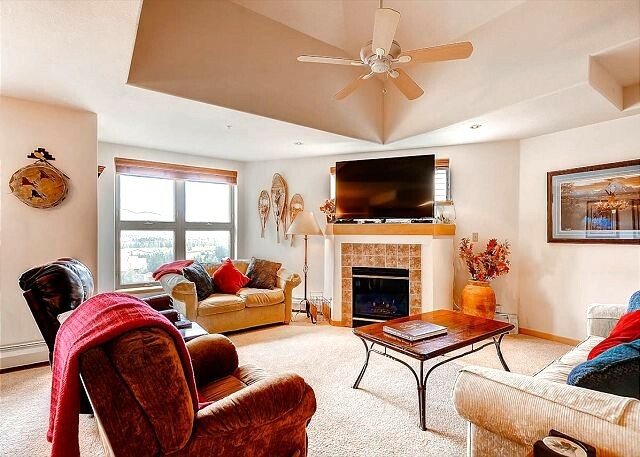 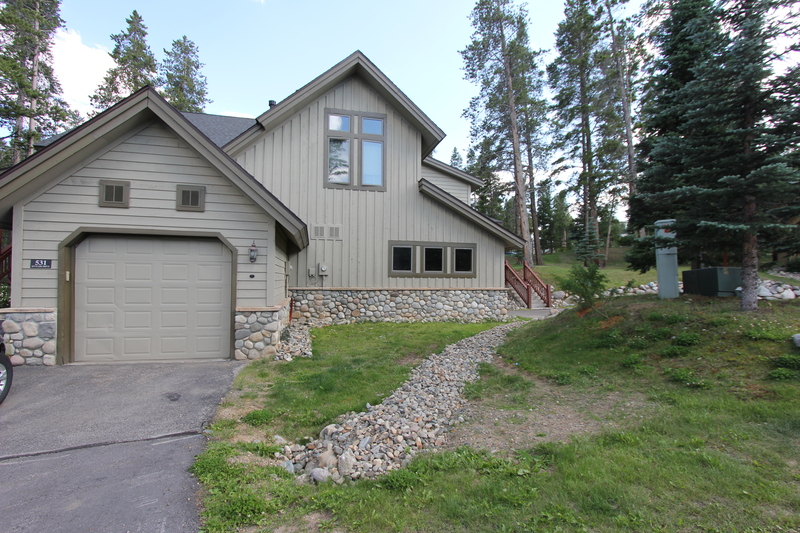 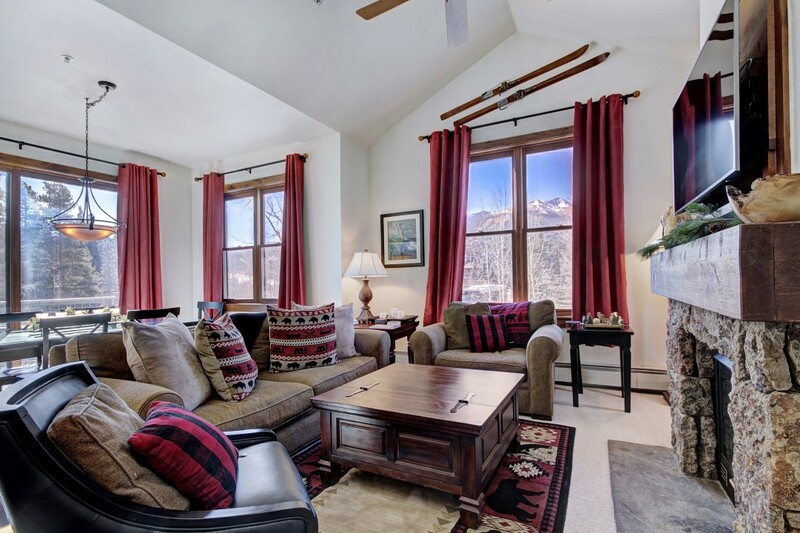 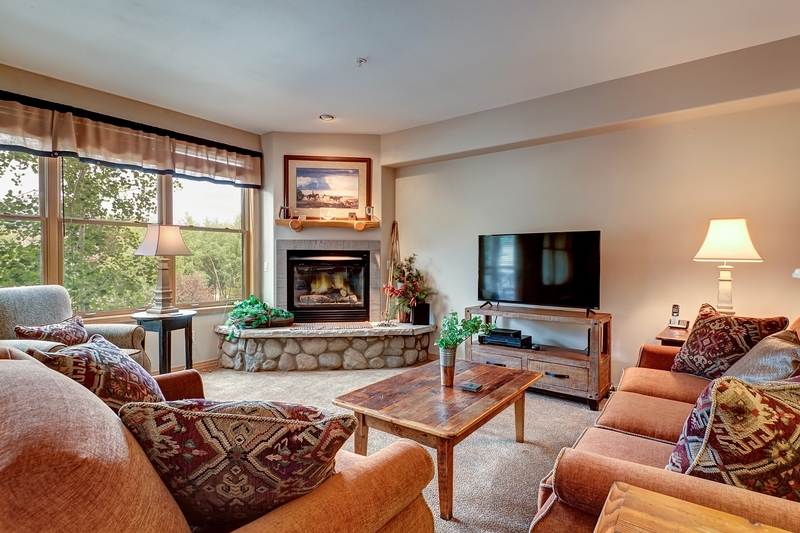 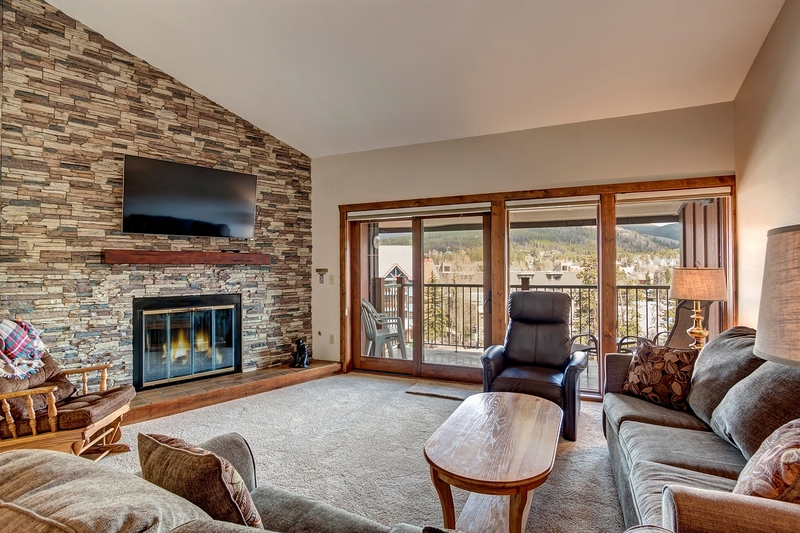 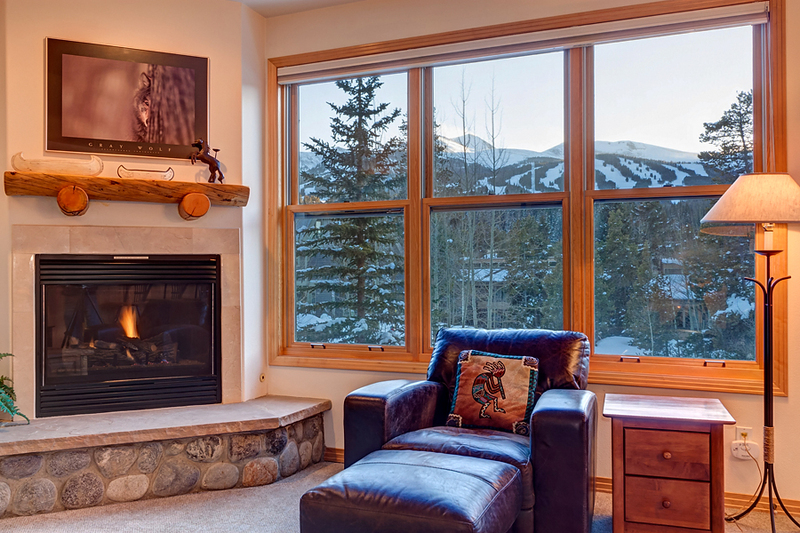 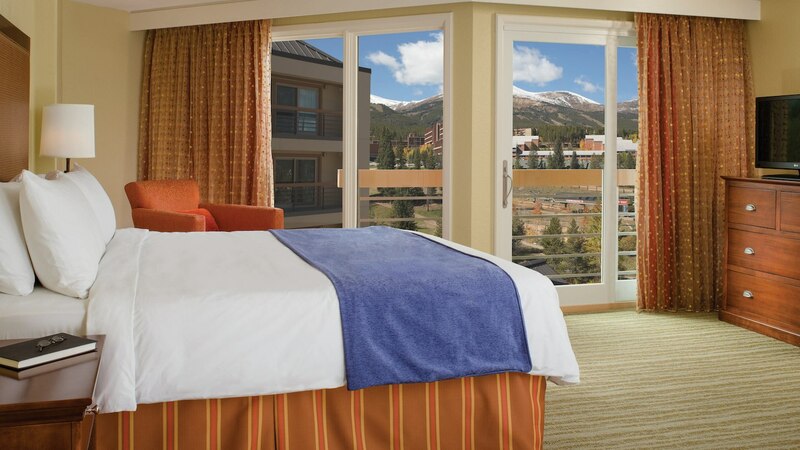 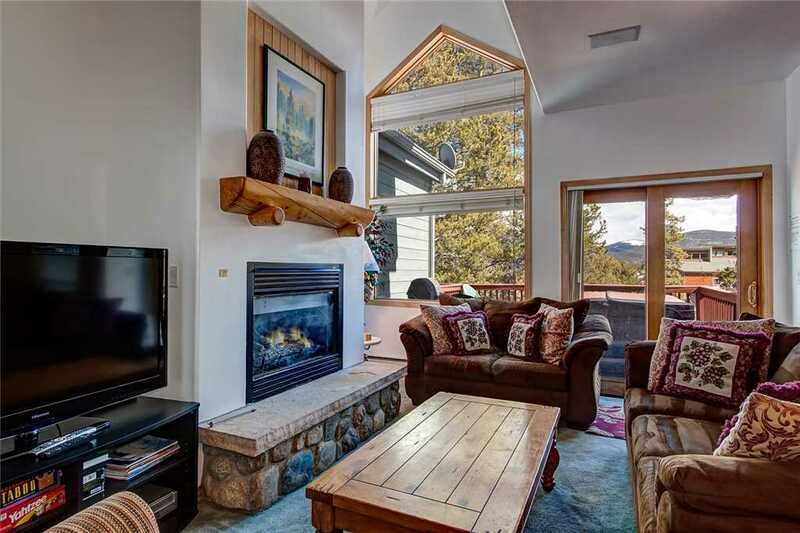 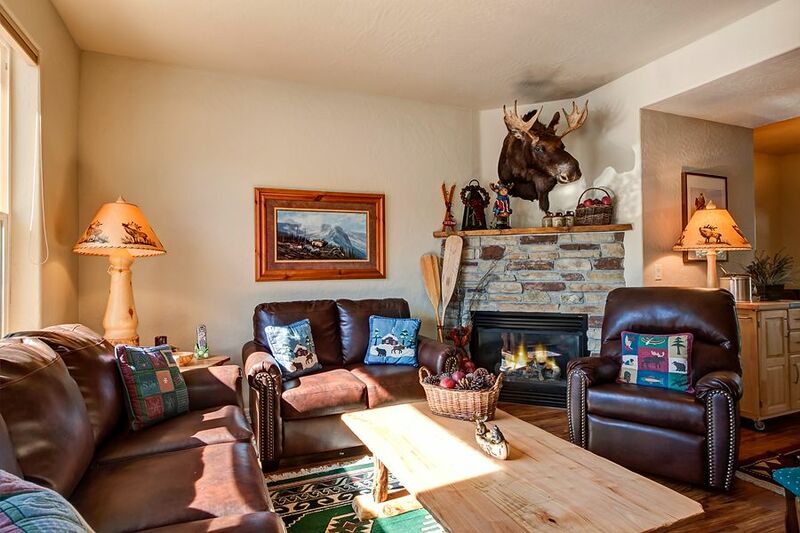 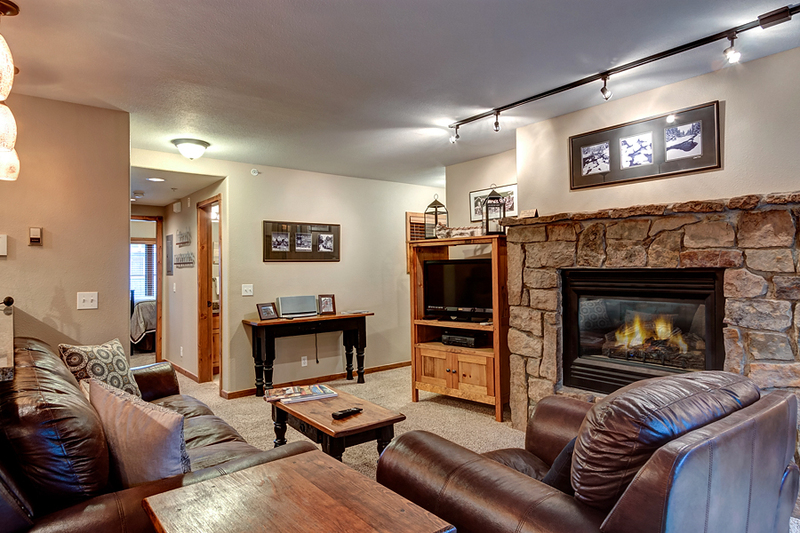 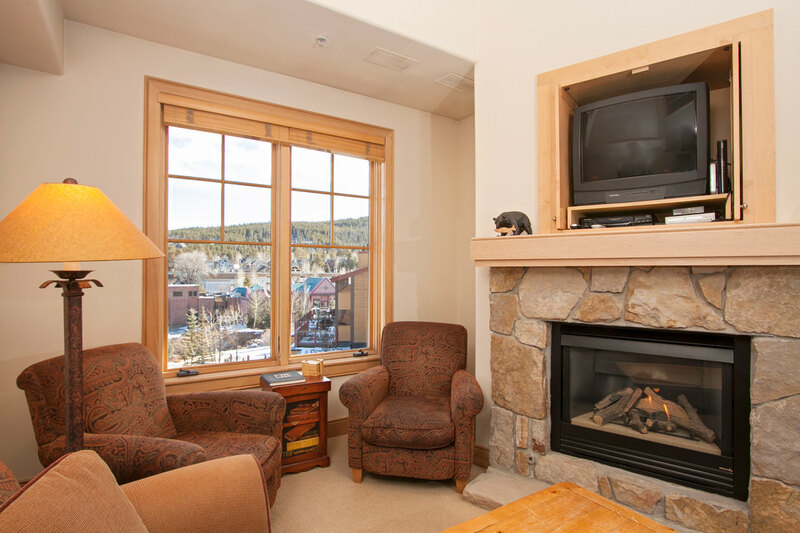 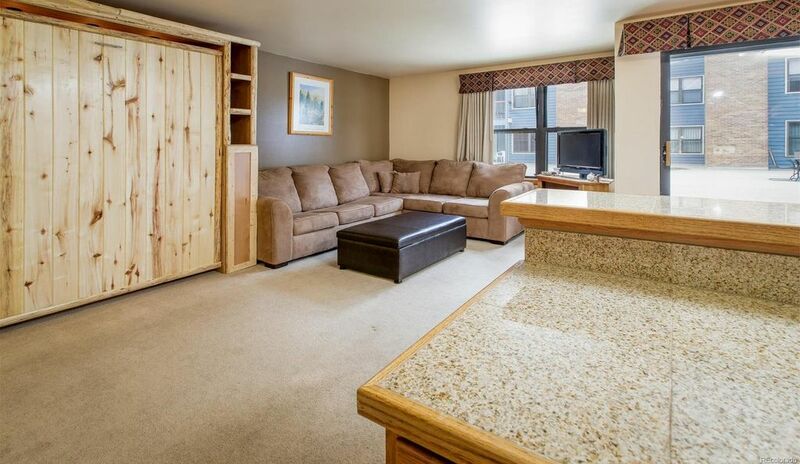 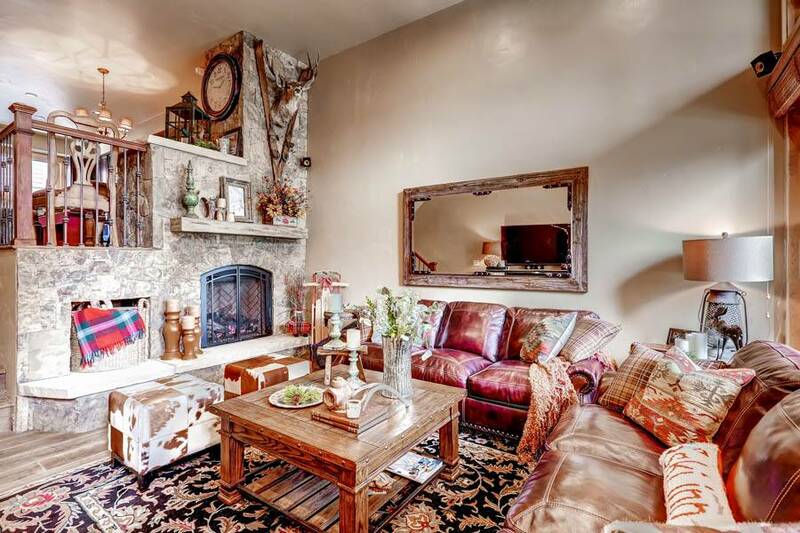 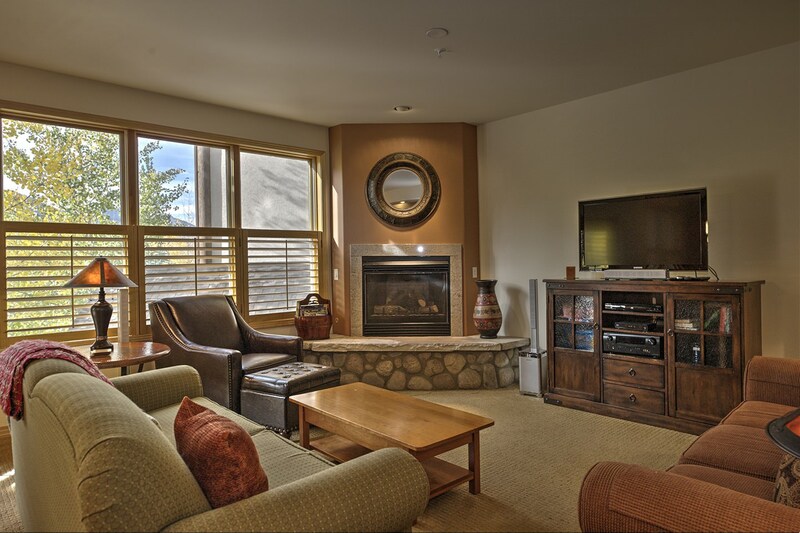 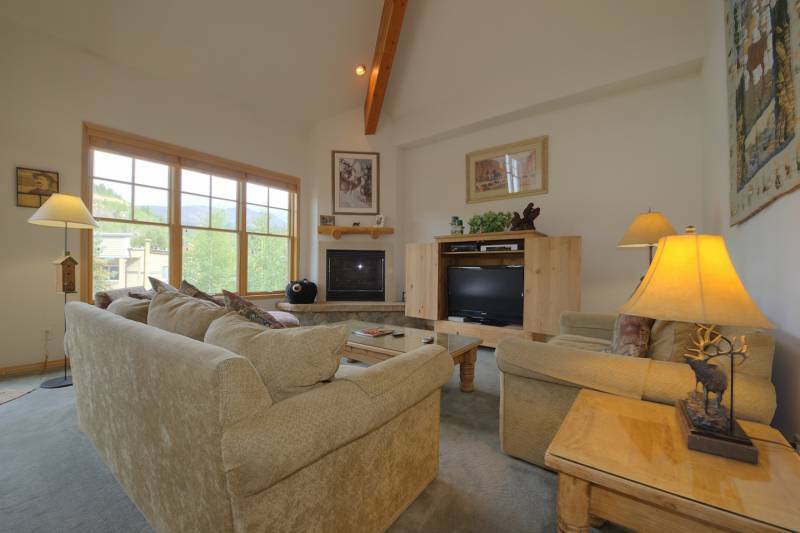 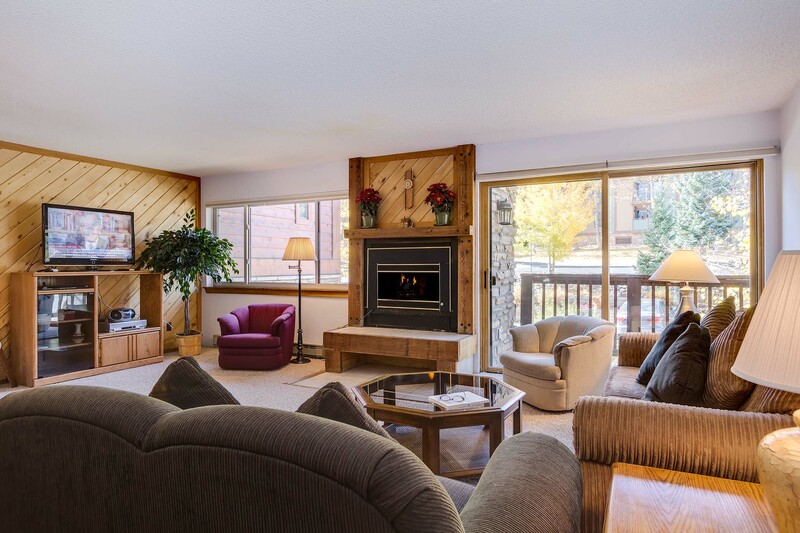 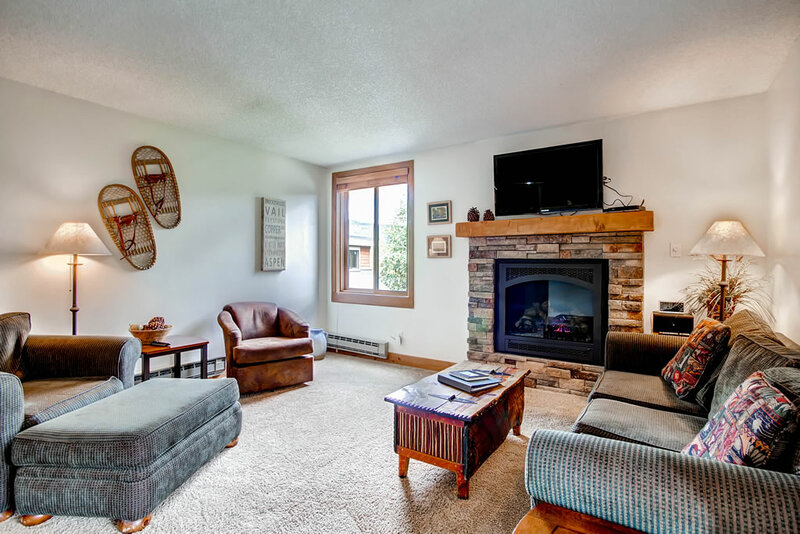 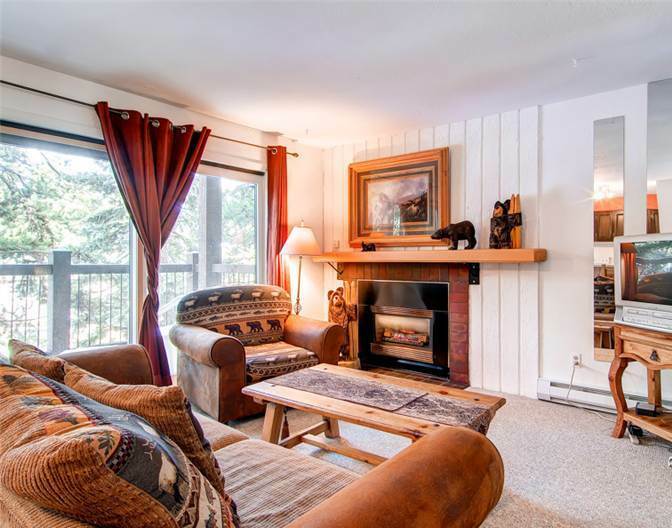 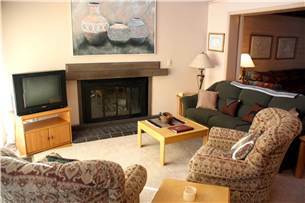 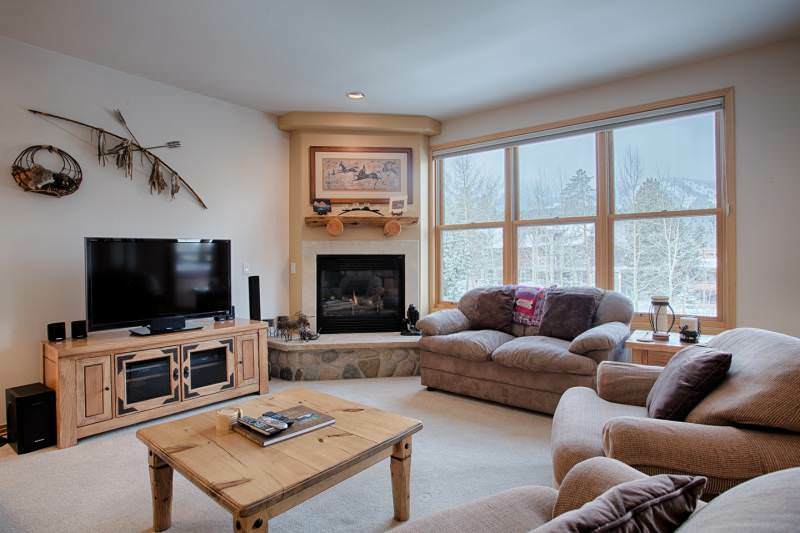 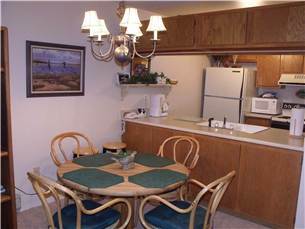 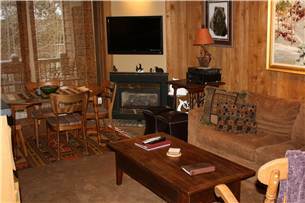 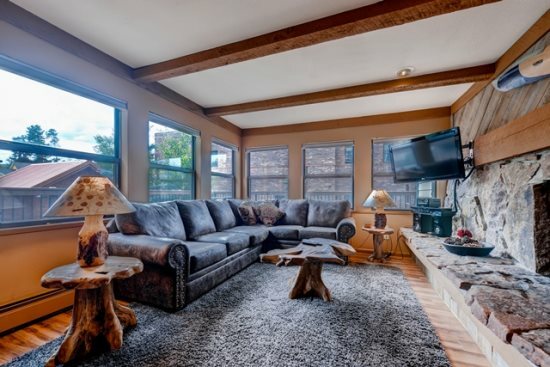 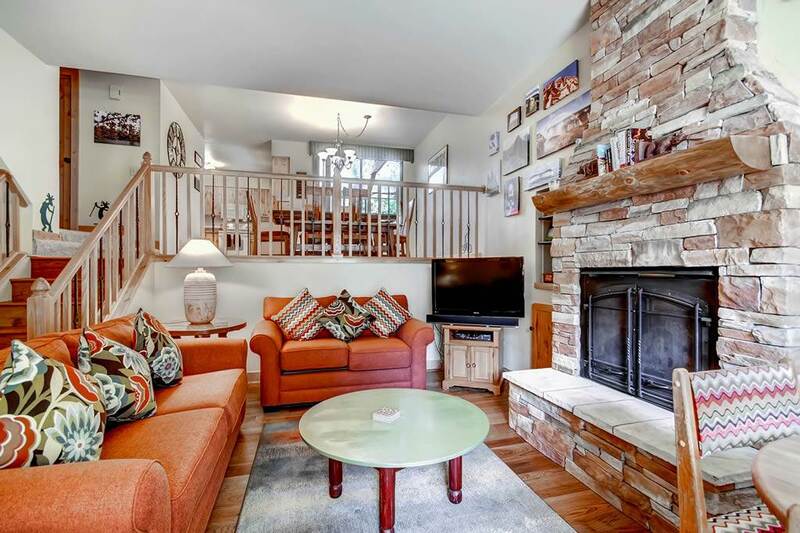 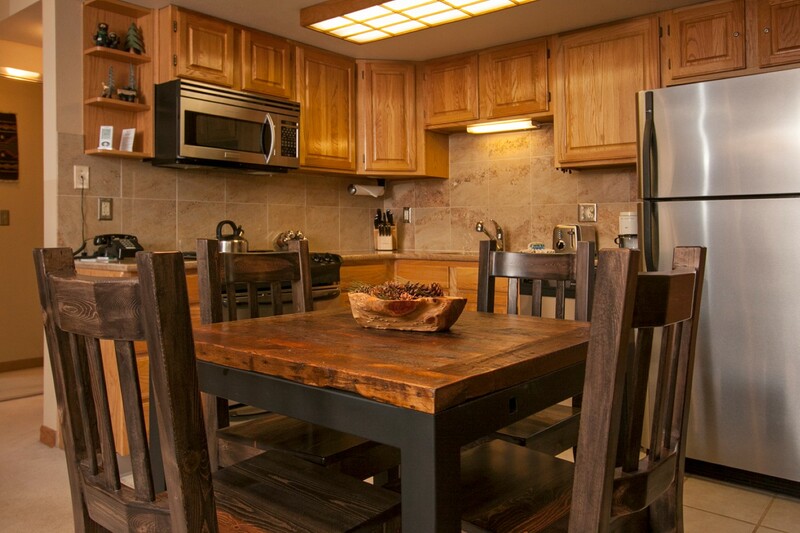 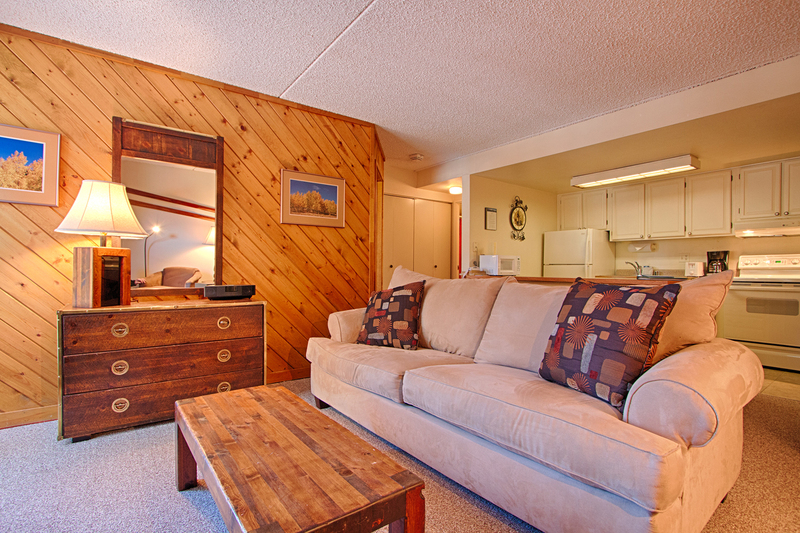 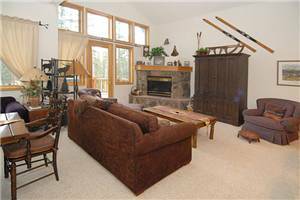 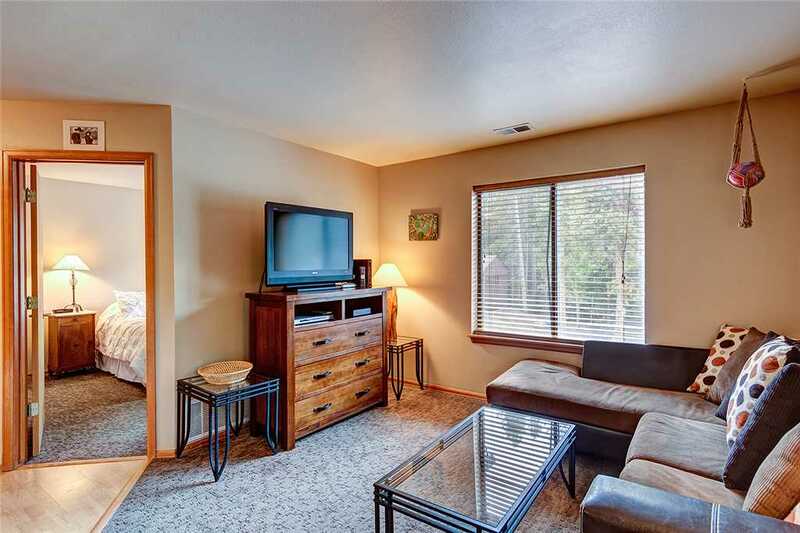 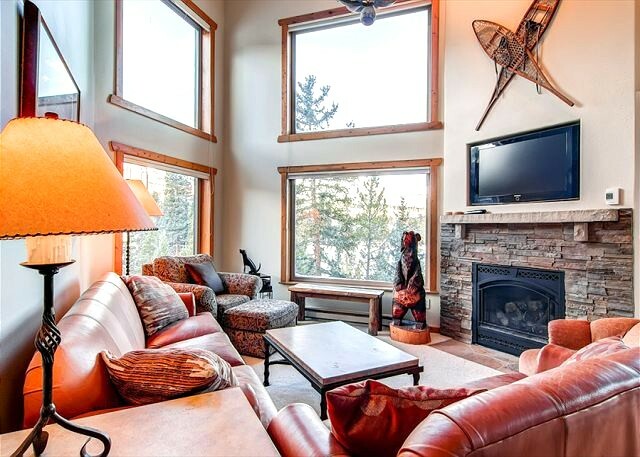 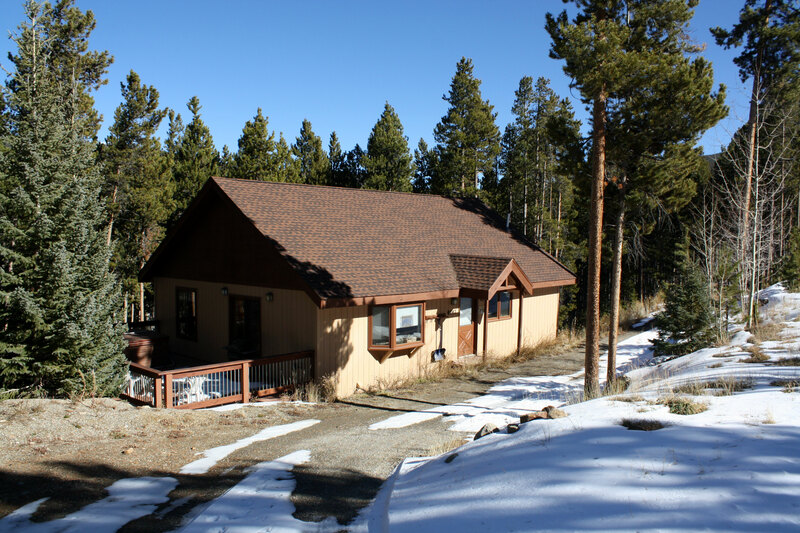 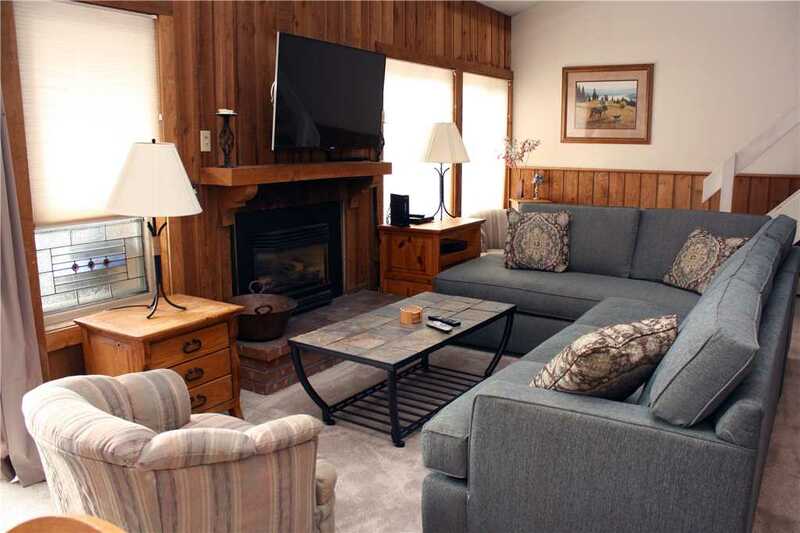 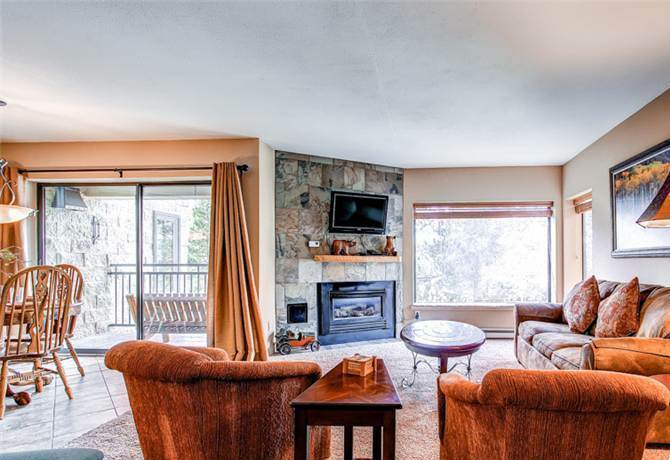 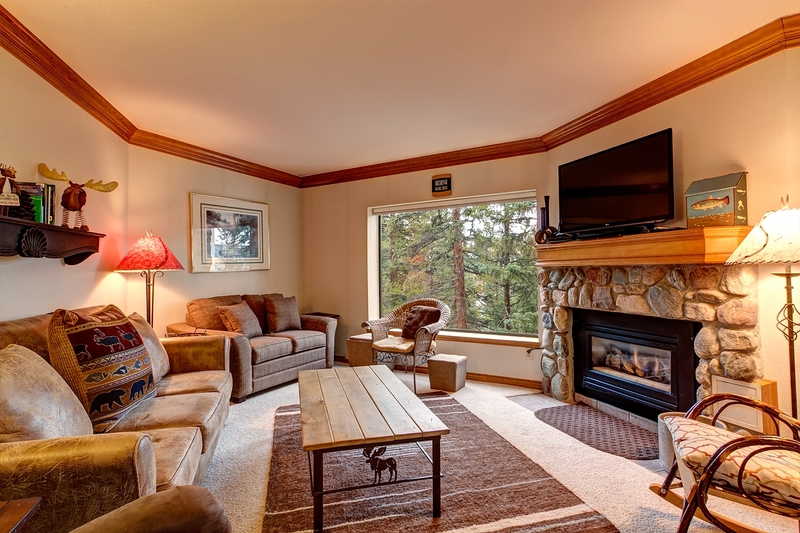 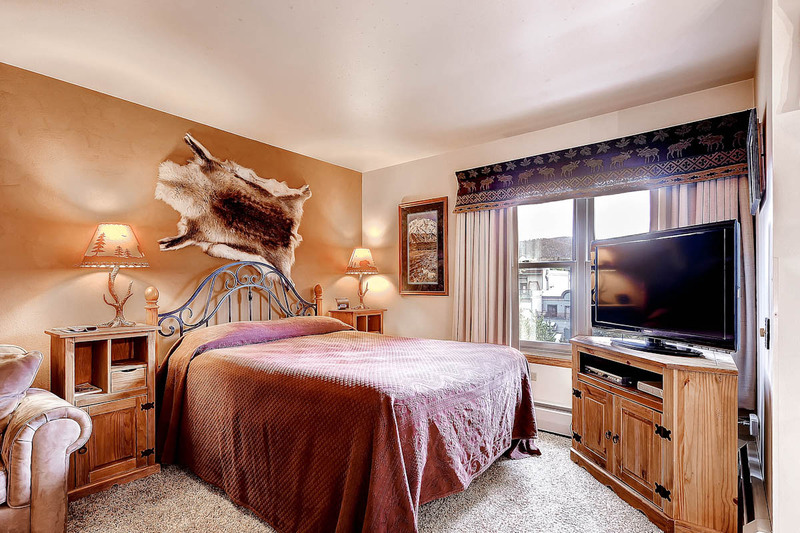 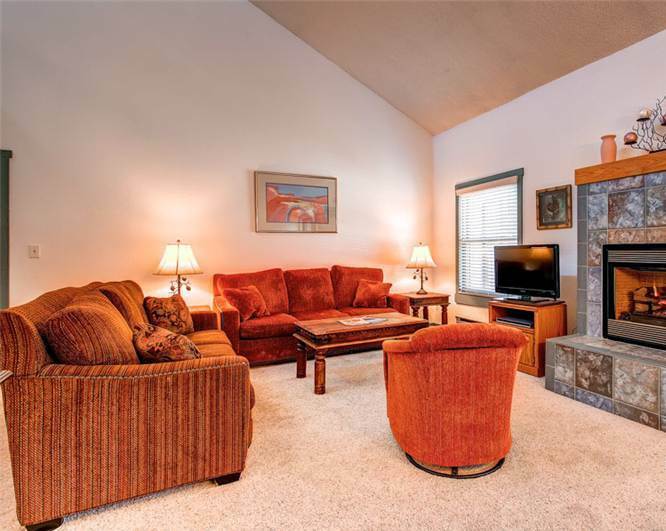 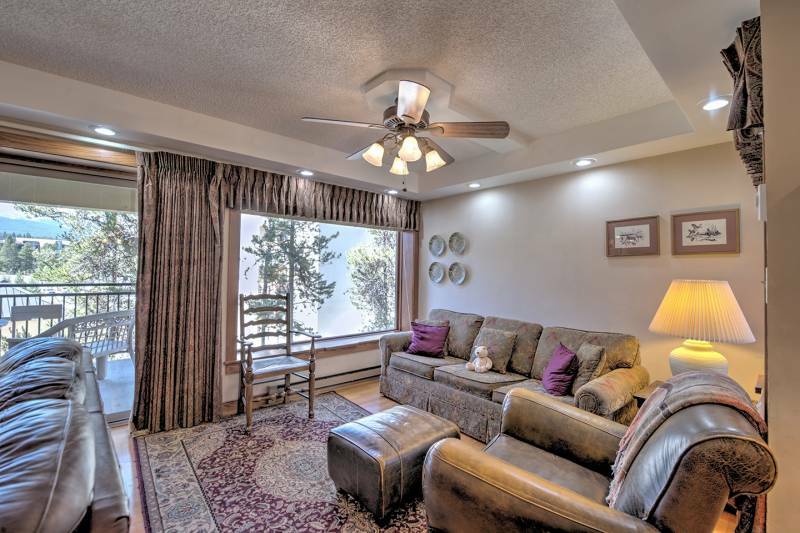 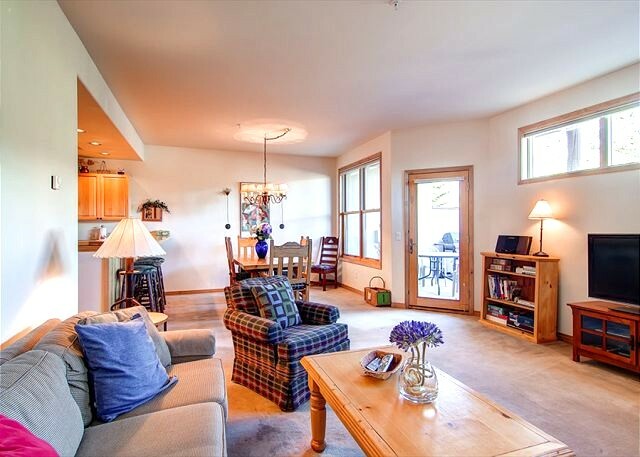 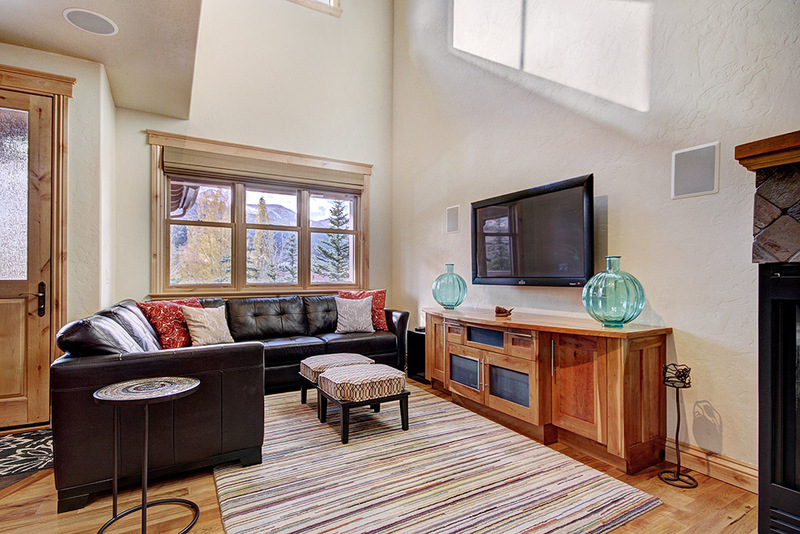 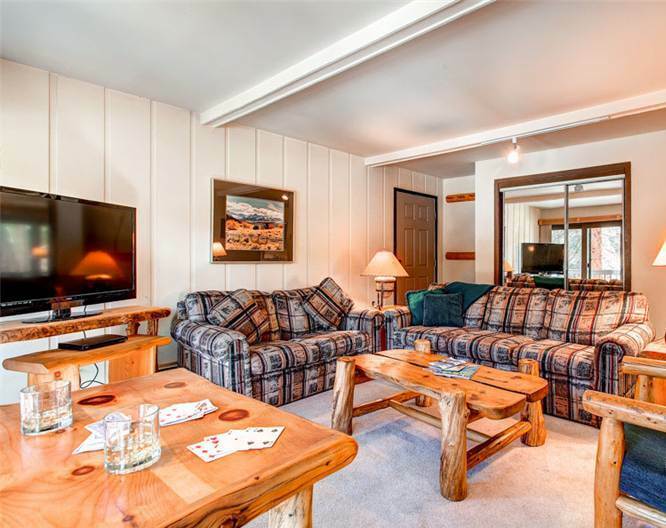 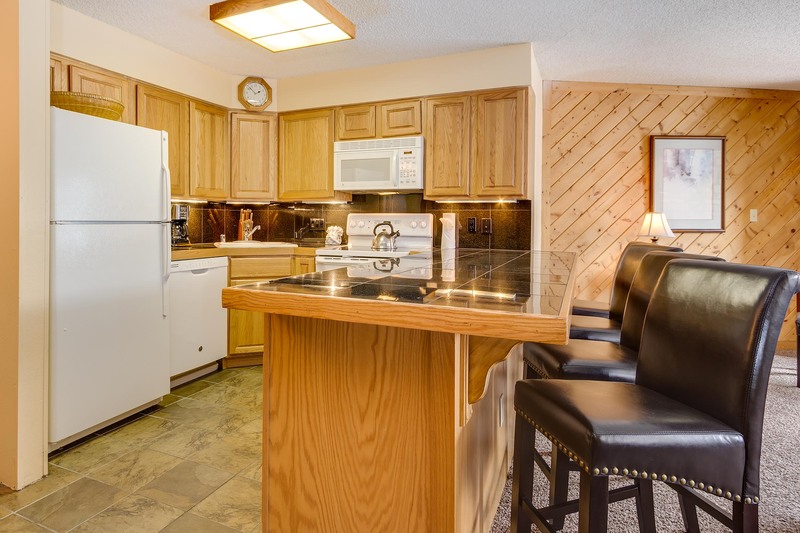 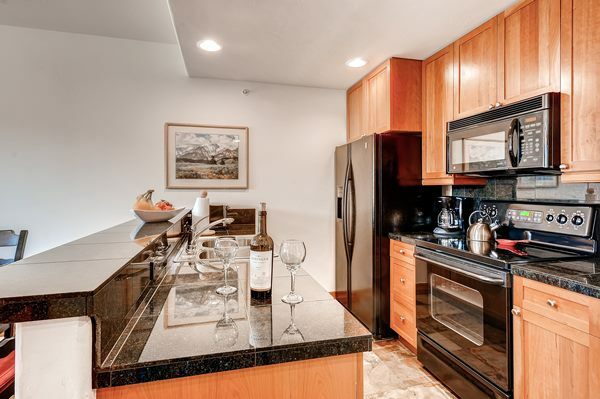 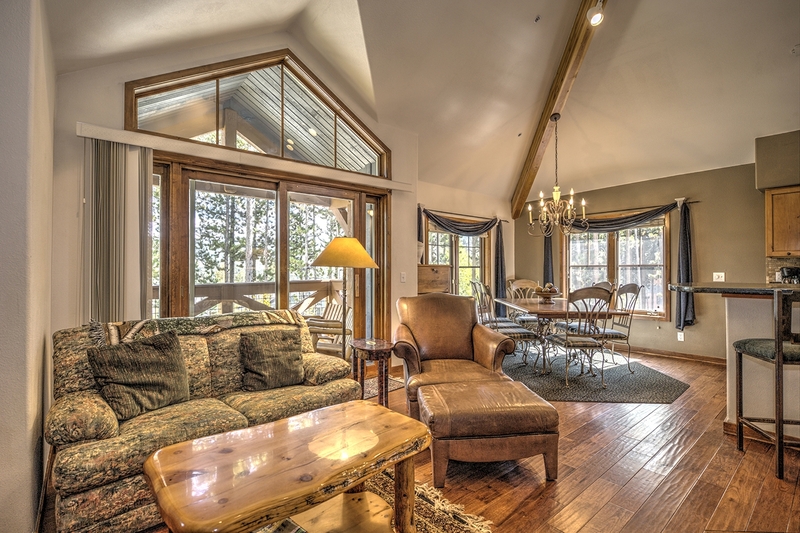 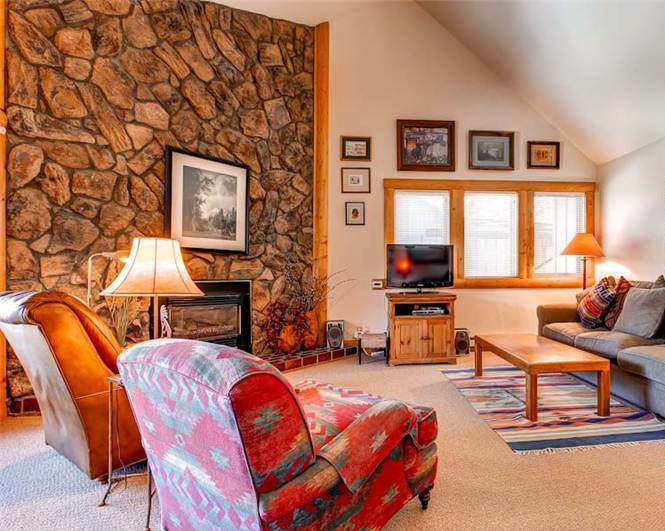 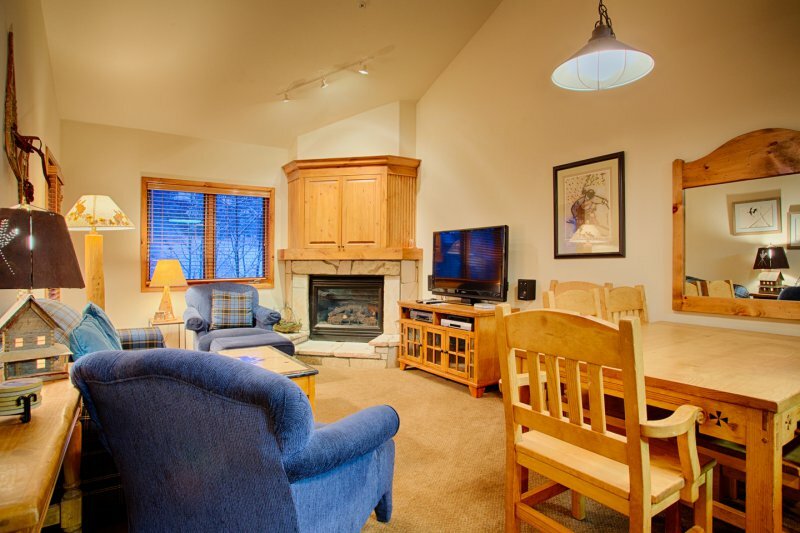 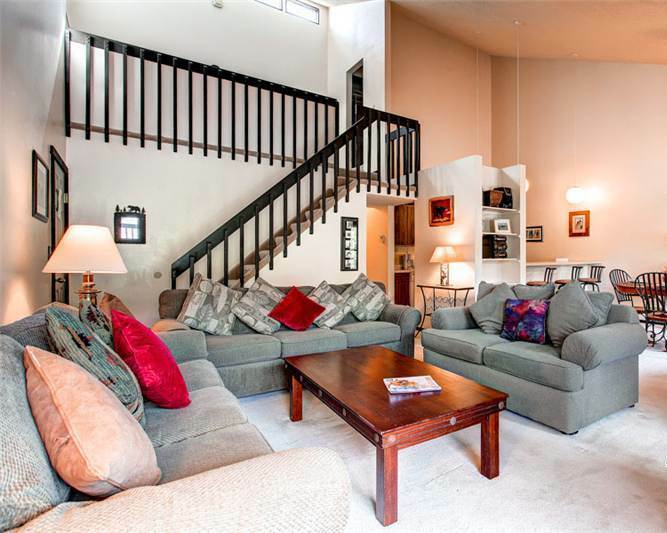 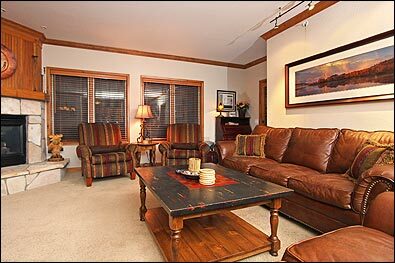 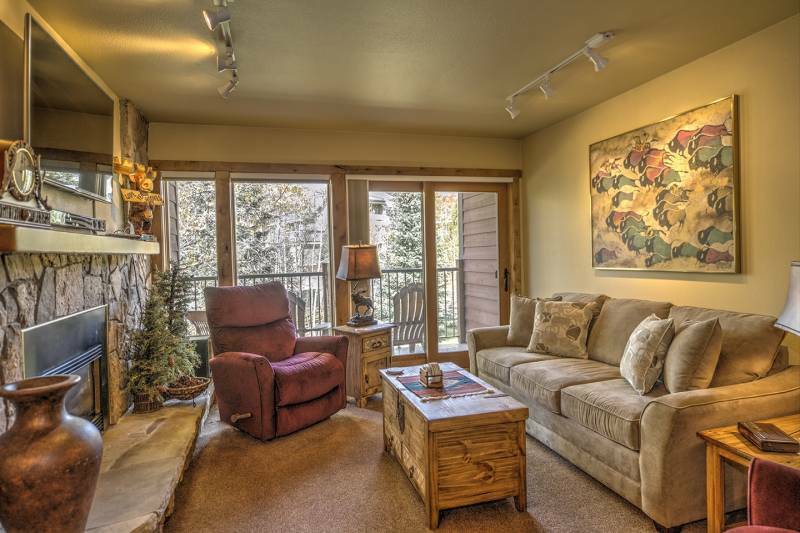 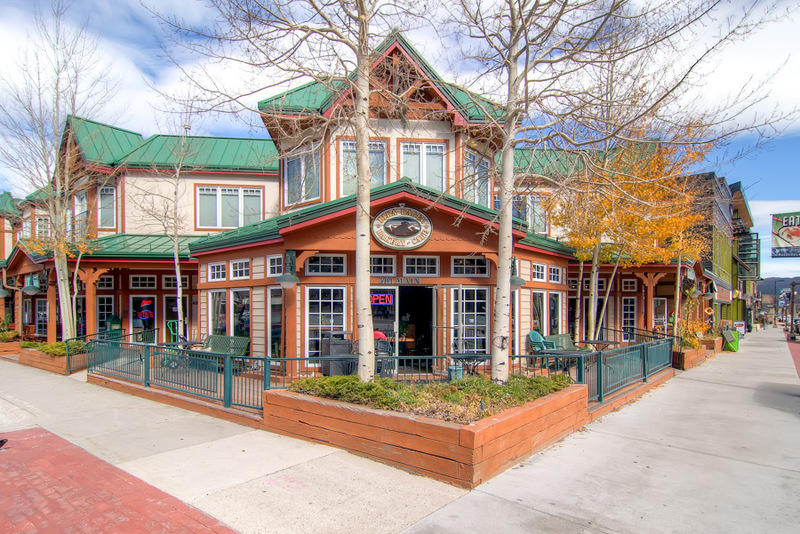 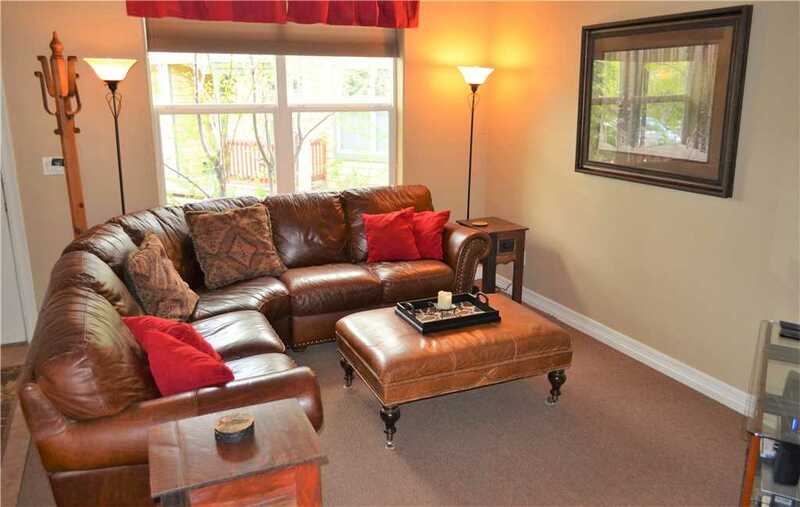 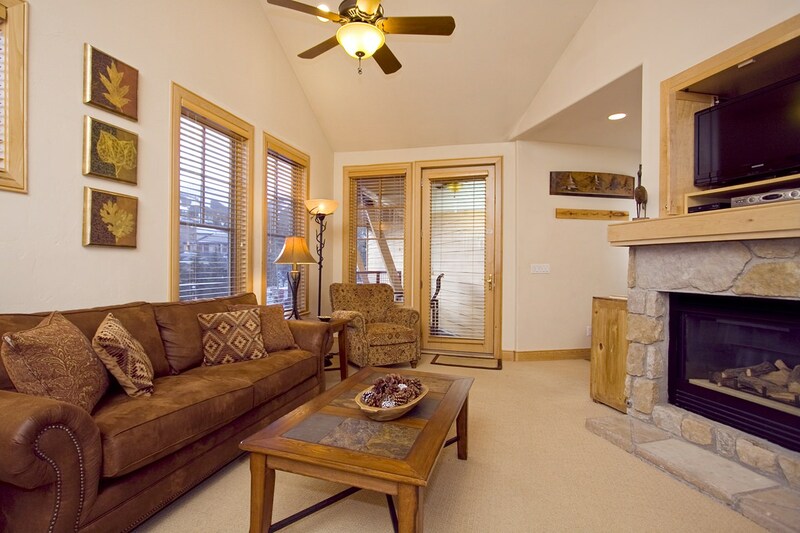 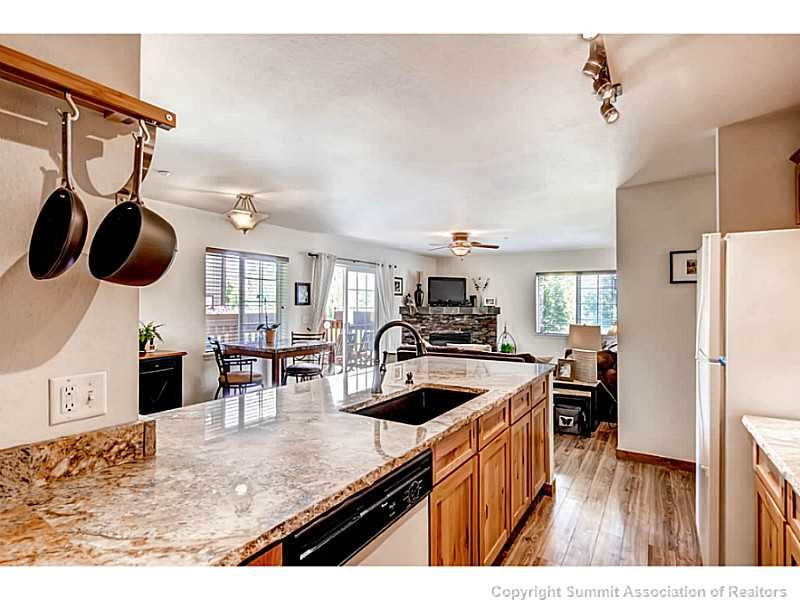 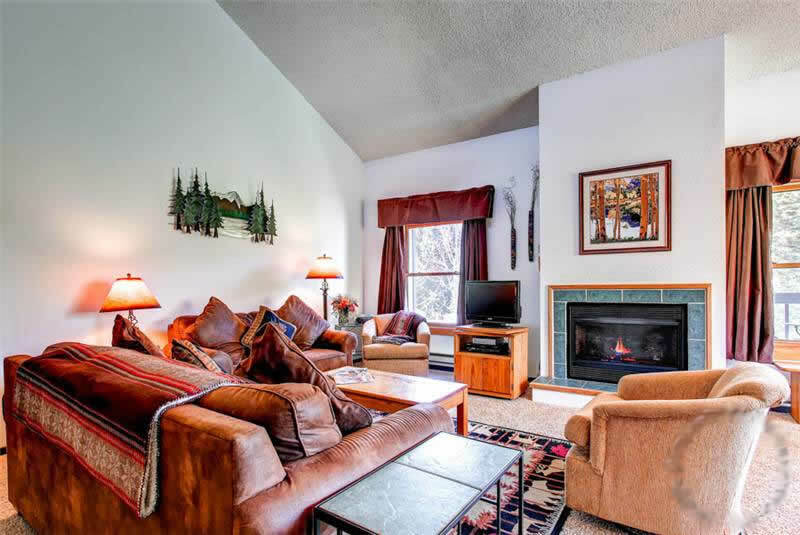 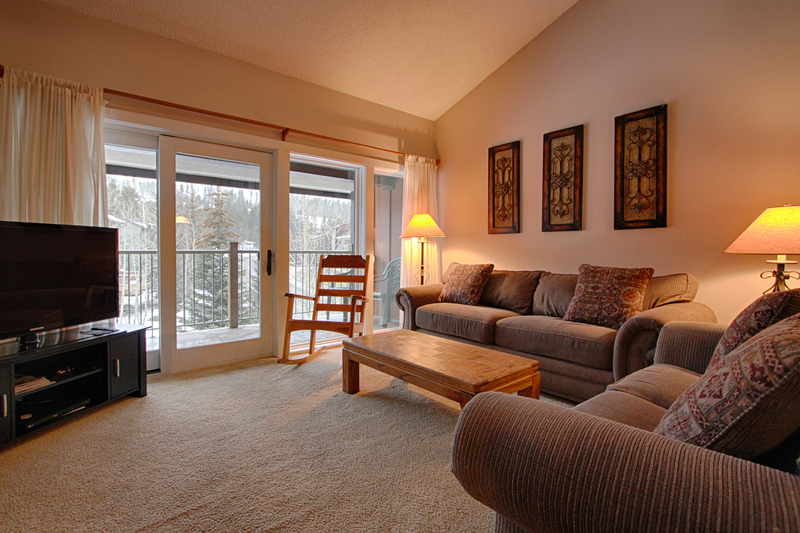 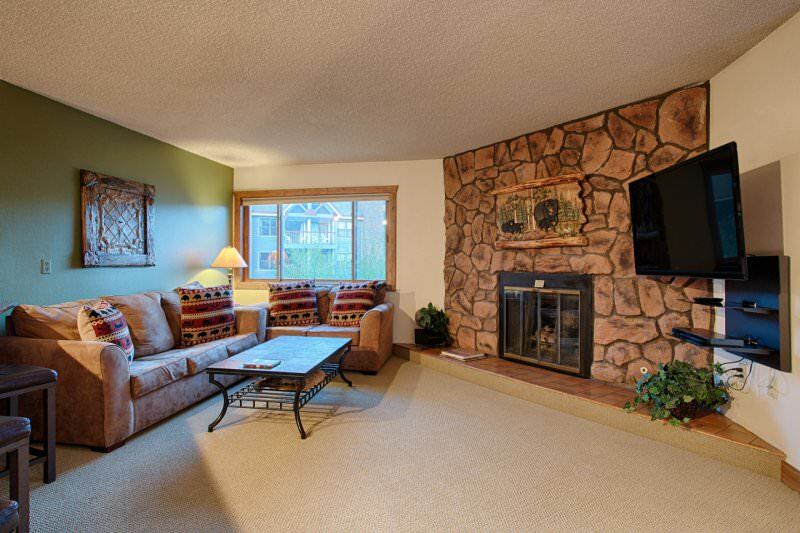 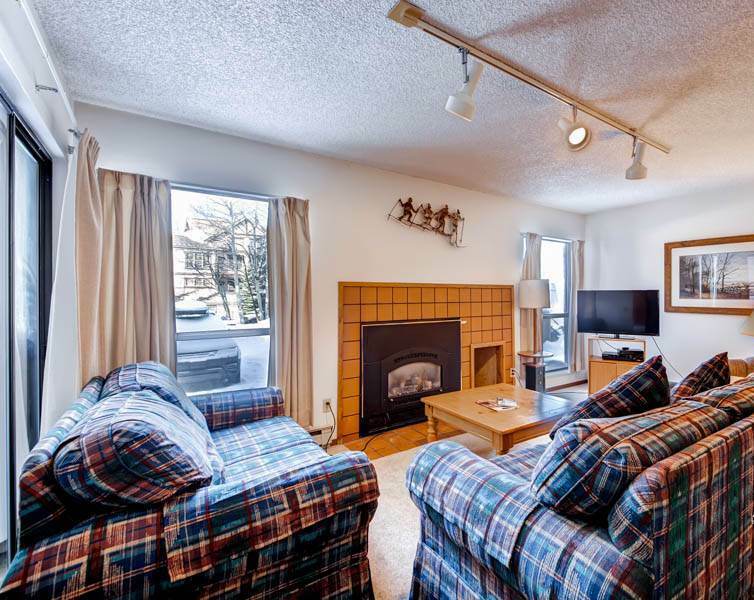 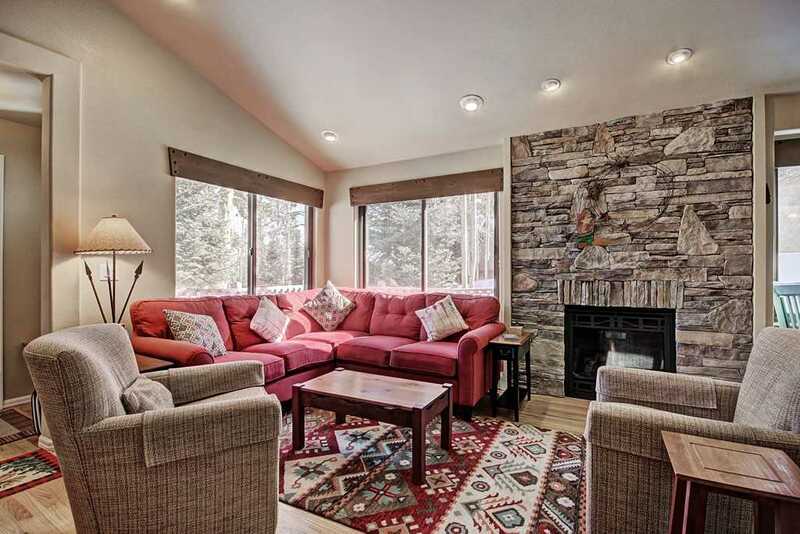 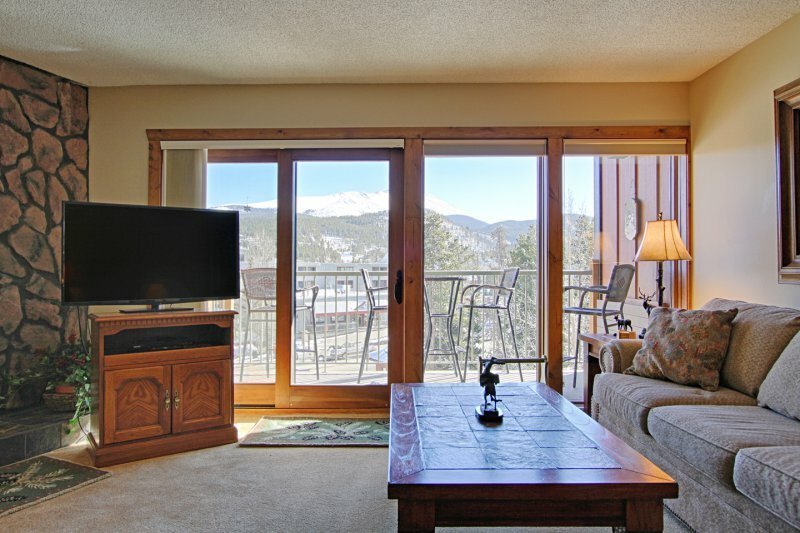 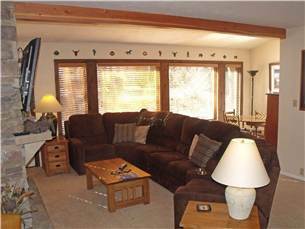 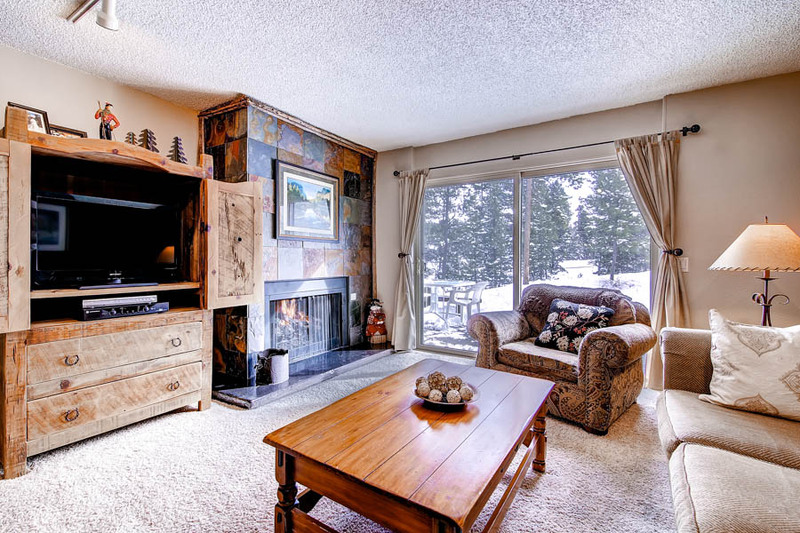 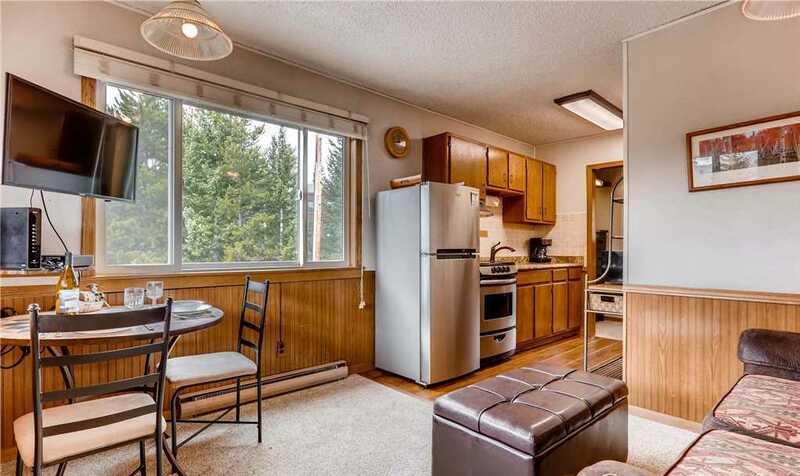 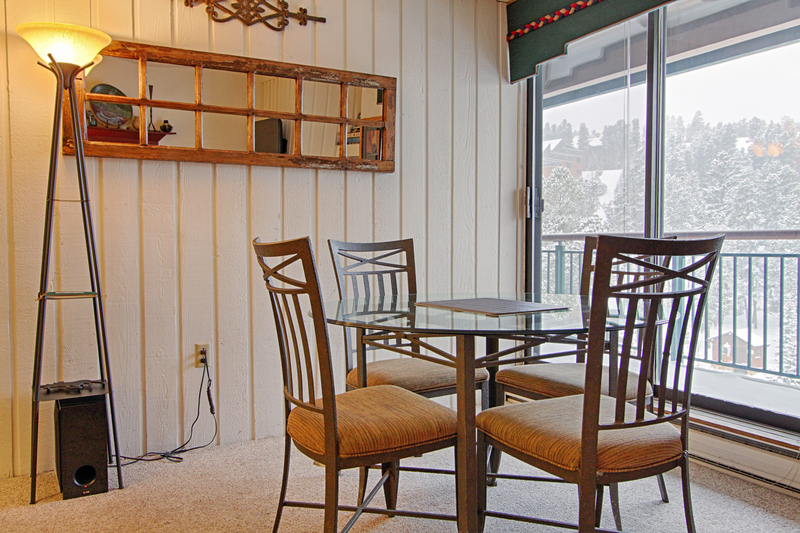 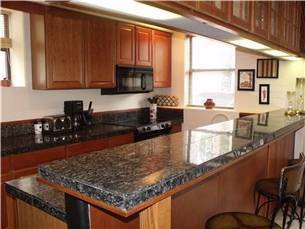 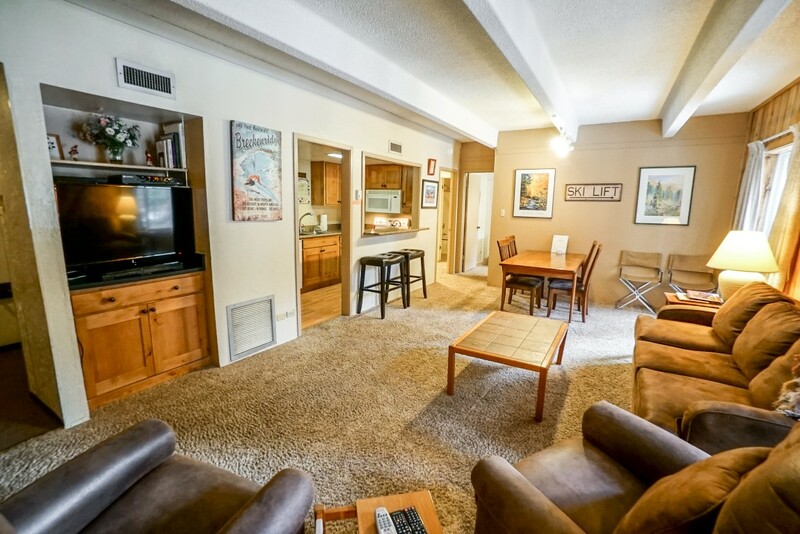 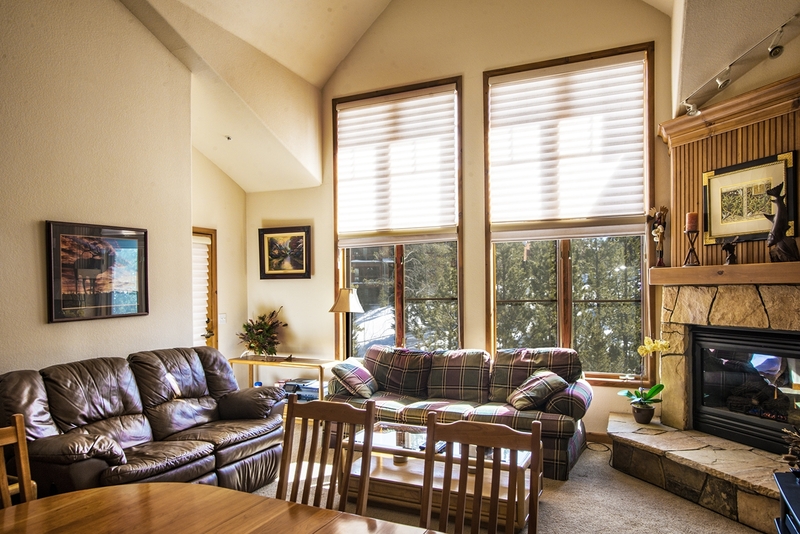 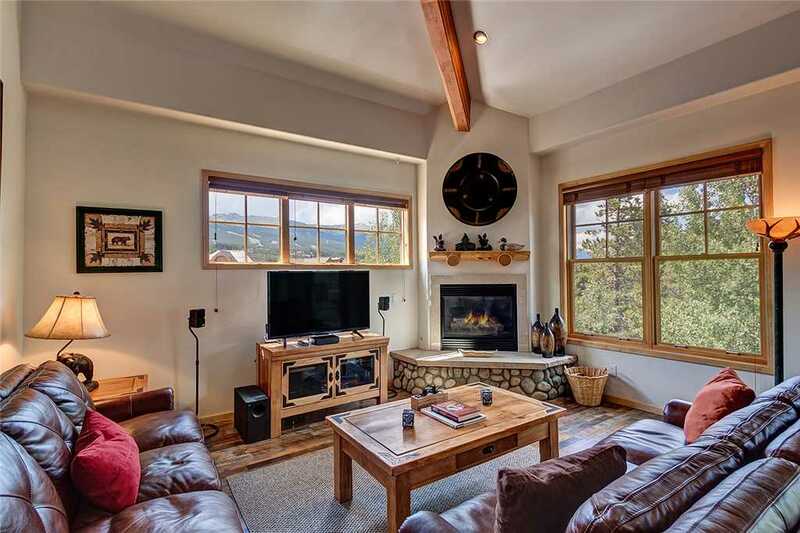 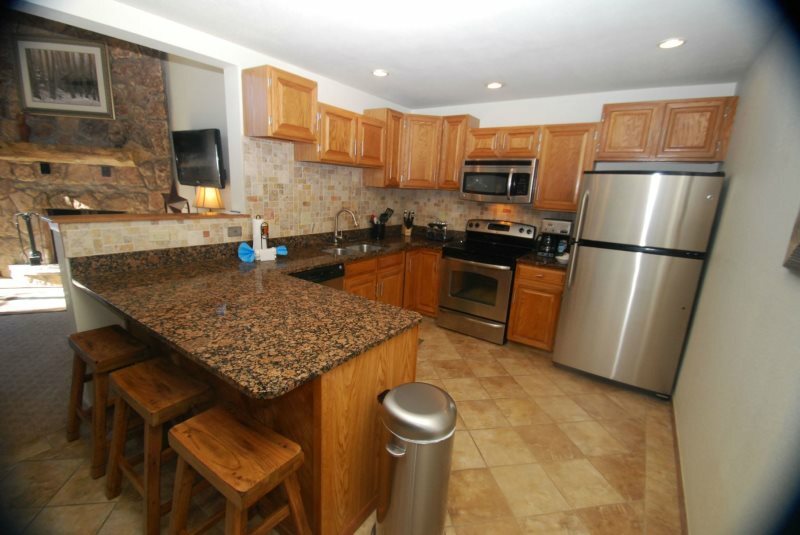 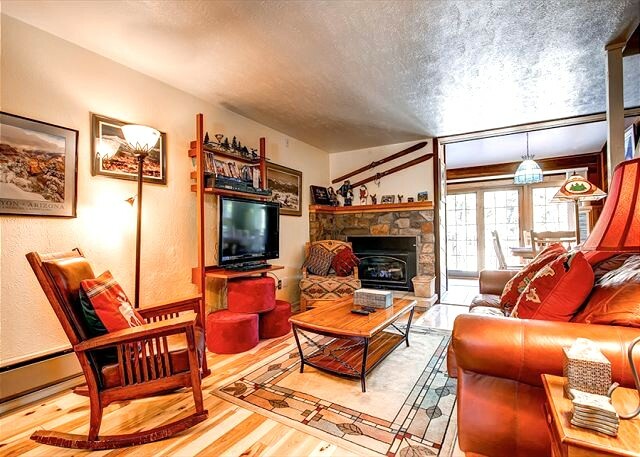 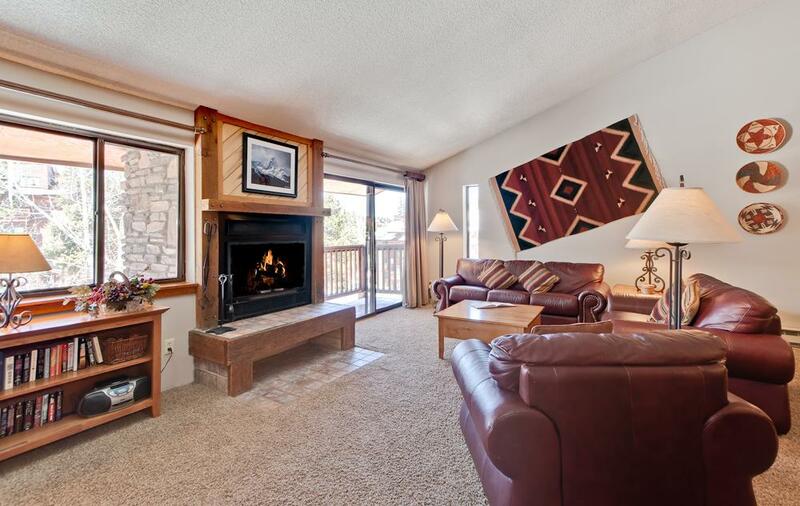 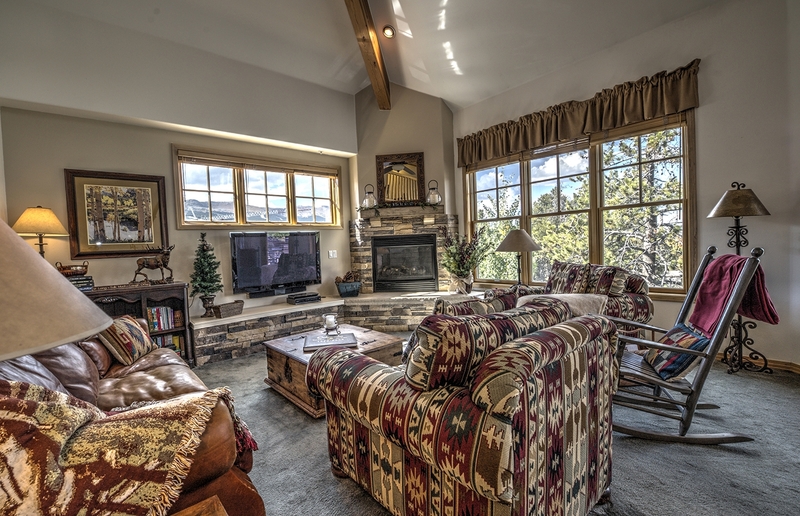 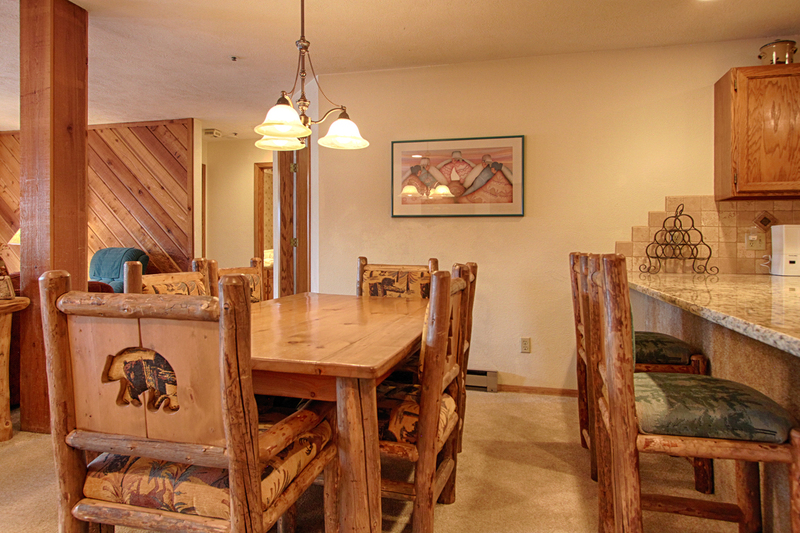 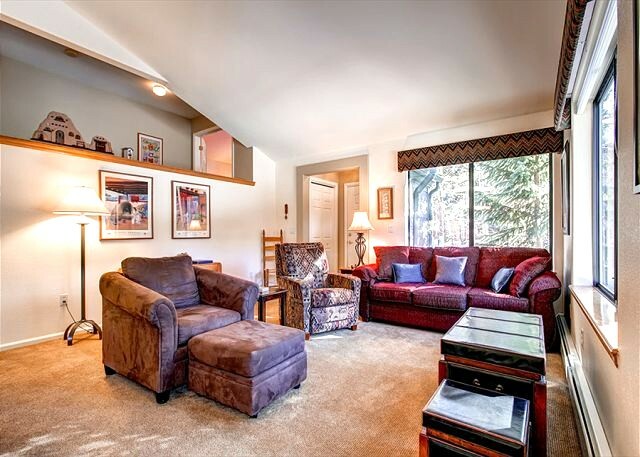 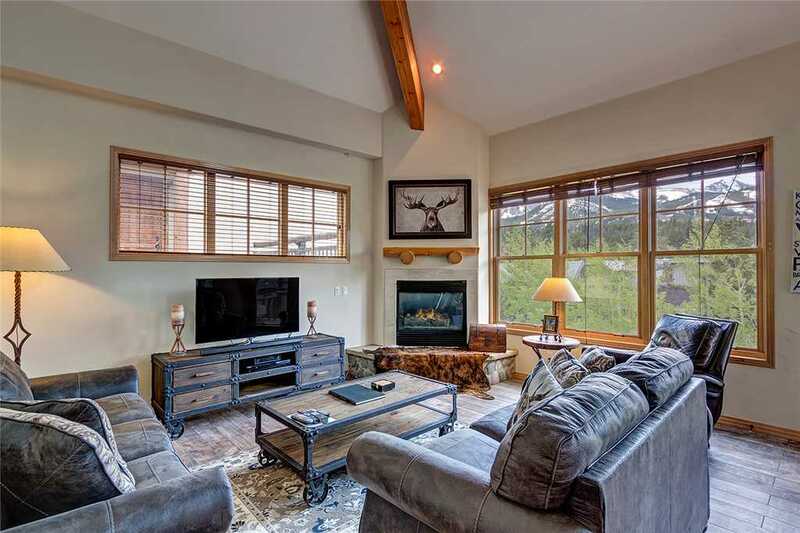 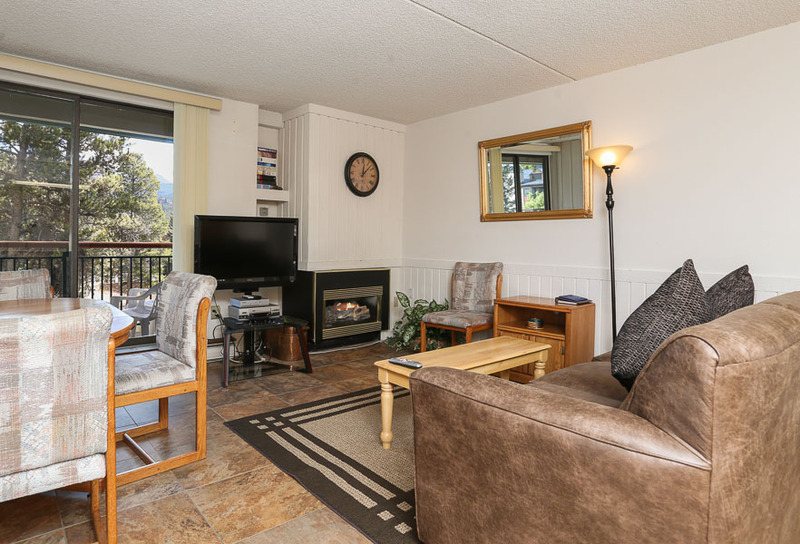 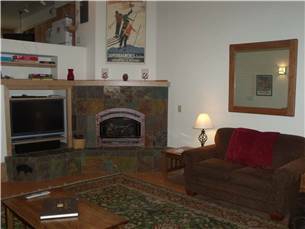 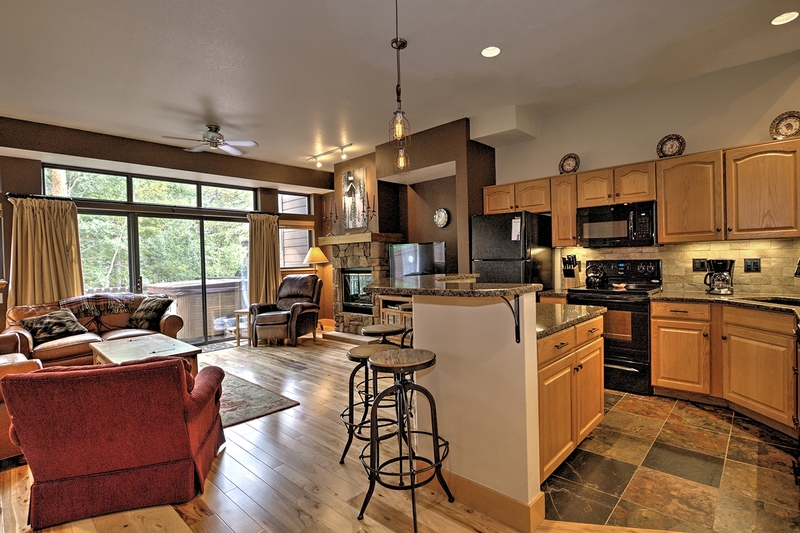 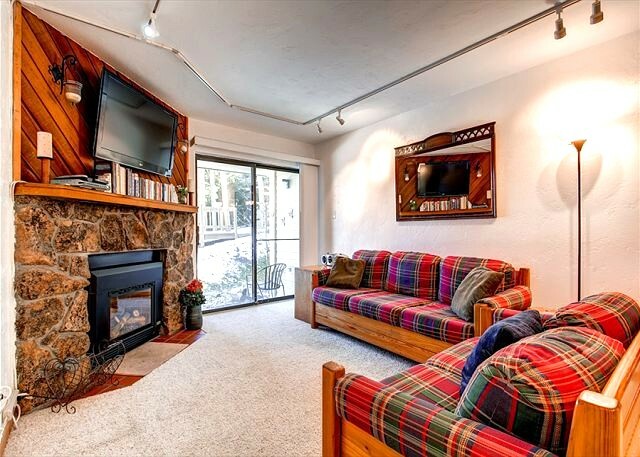 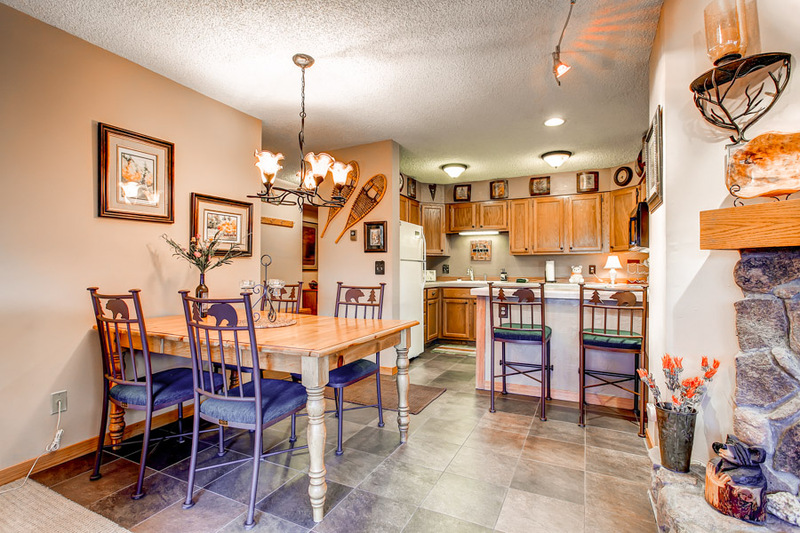 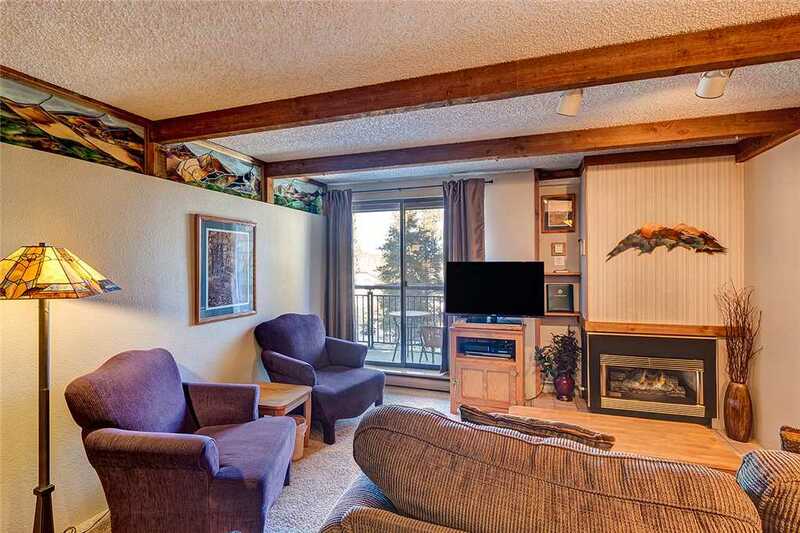 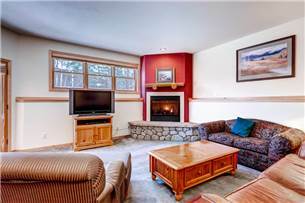 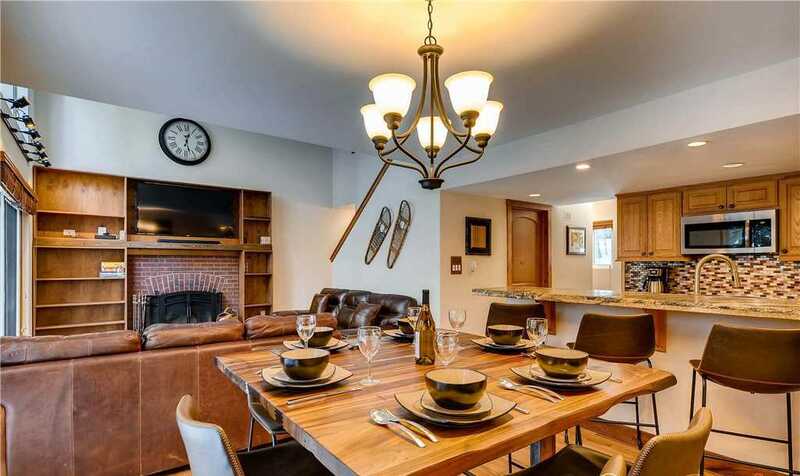 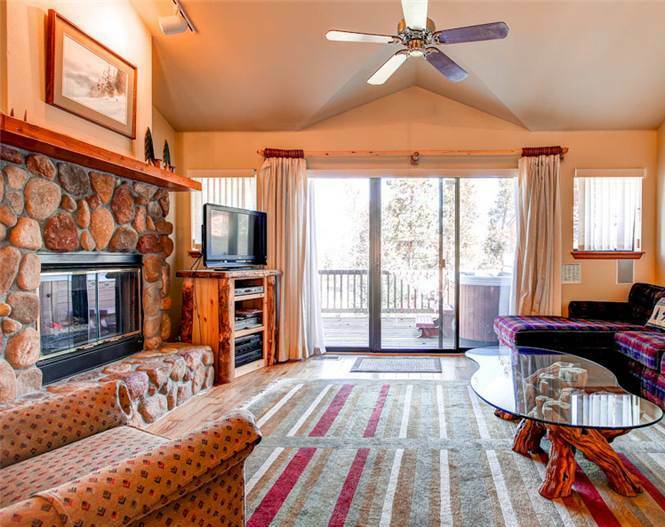 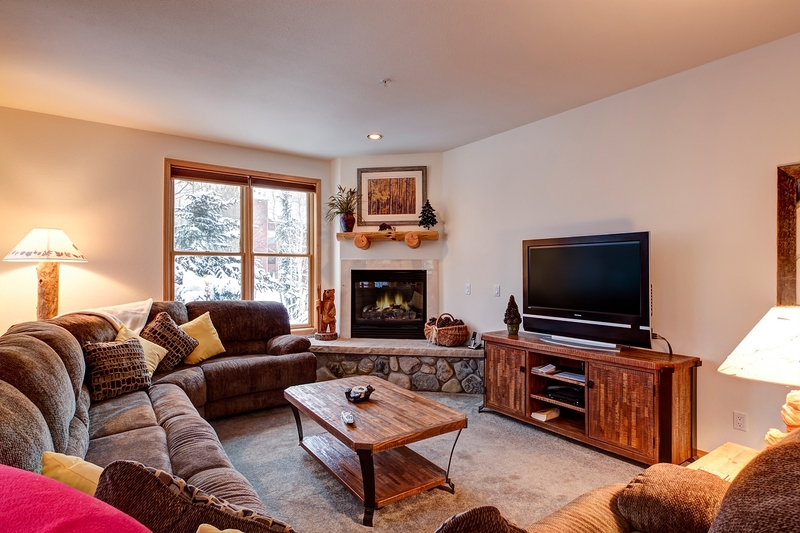 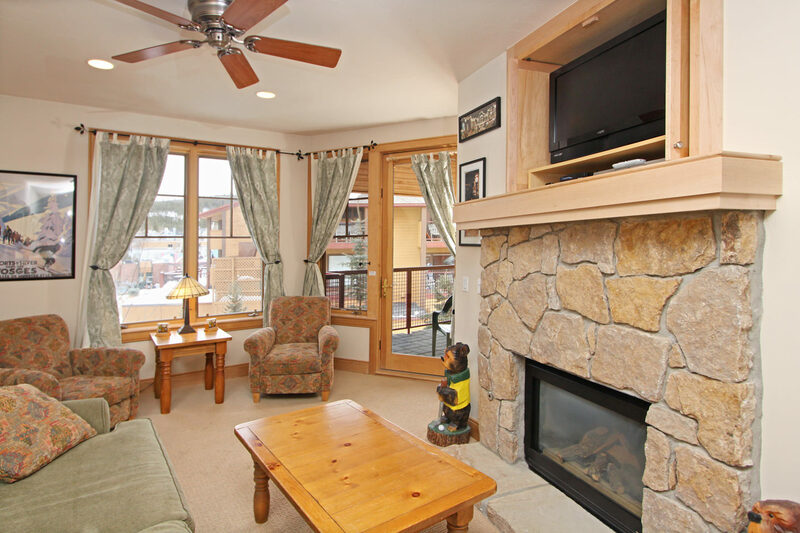 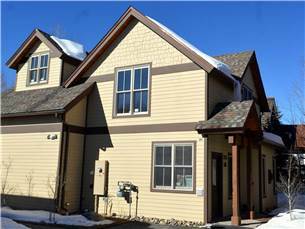 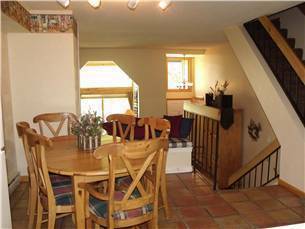 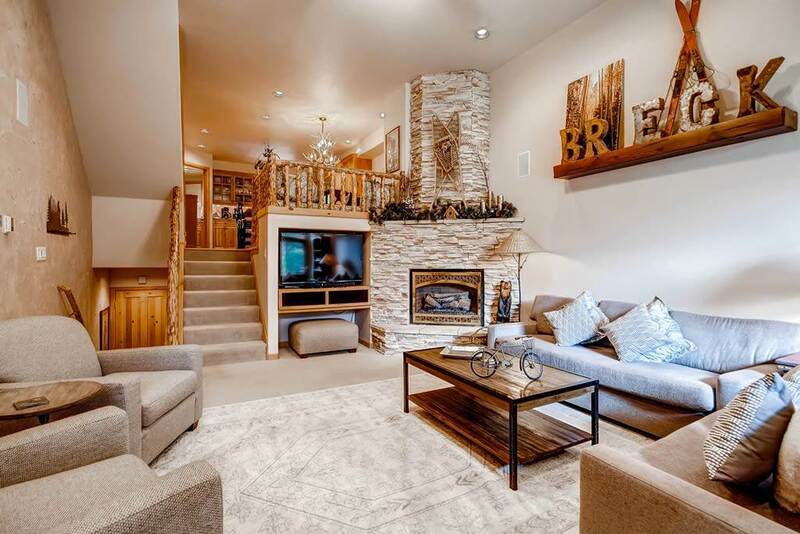 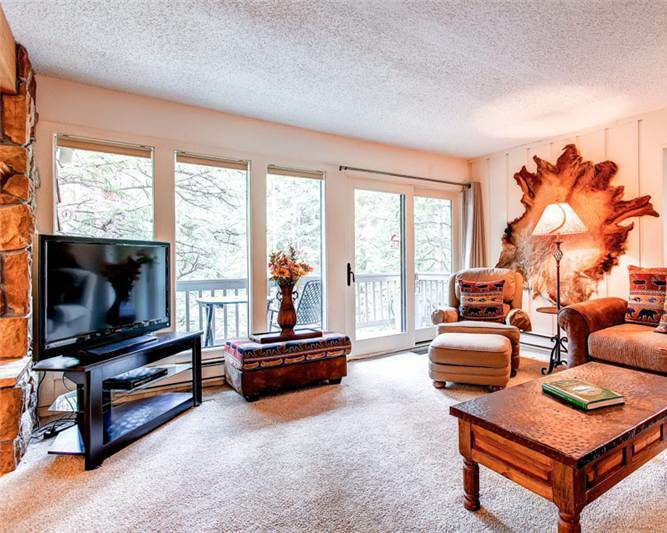 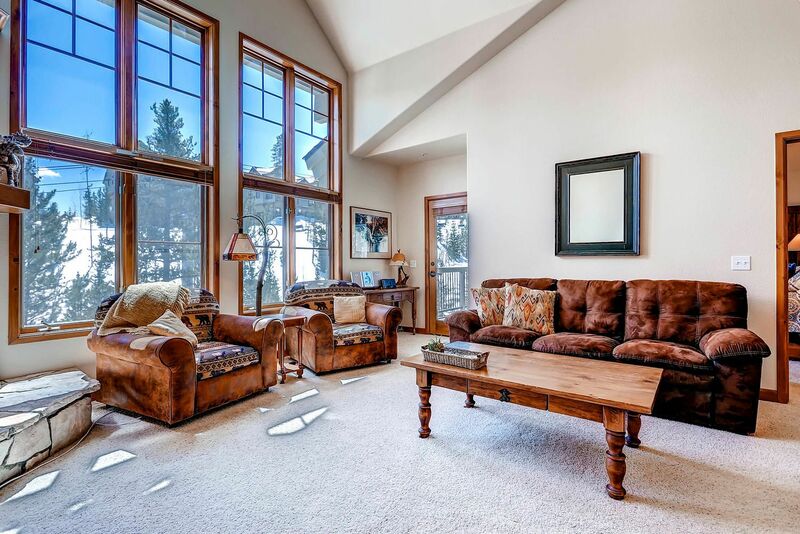 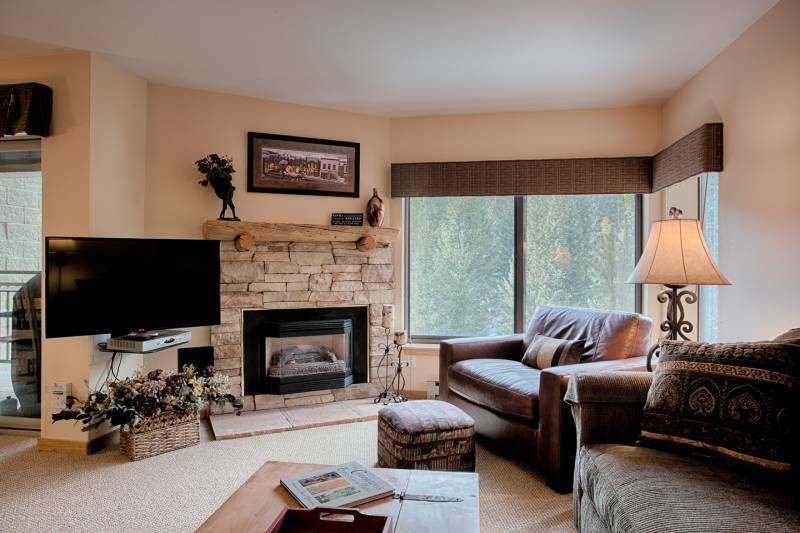 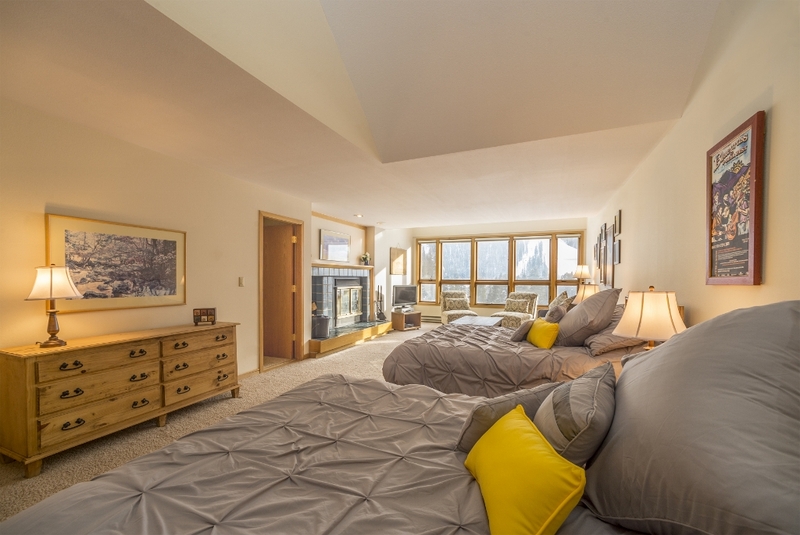 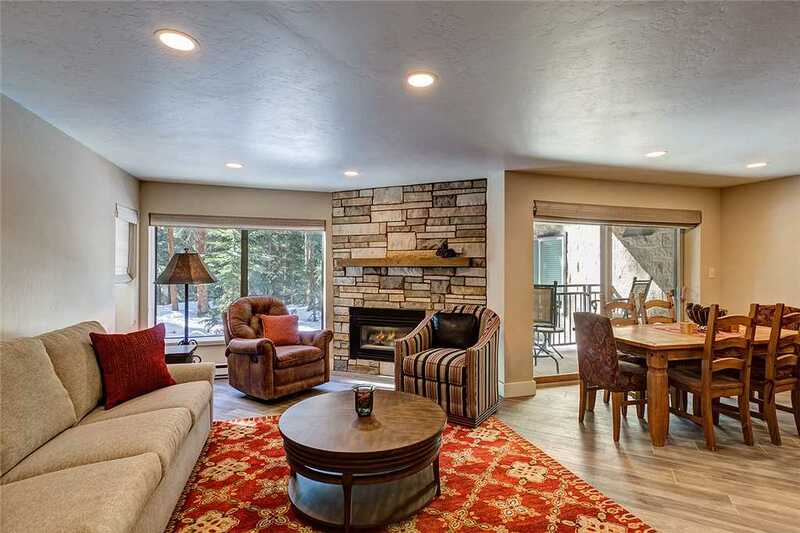 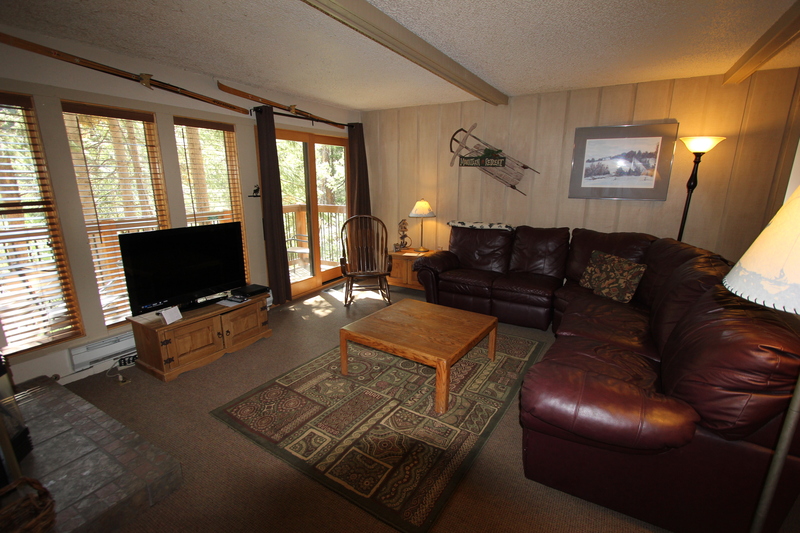 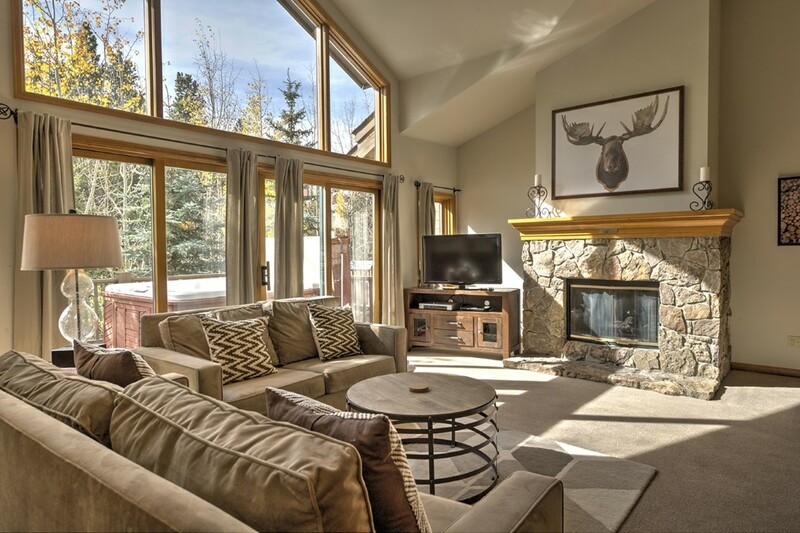 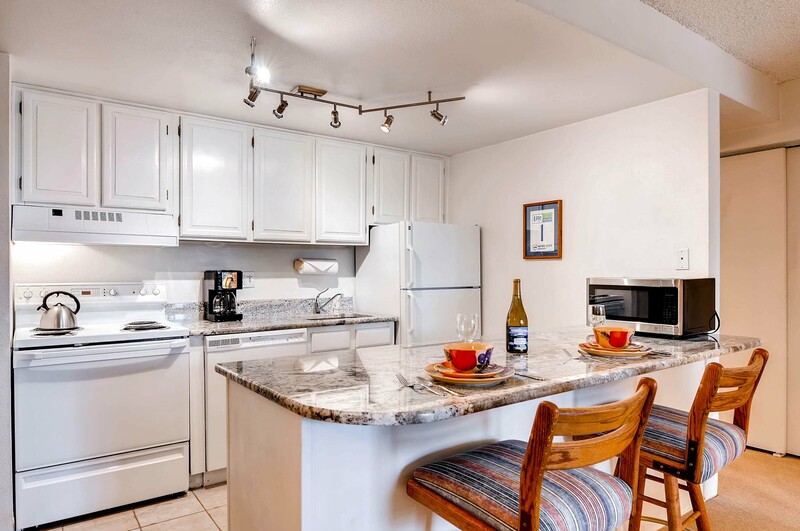 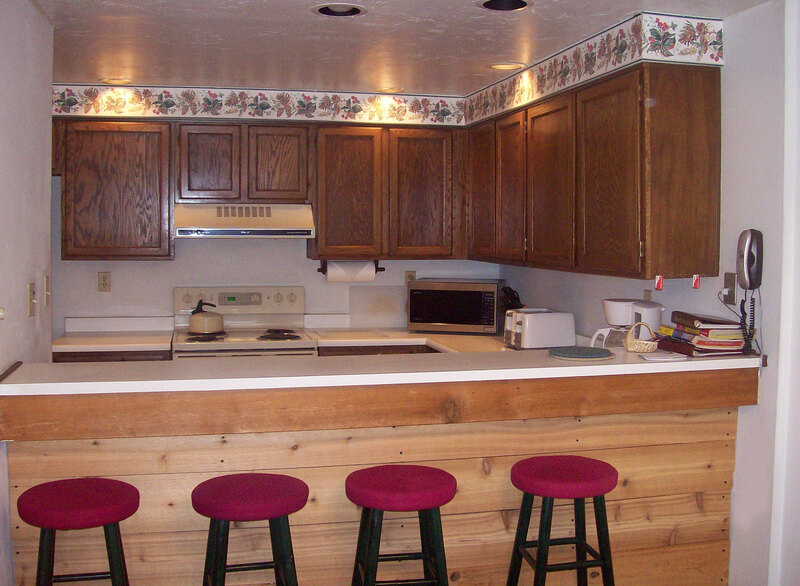 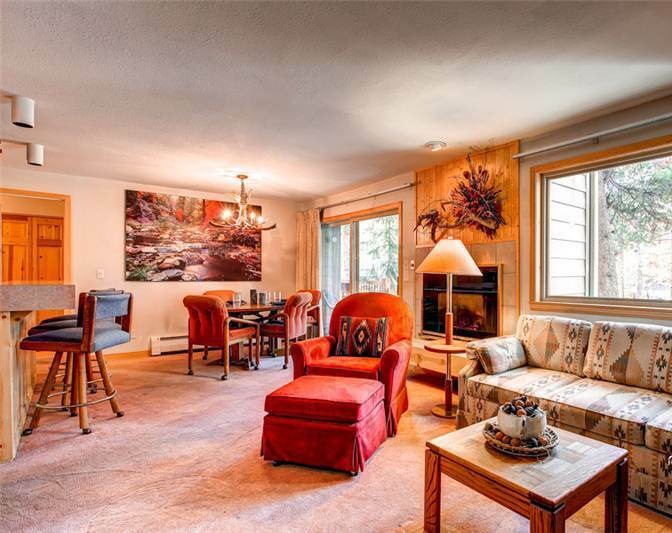 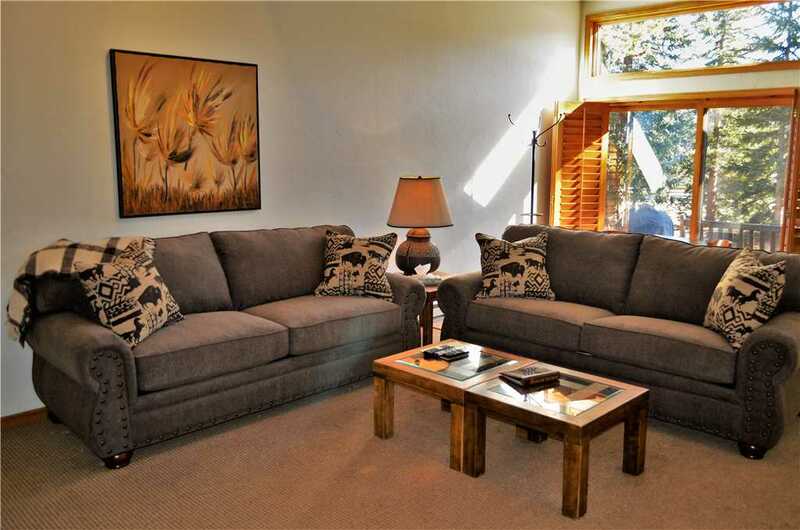 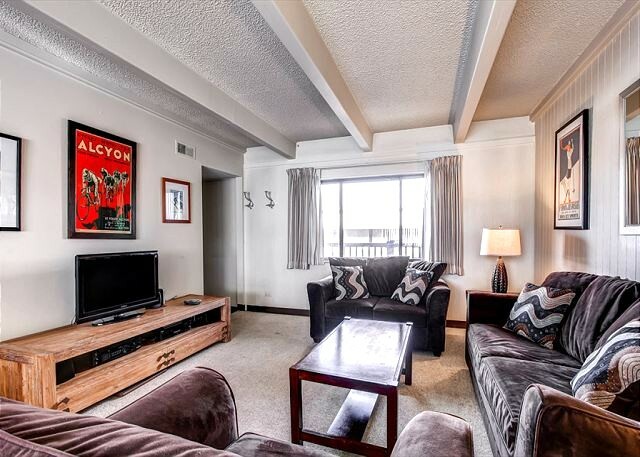 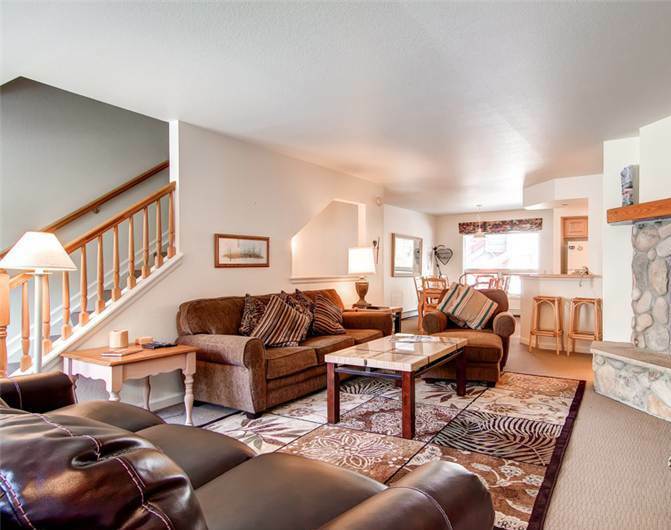 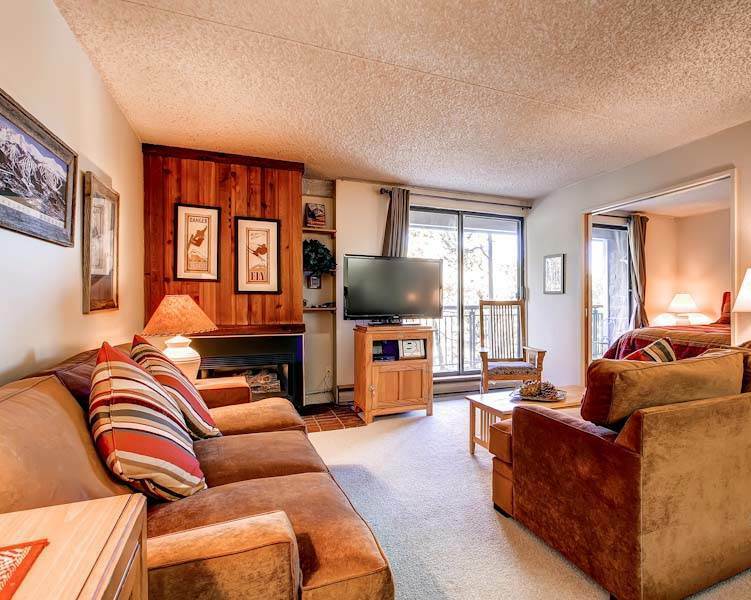 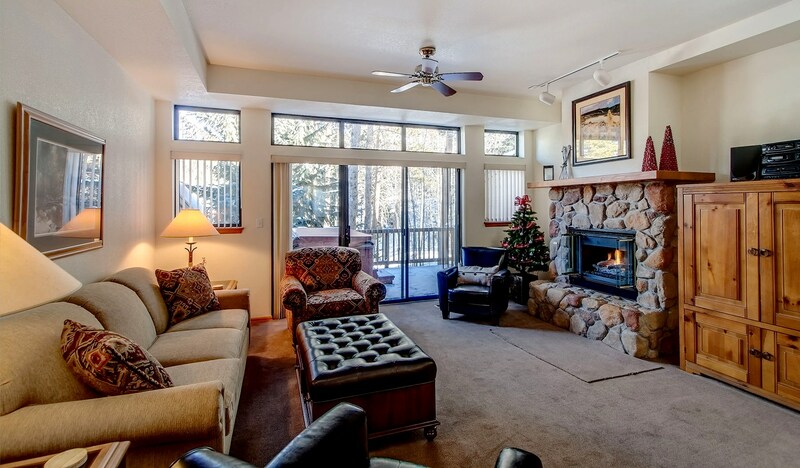 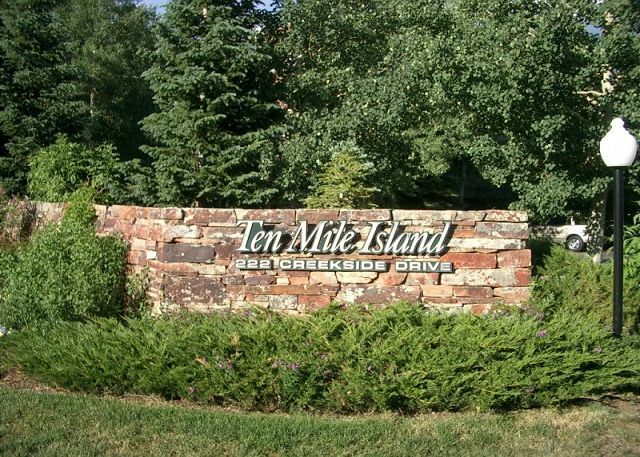 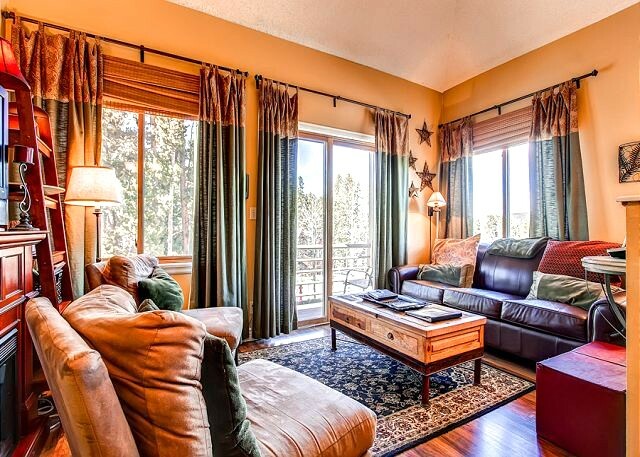 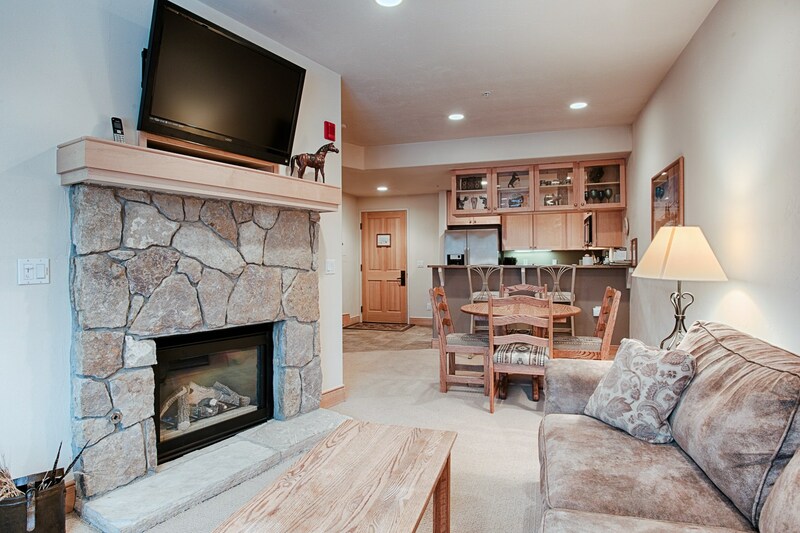 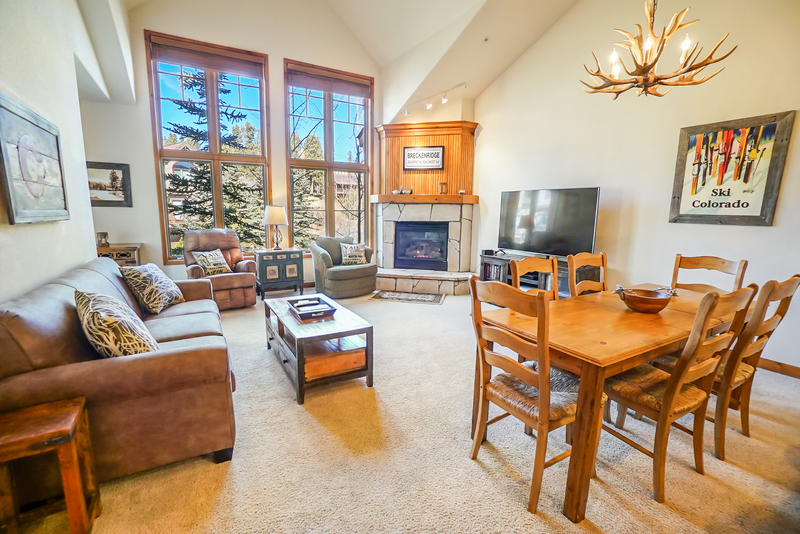 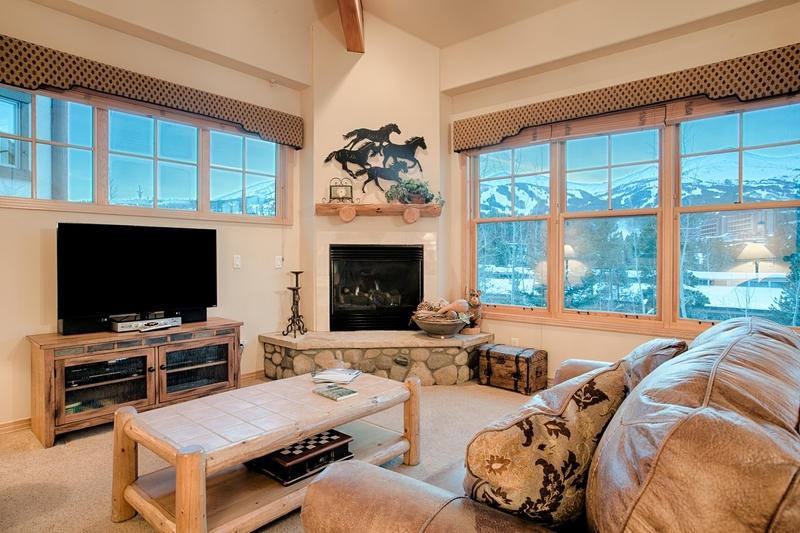 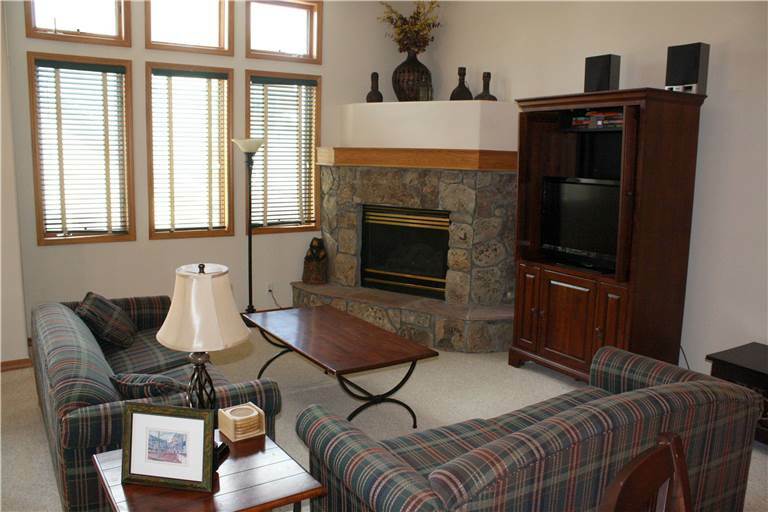 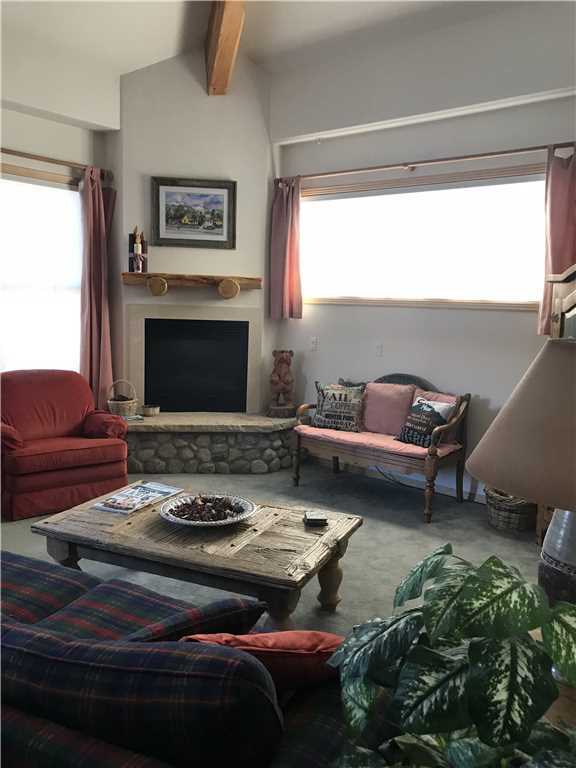 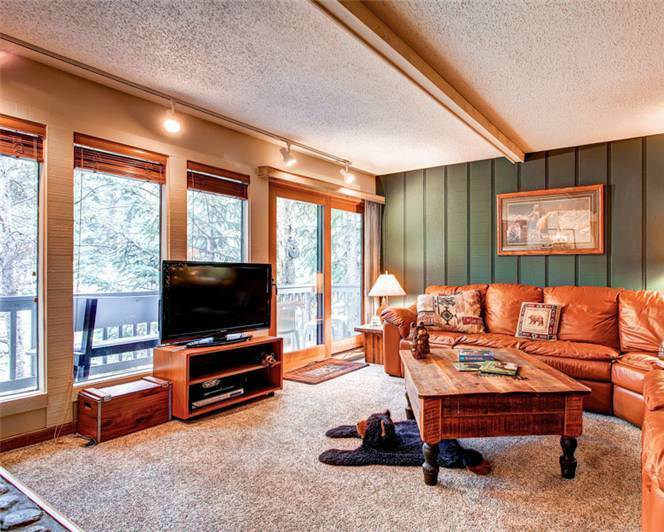 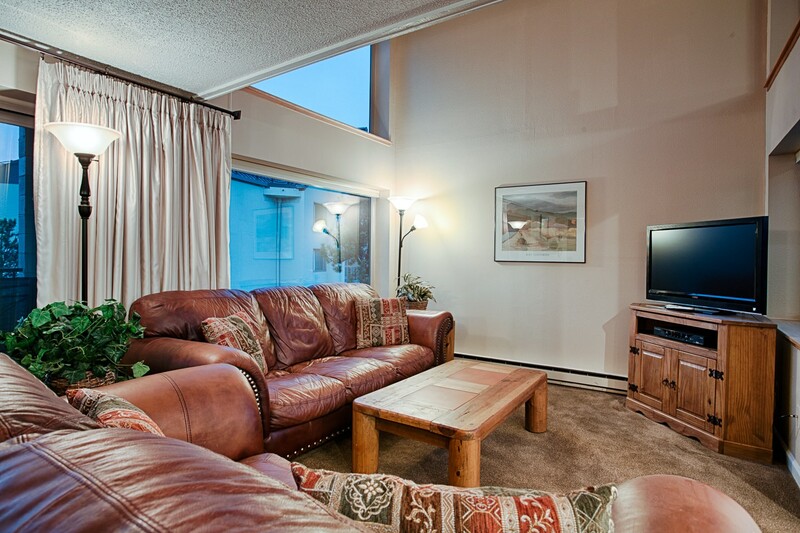 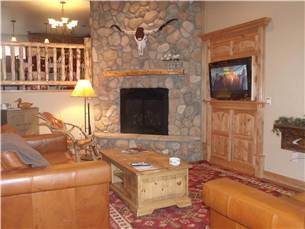 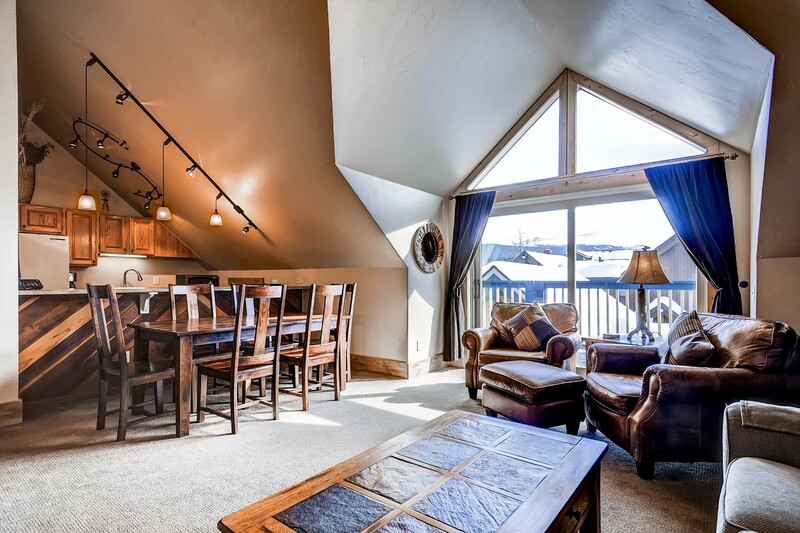 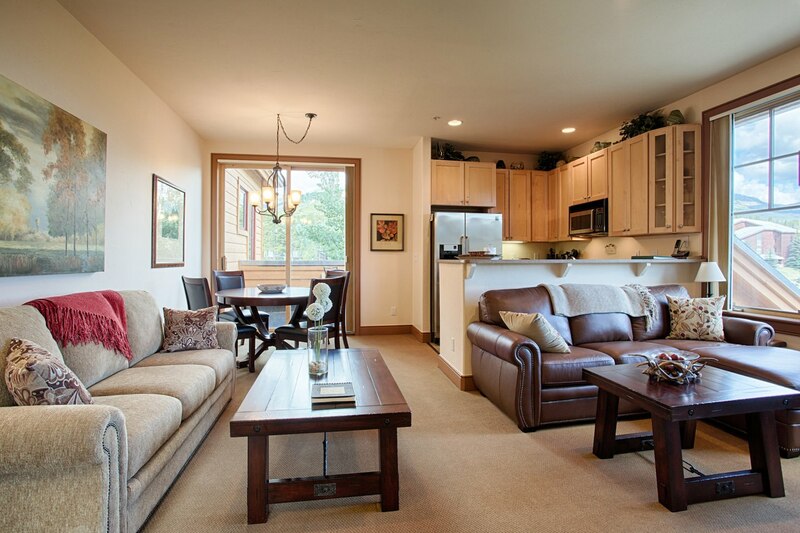 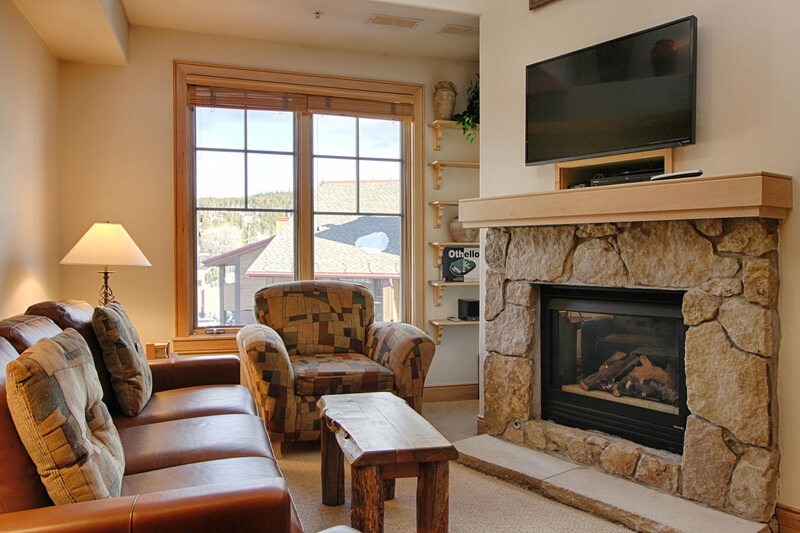 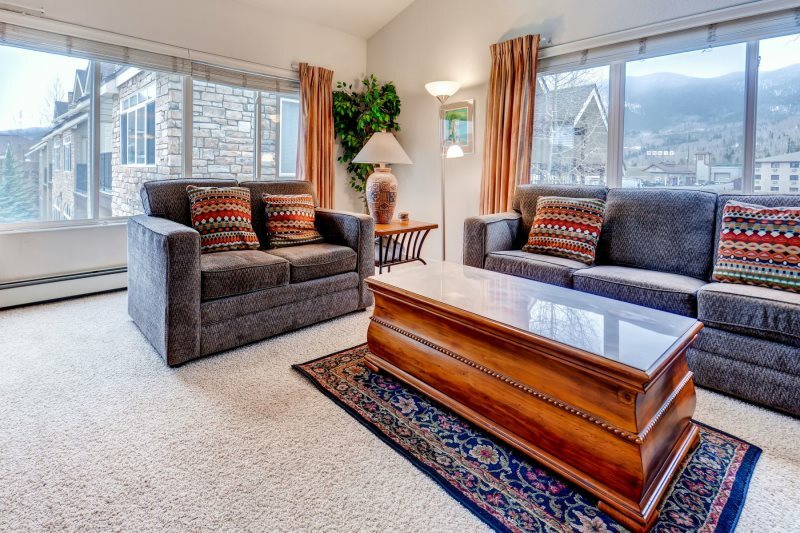 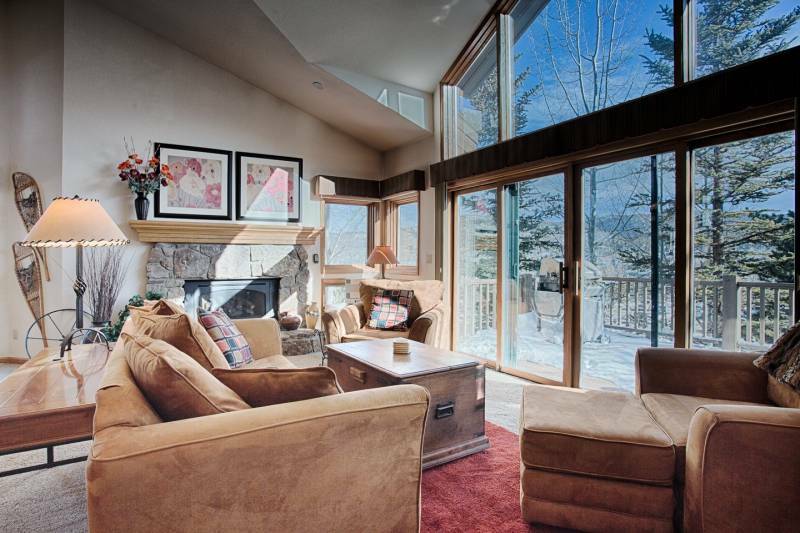 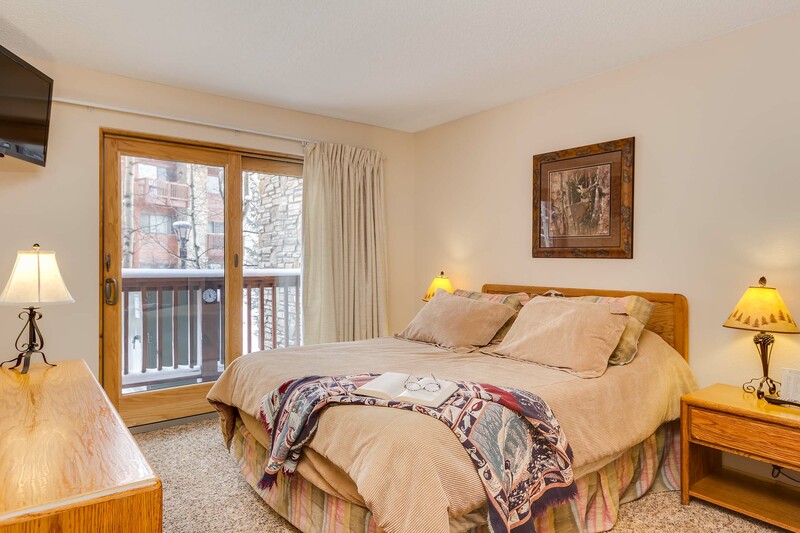 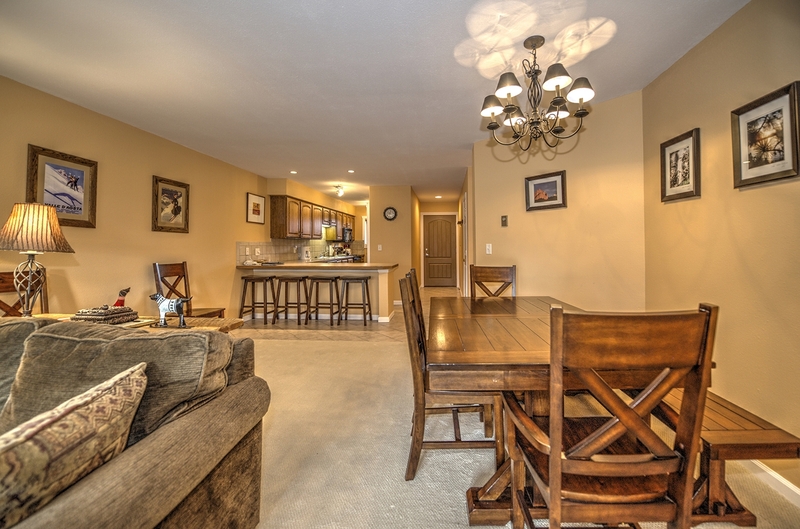 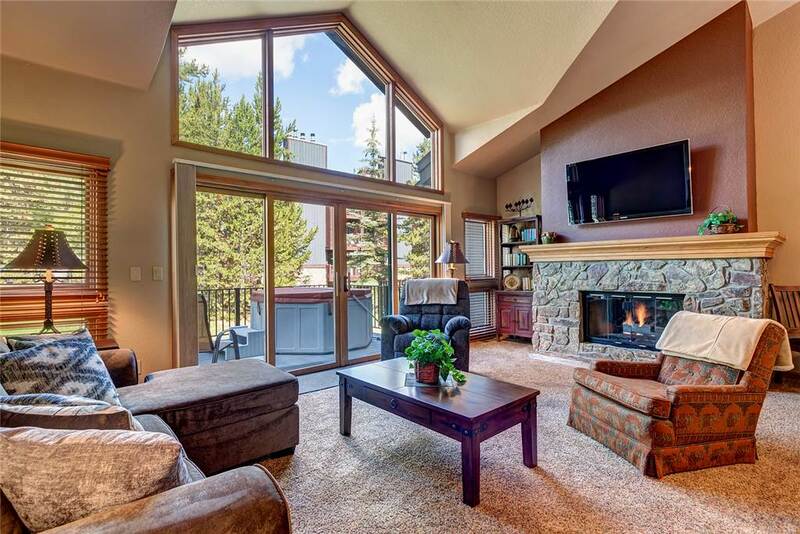 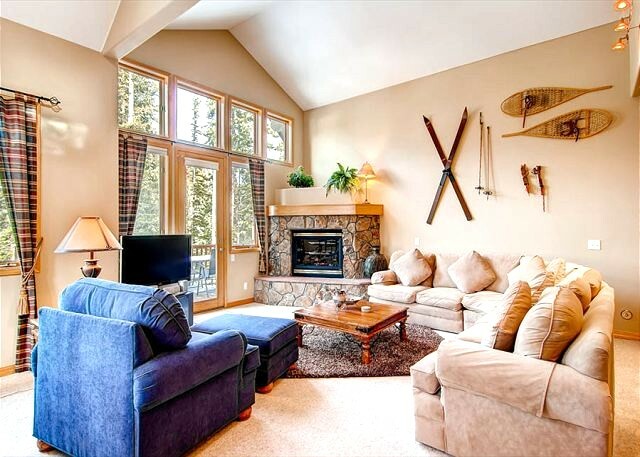 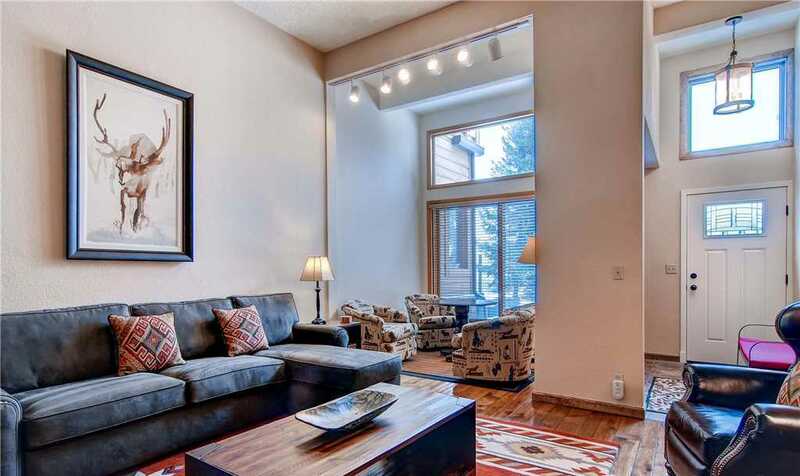 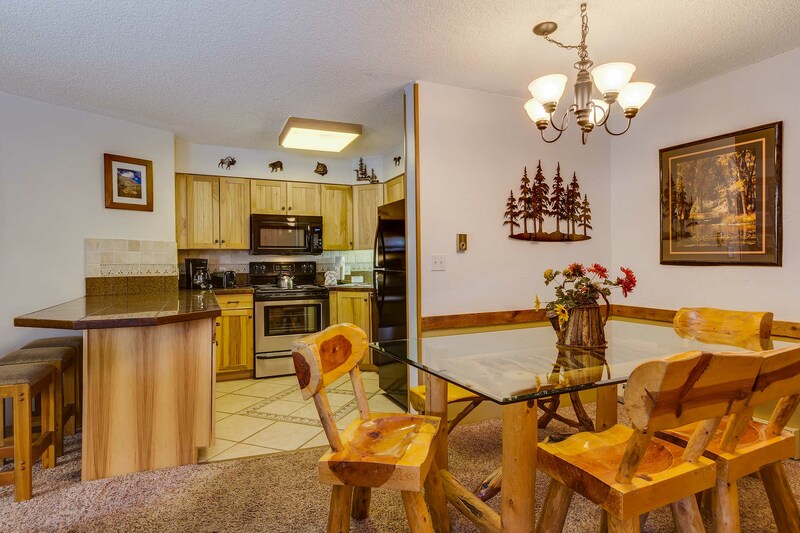 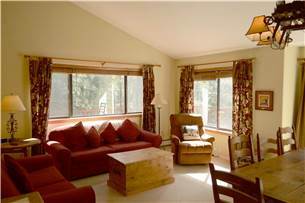 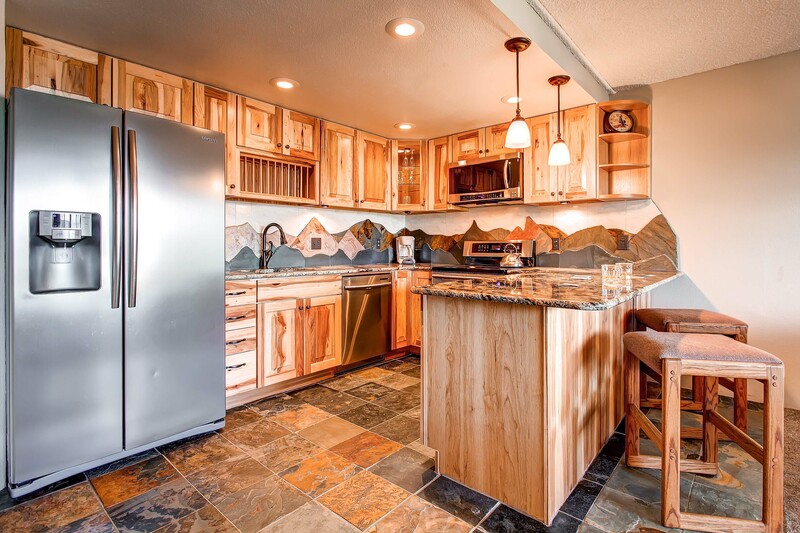 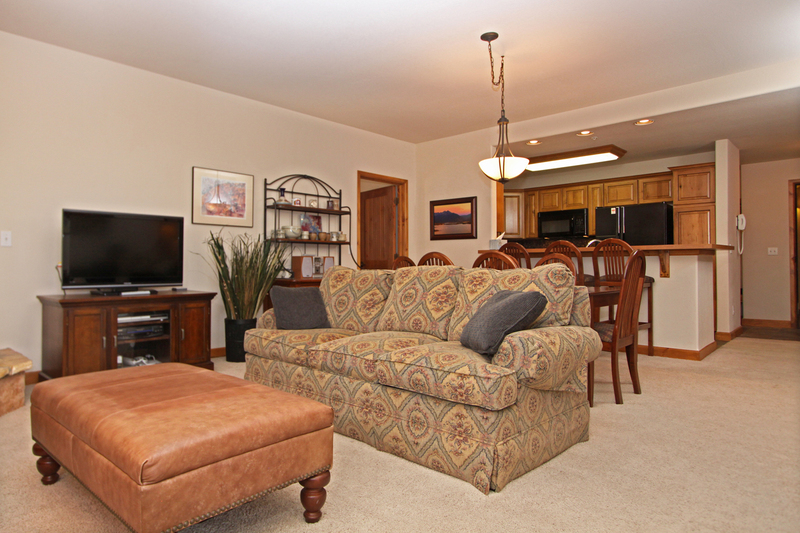 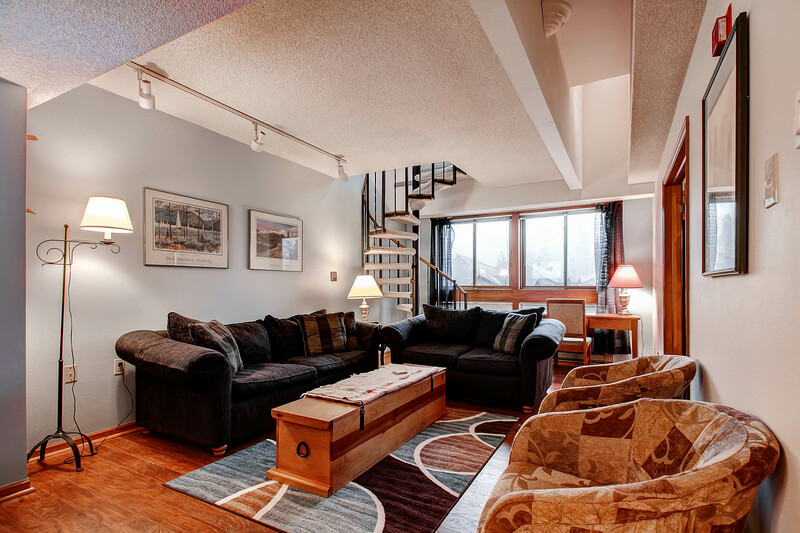 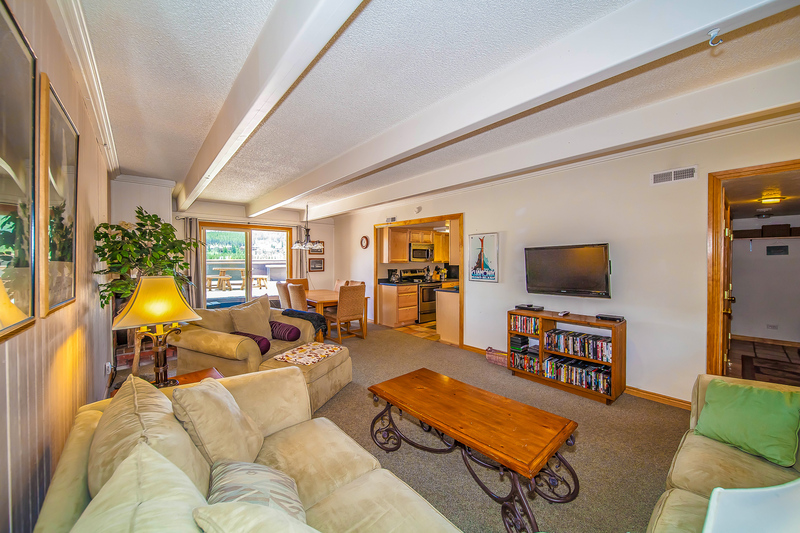 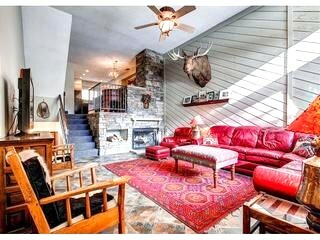 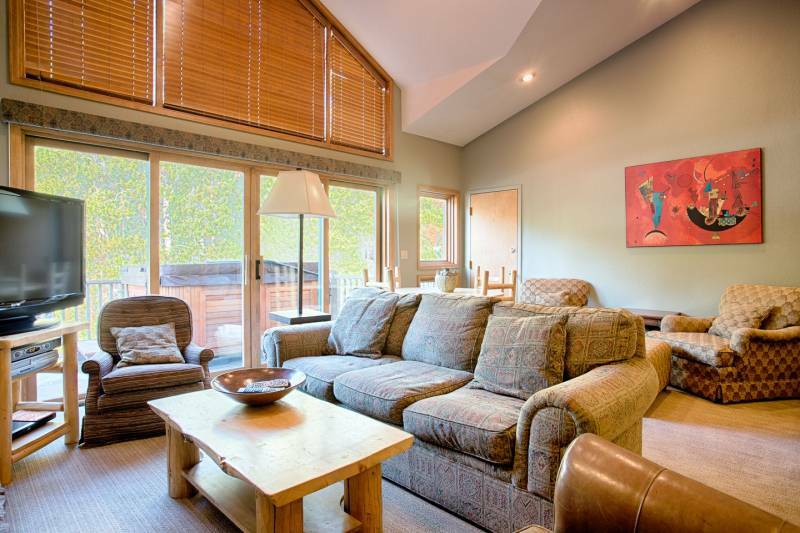 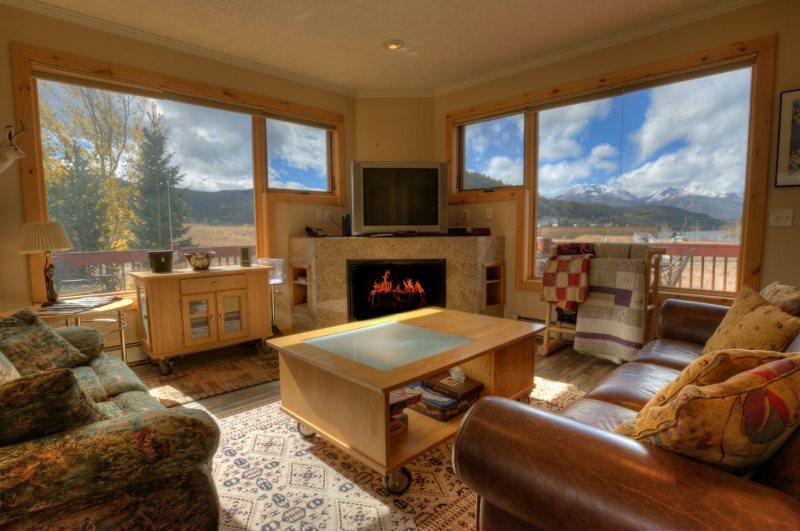 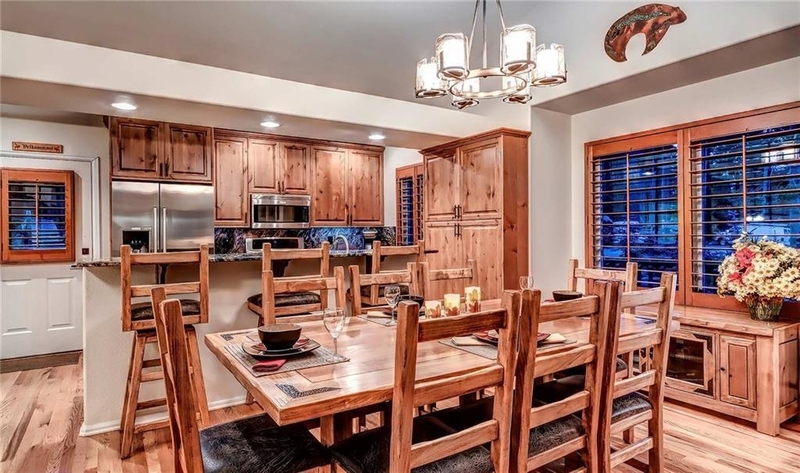 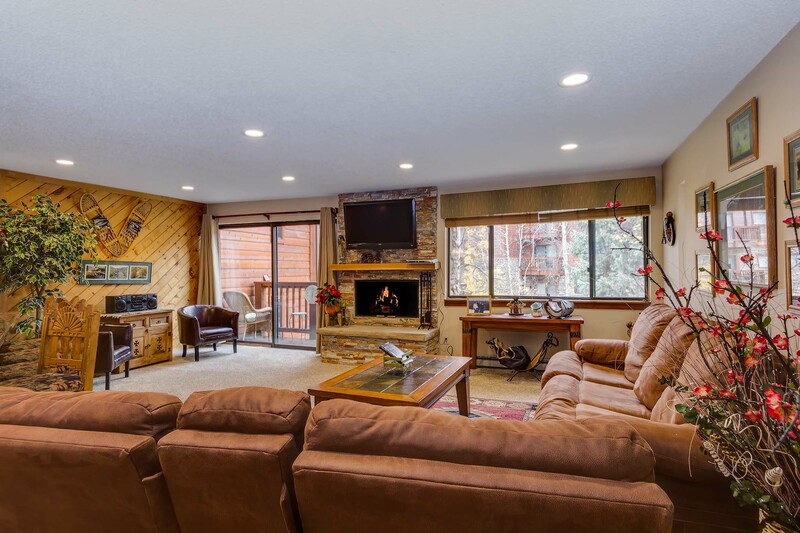 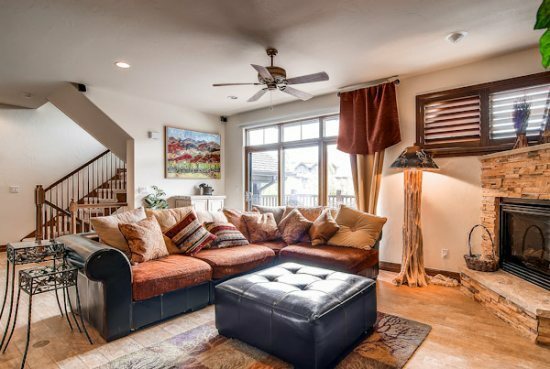 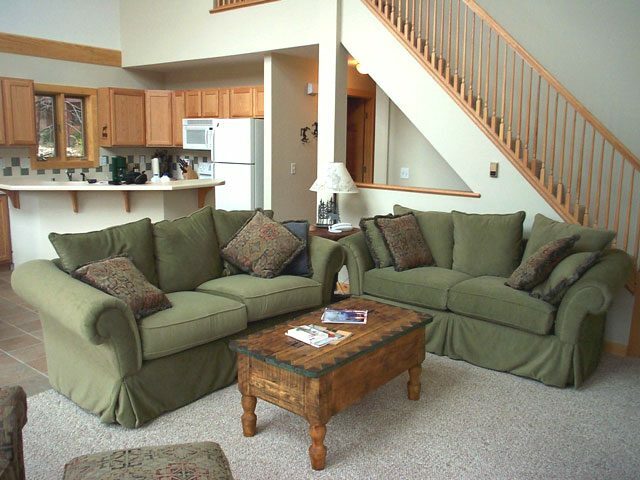 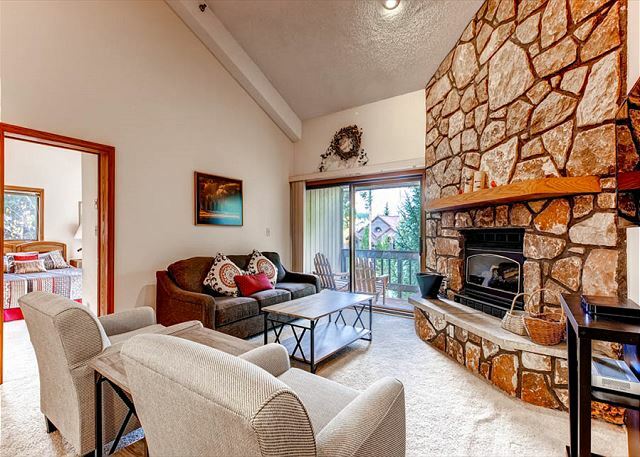 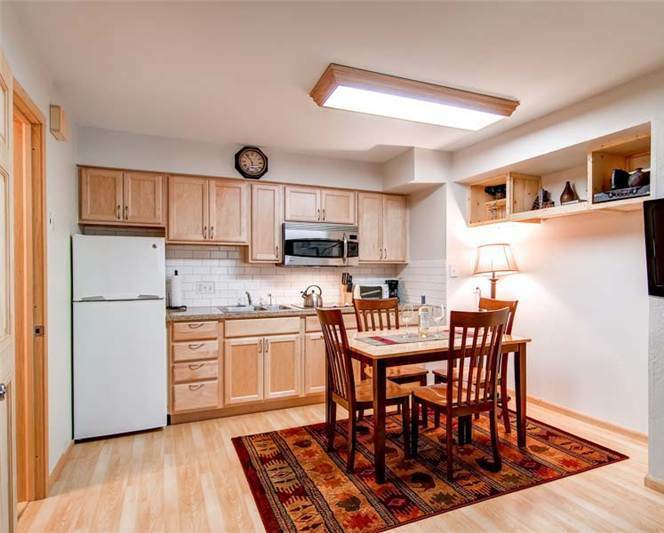 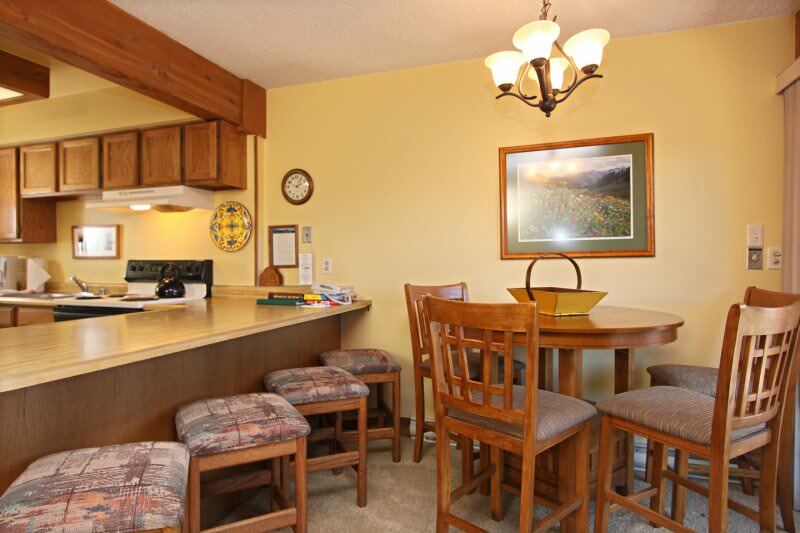 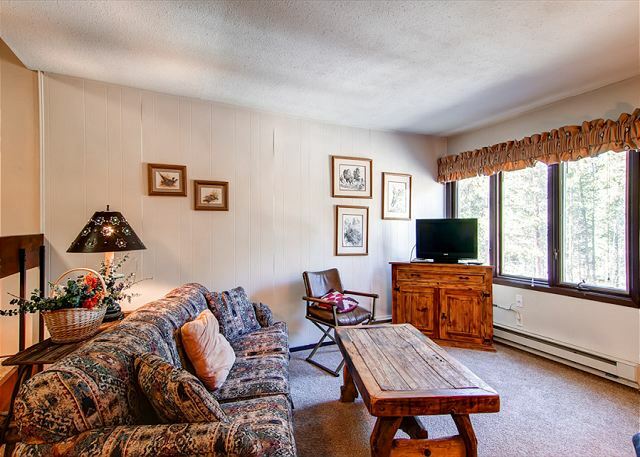 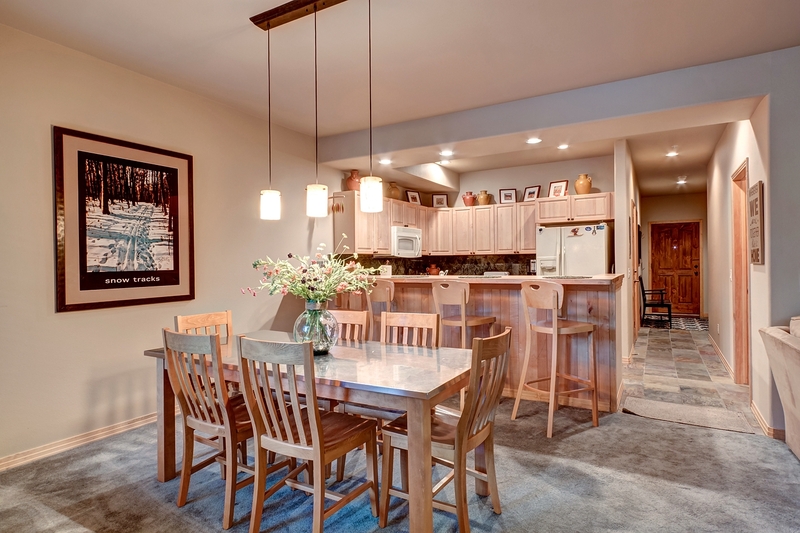 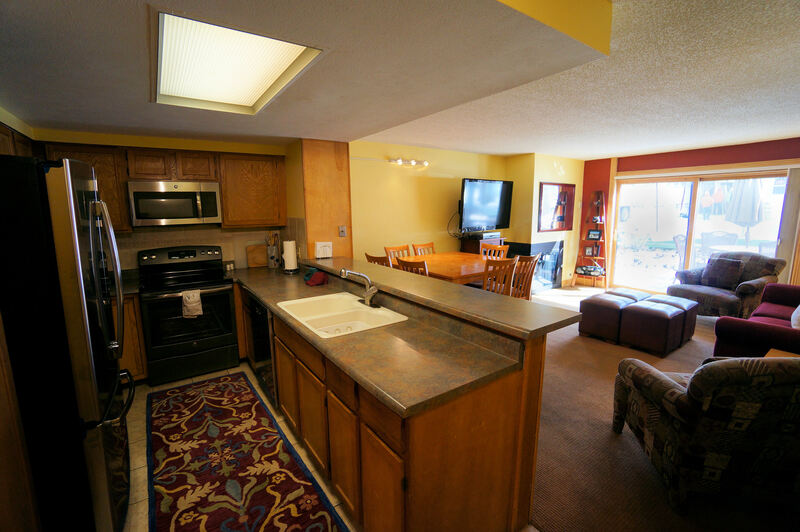 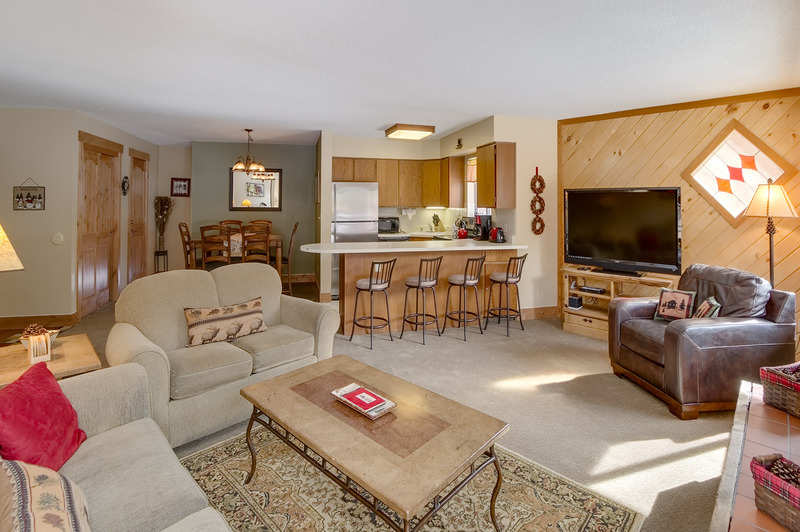 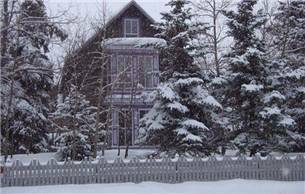 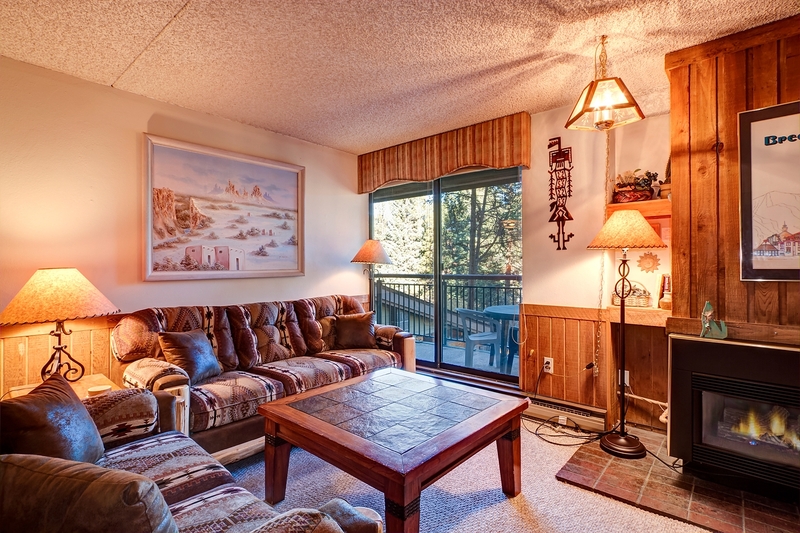 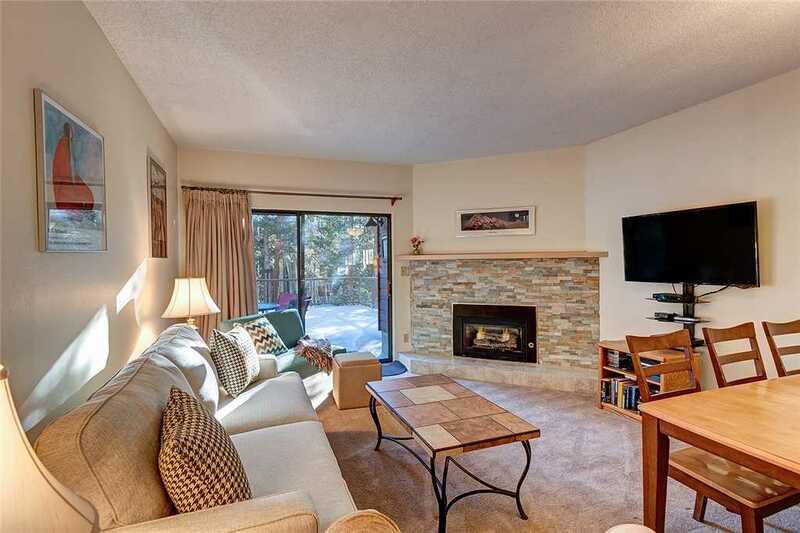 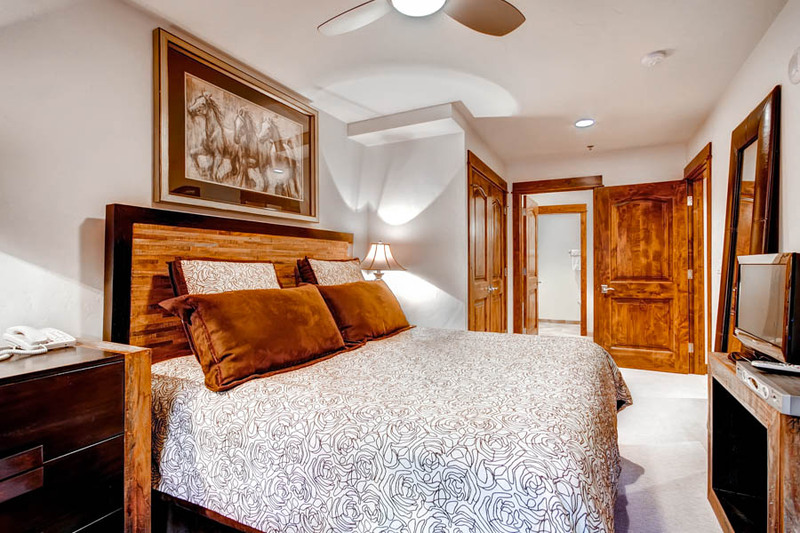 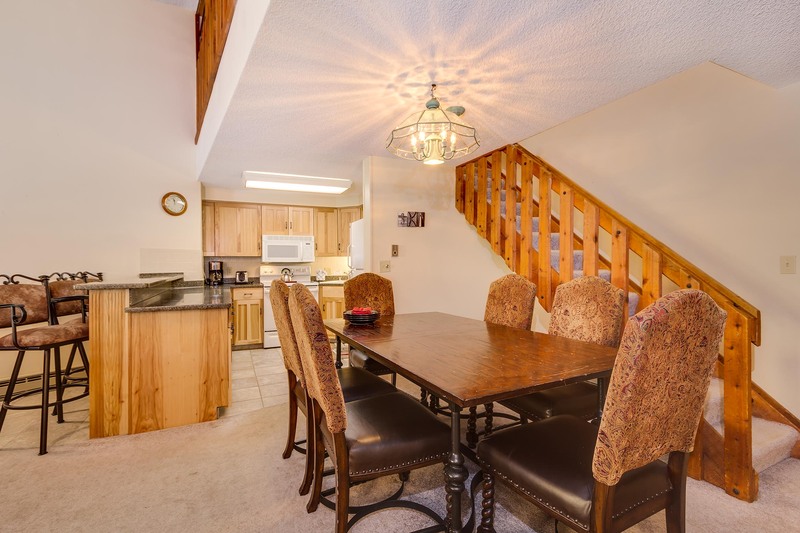 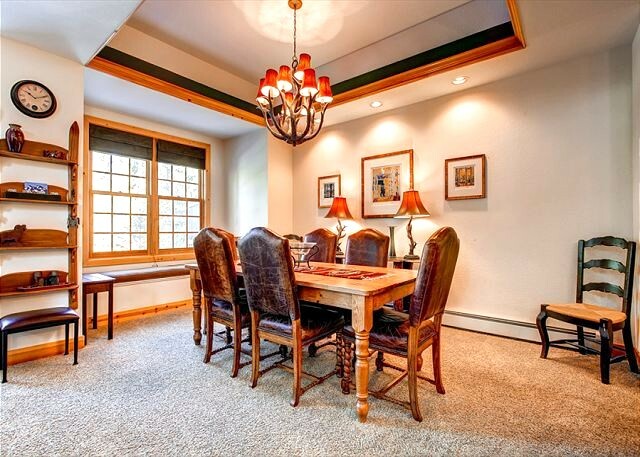 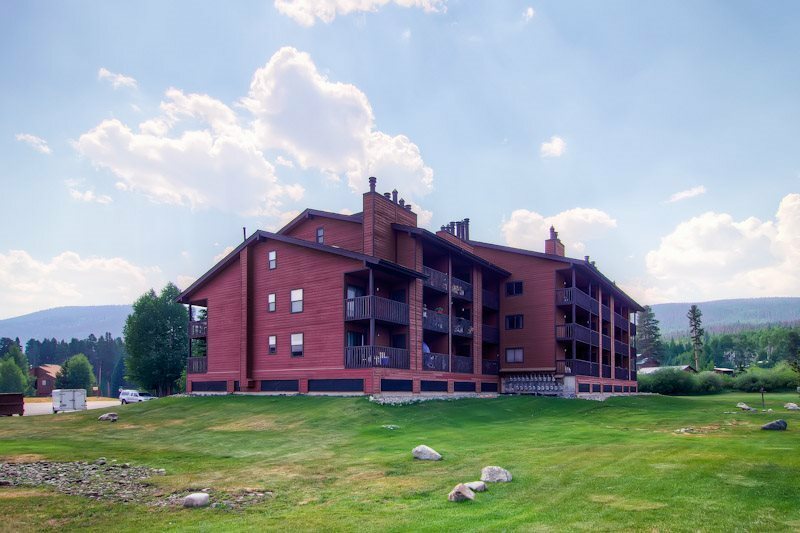 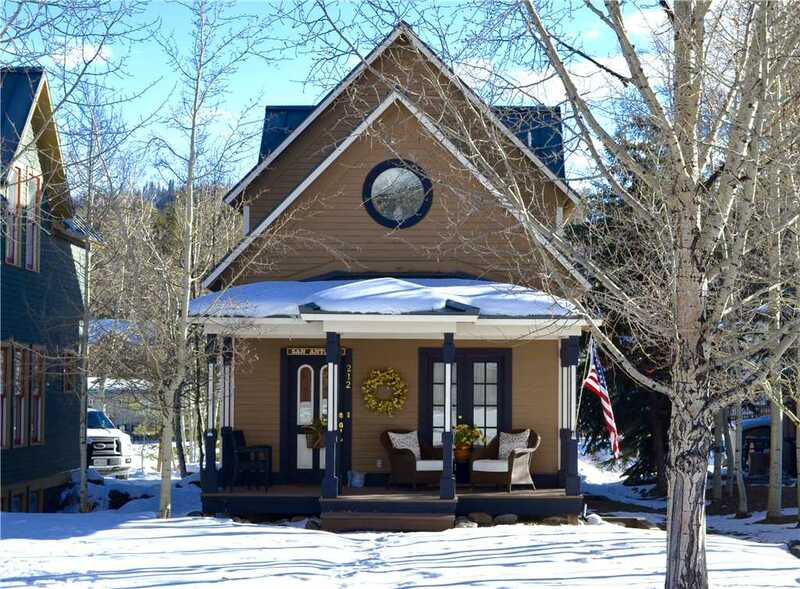 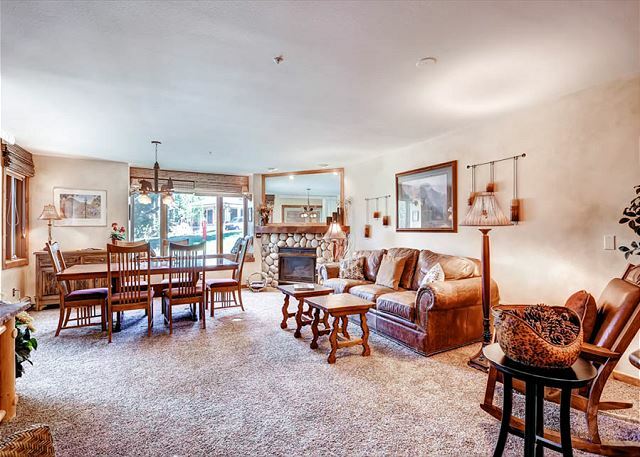 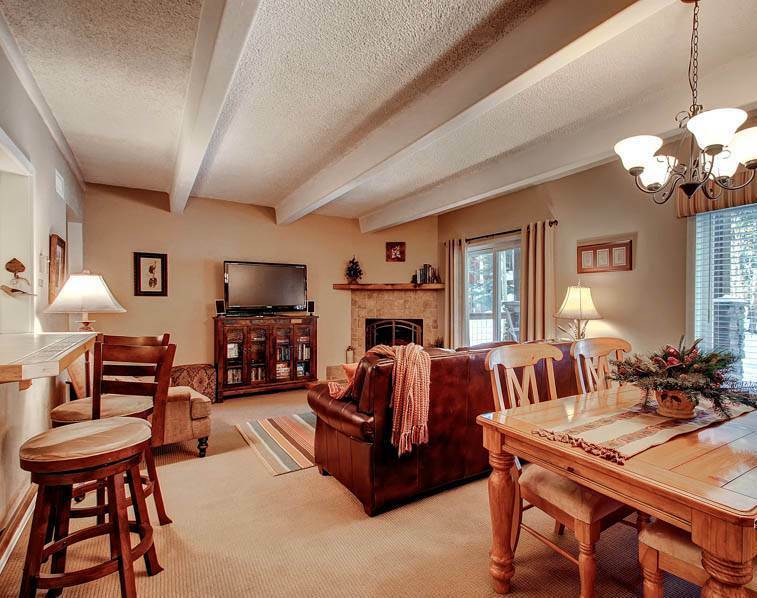 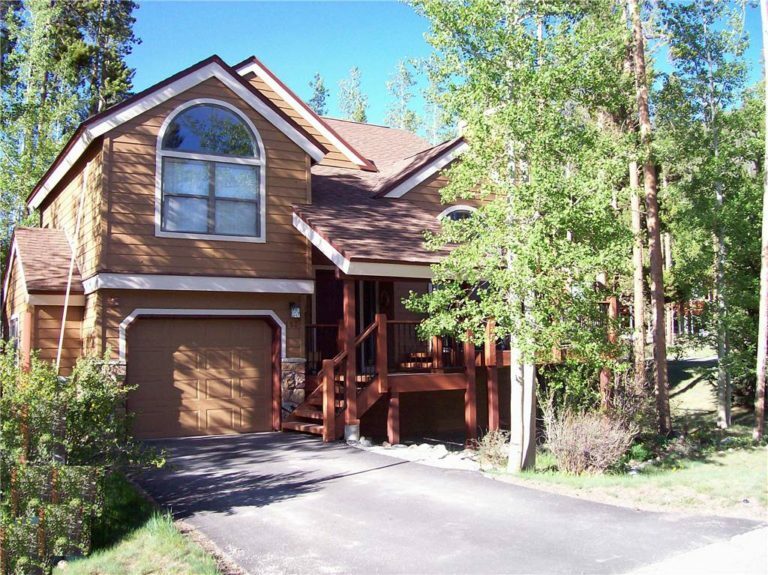 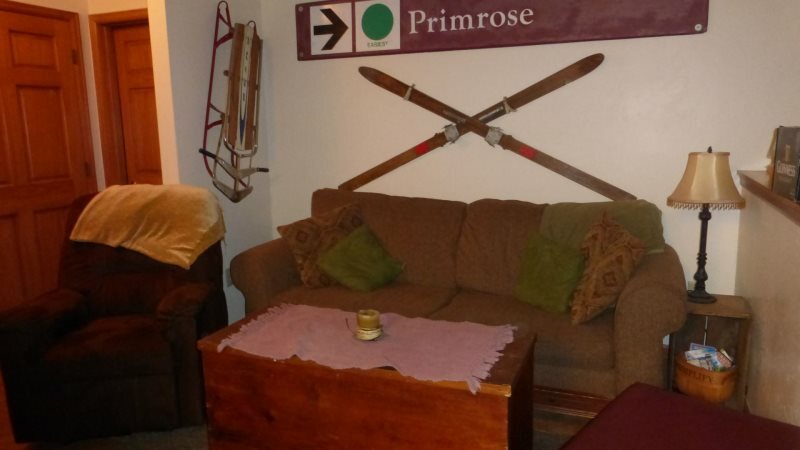 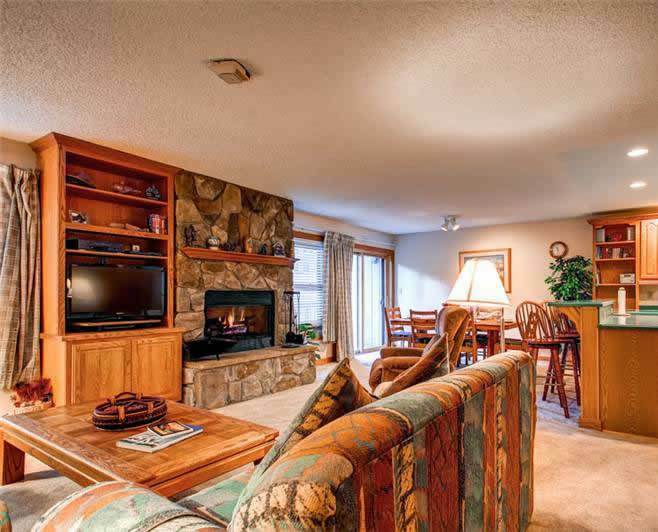 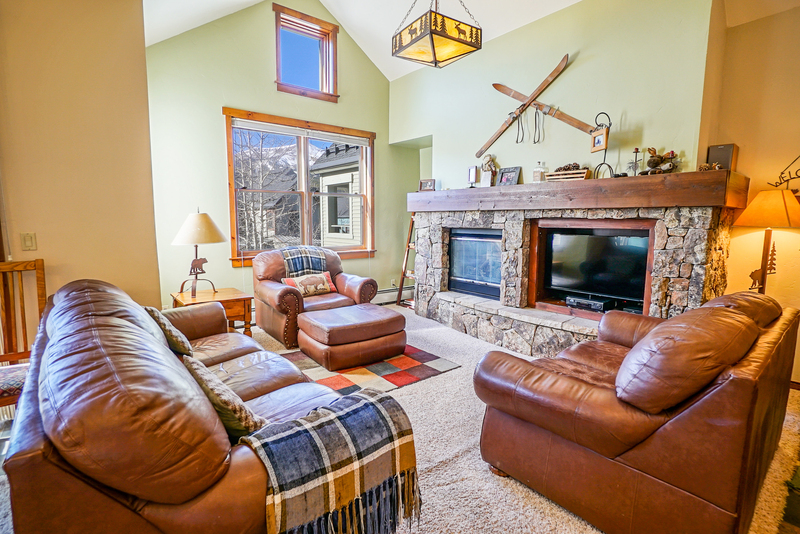 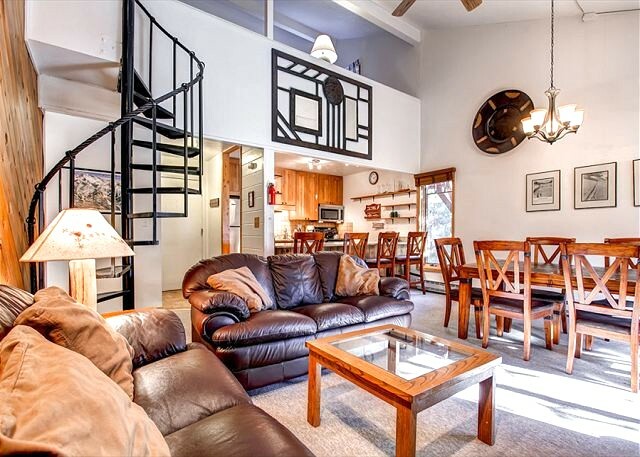 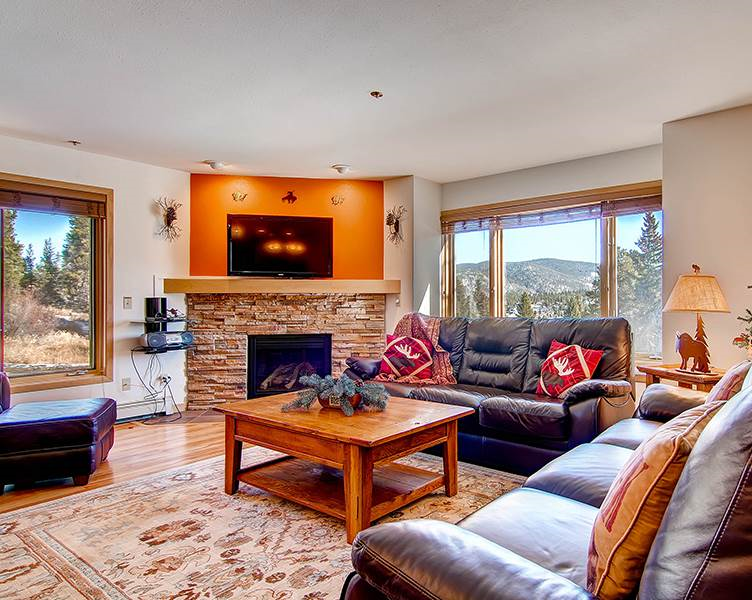 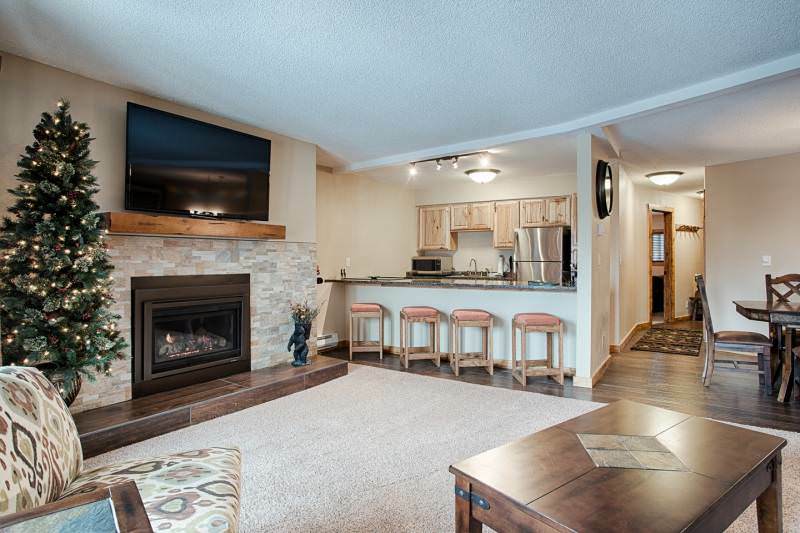 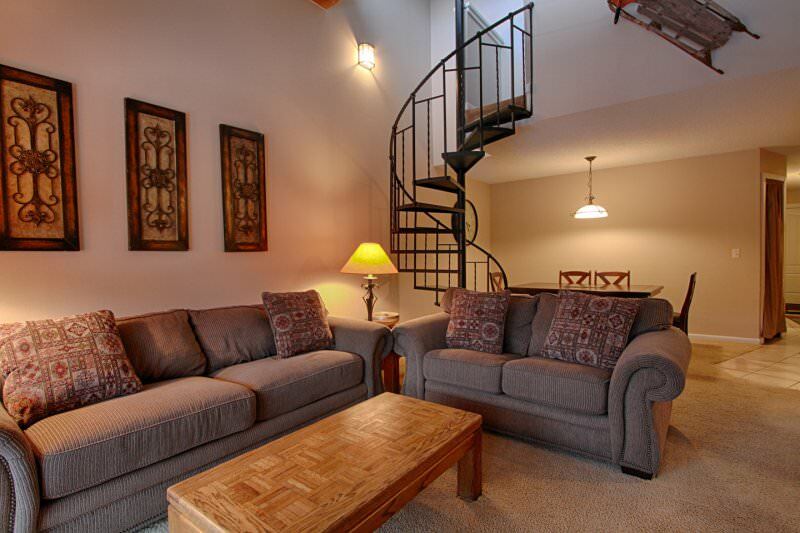 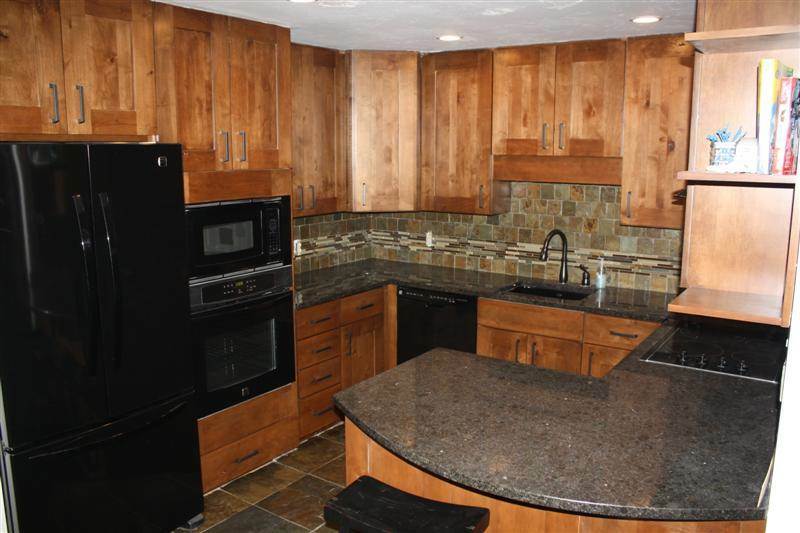 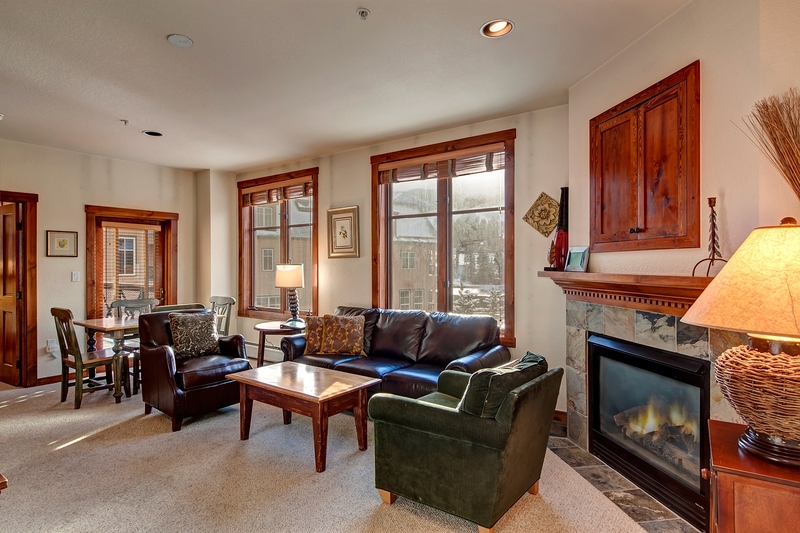 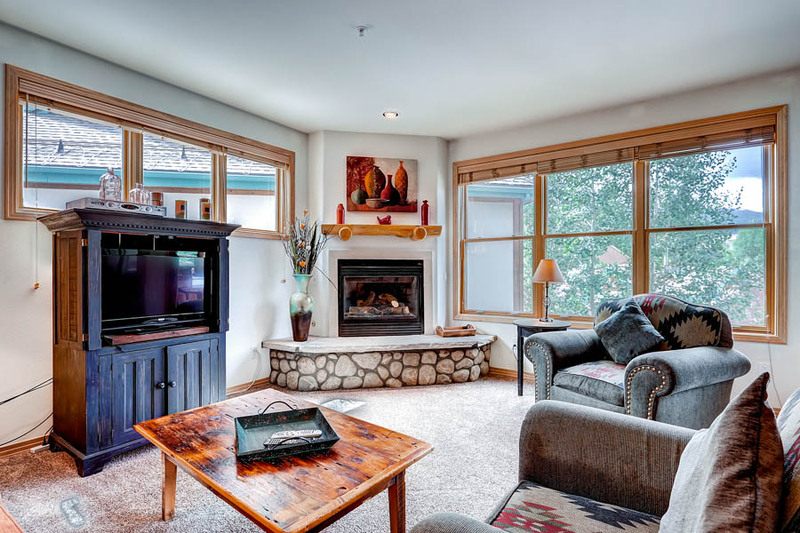 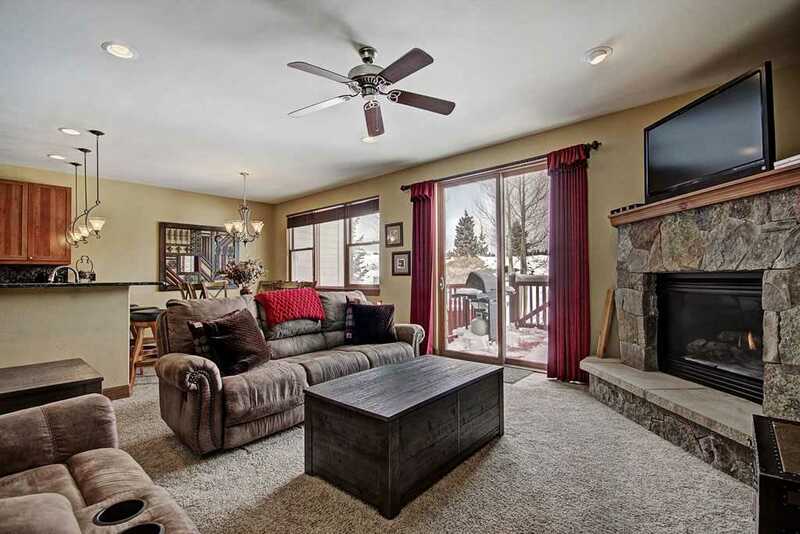 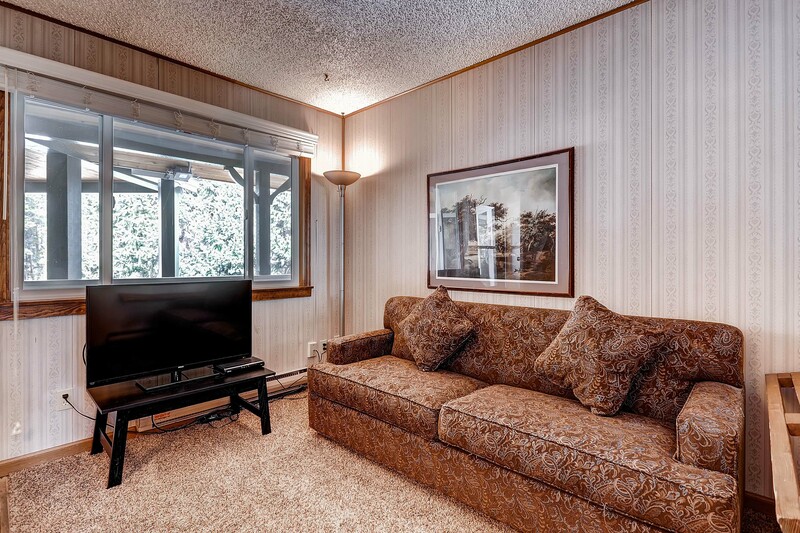 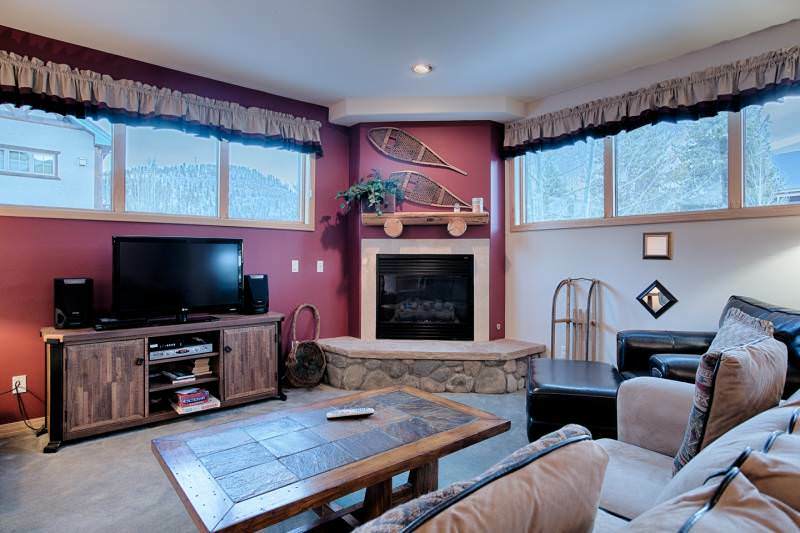 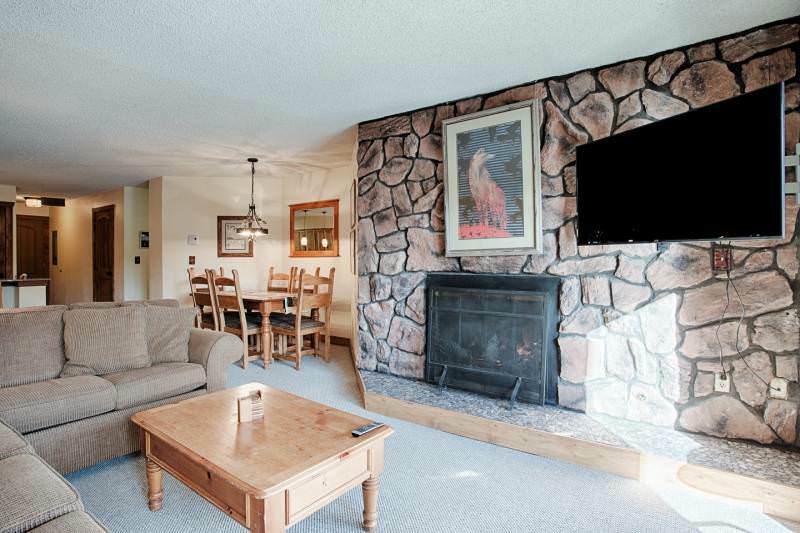 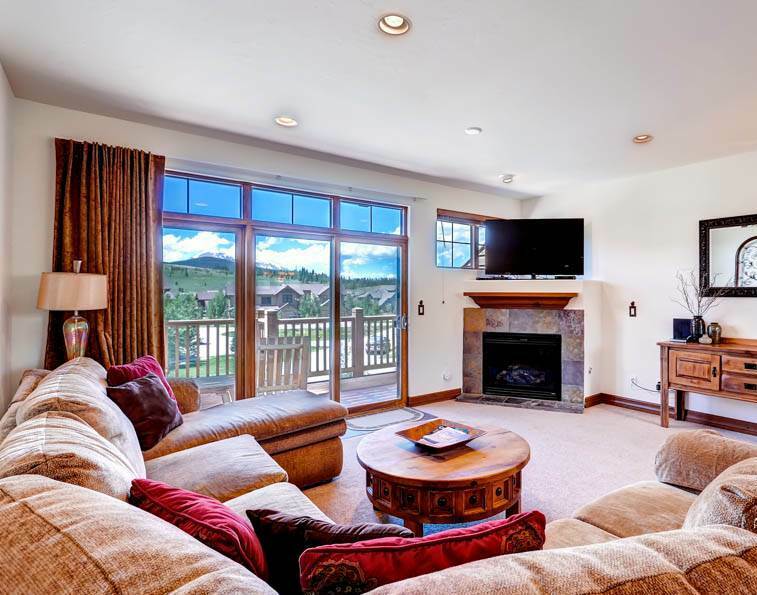 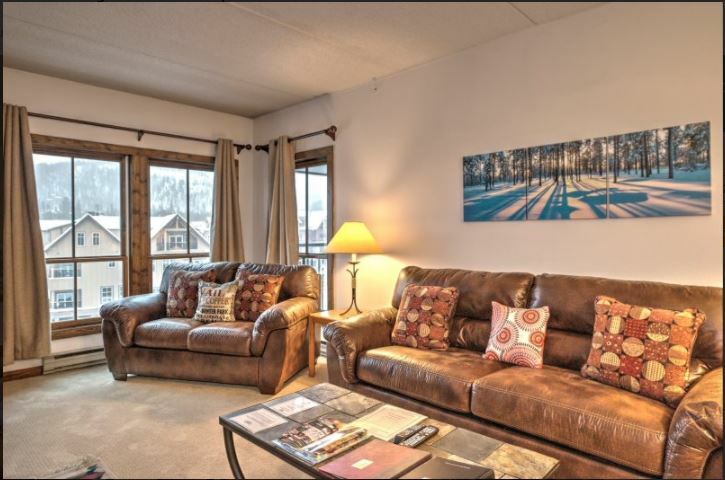 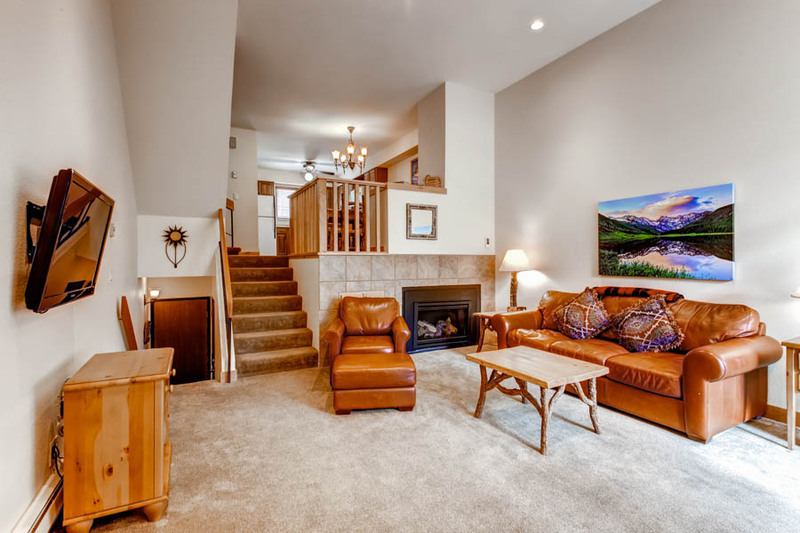 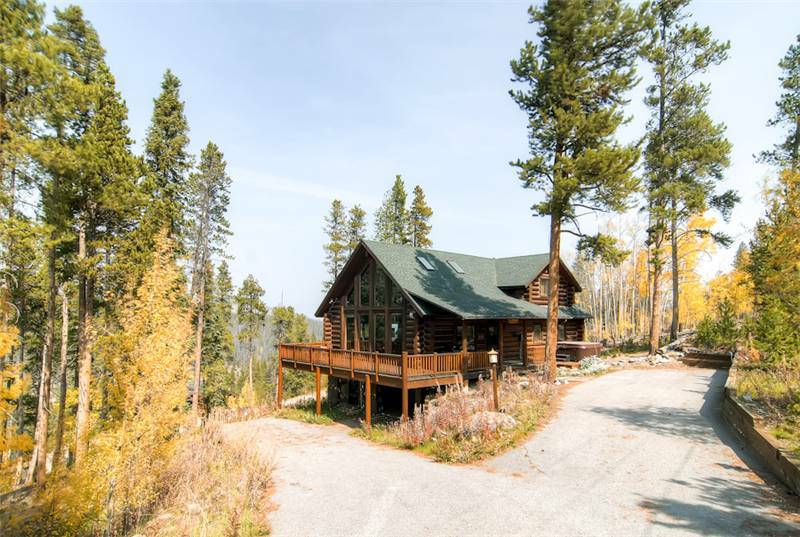 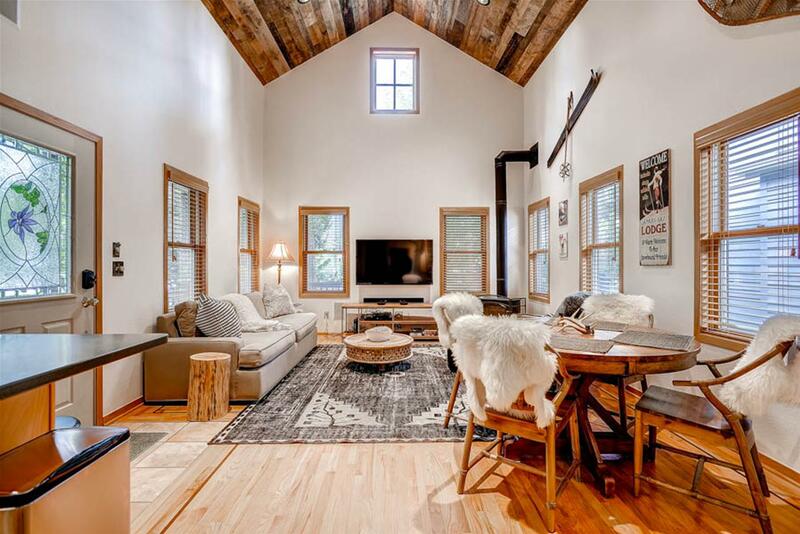 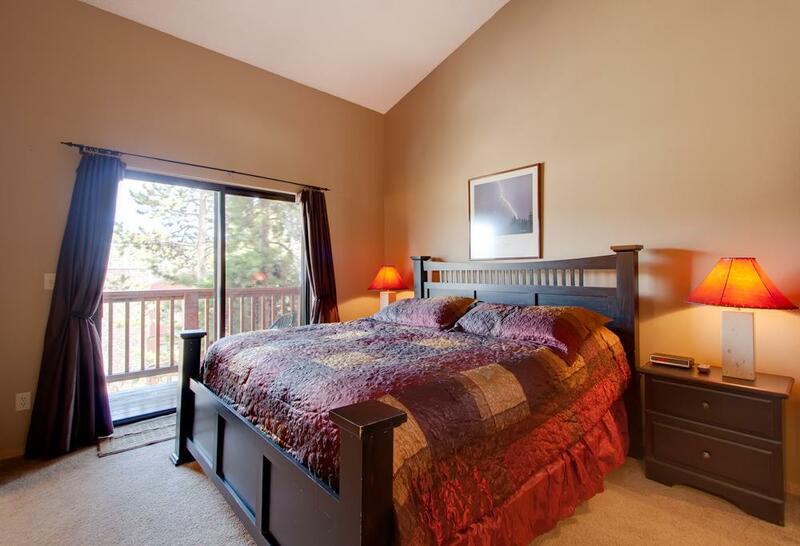 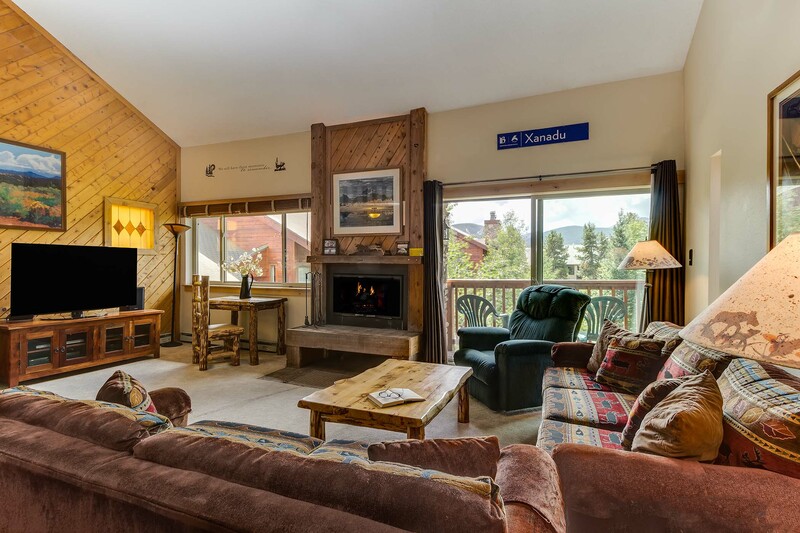 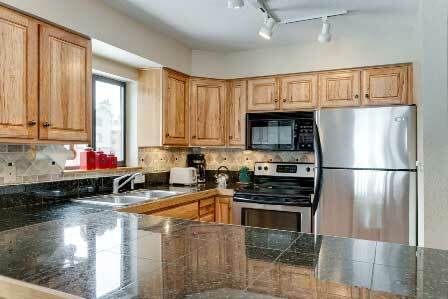 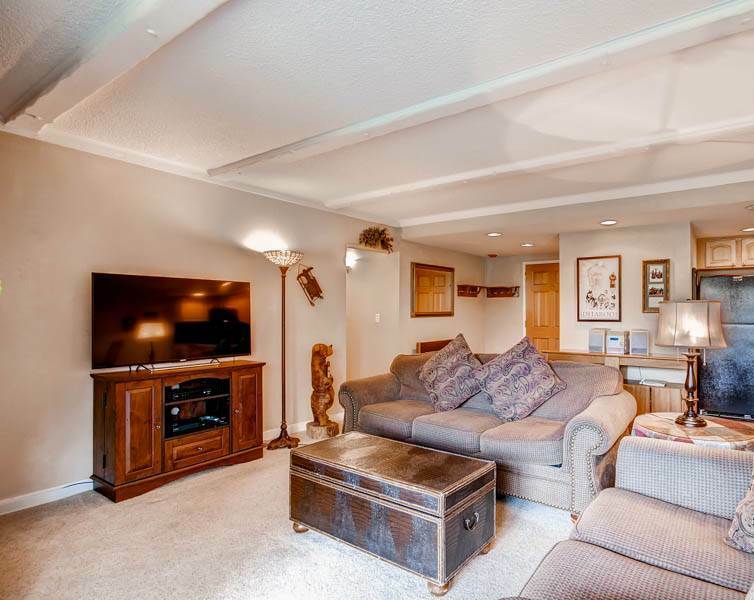 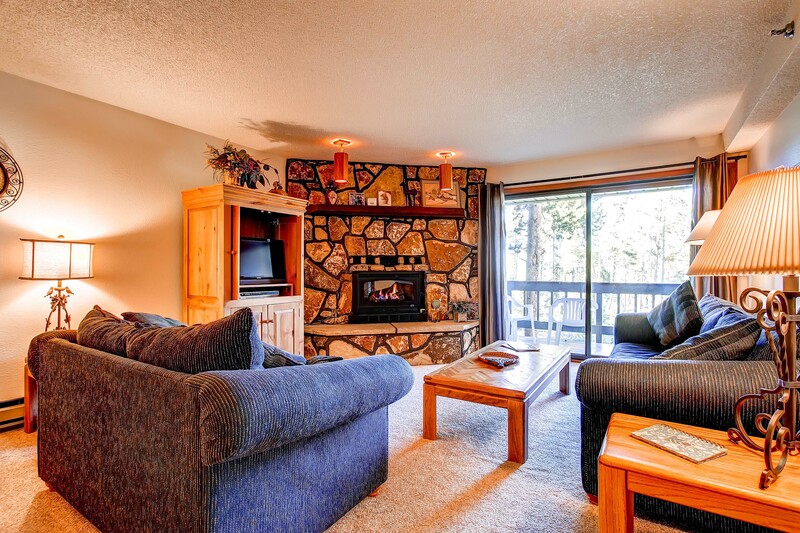 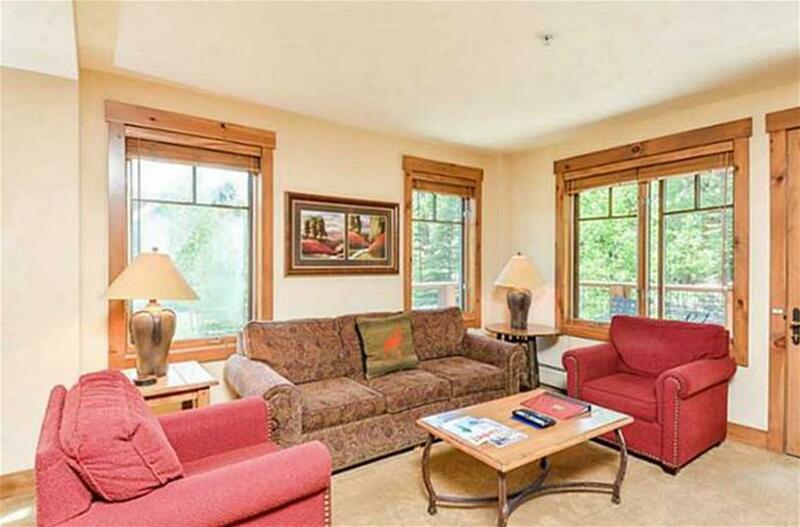 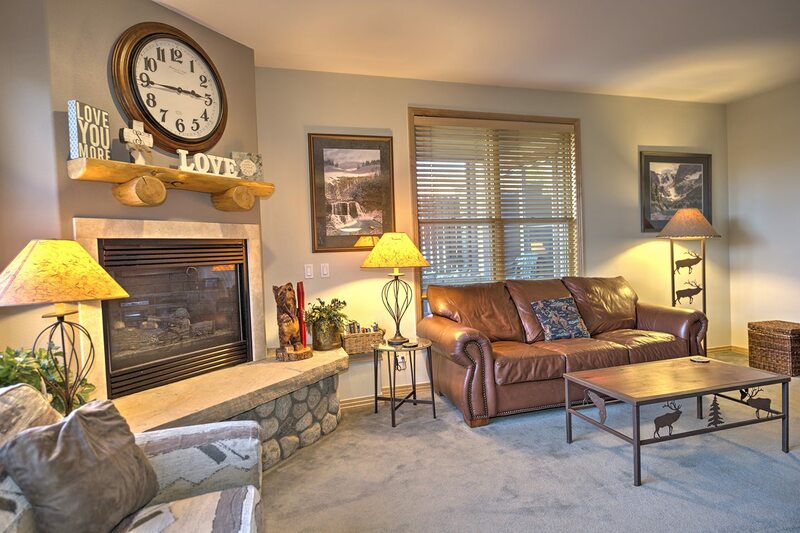 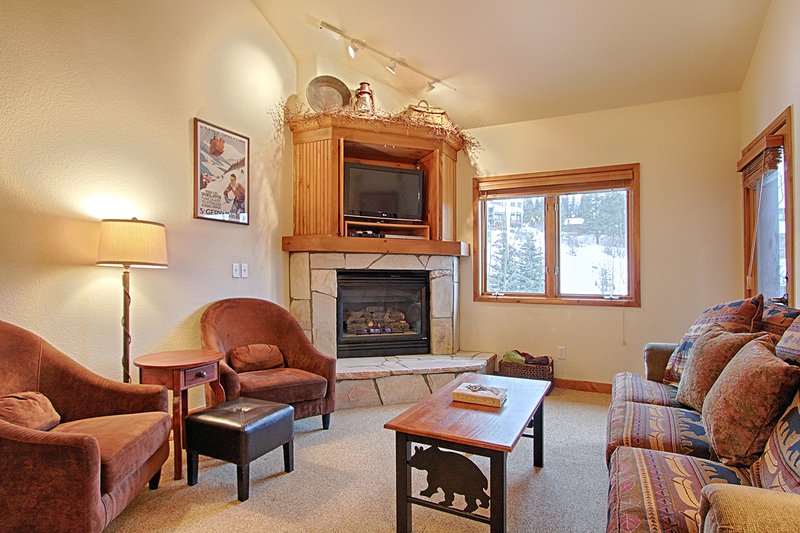 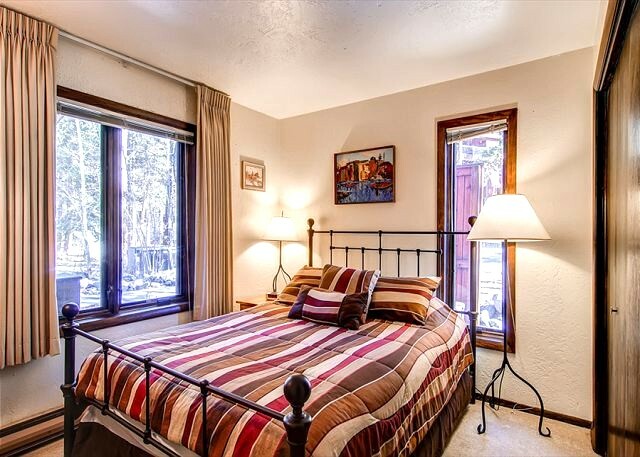 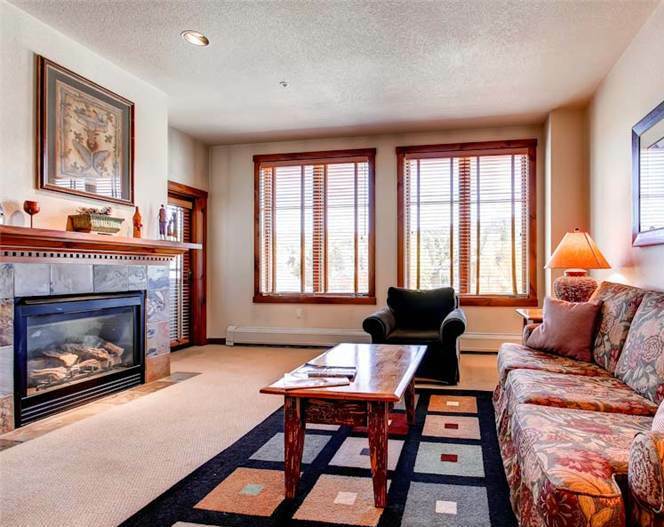 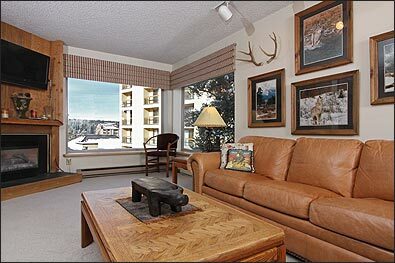 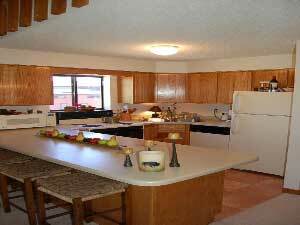 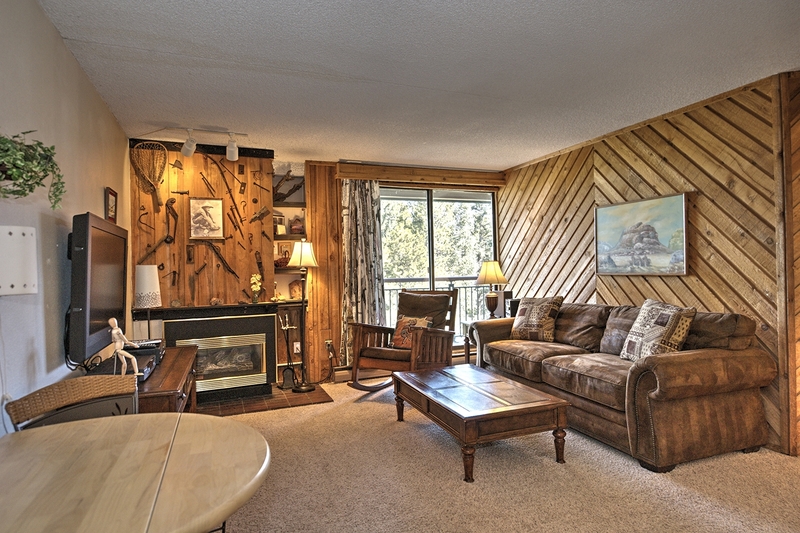 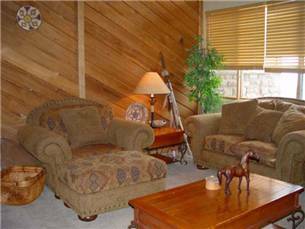 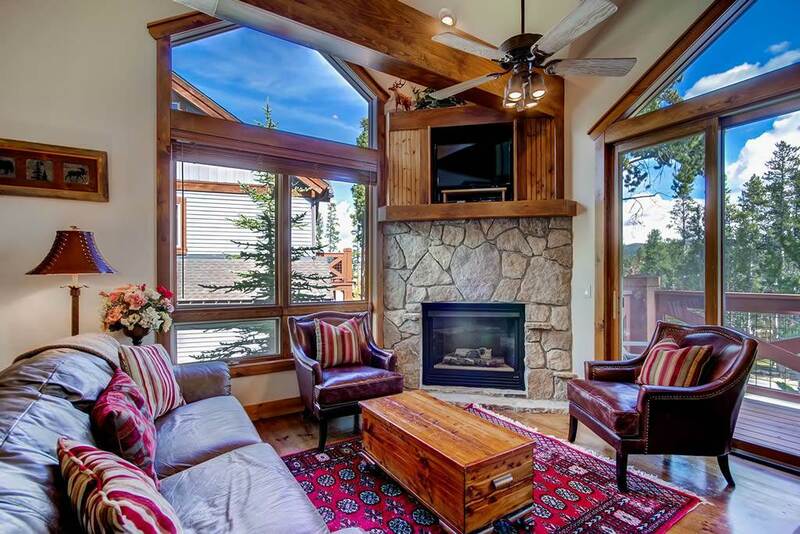 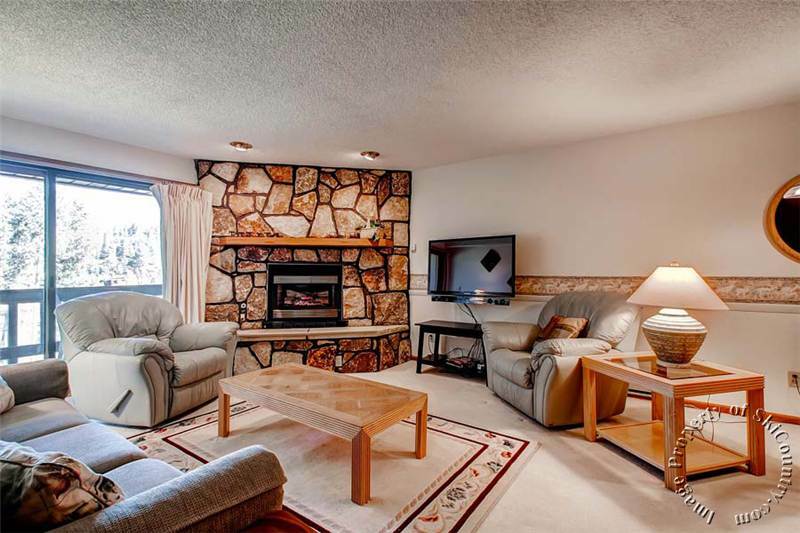 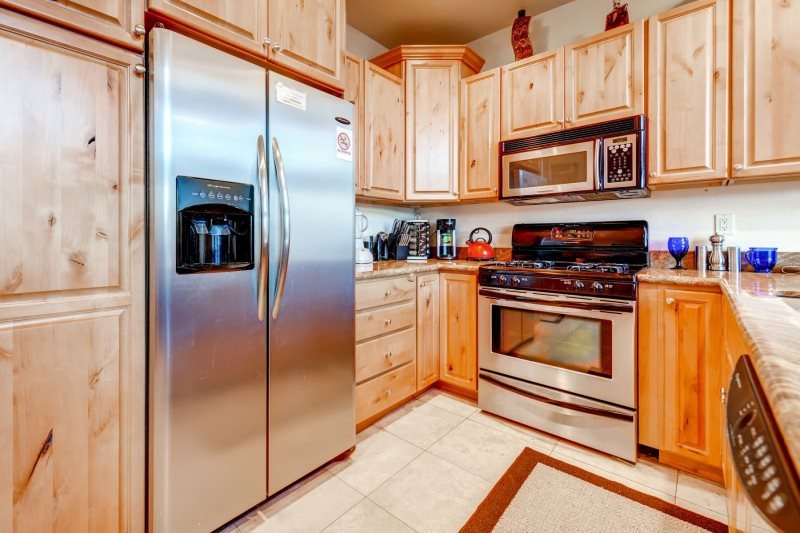 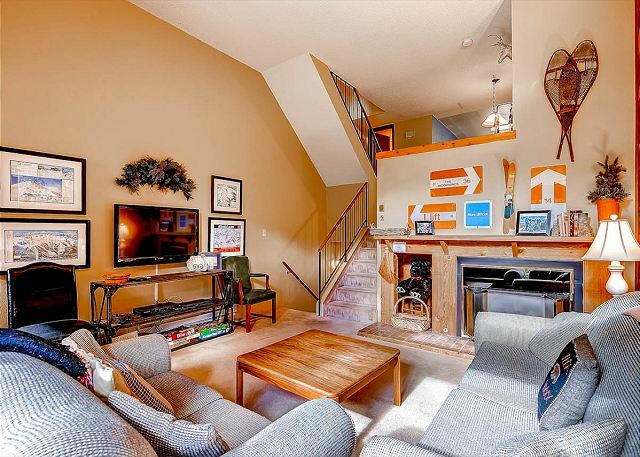 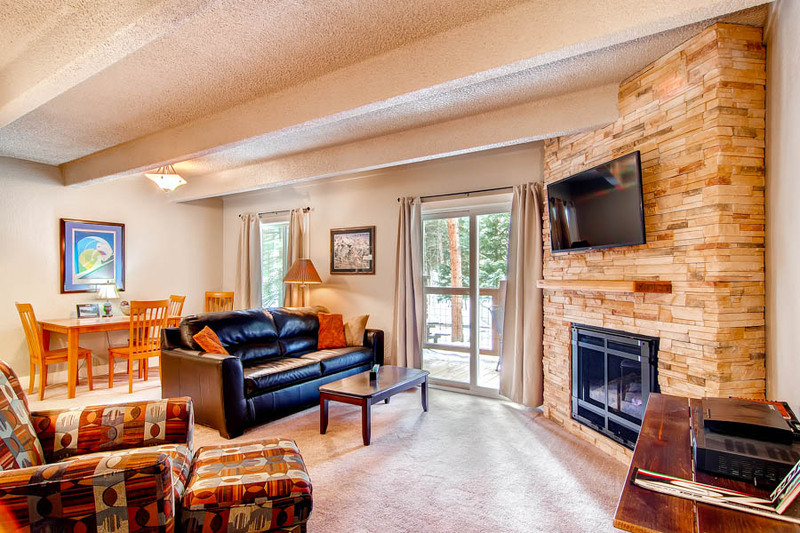 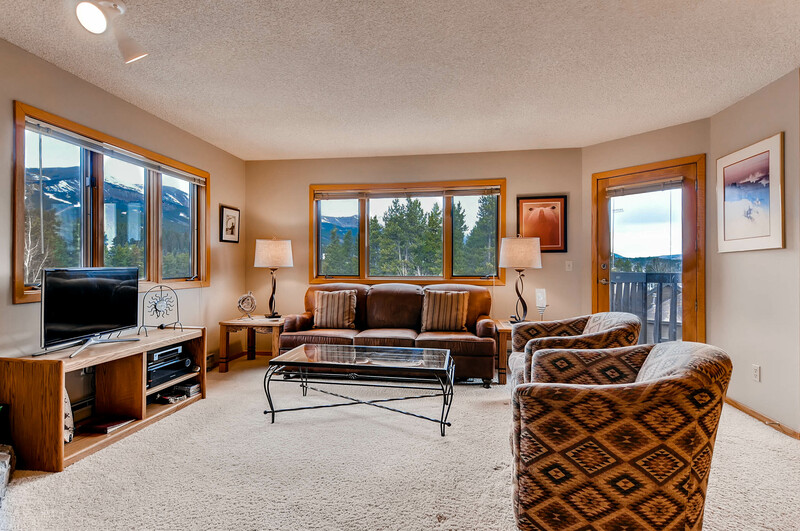 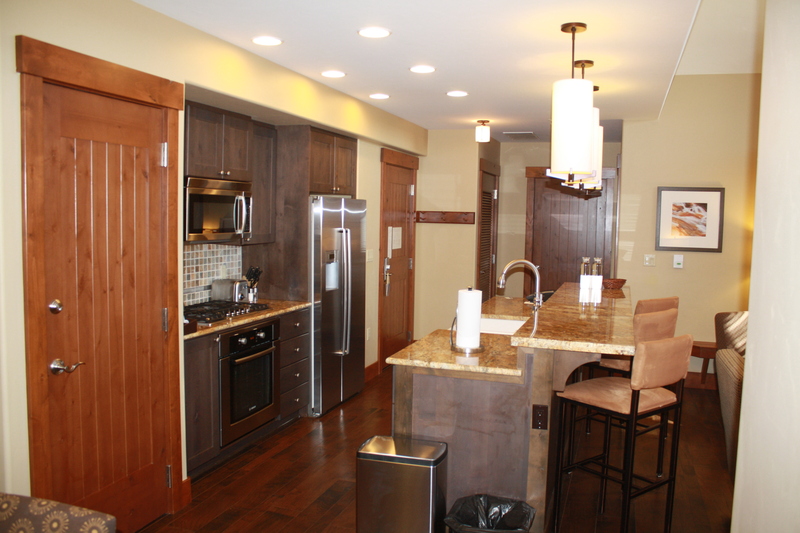 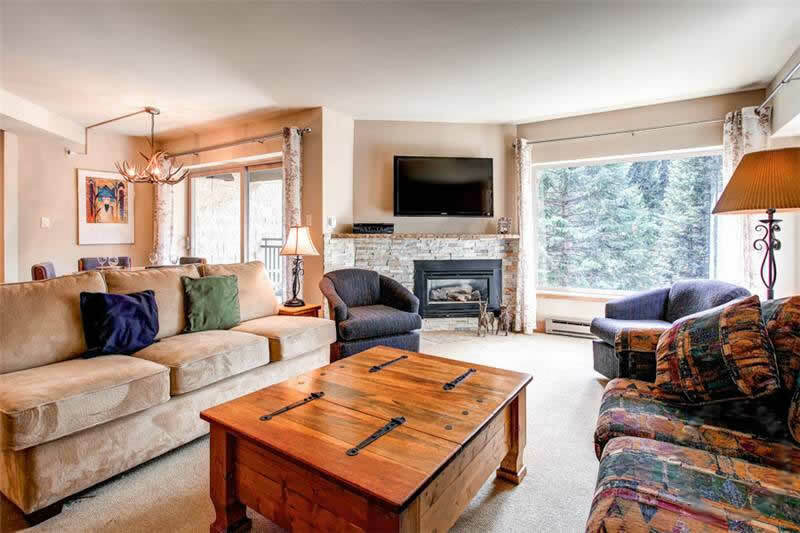 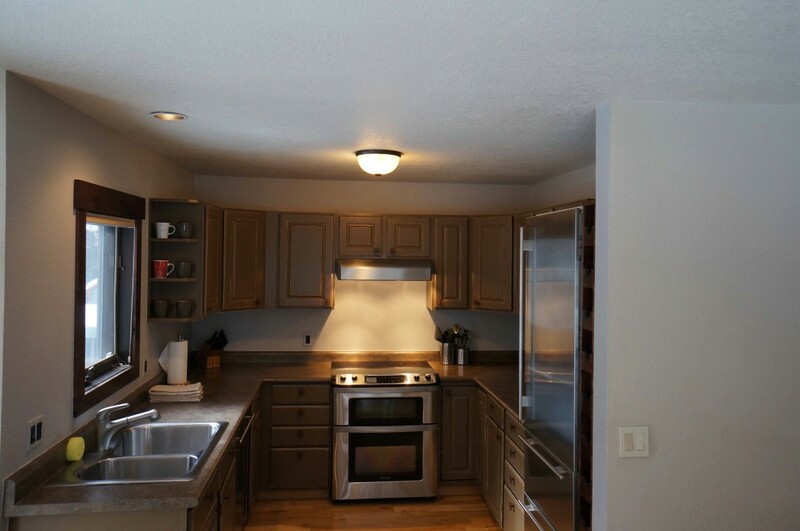 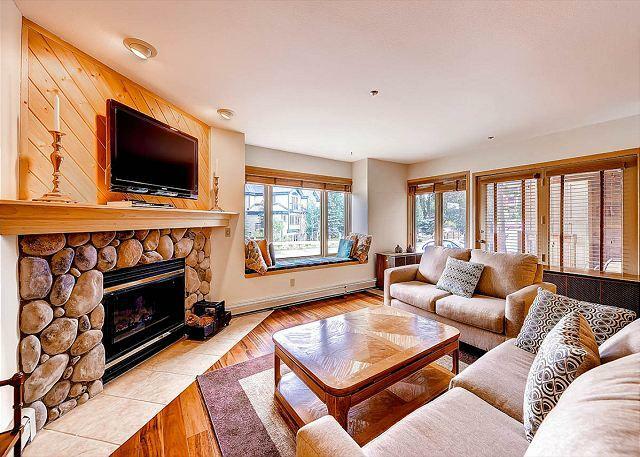 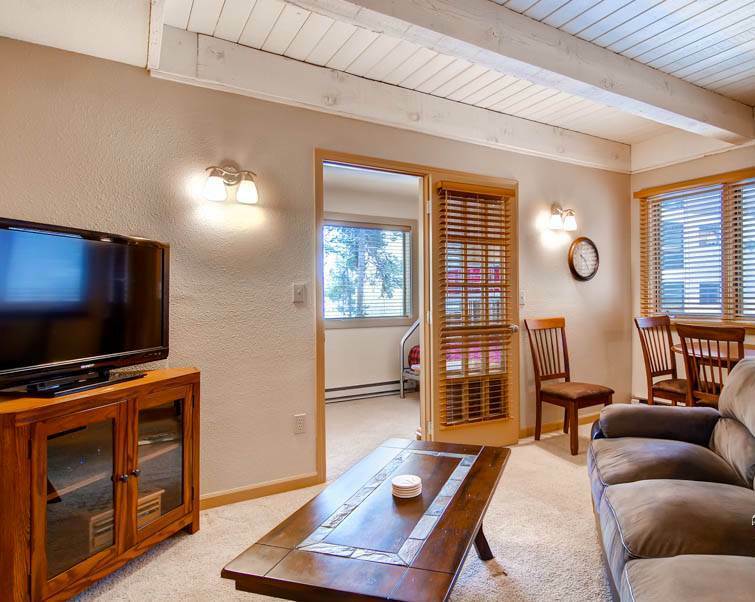 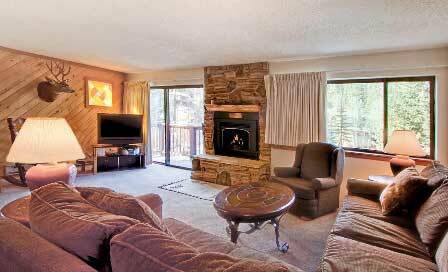 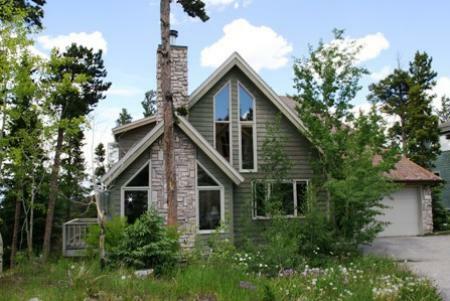 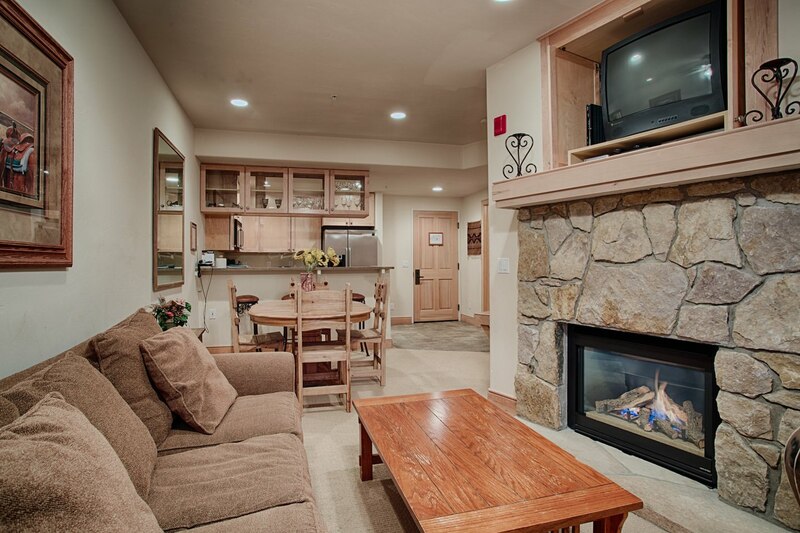 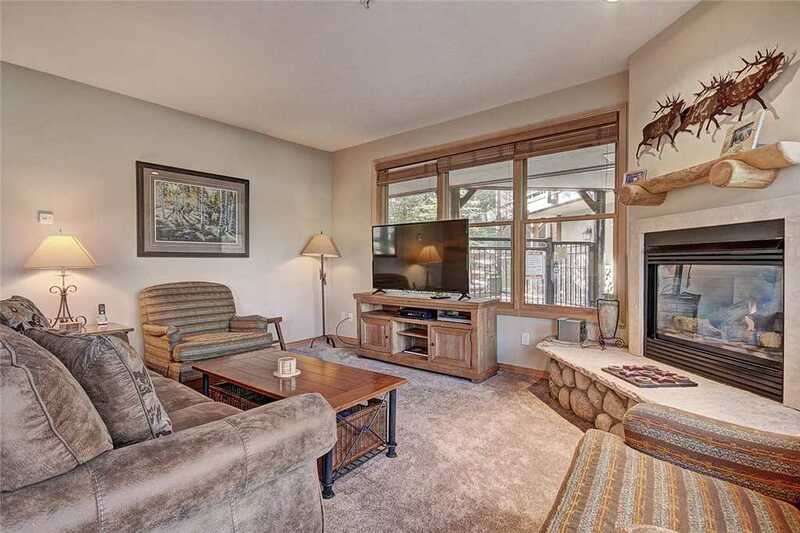 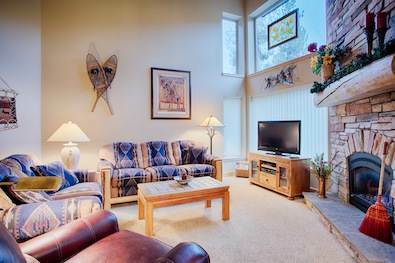 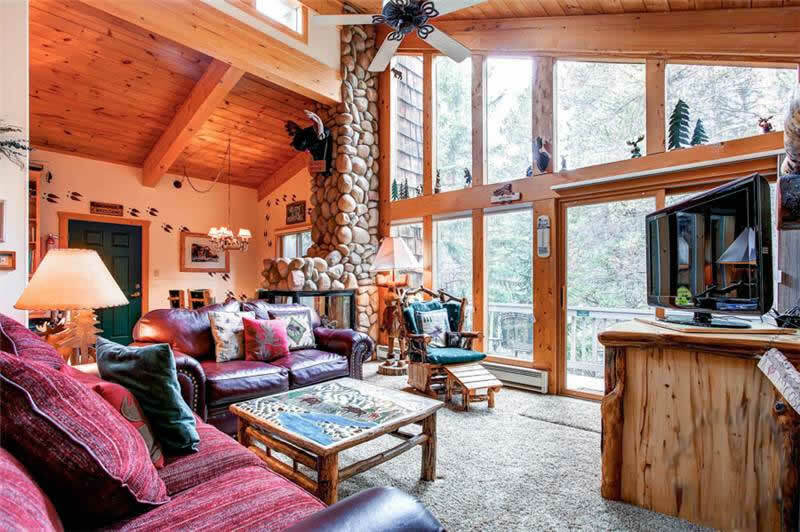 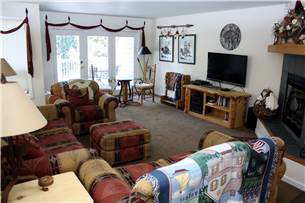 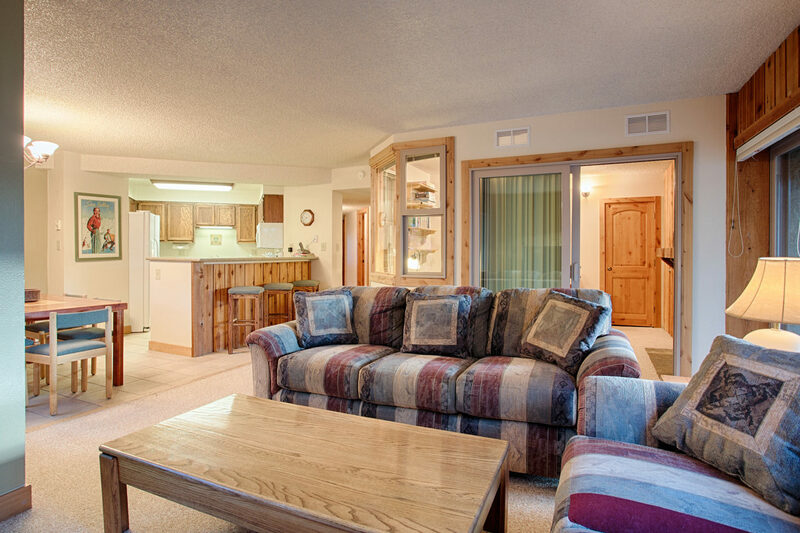 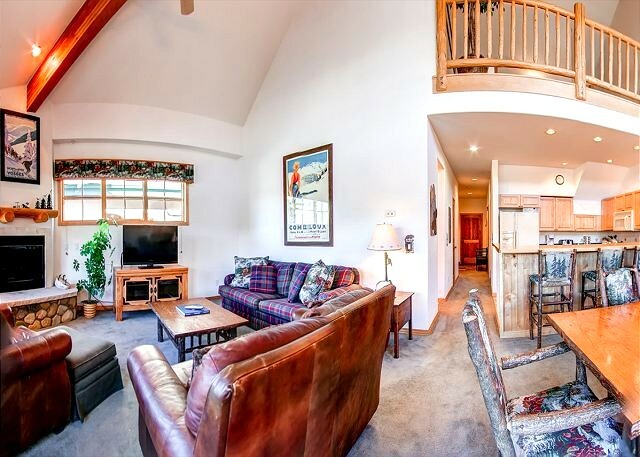 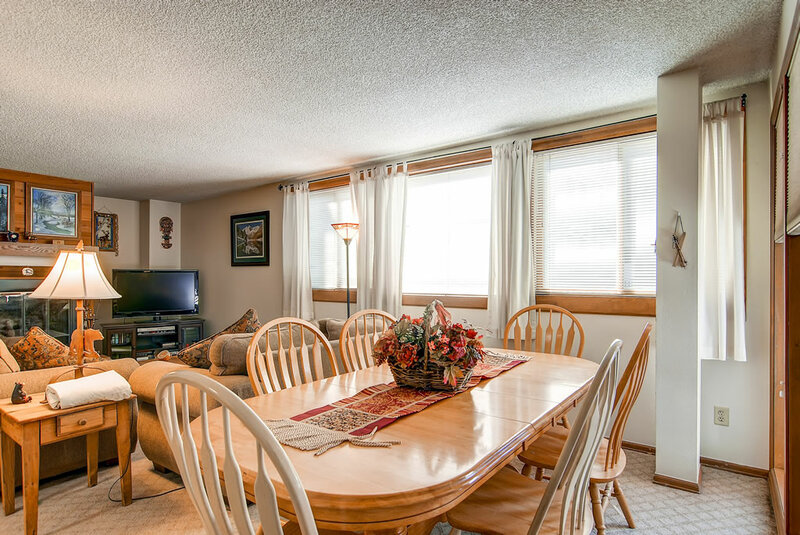 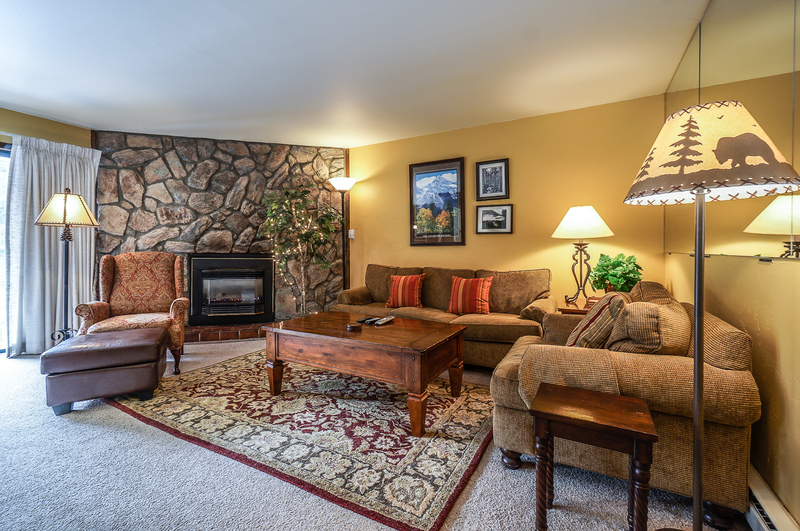 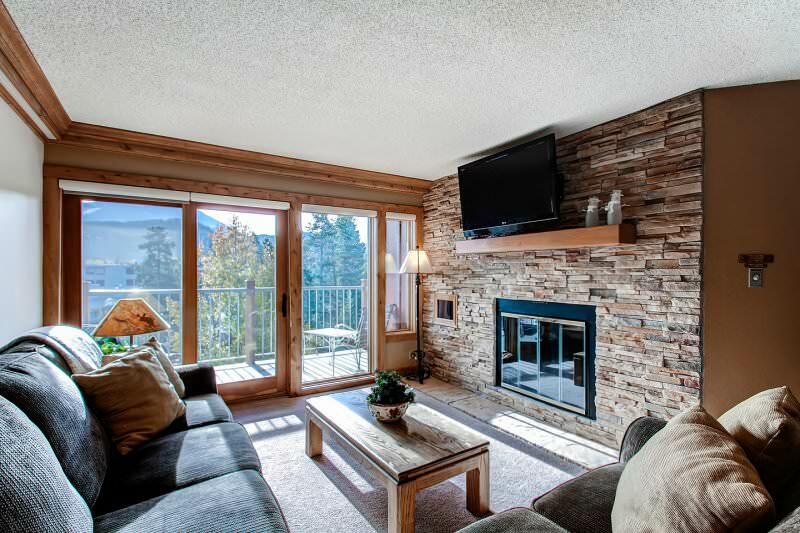 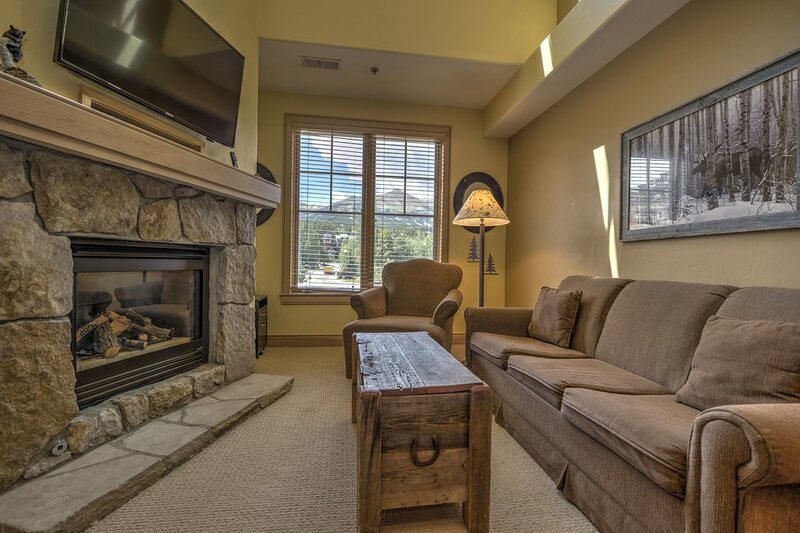 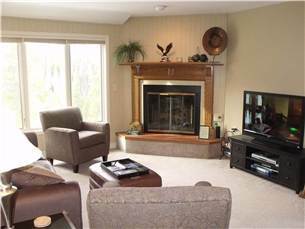 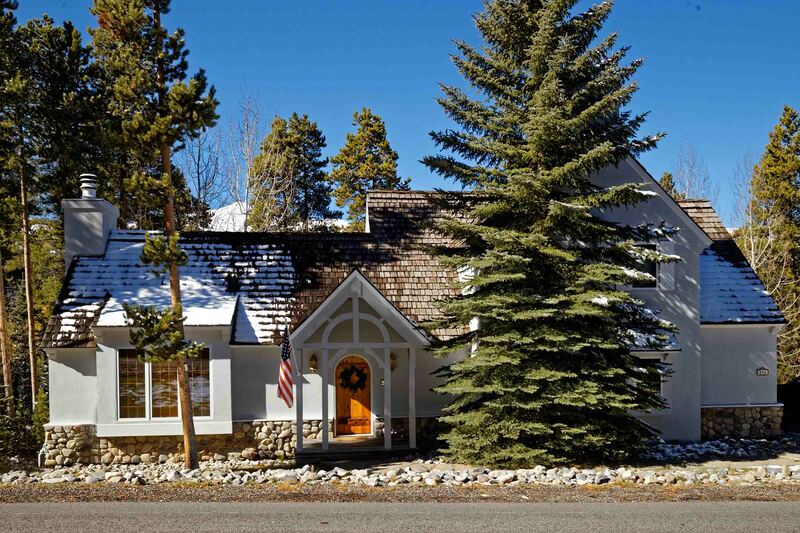 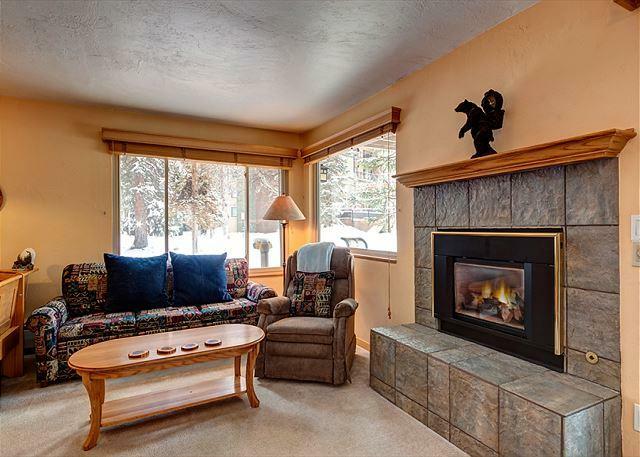 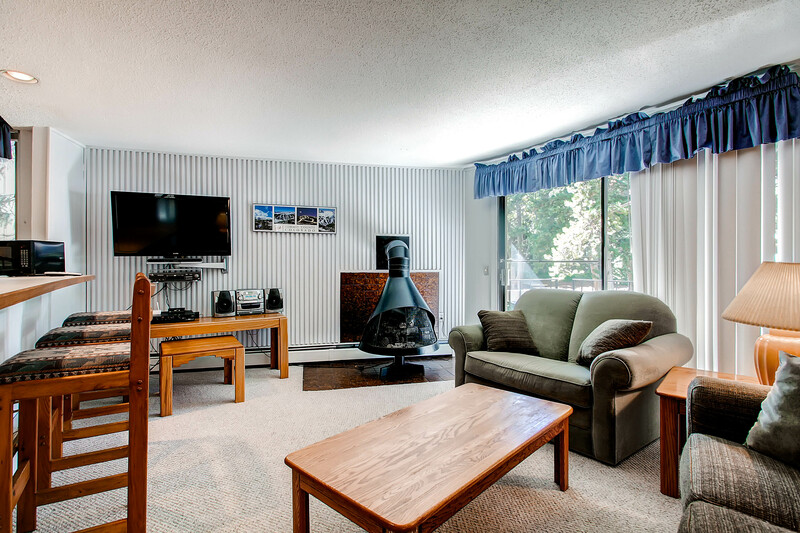 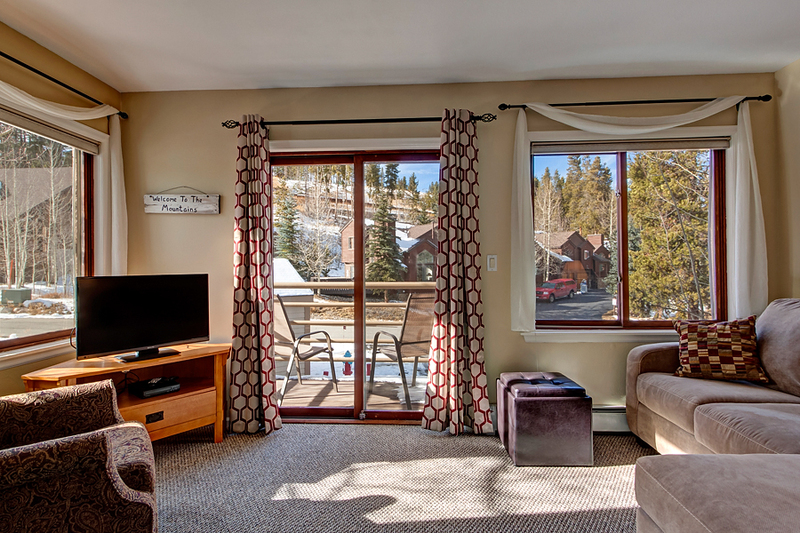 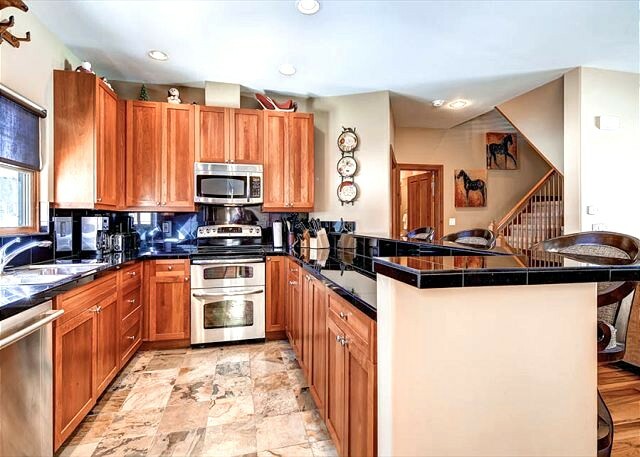 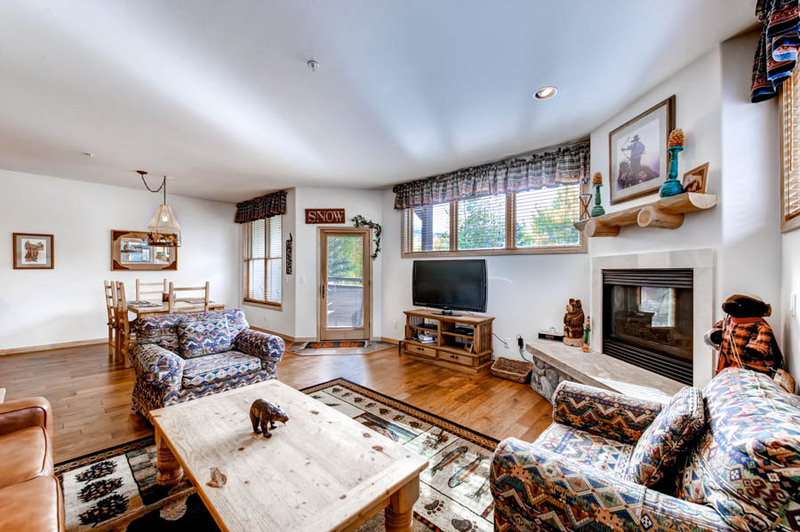 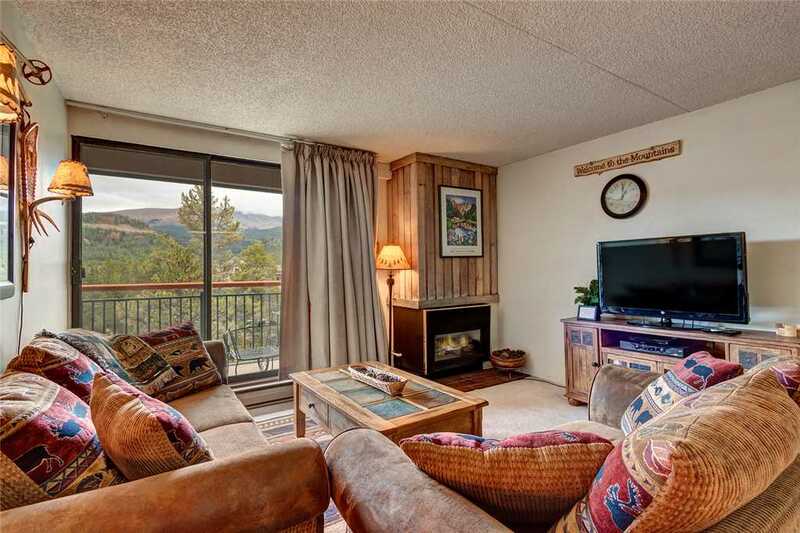 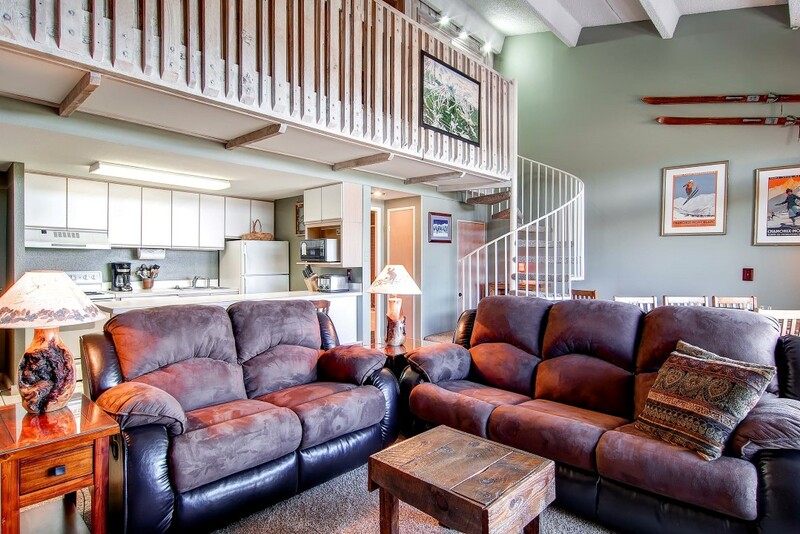 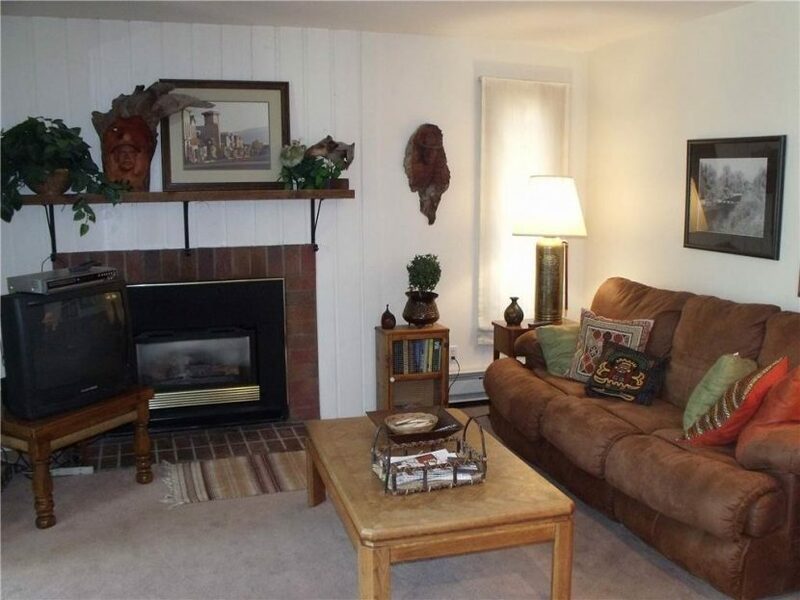 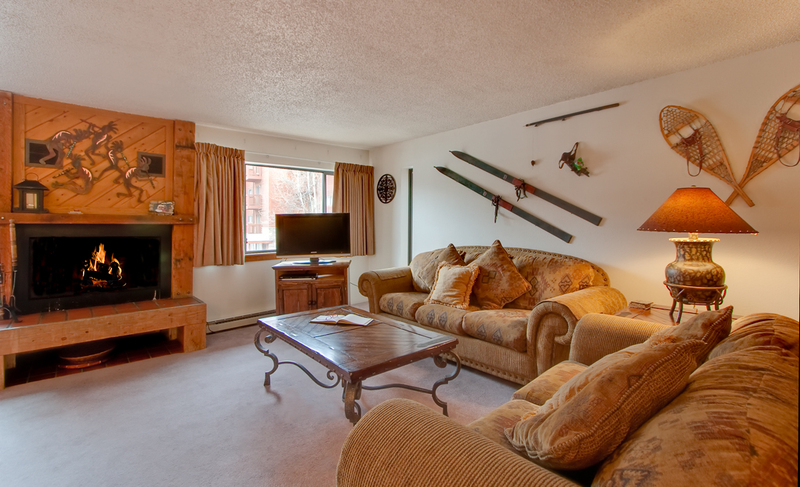 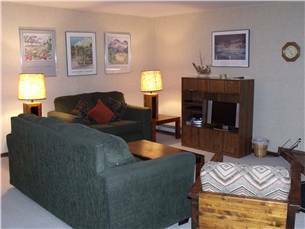 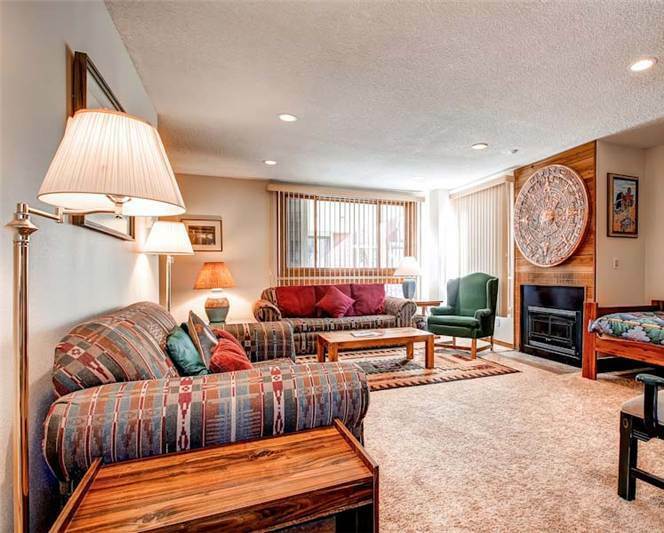 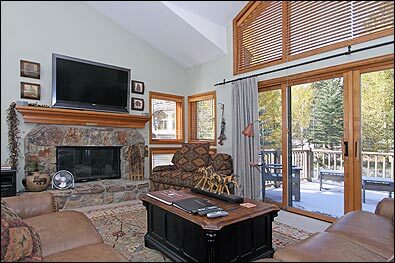 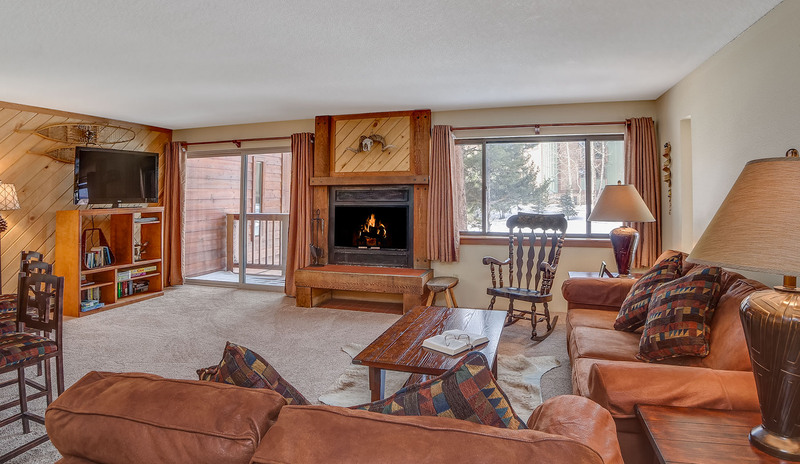 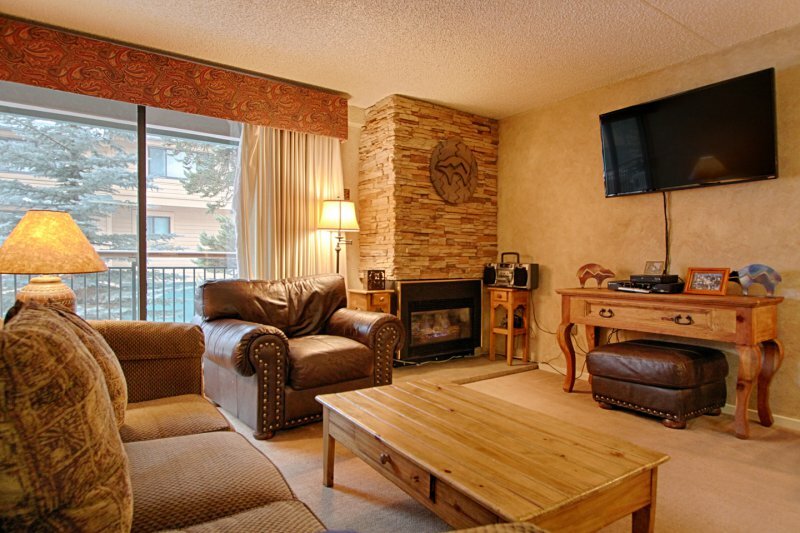 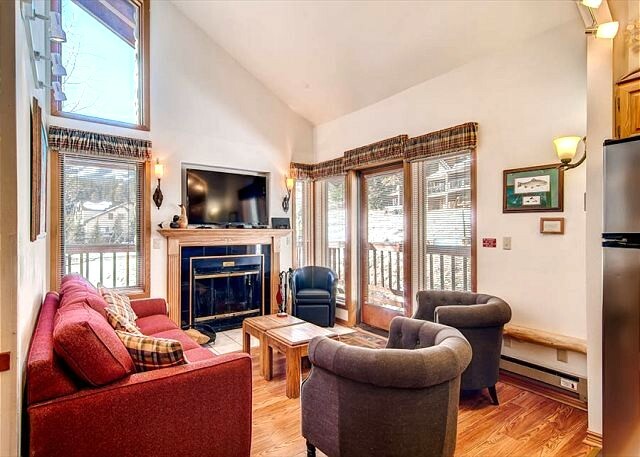 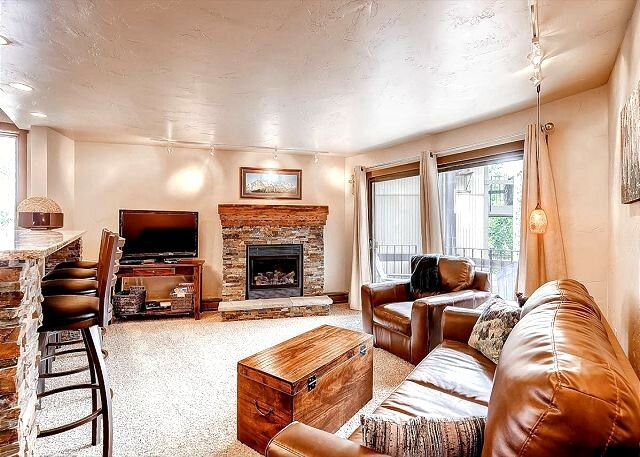 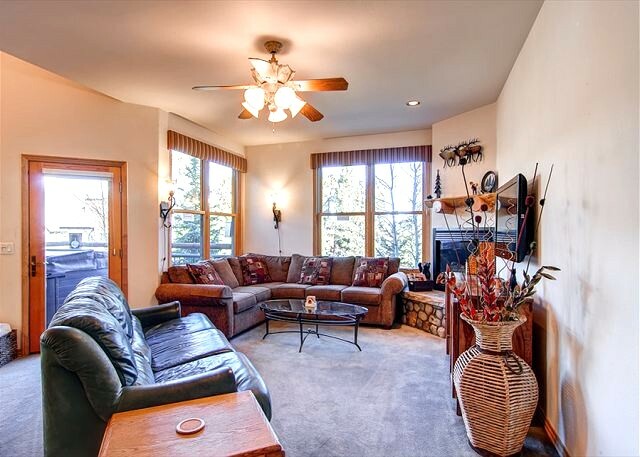 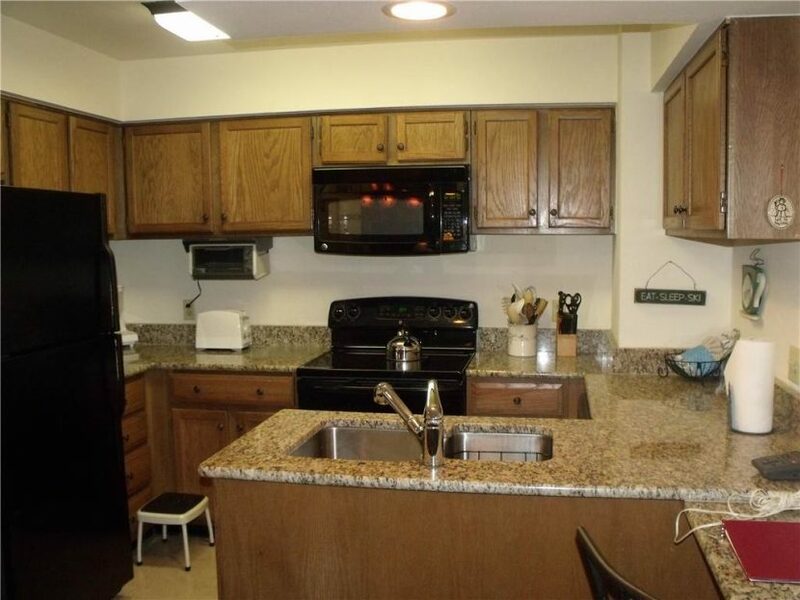 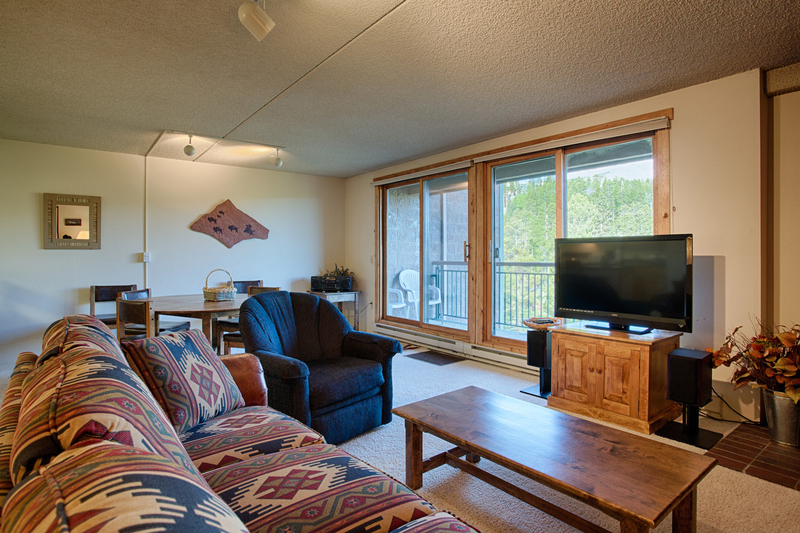 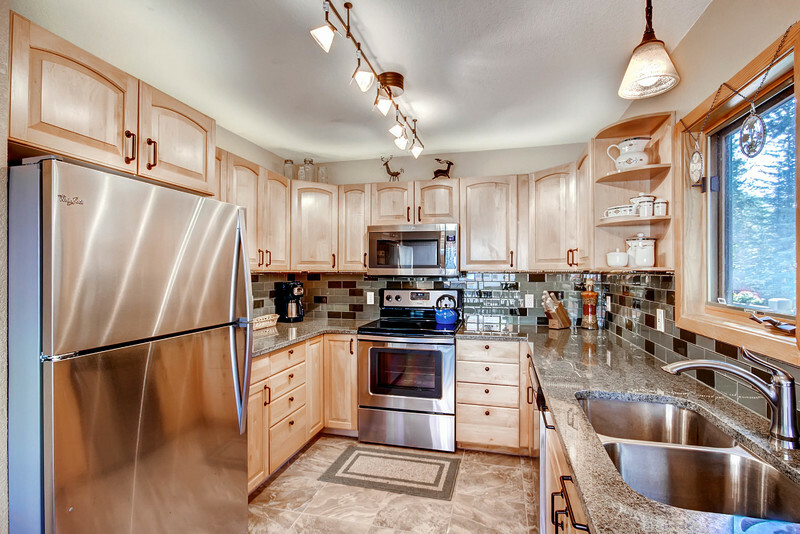 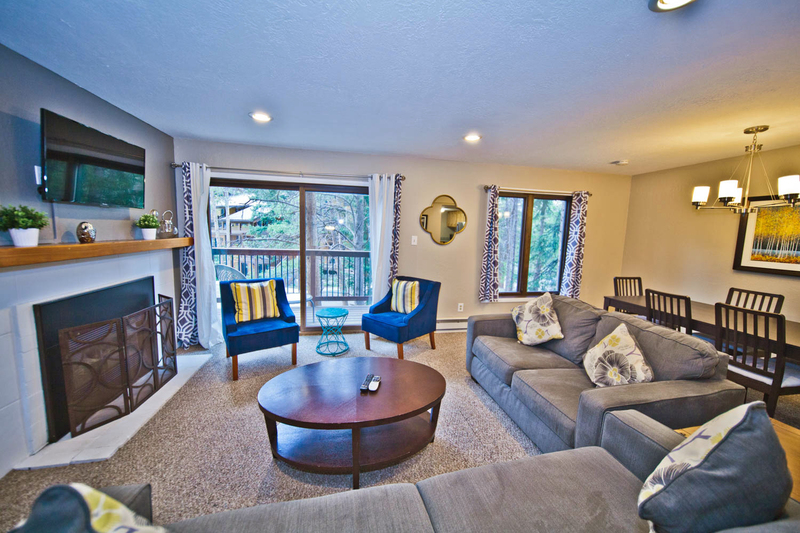 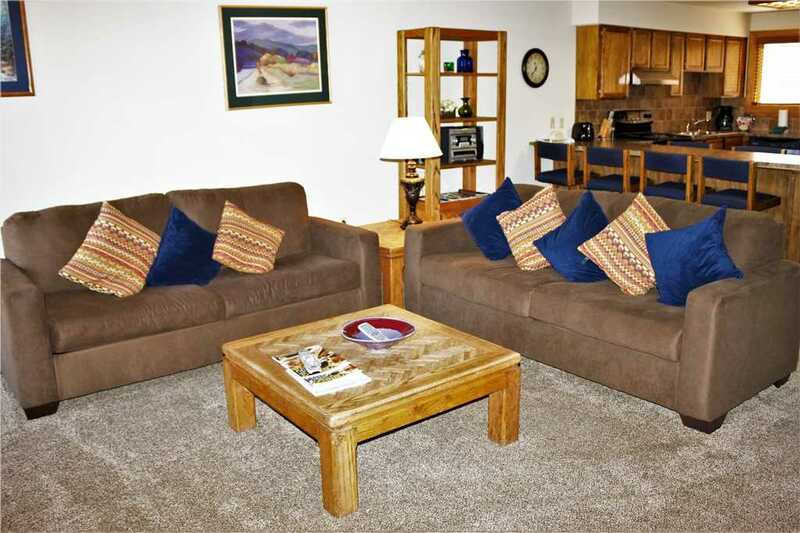 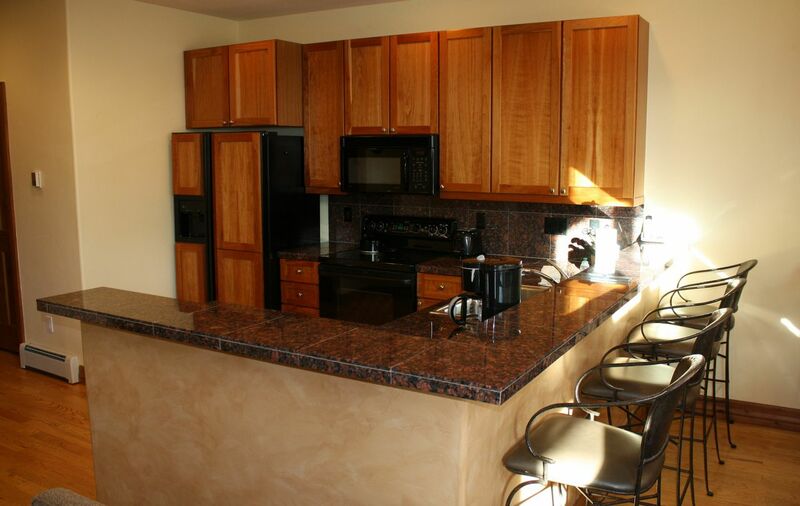 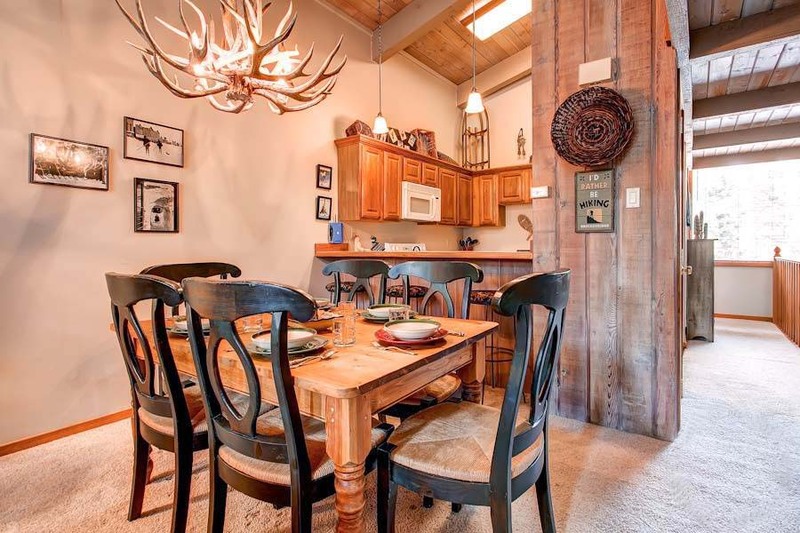 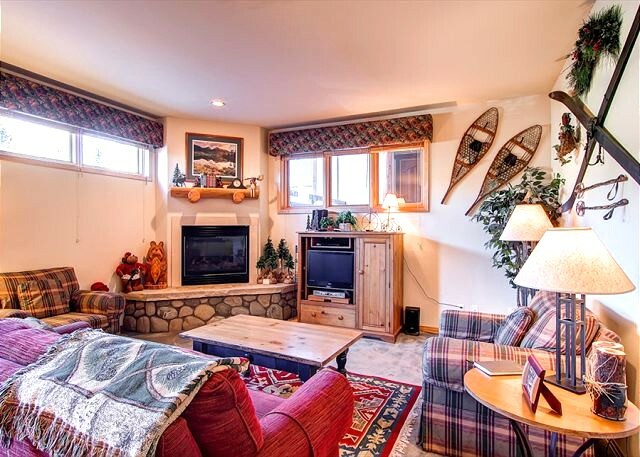 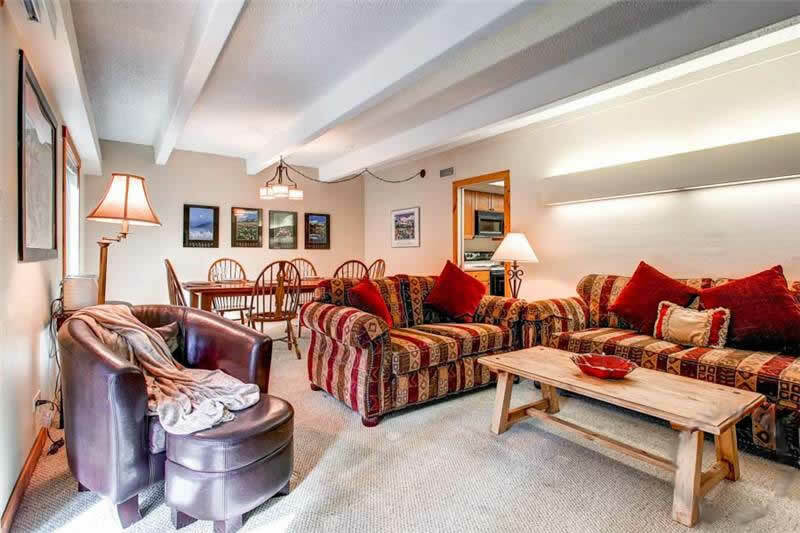 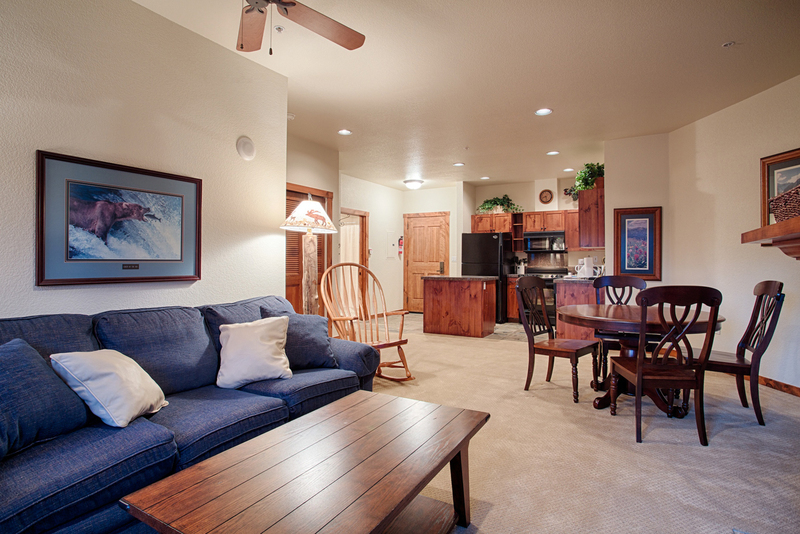 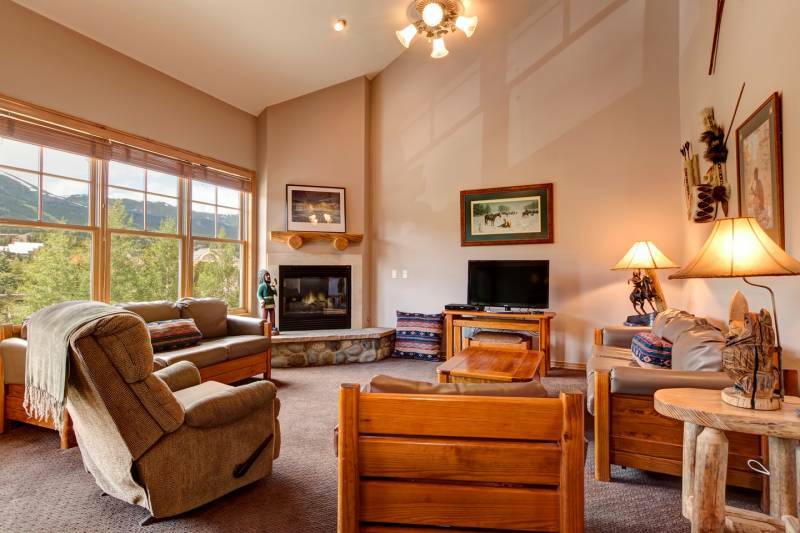 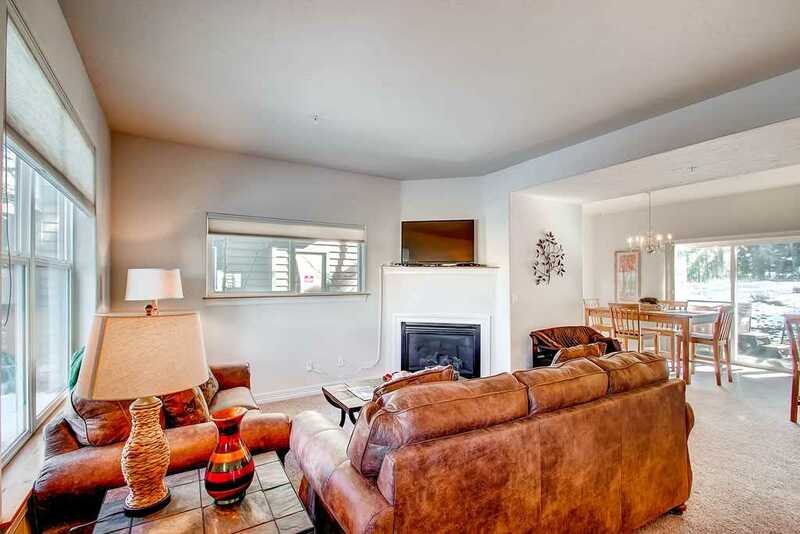 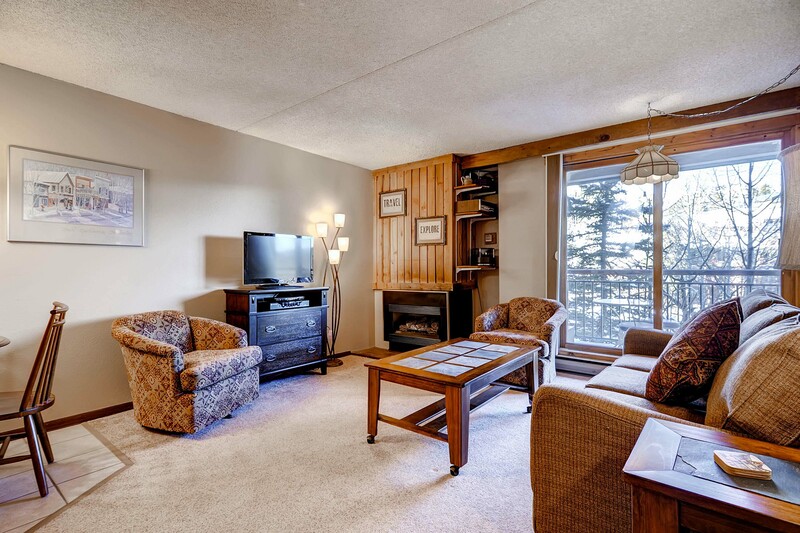 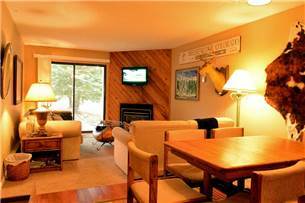 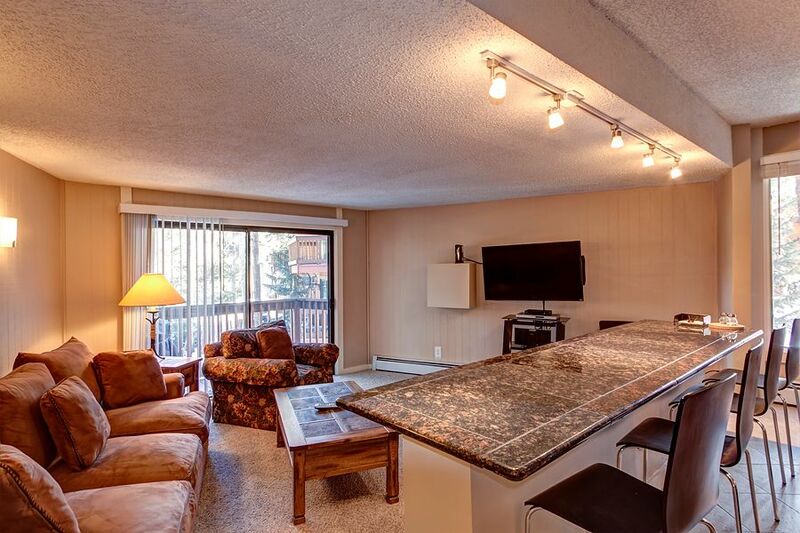 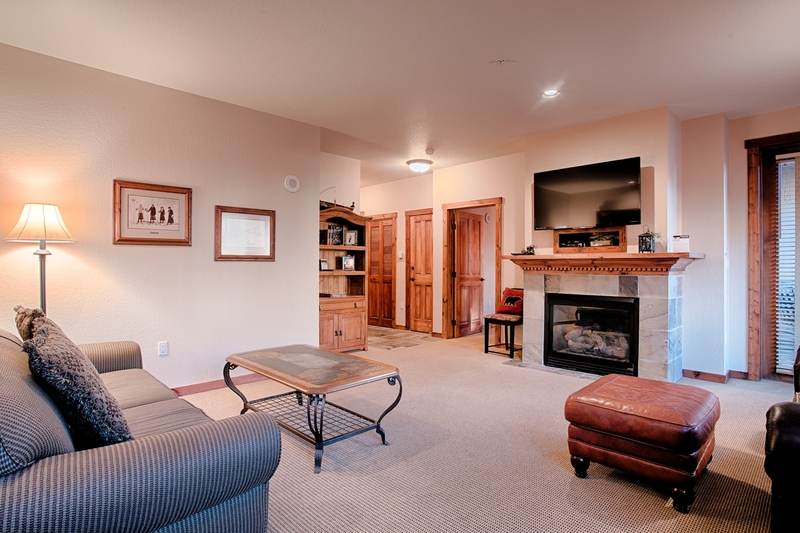 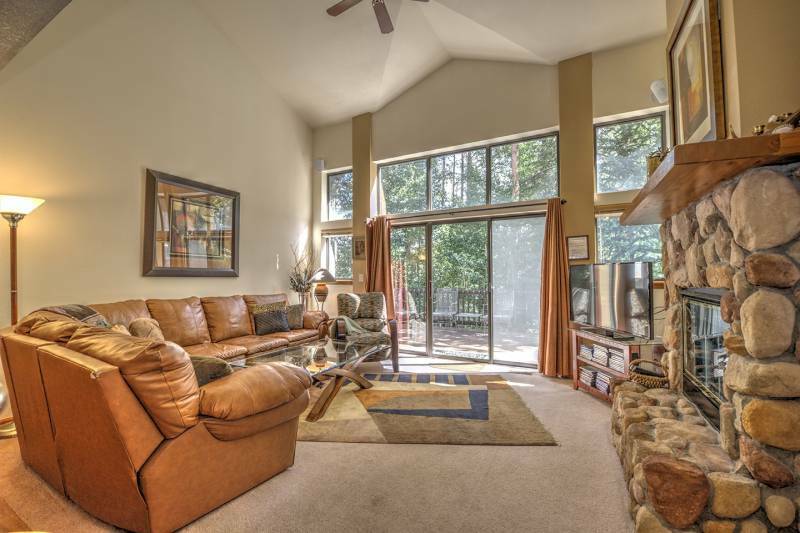 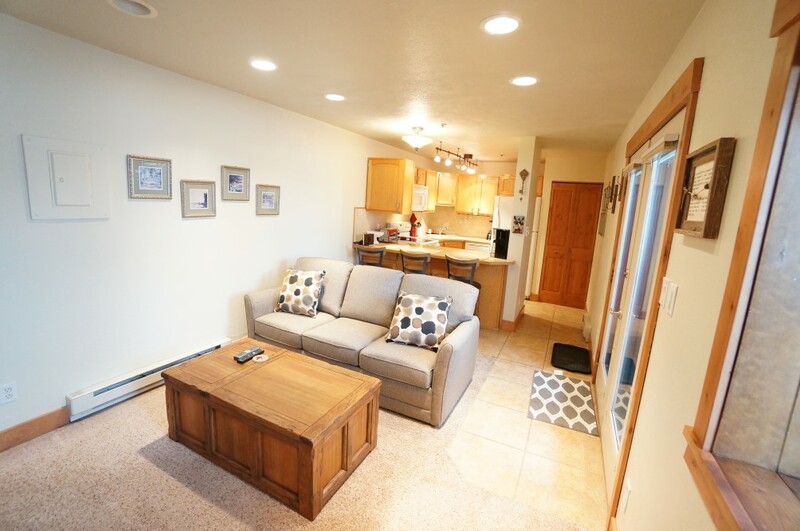 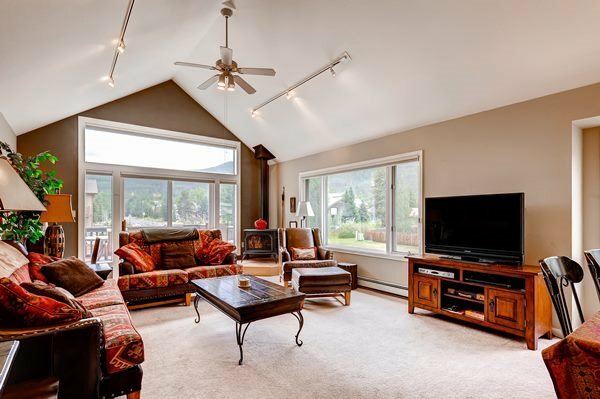 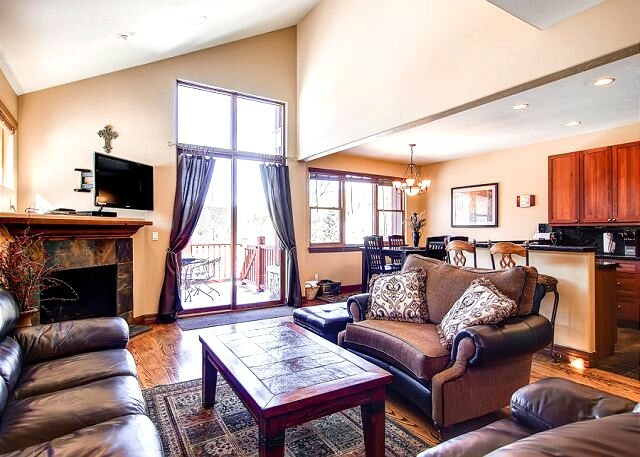 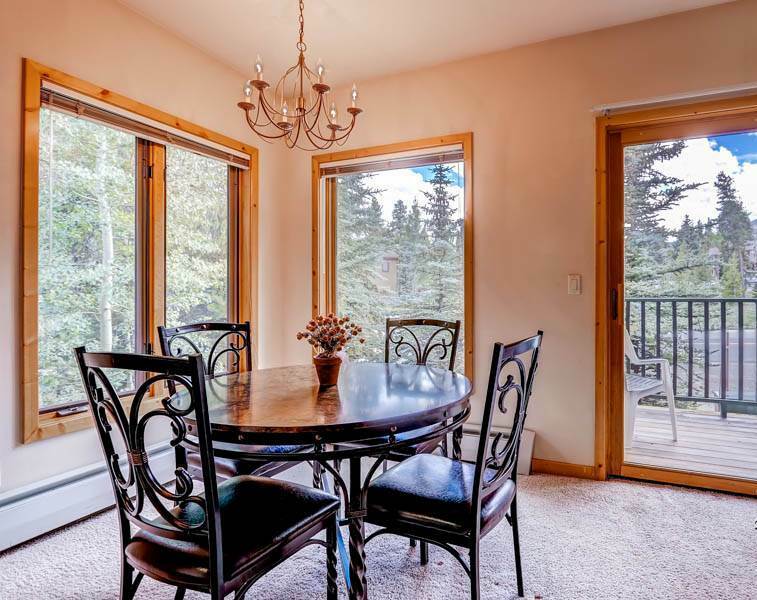 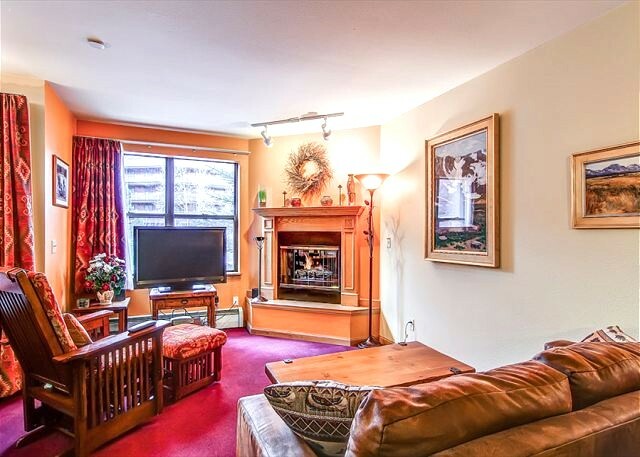 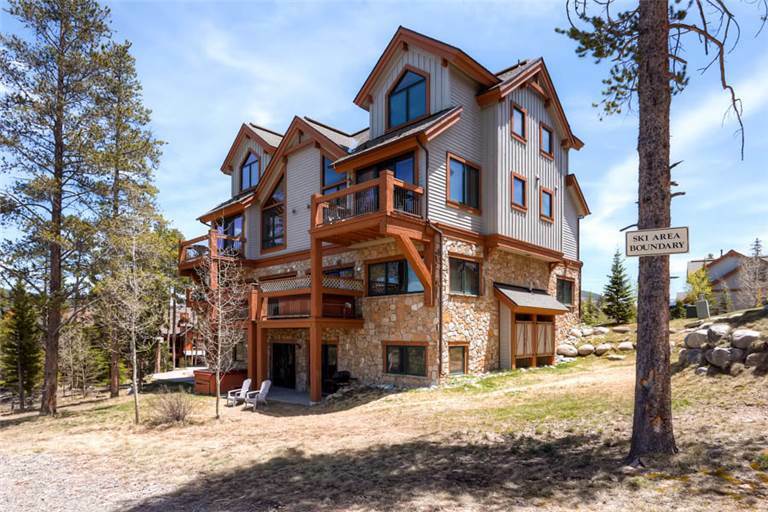 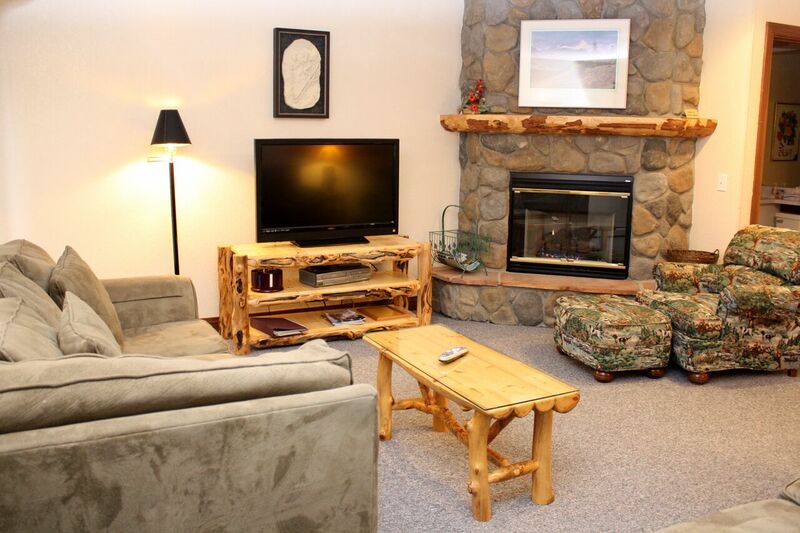 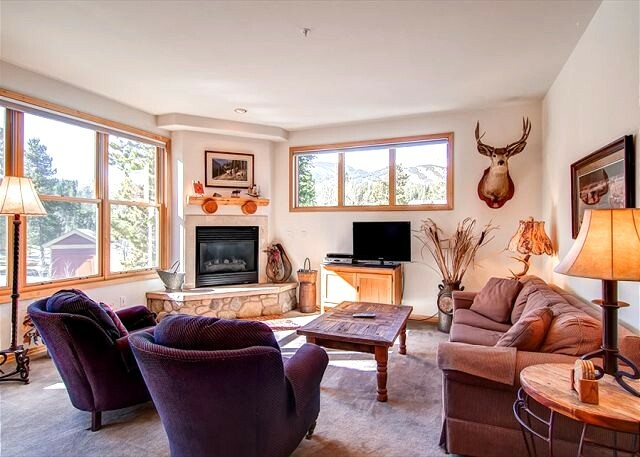 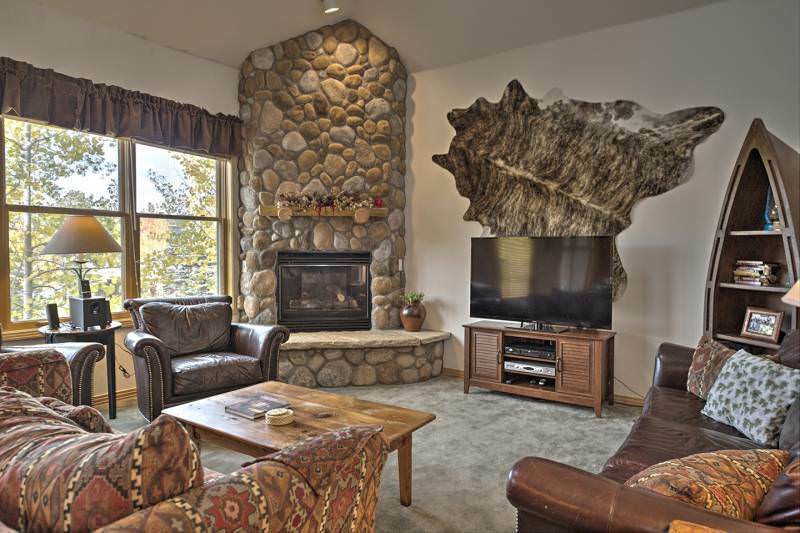 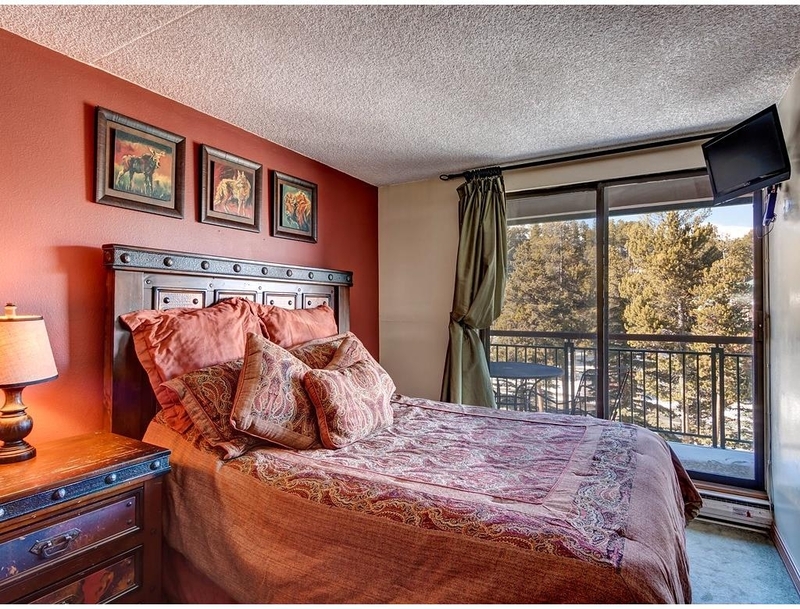 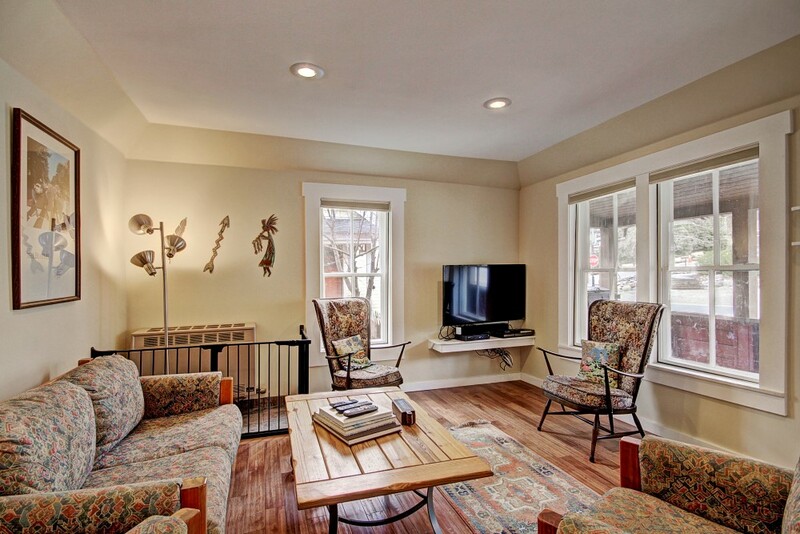 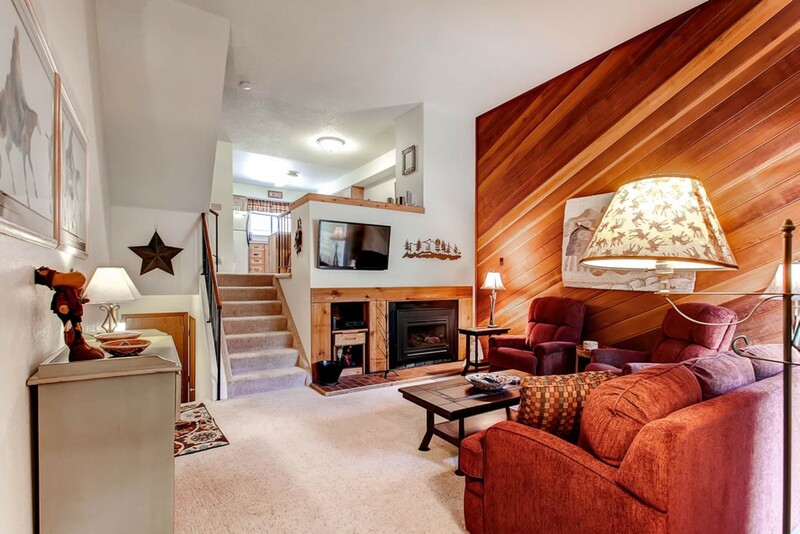 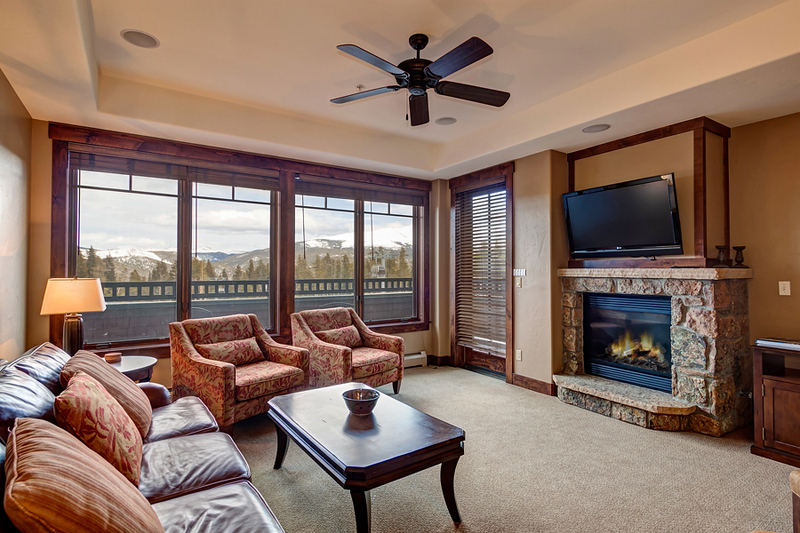 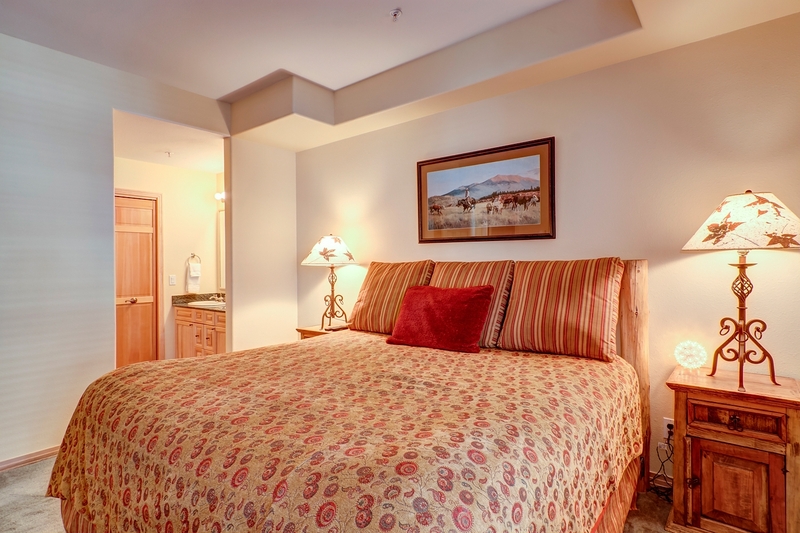 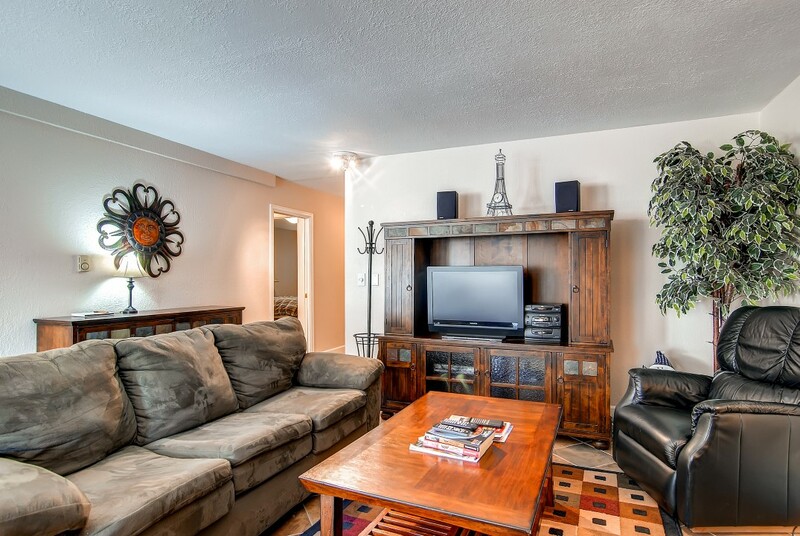 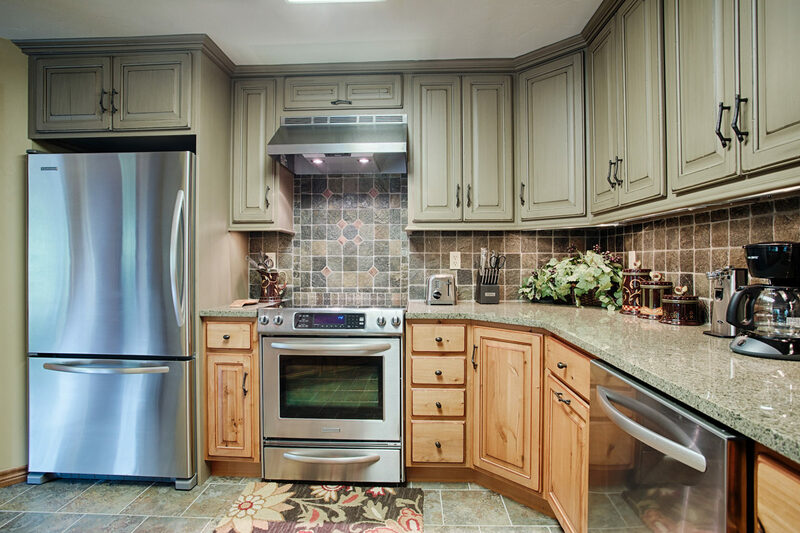 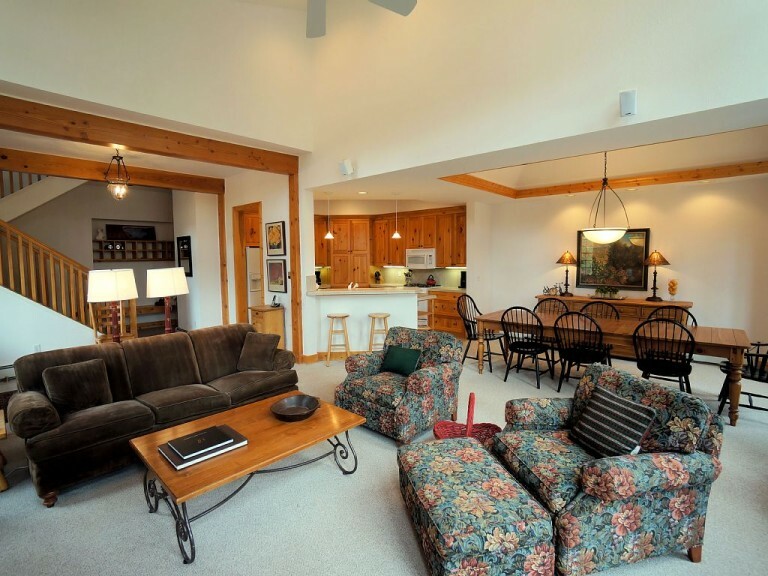 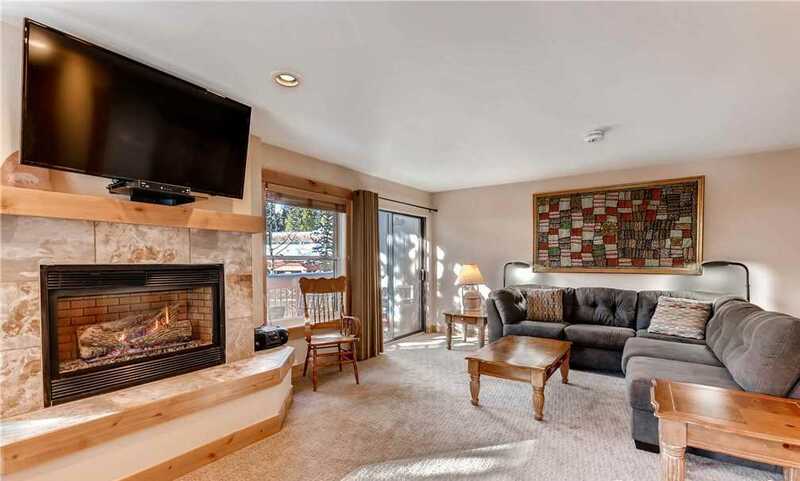 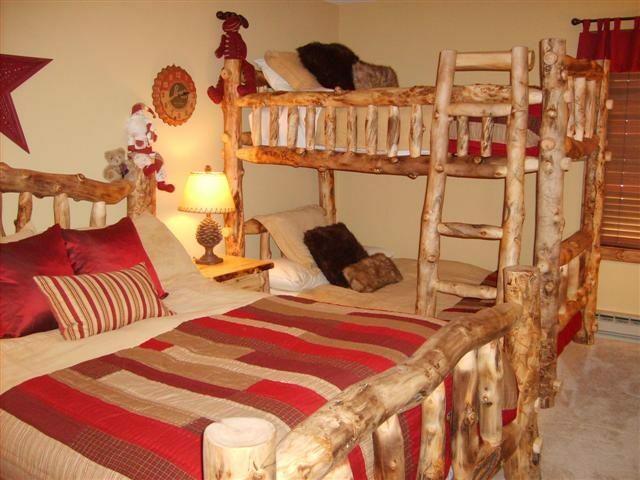 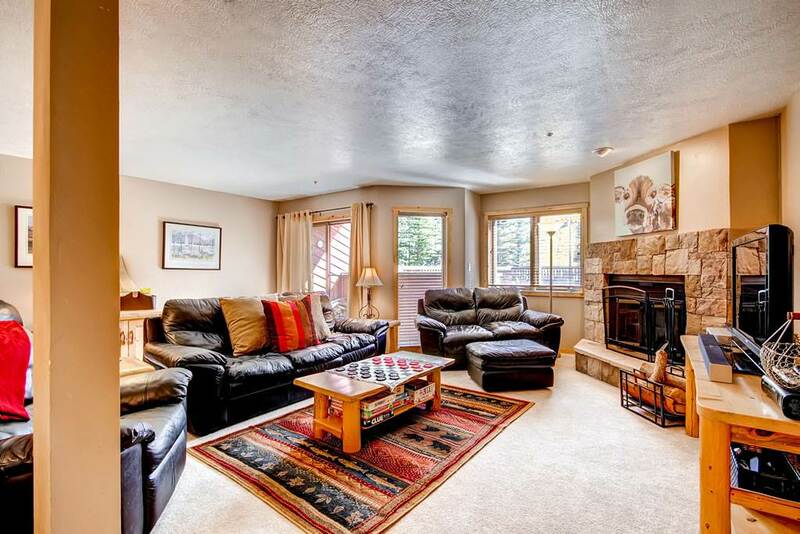 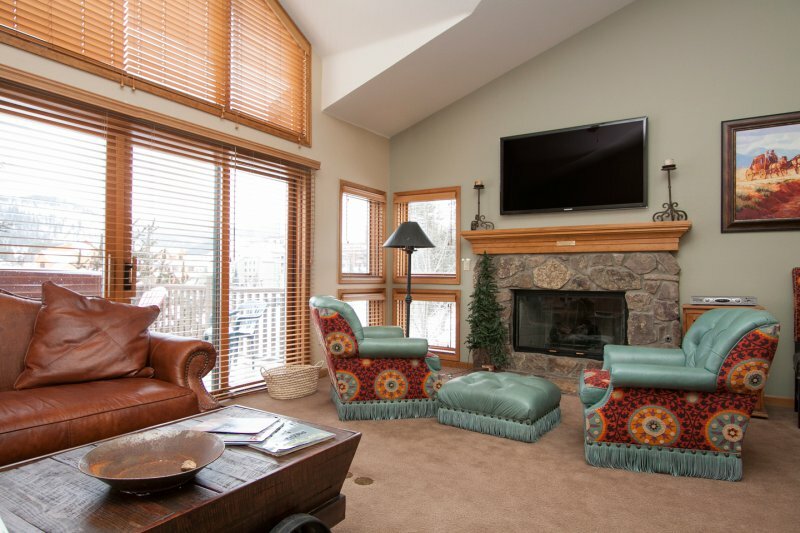 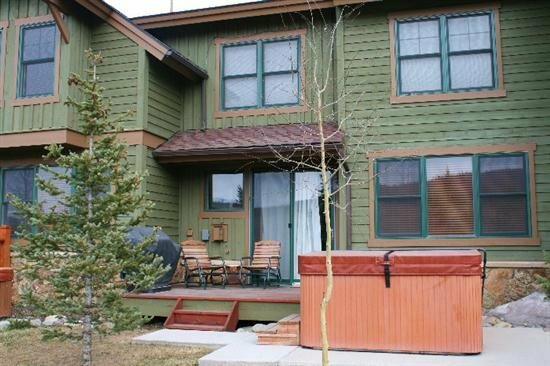 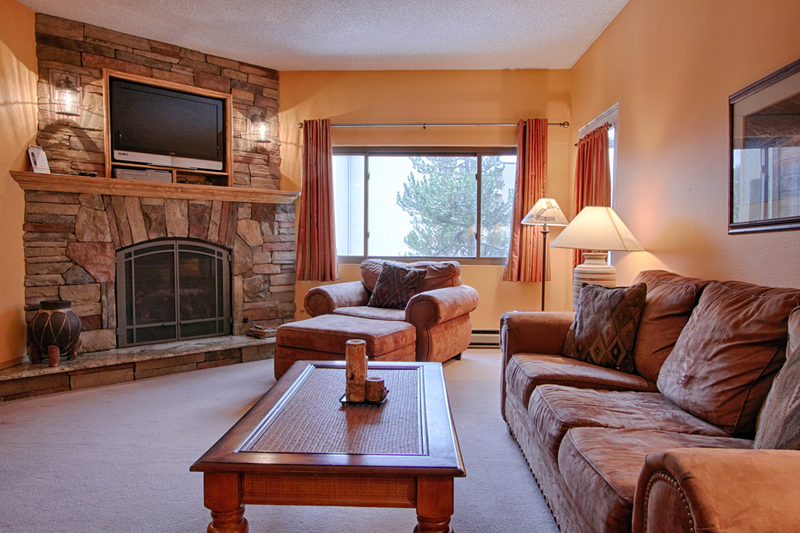 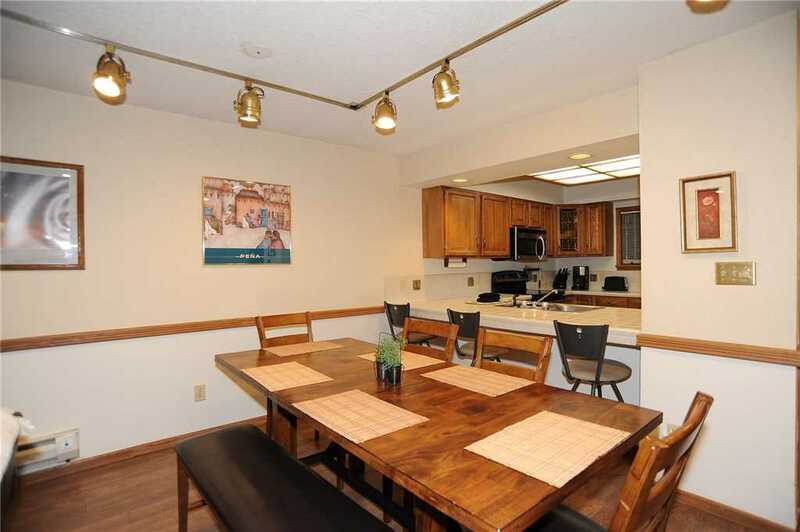 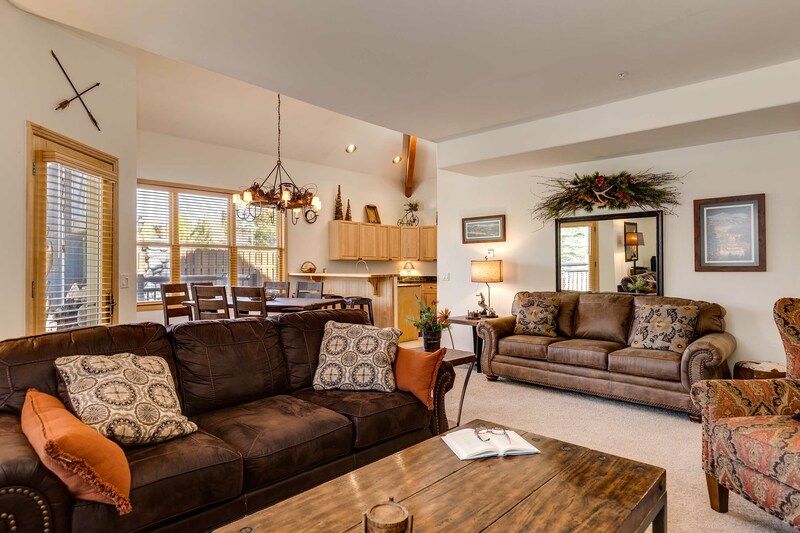 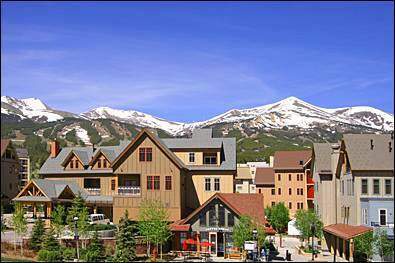 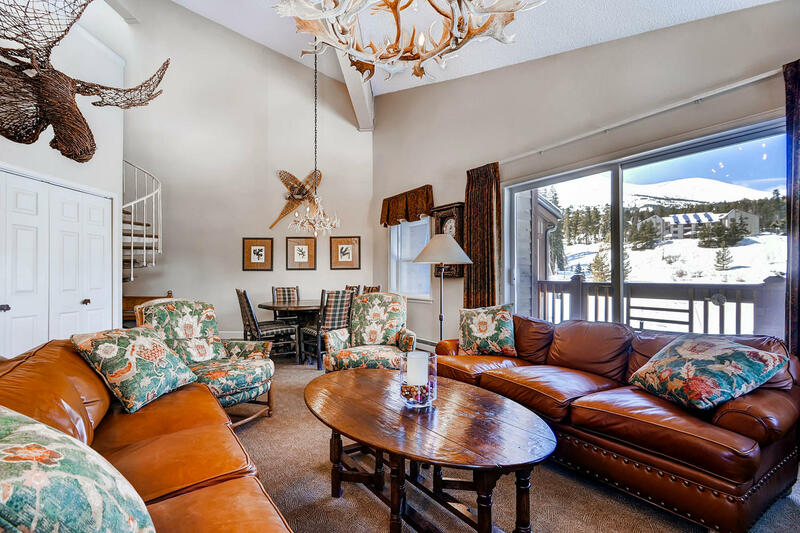 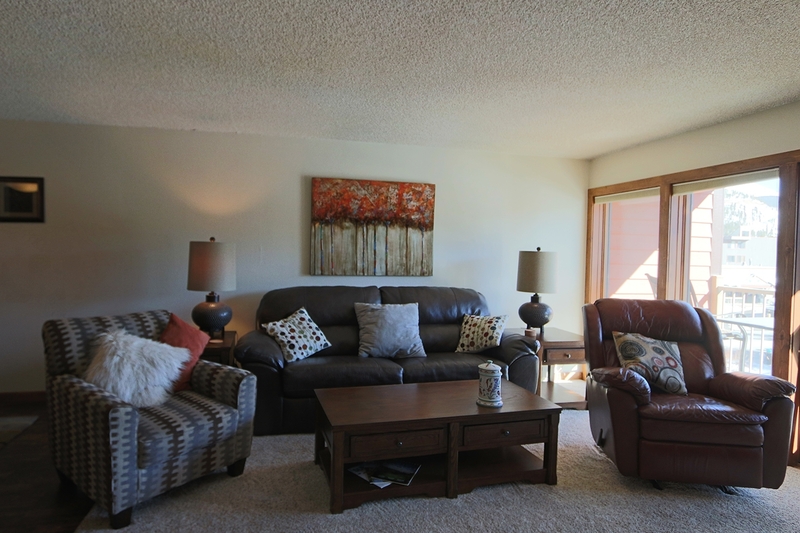 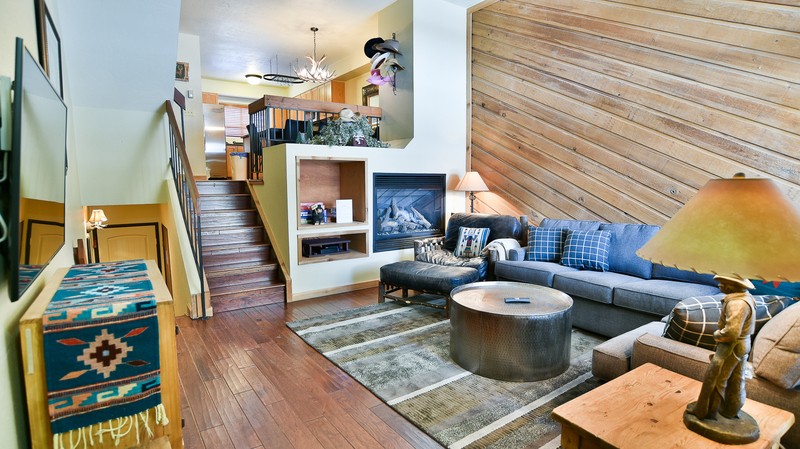 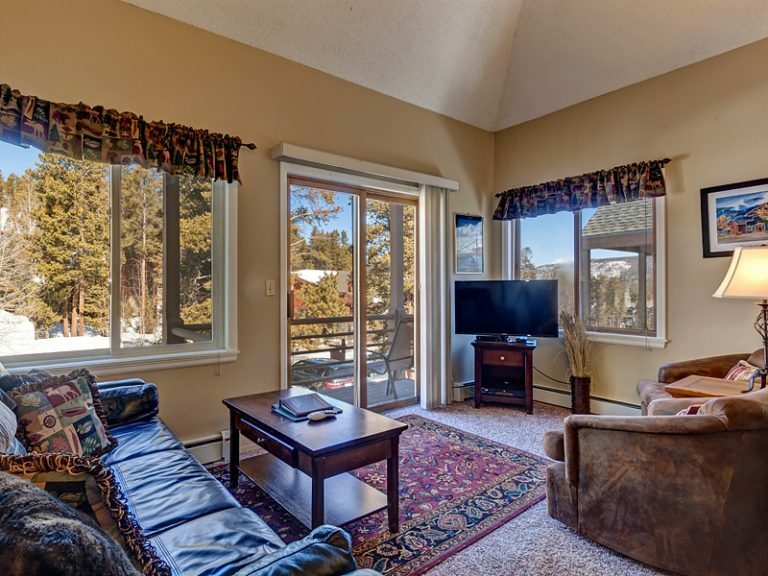 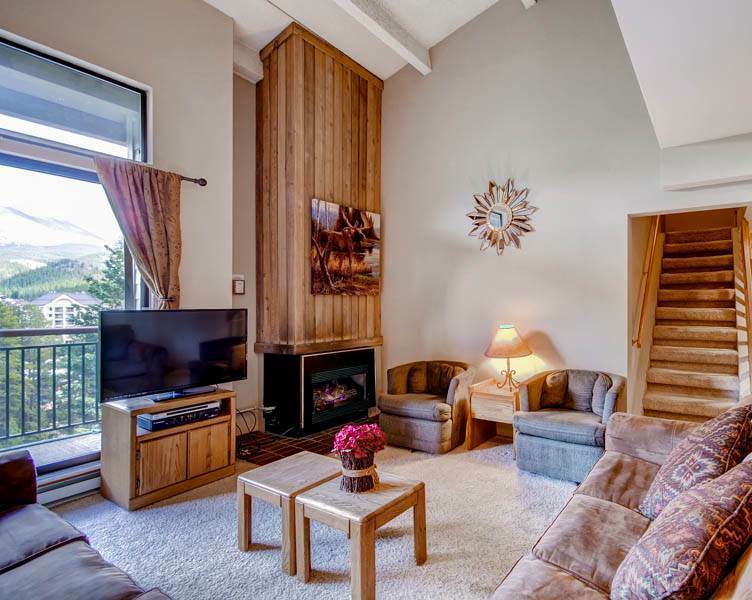 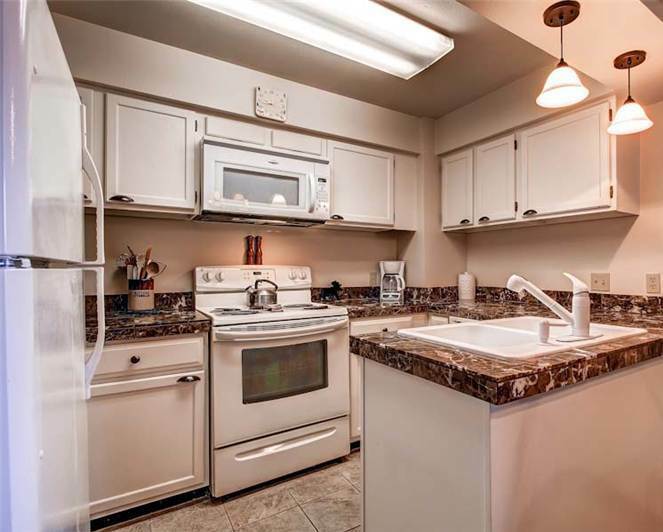 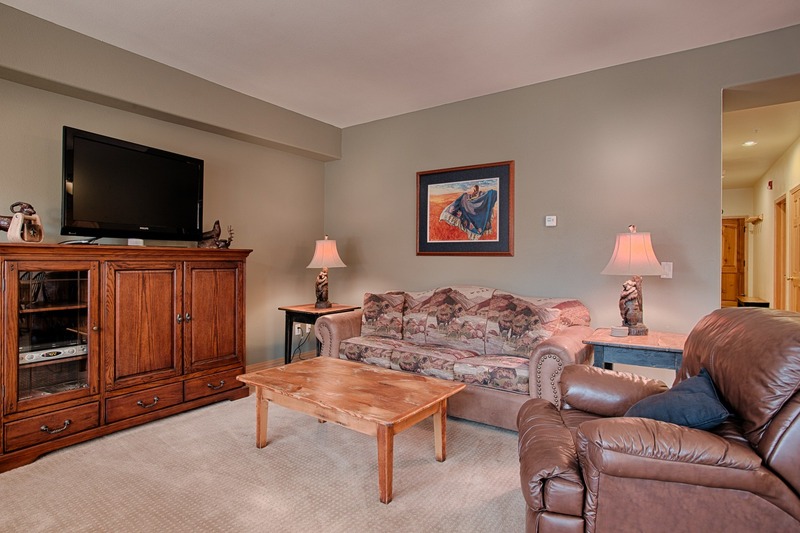 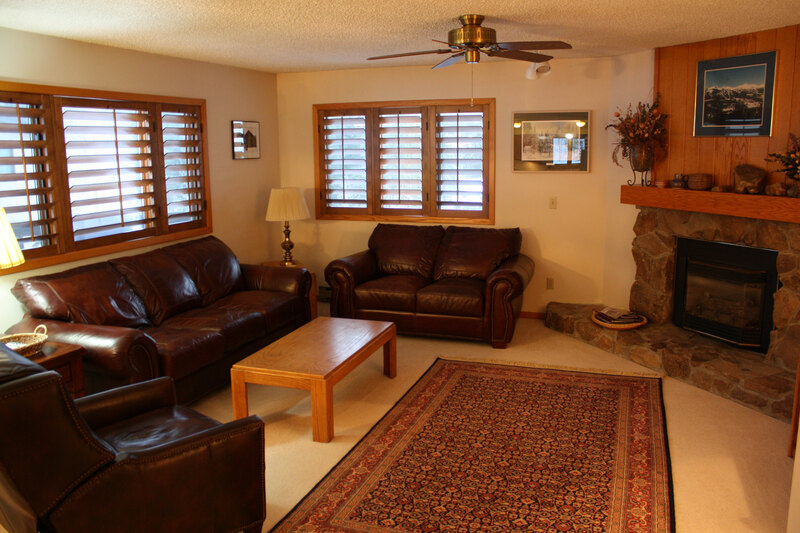 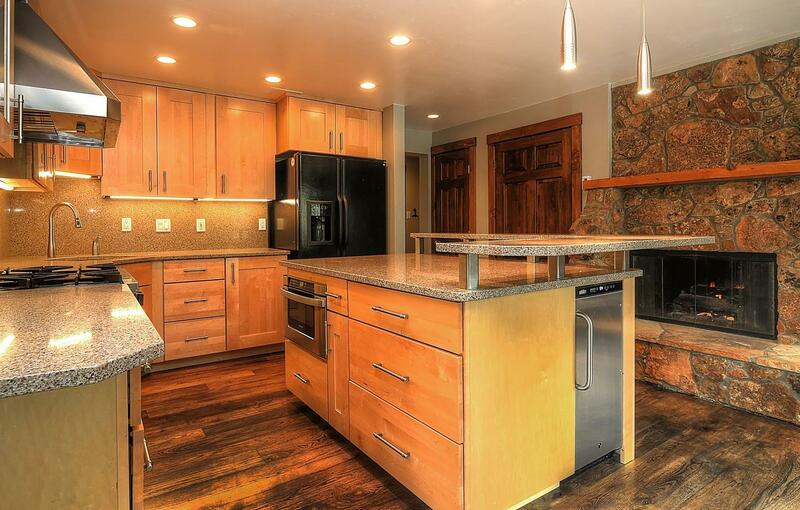 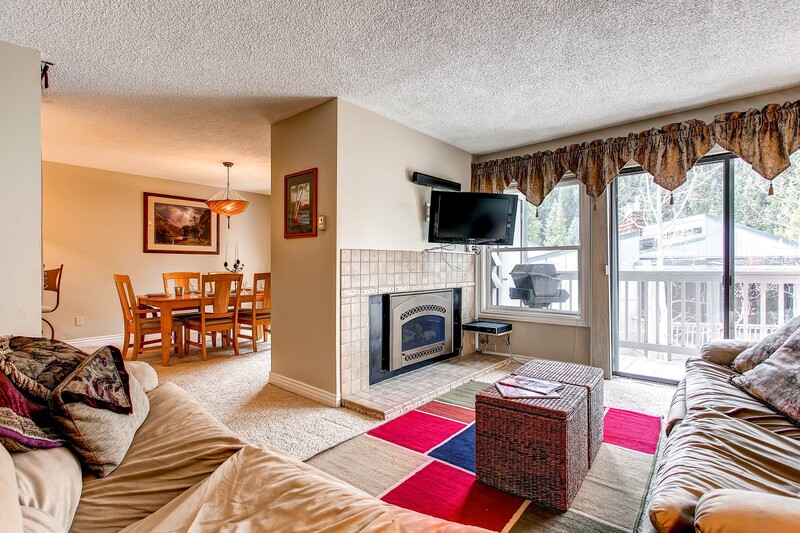 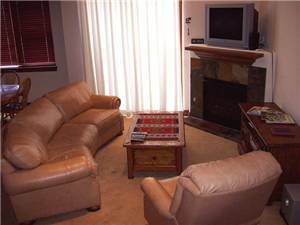 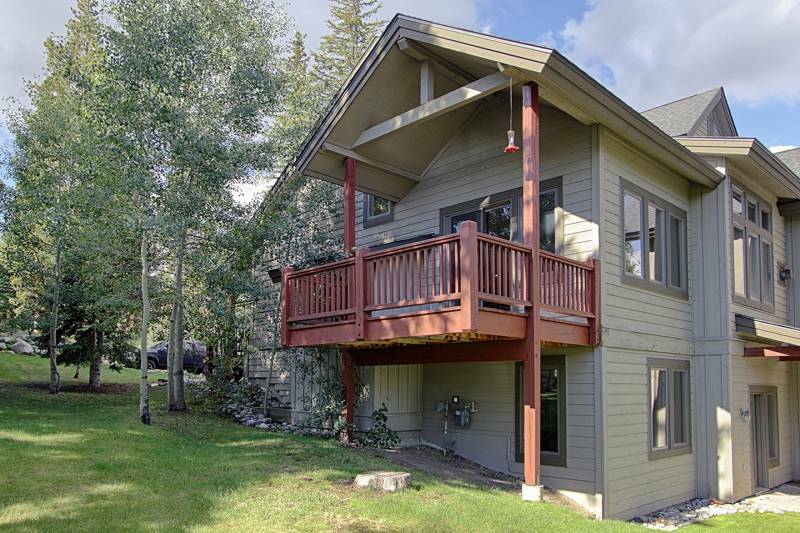 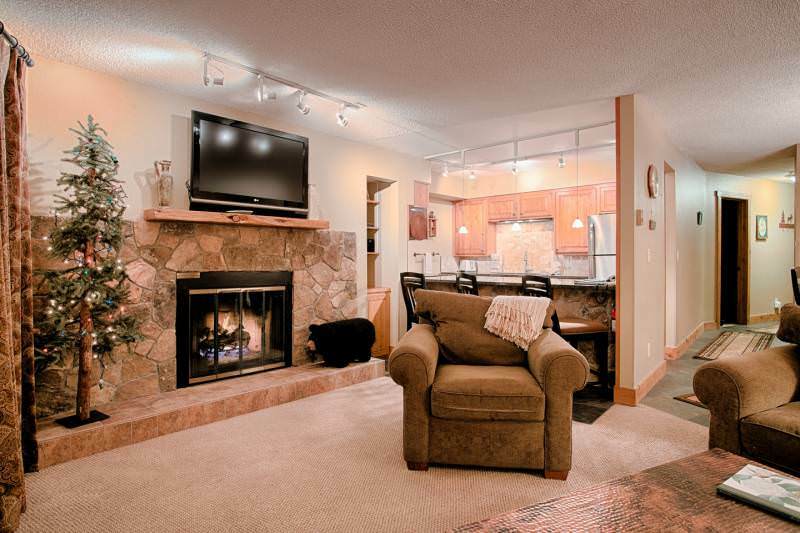 Enjoy the “cozy mountain atmosphere” in this Platinum-rated, spacious, and tastefully decorated unit. 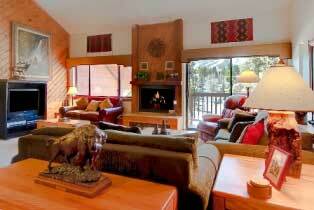 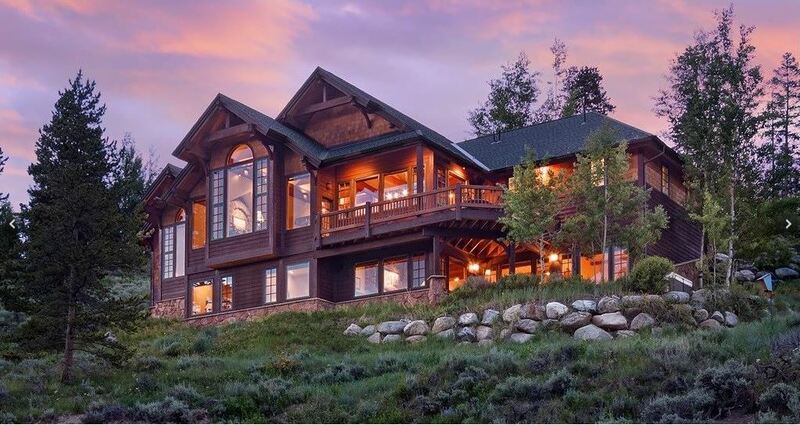 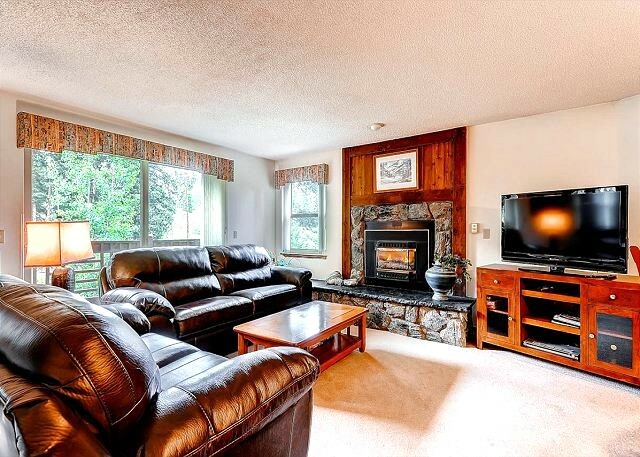 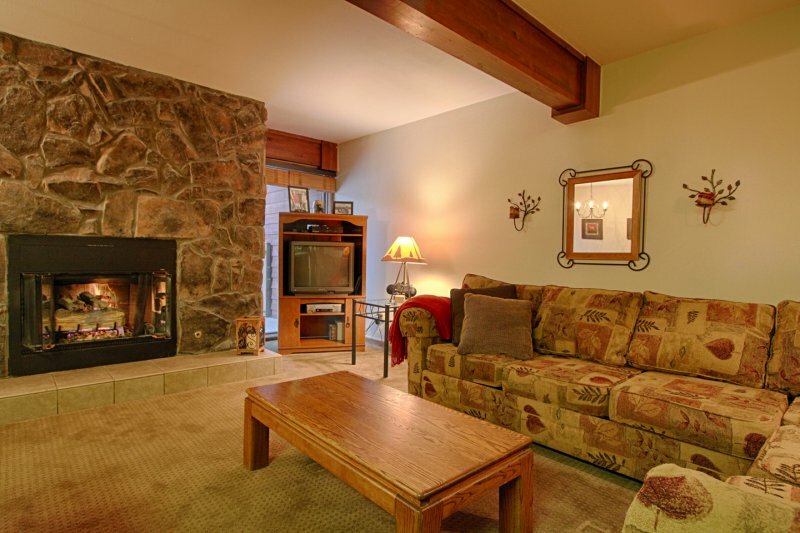 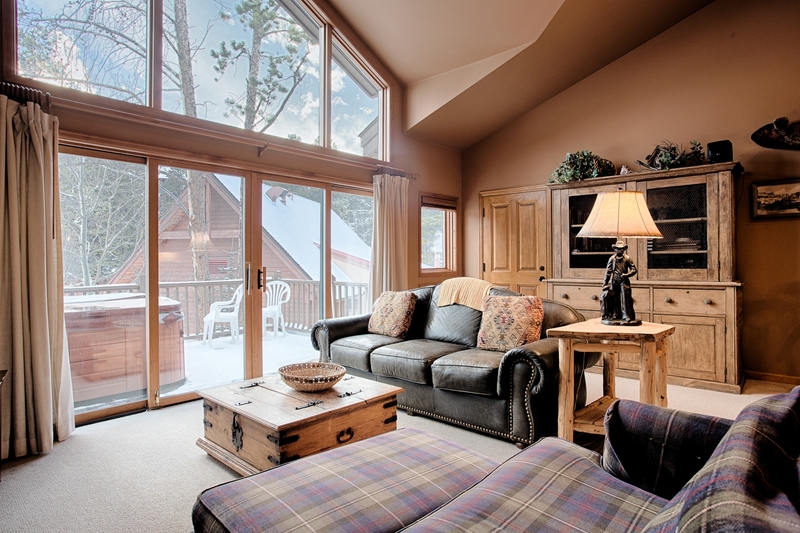 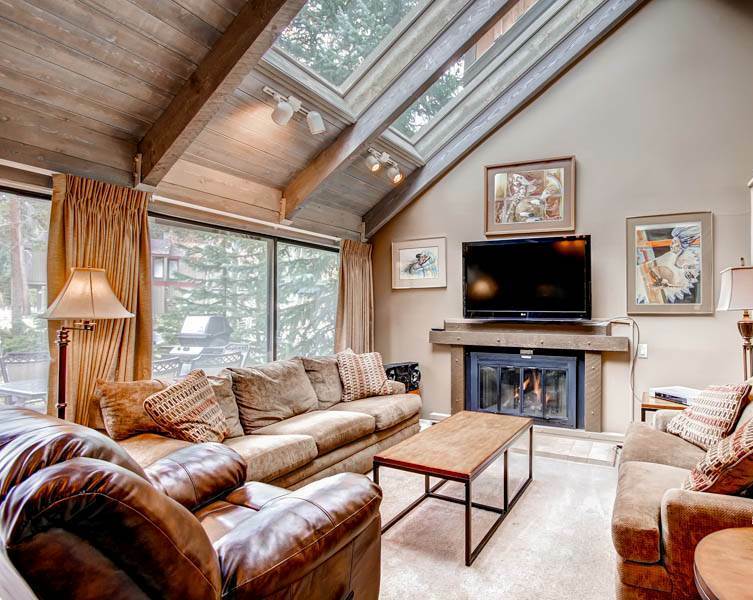 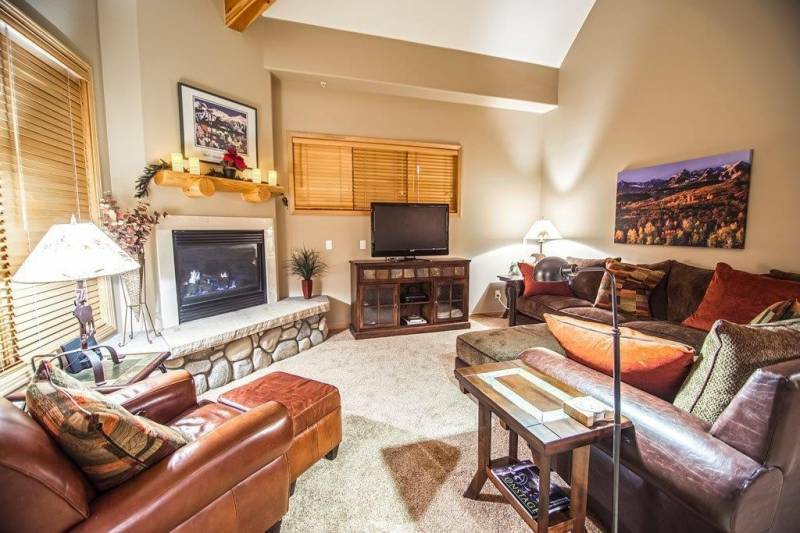 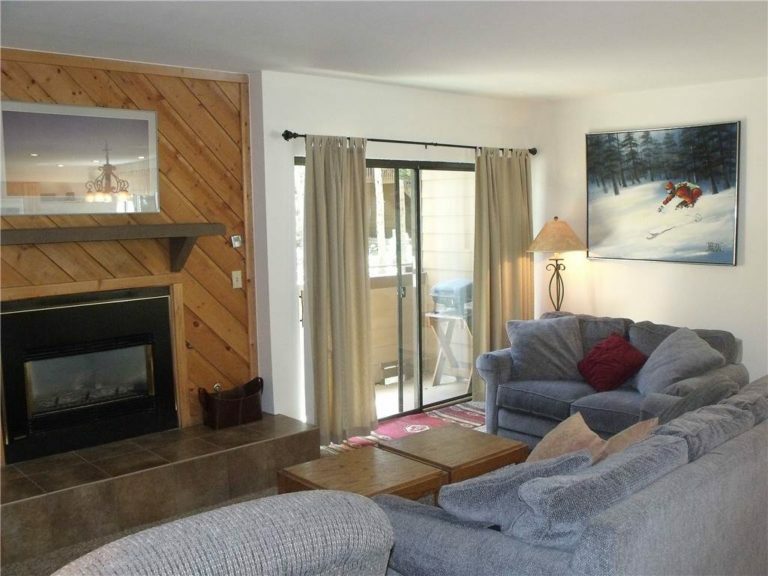 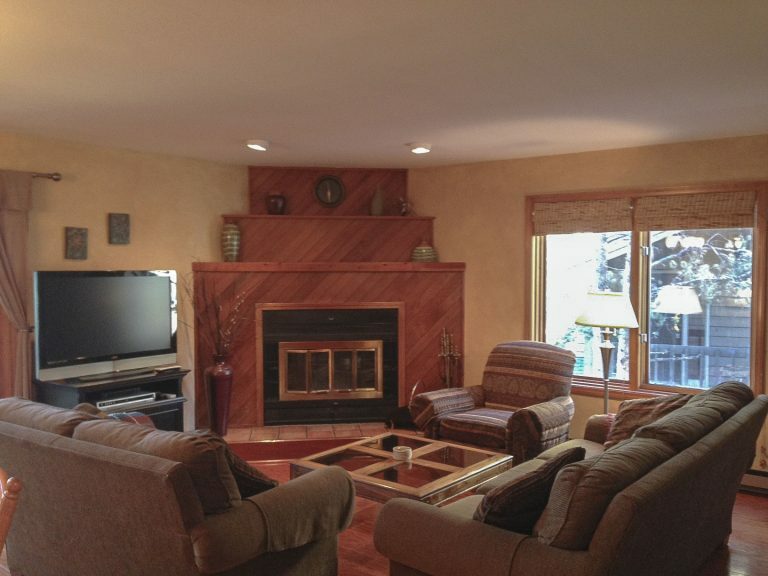 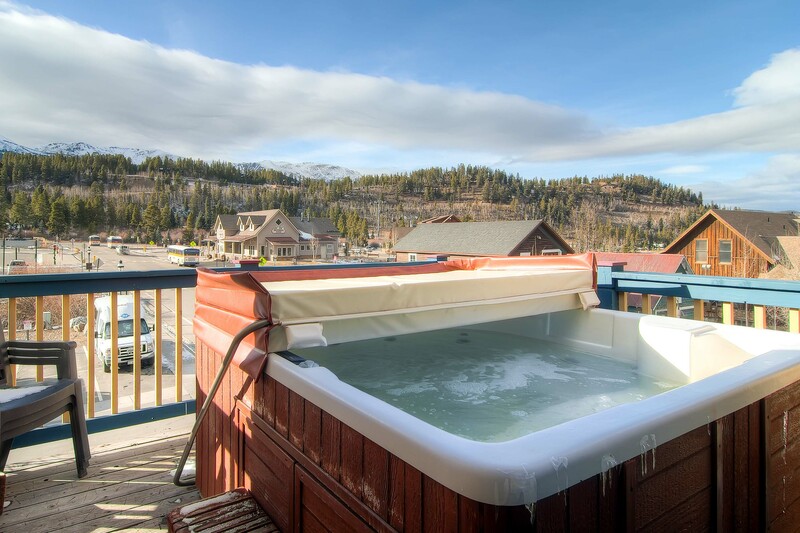 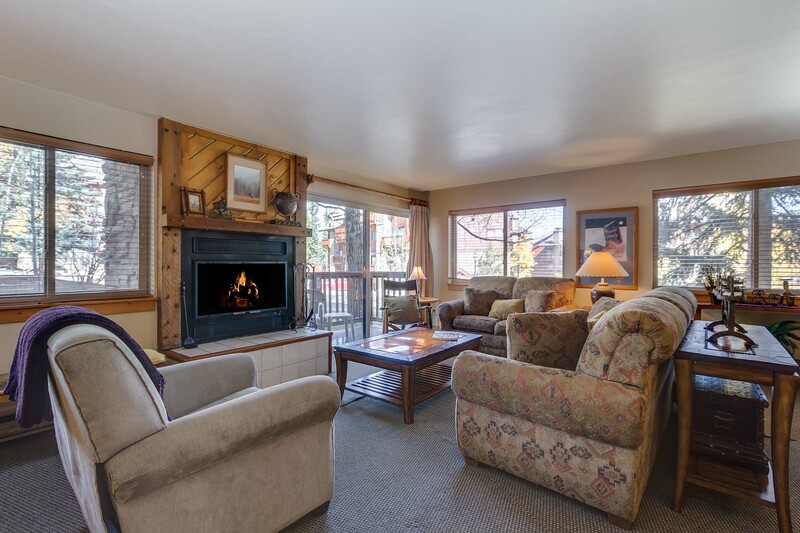 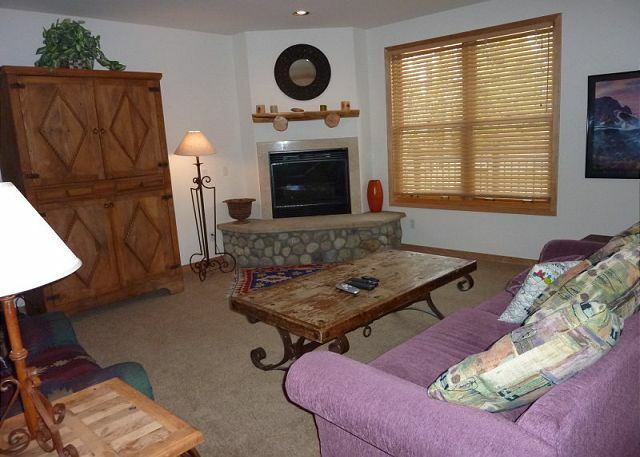 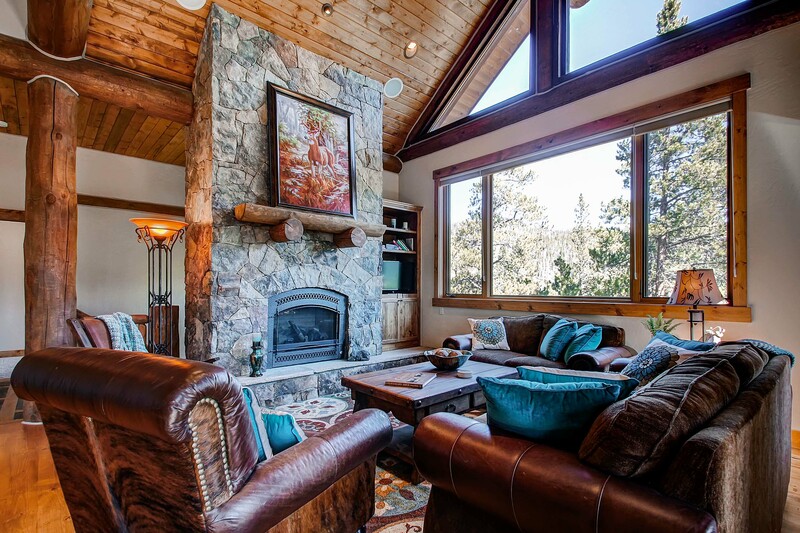 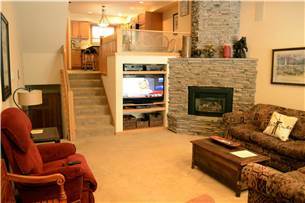 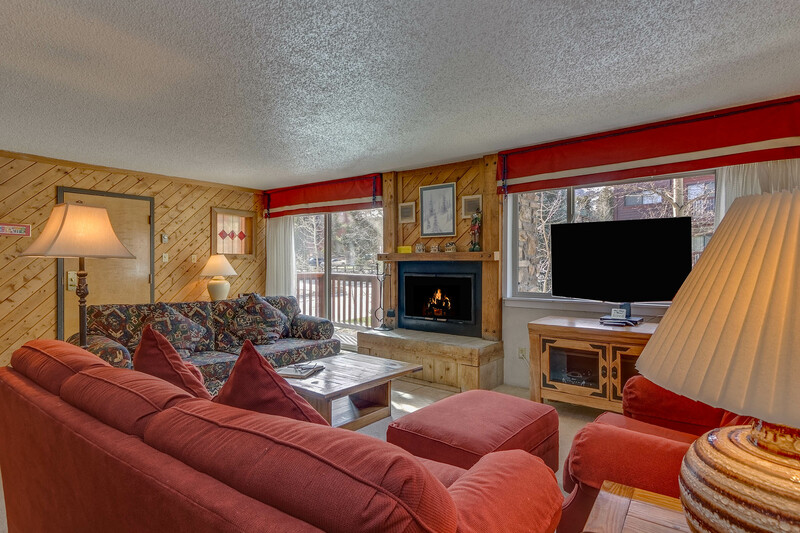 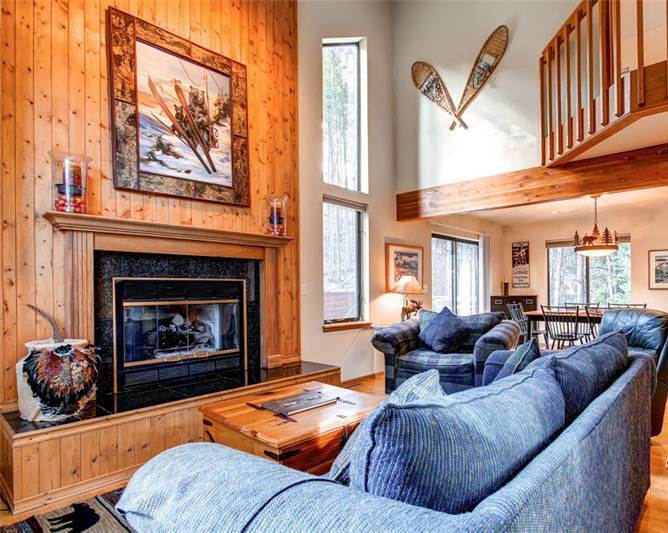 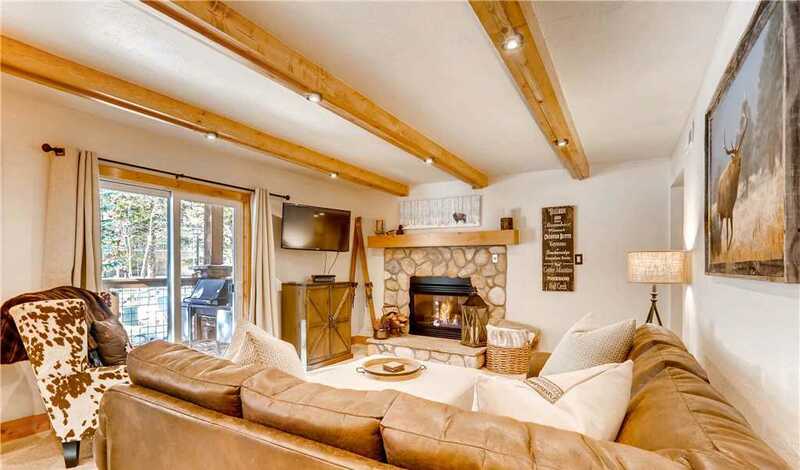 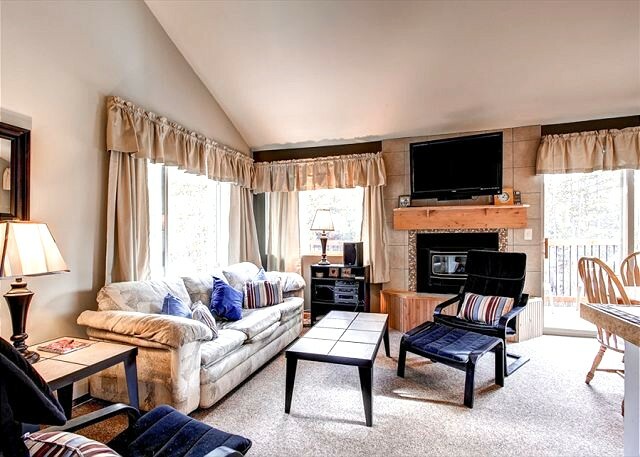 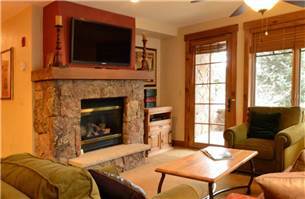 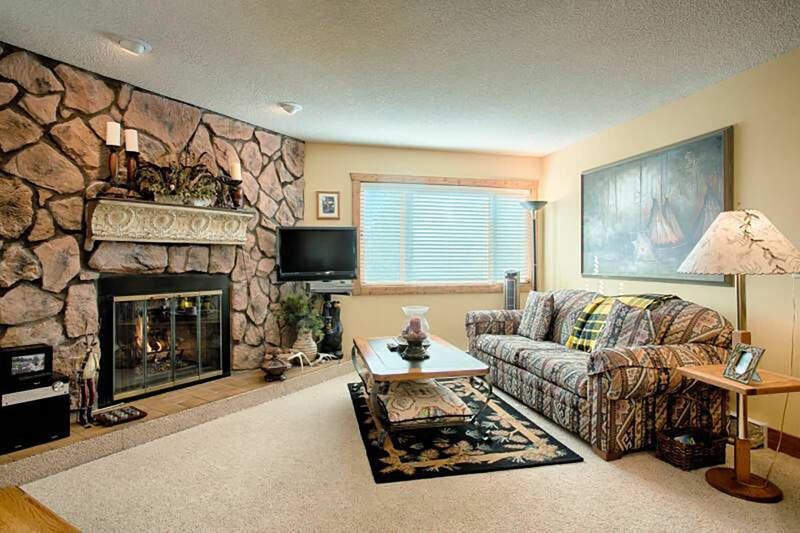 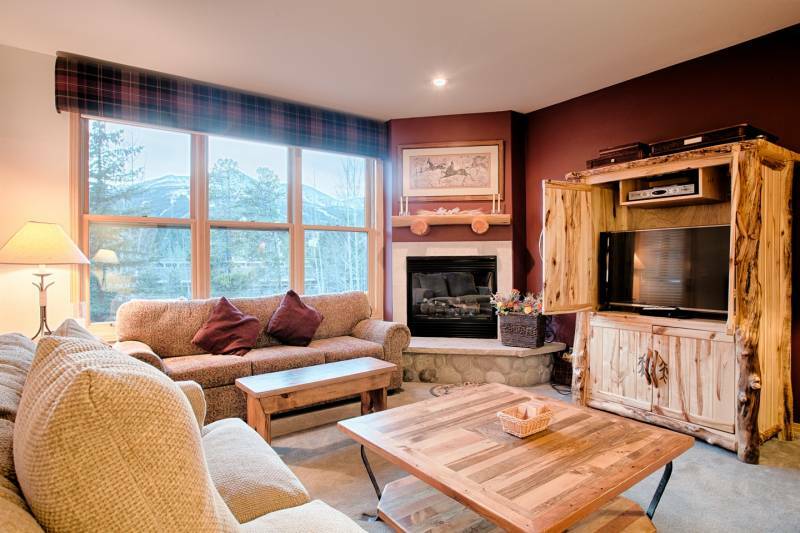 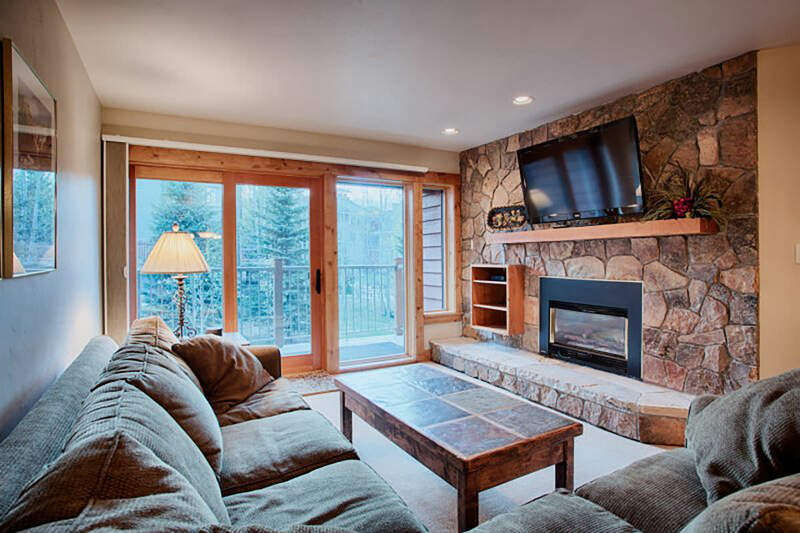 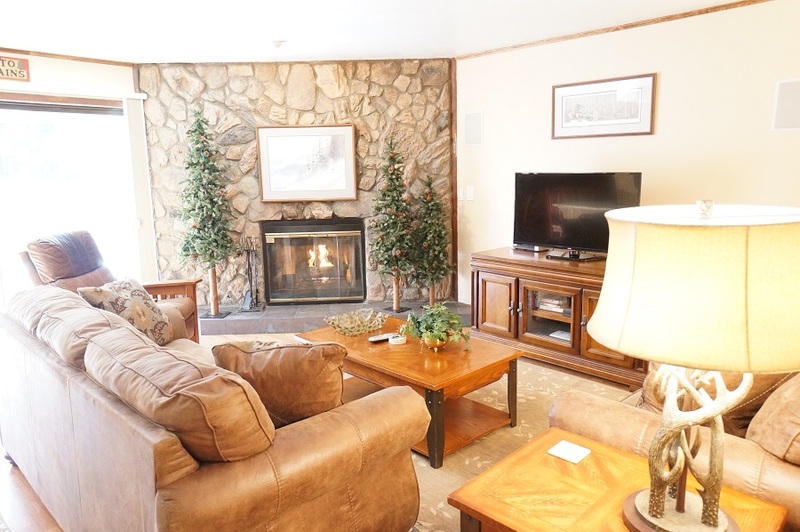 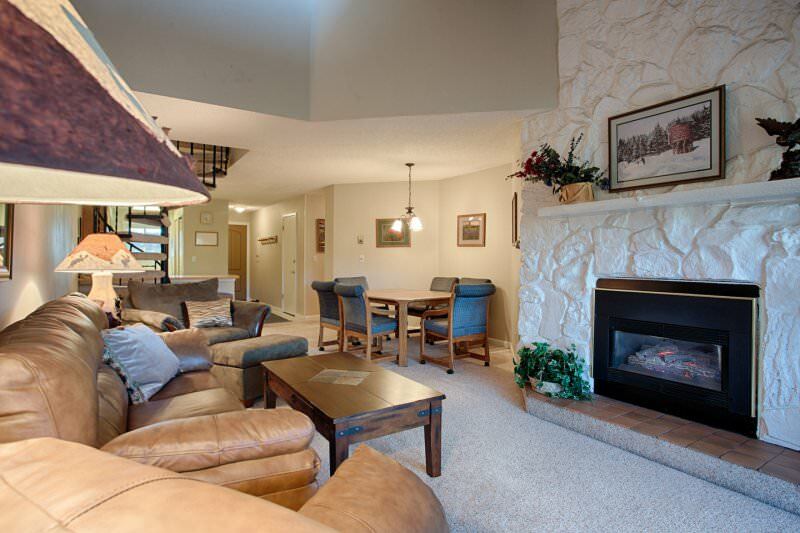 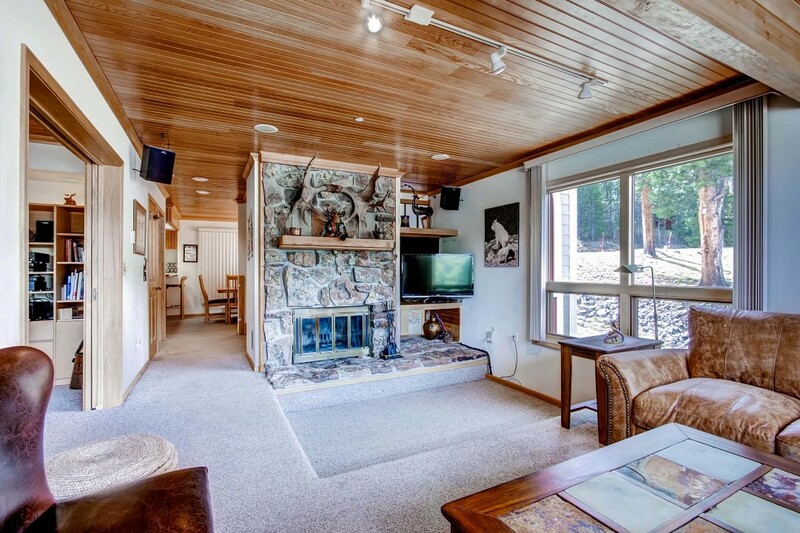 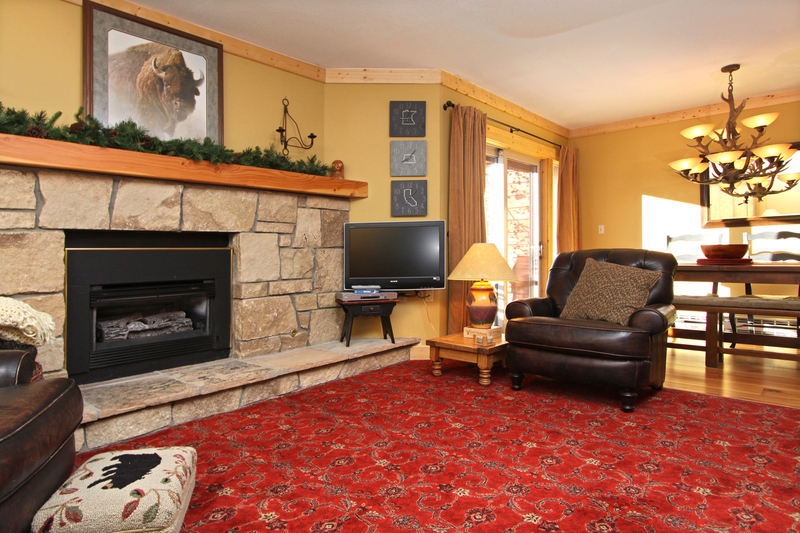 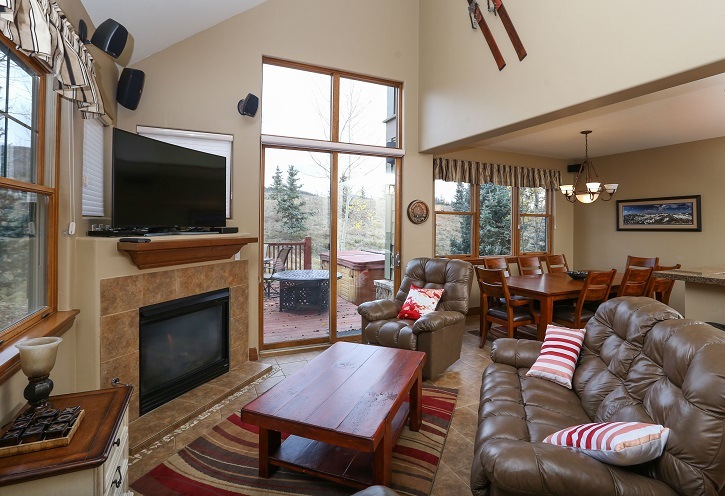 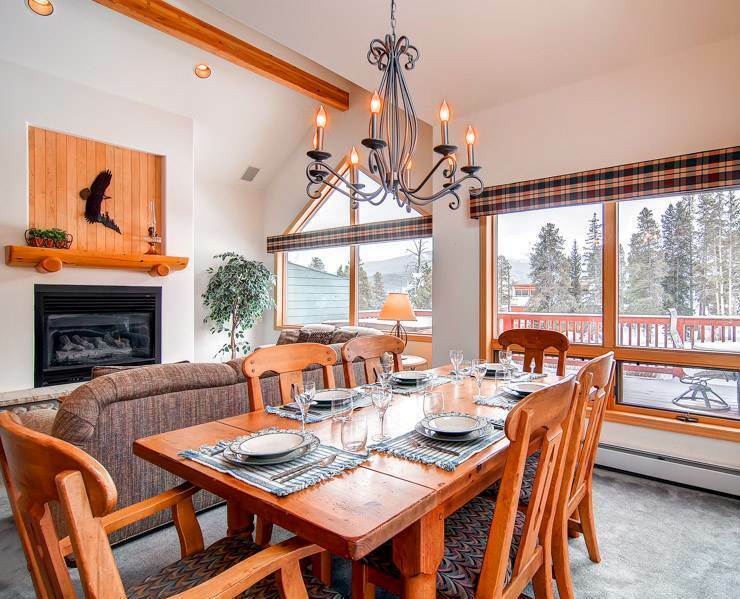 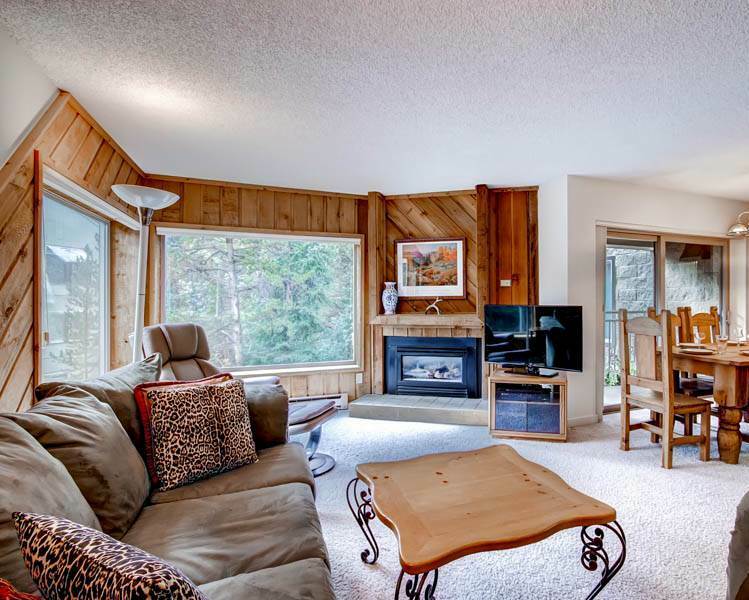 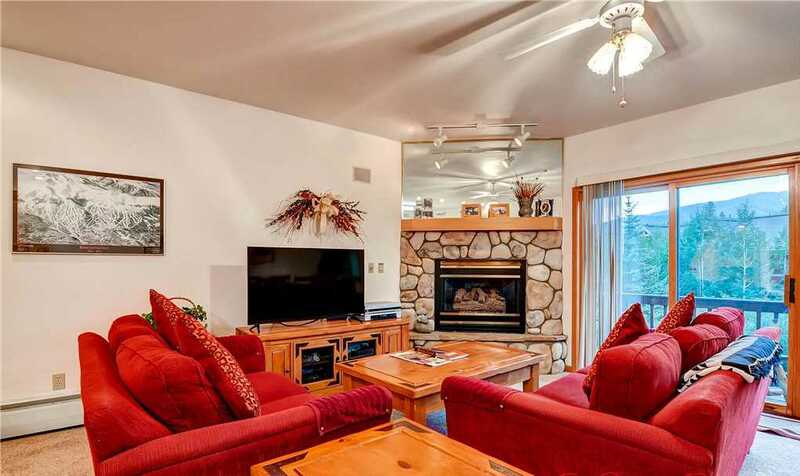 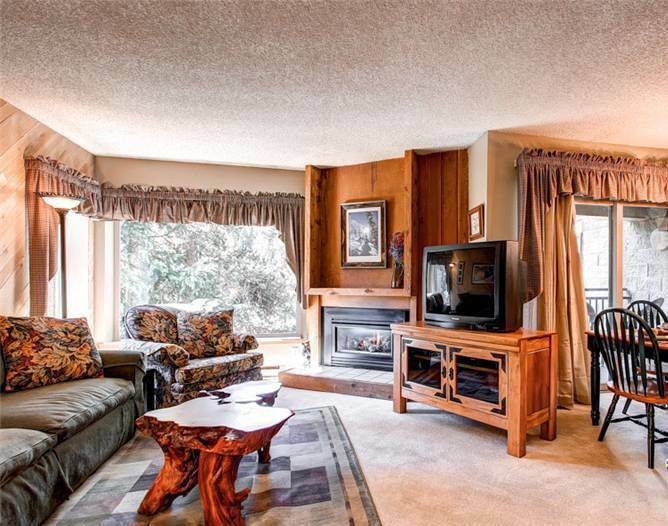 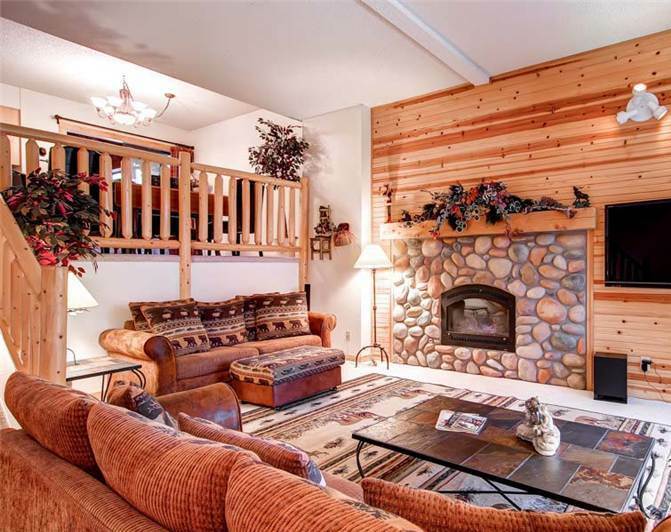 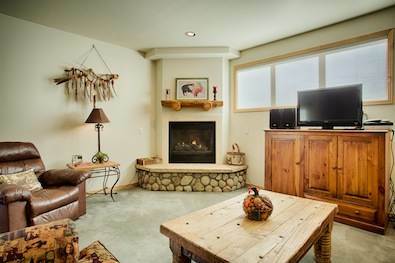 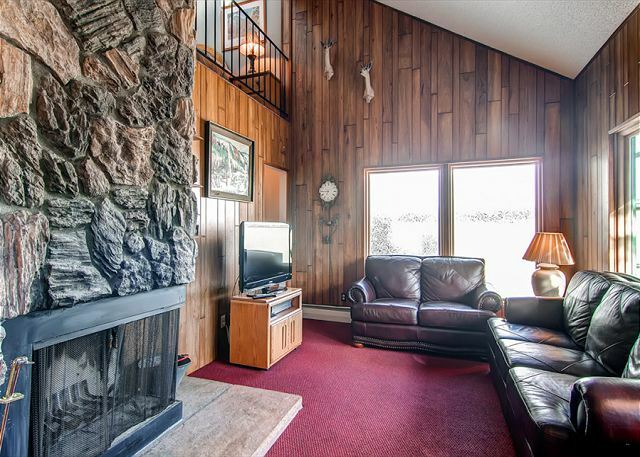 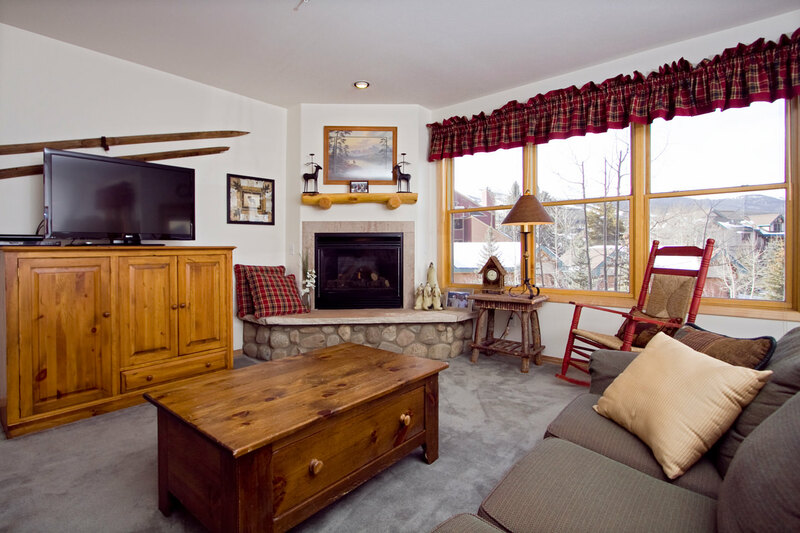 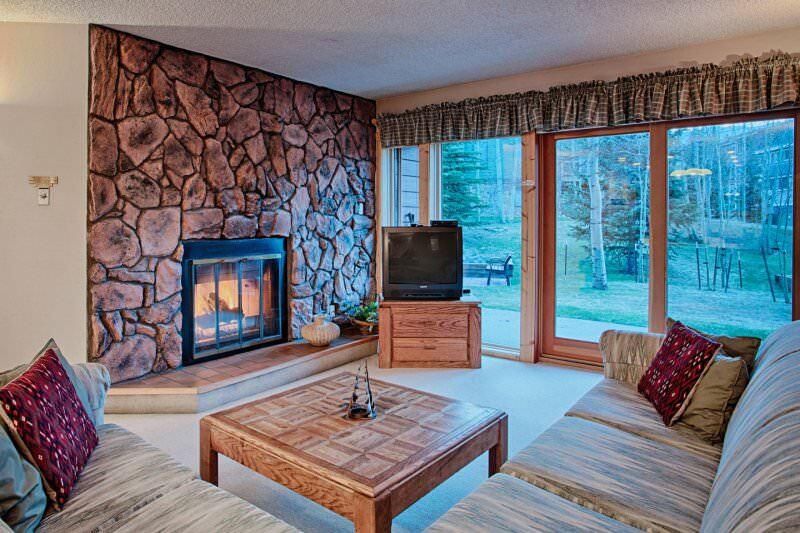 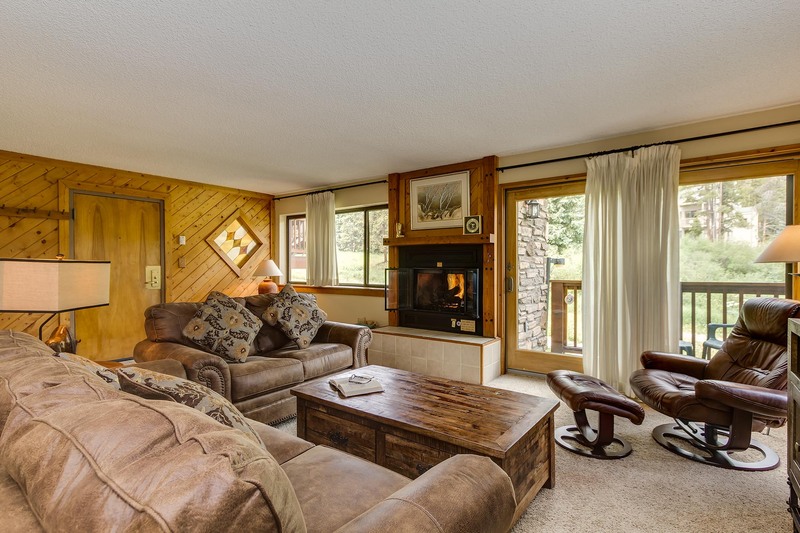 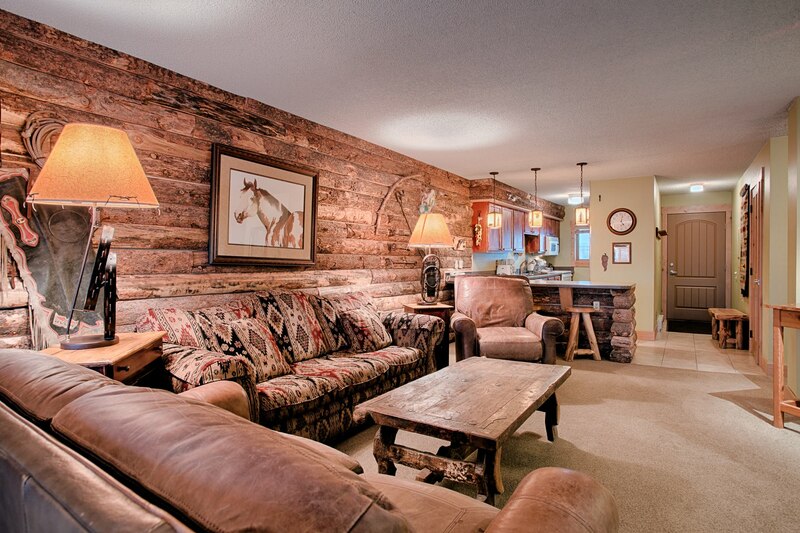 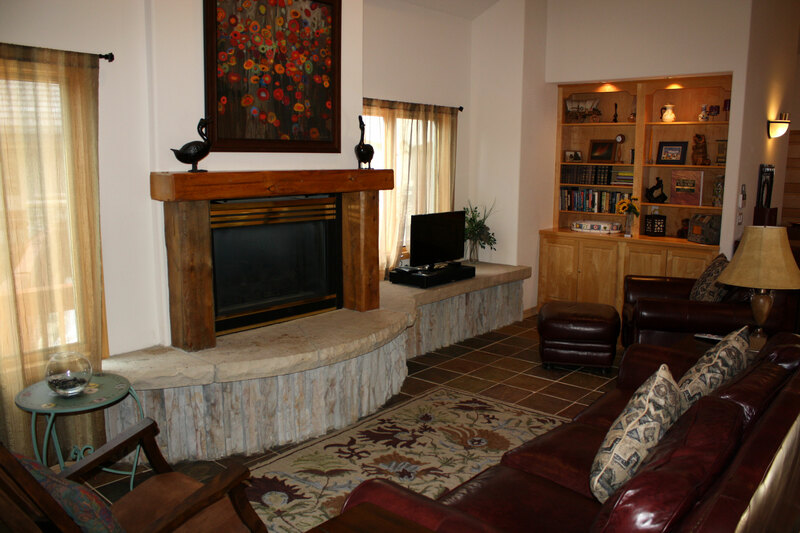 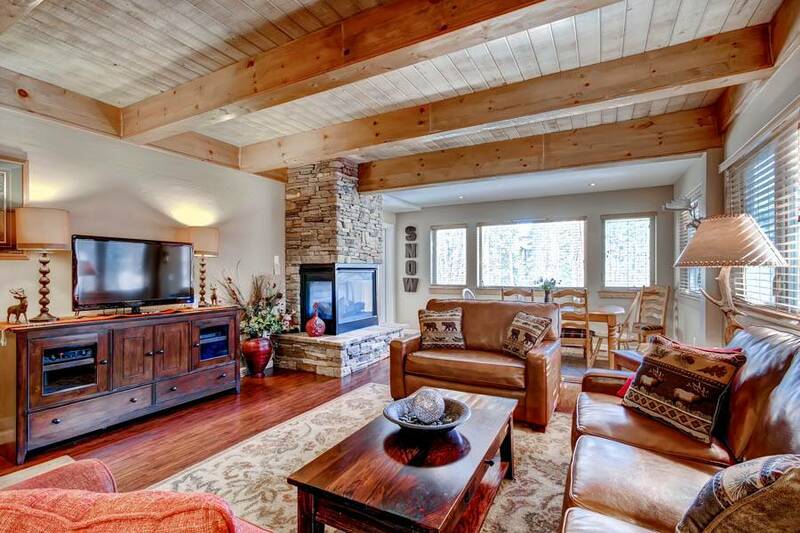 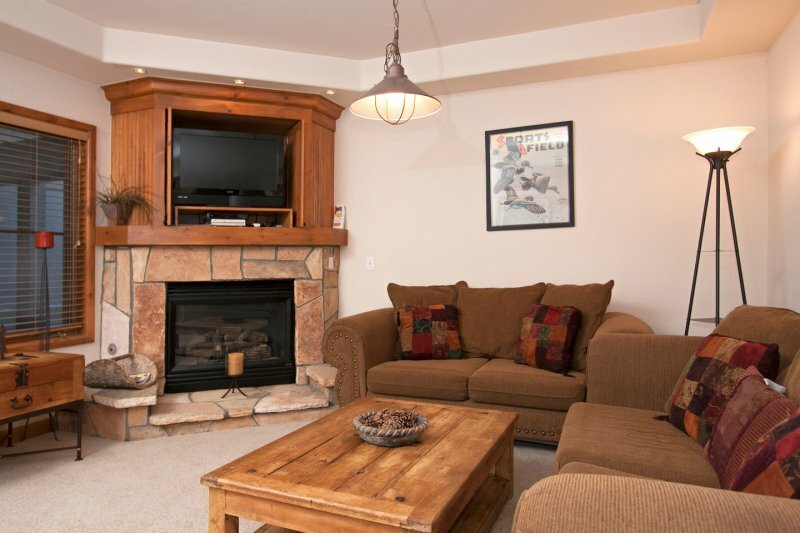 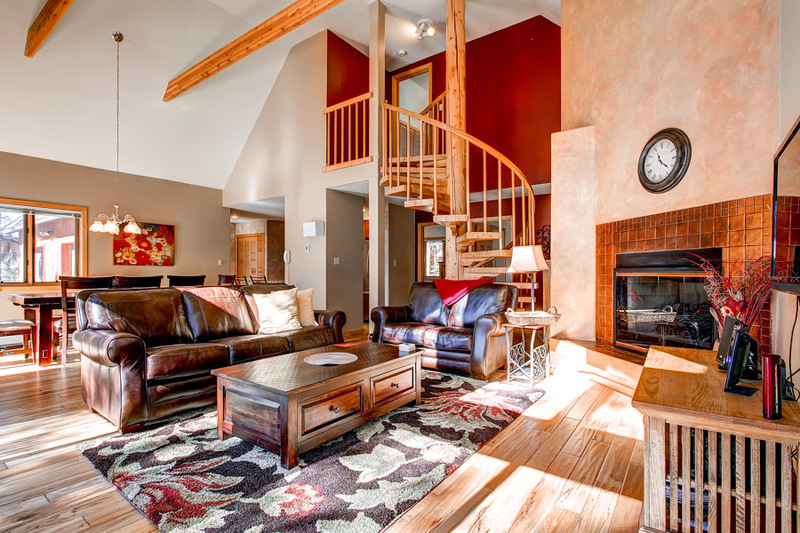 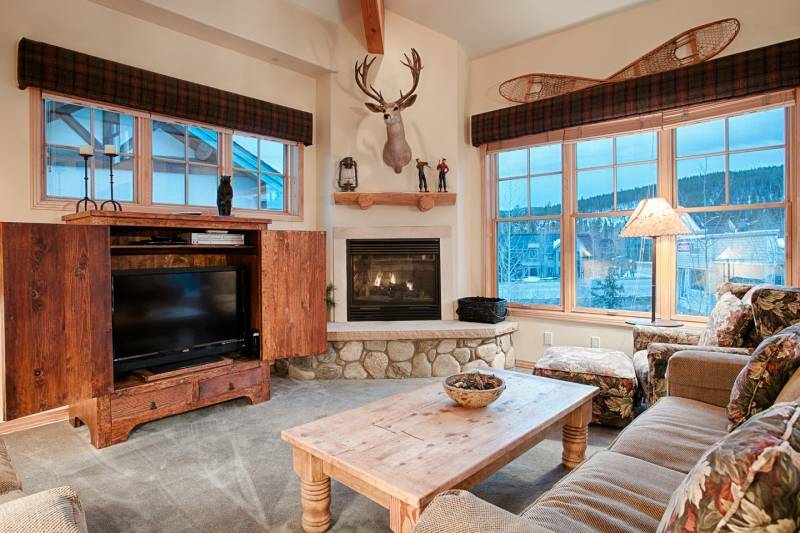 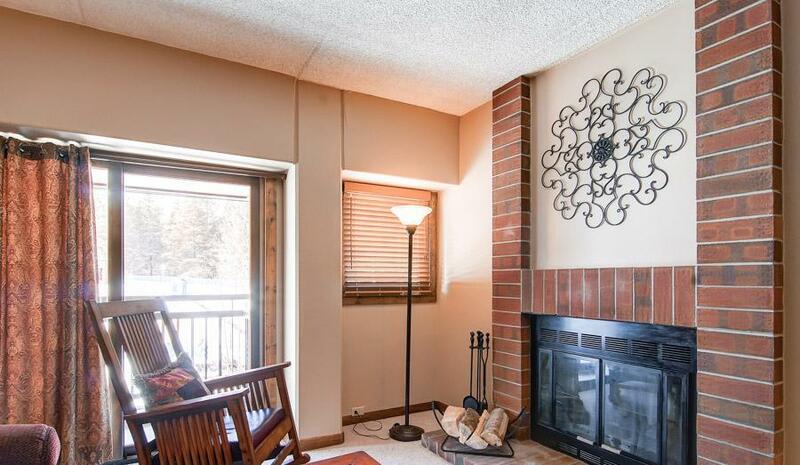 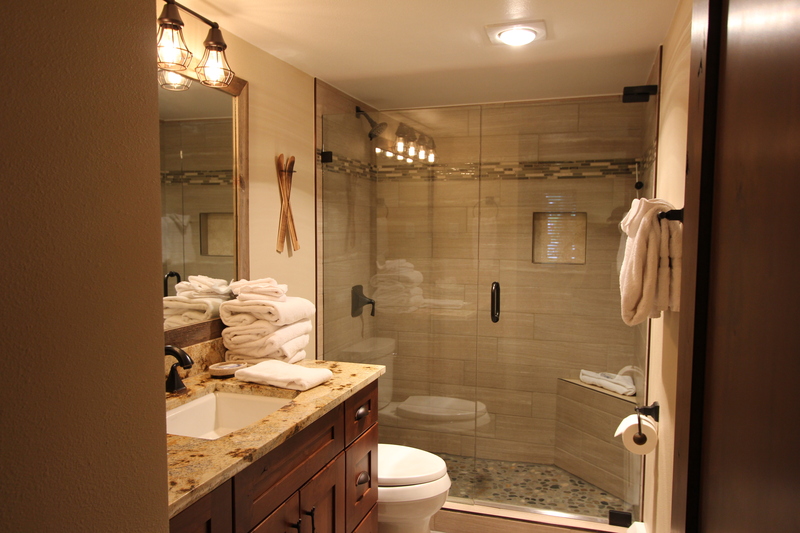 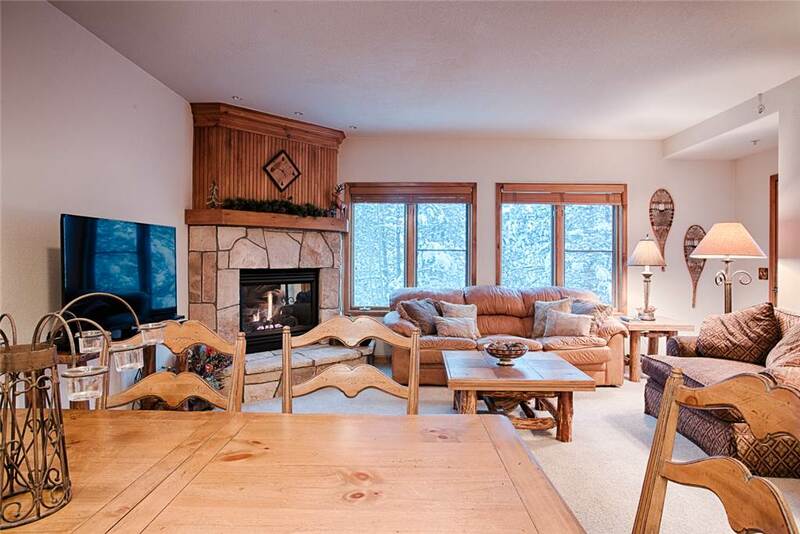 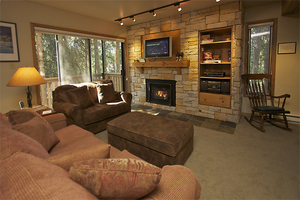 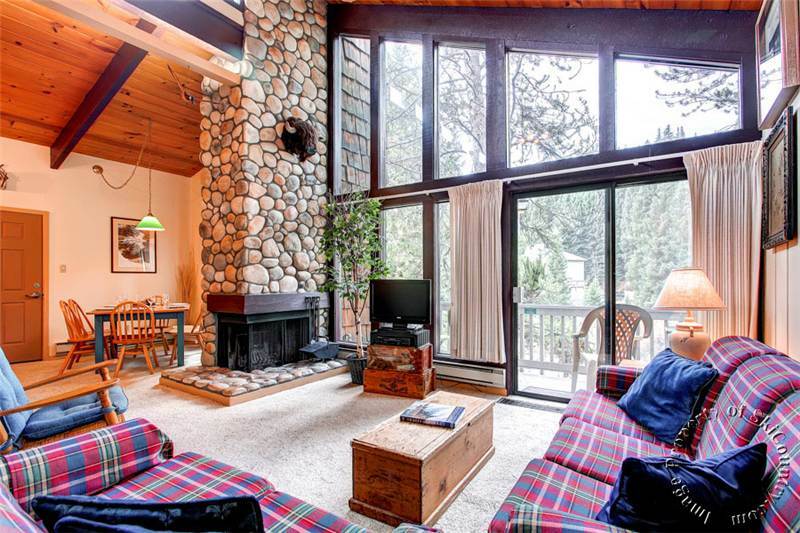 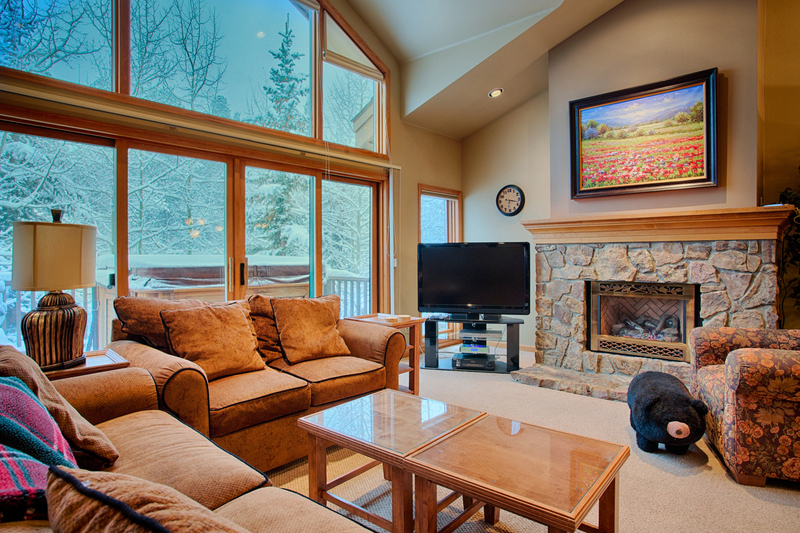 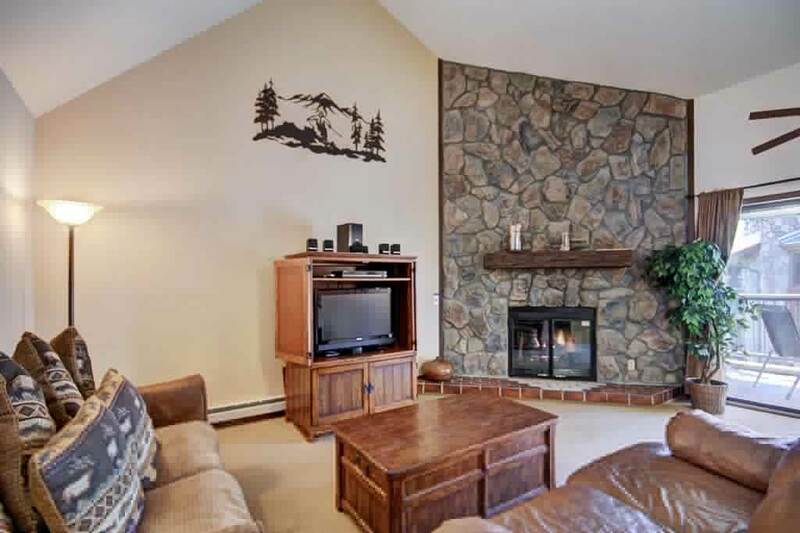 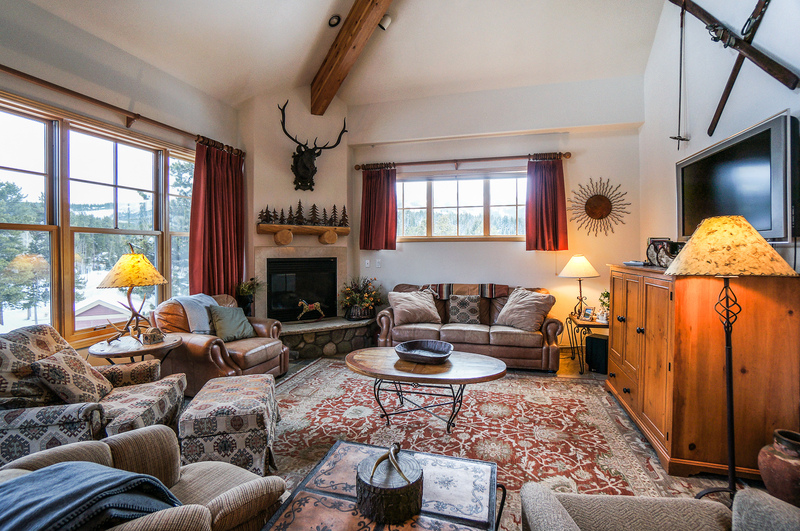 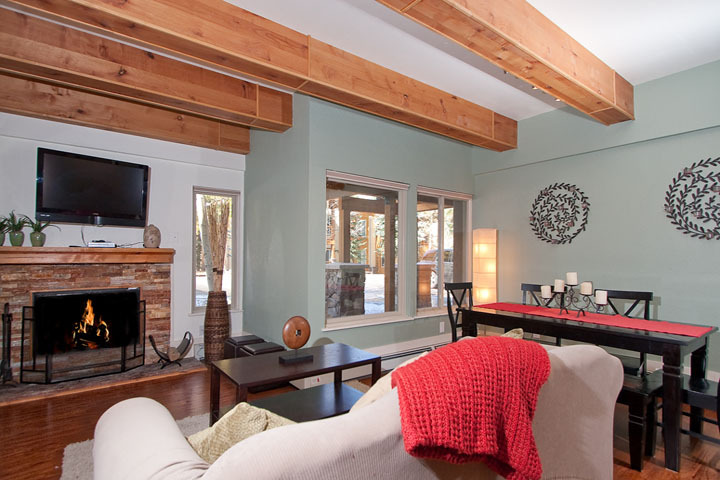 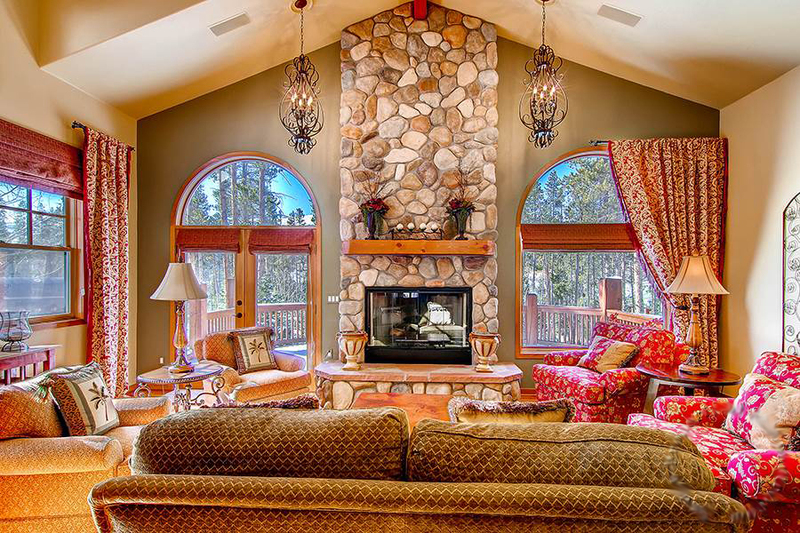 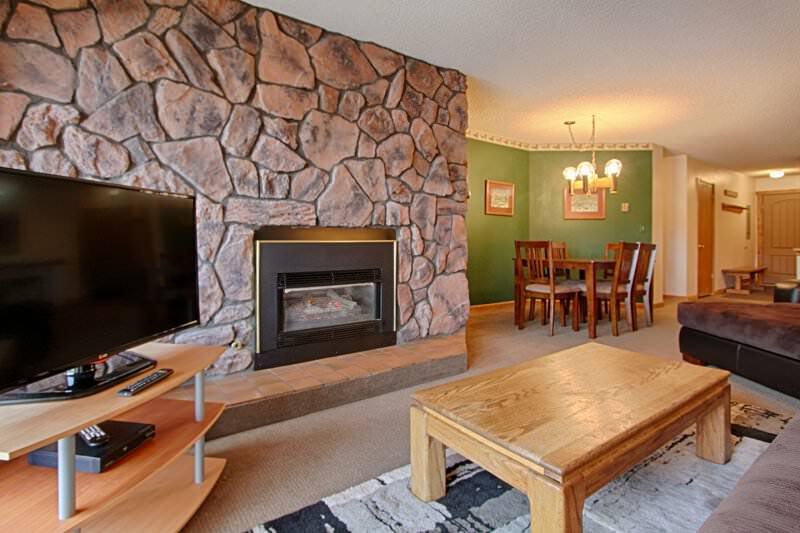 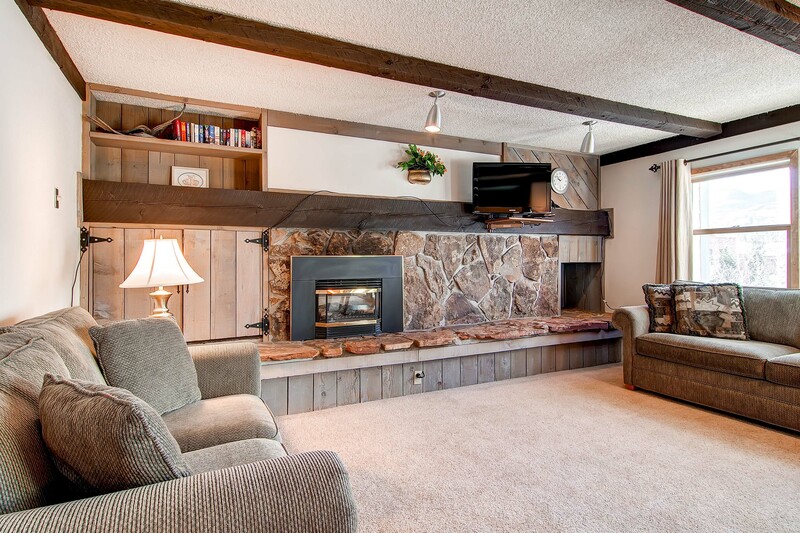 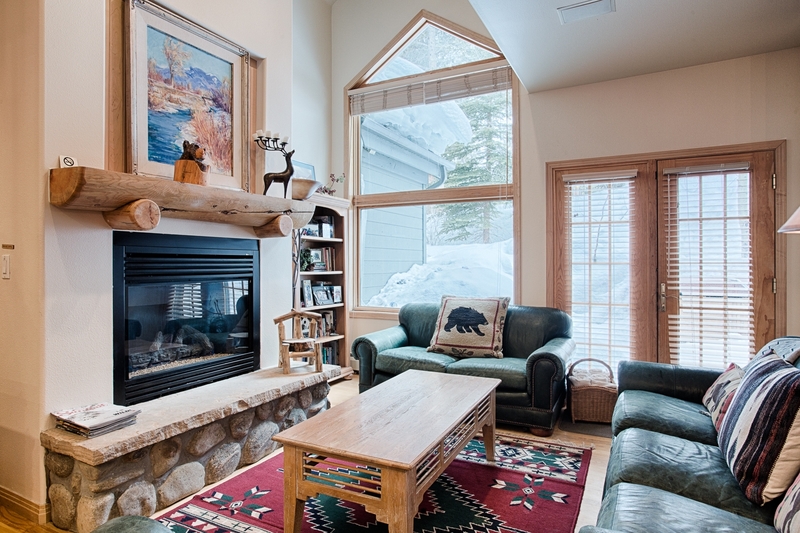 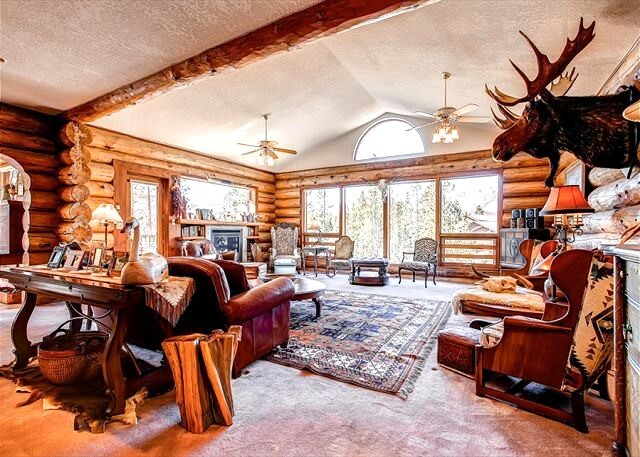 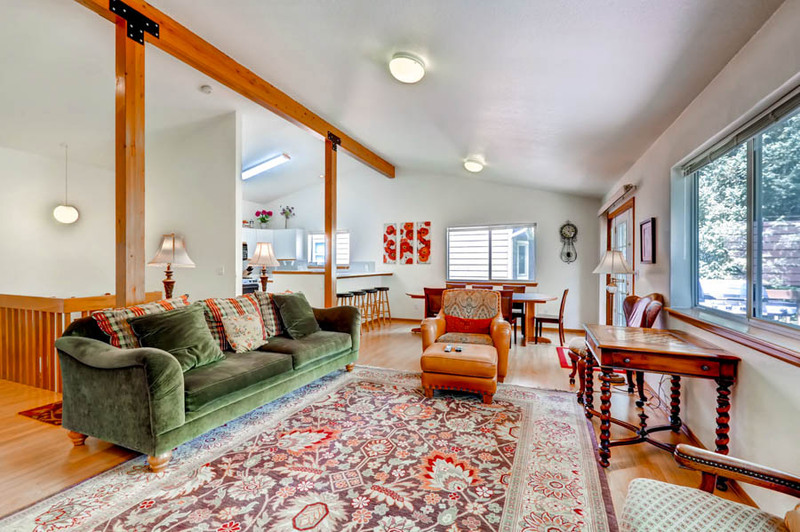 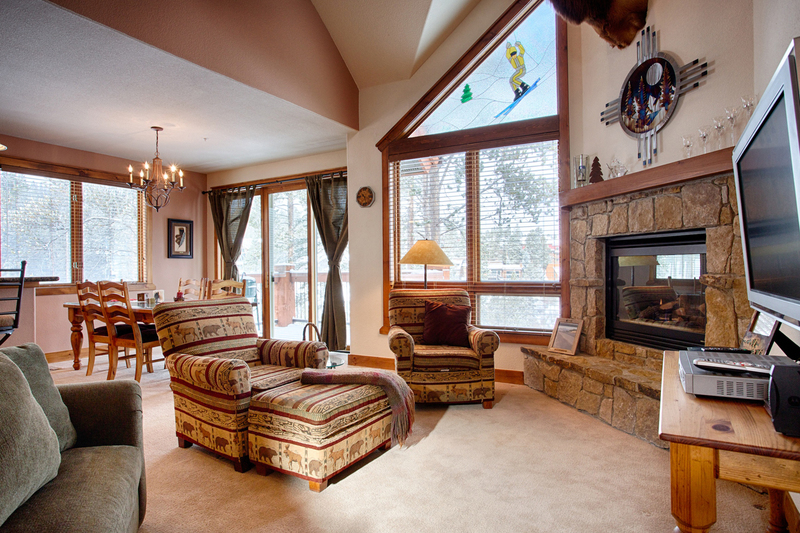 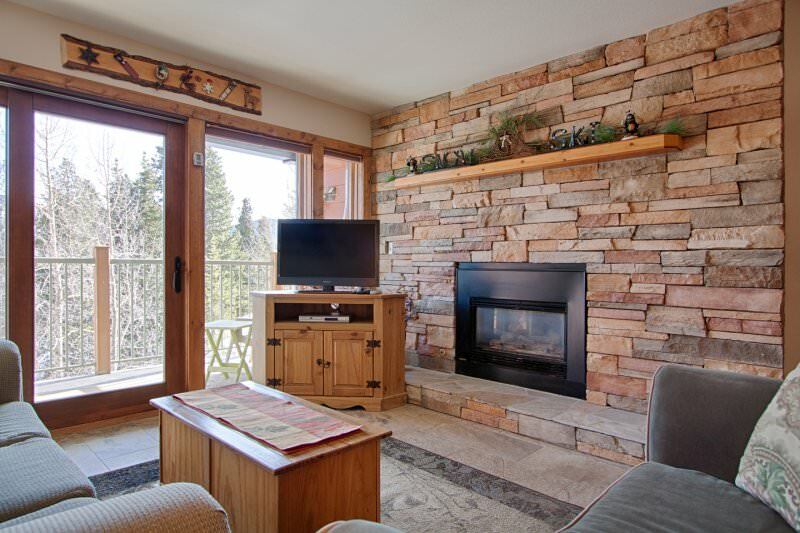 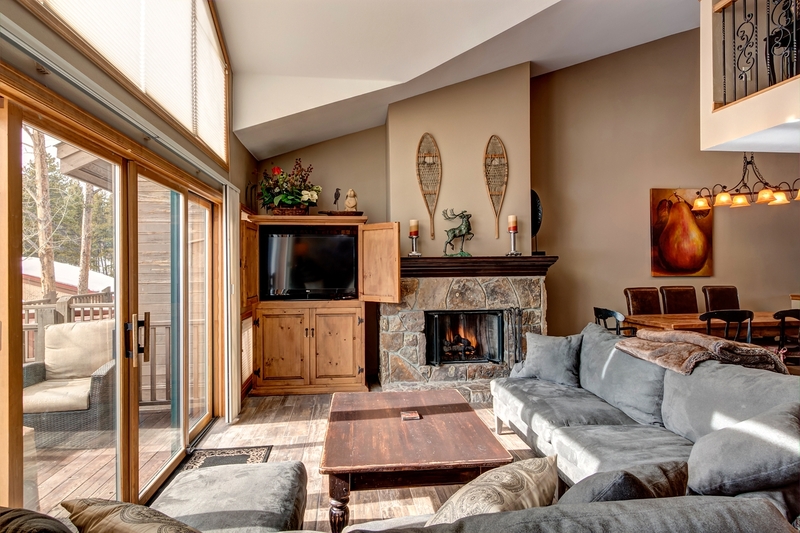 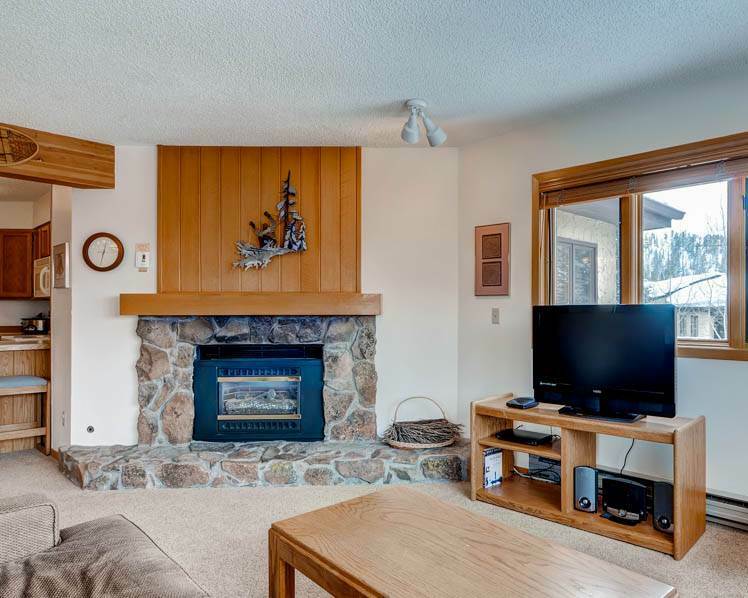 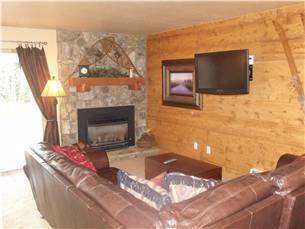 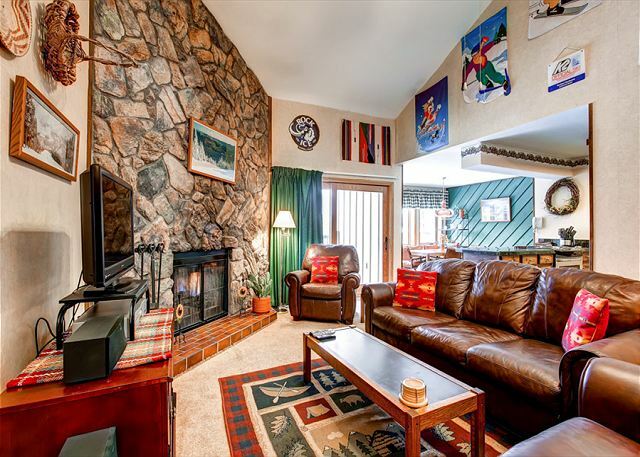 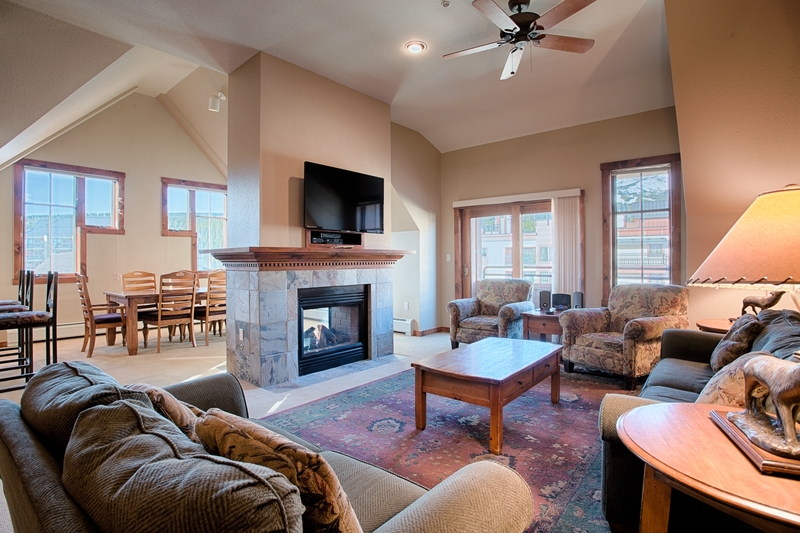 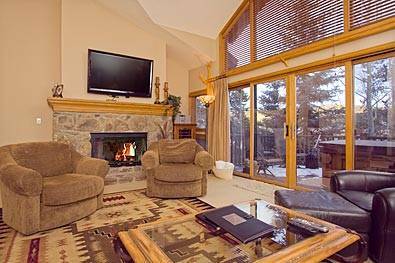 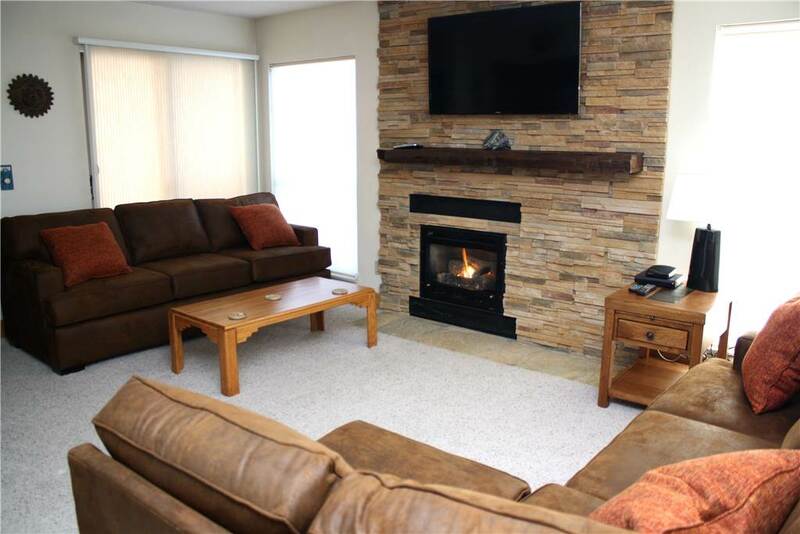 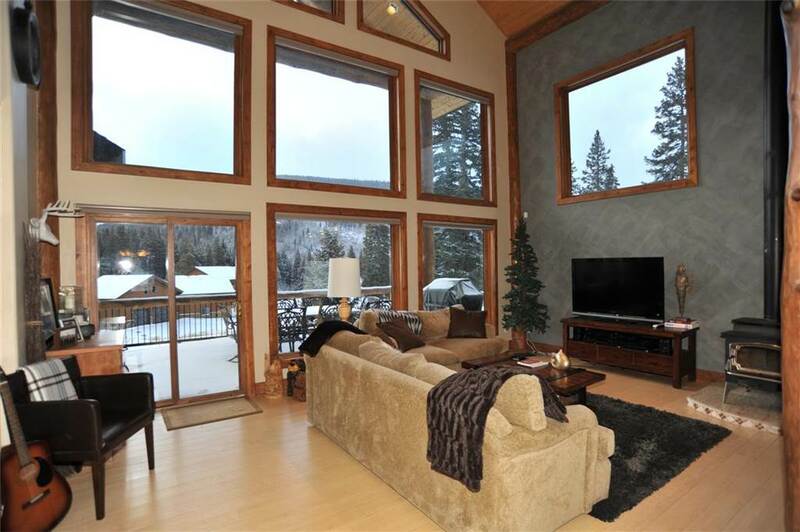 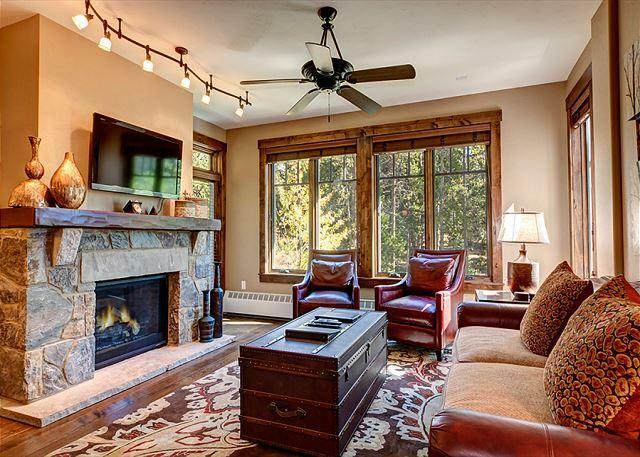 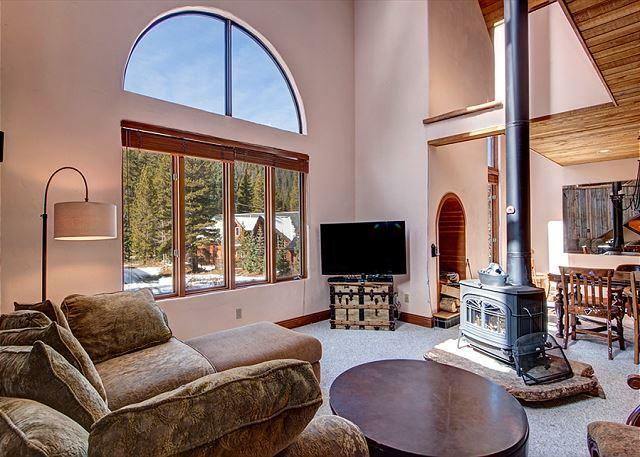 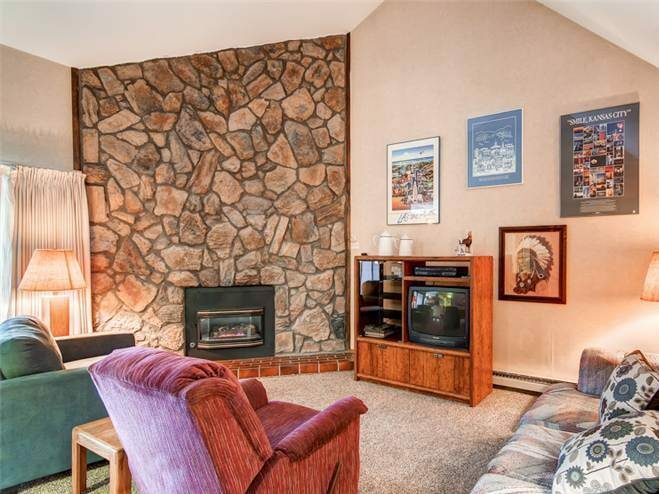 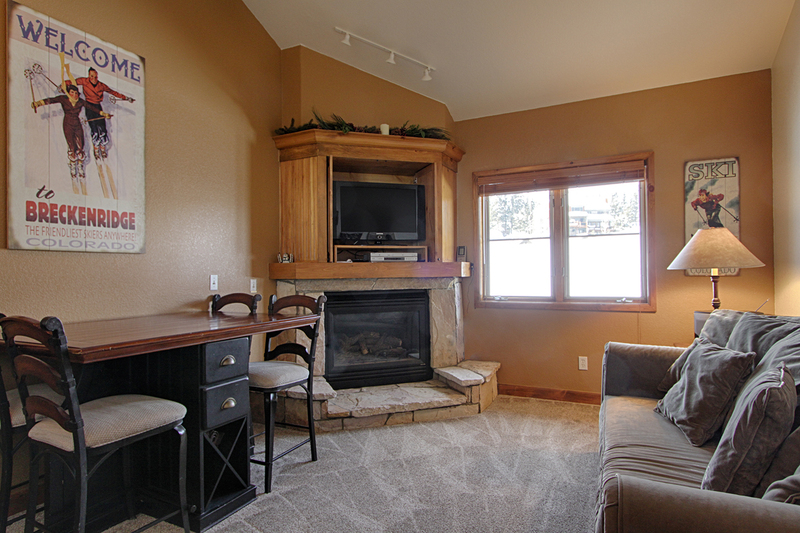 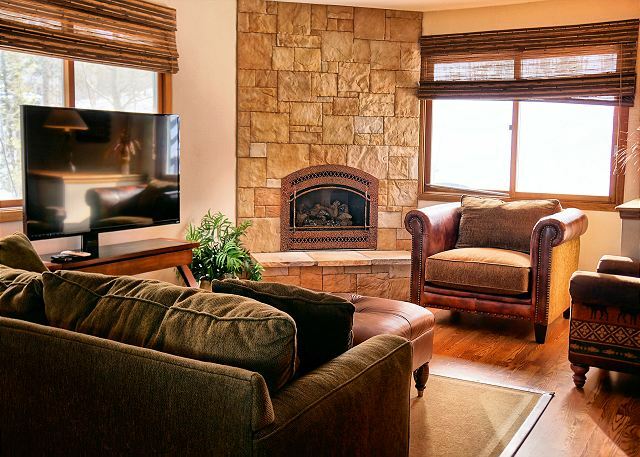 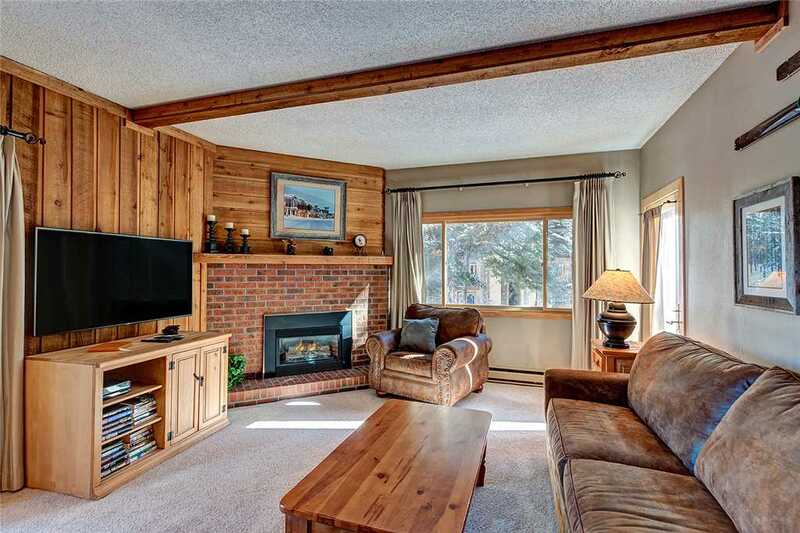 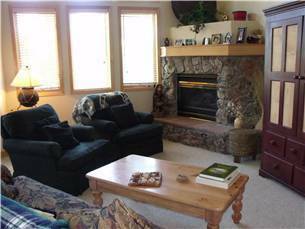 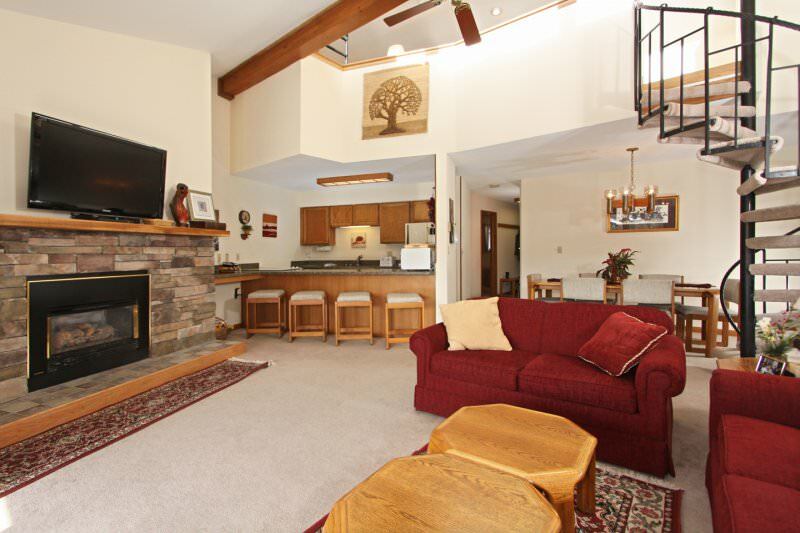 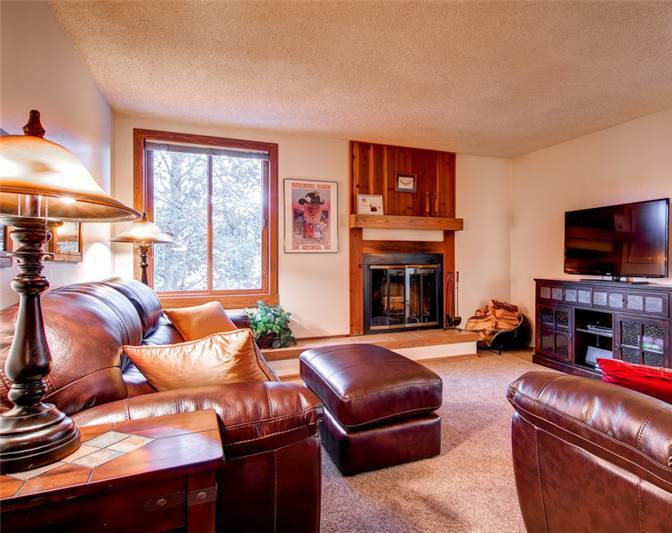 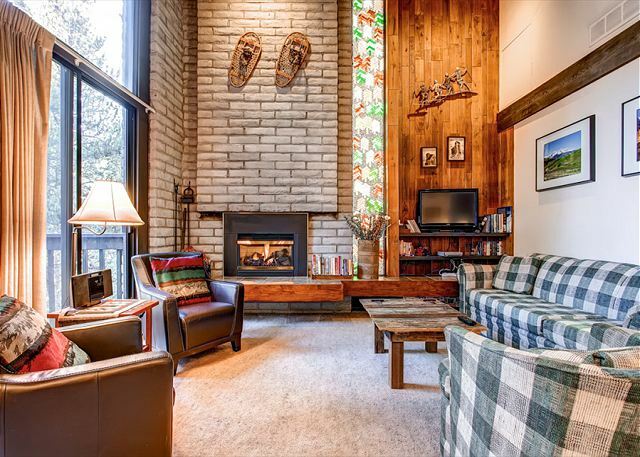 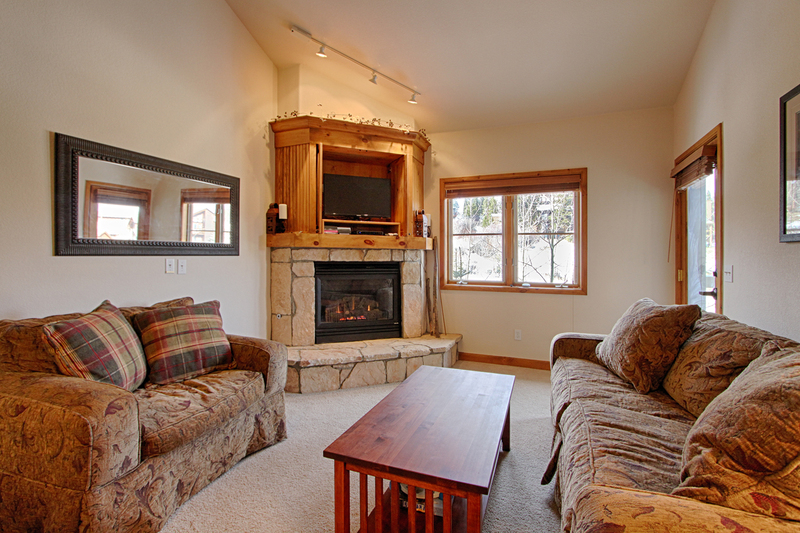 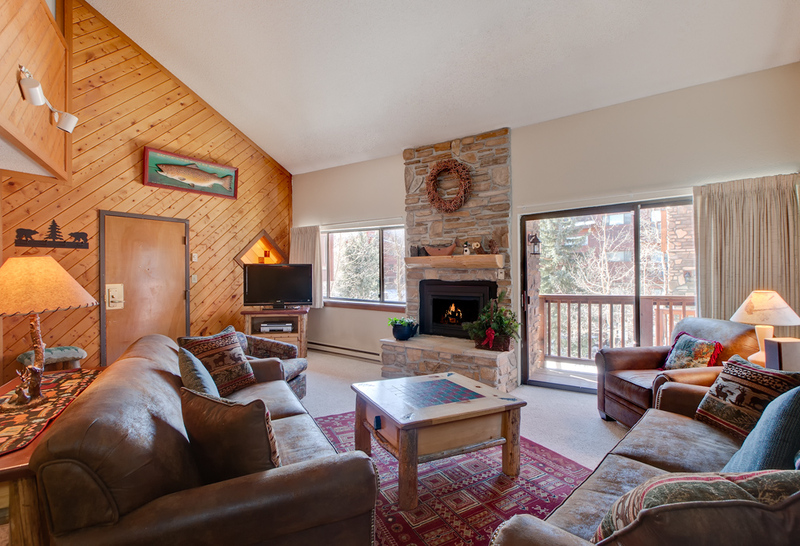 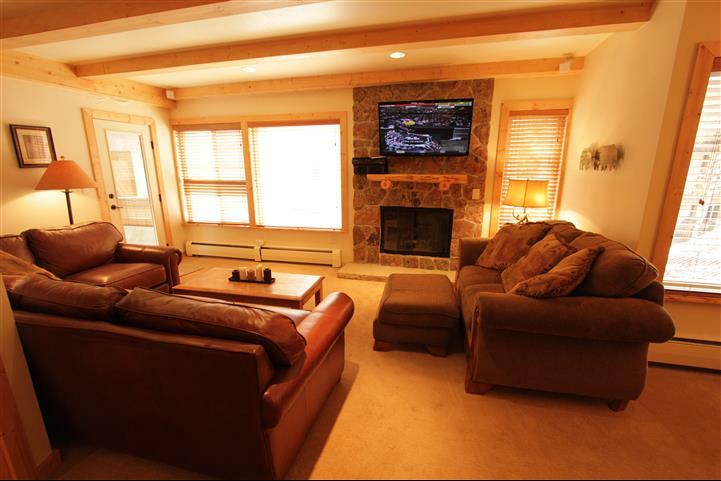 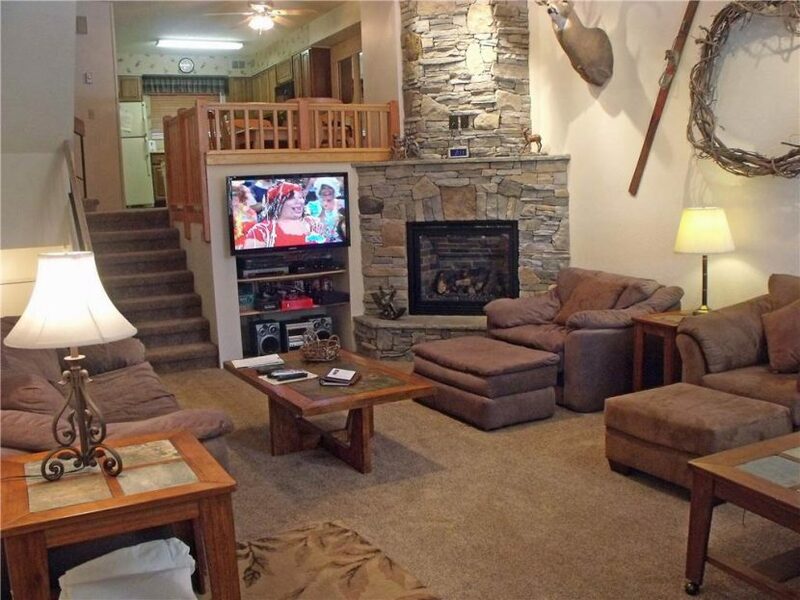 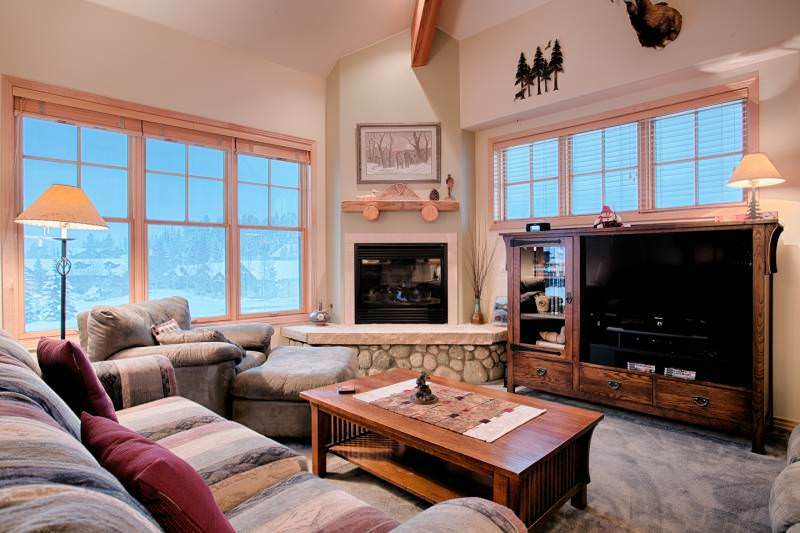 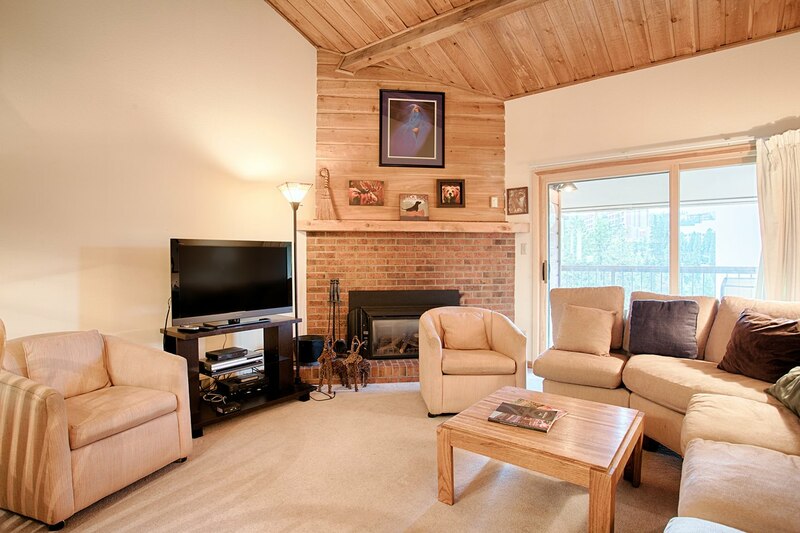 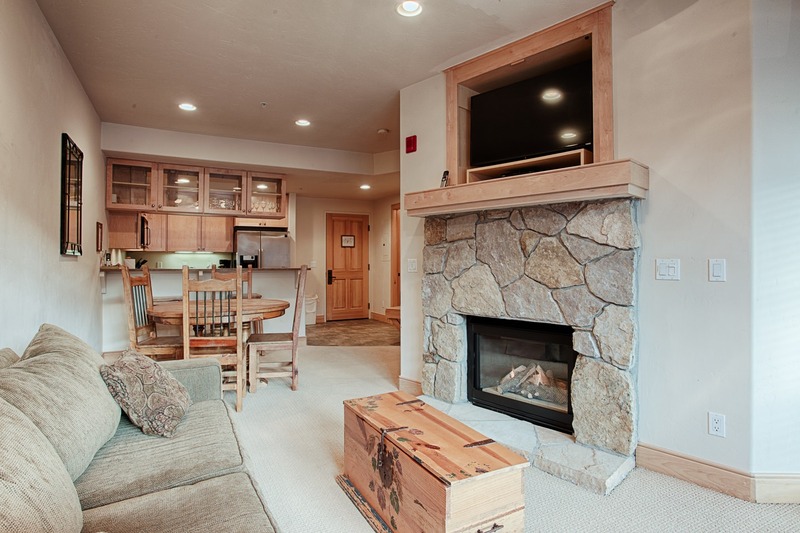 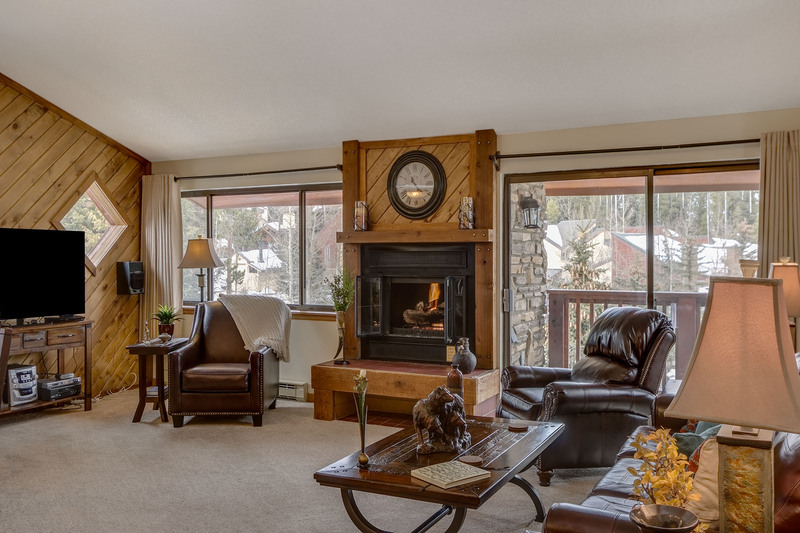 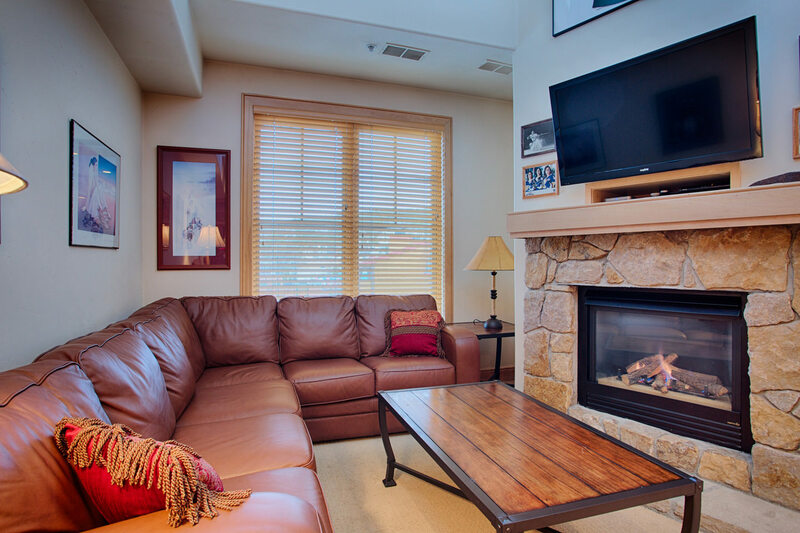 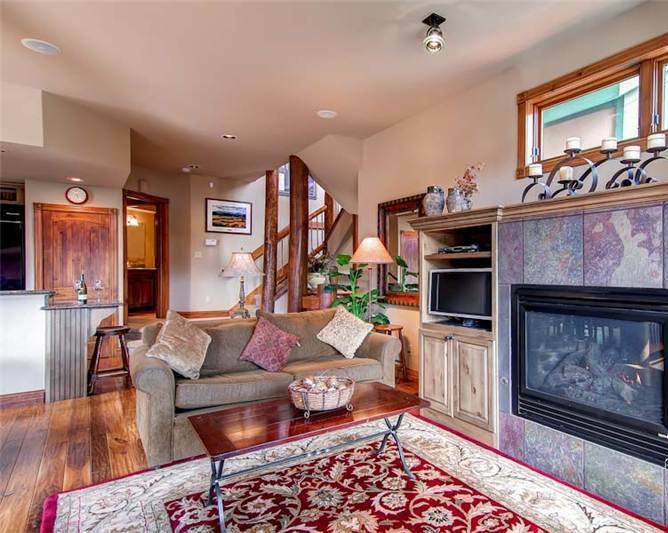 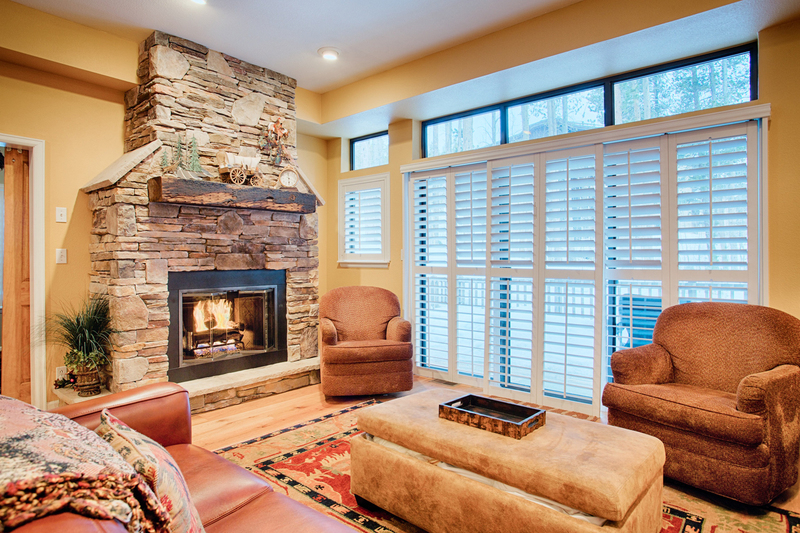 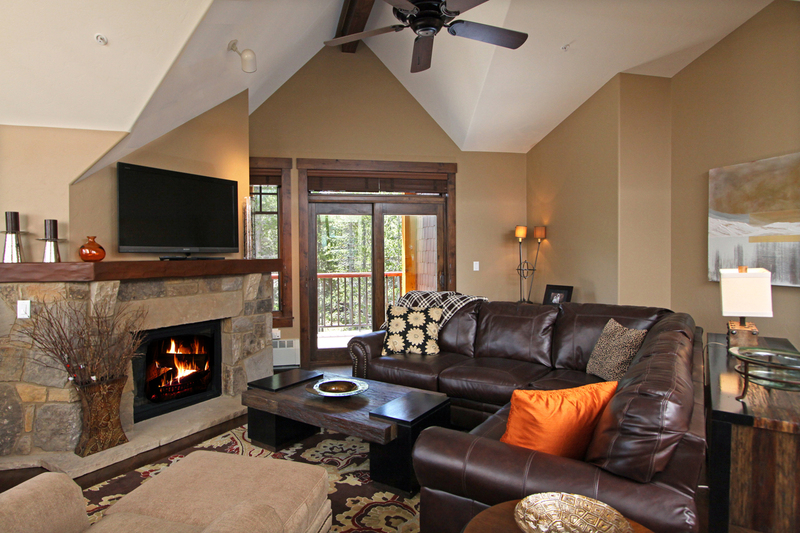 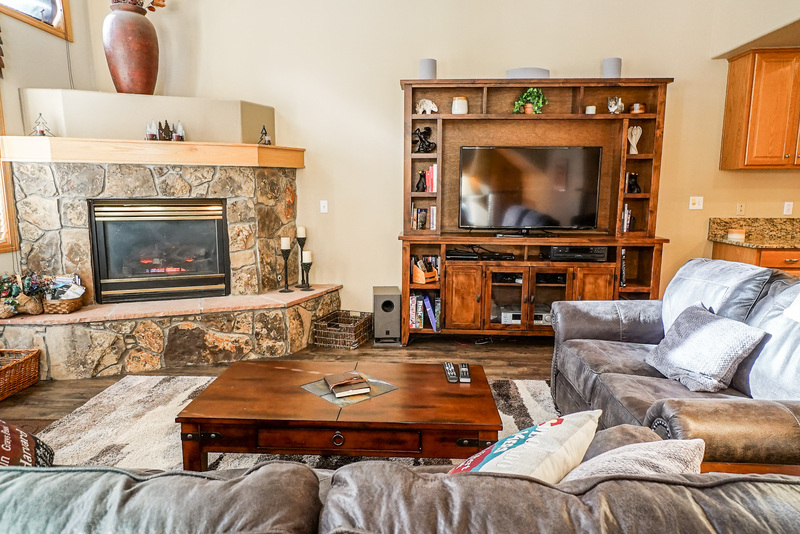 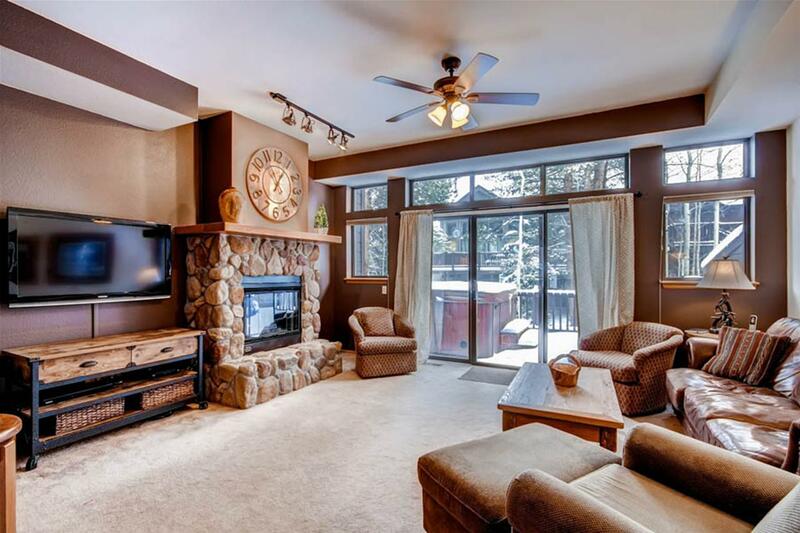 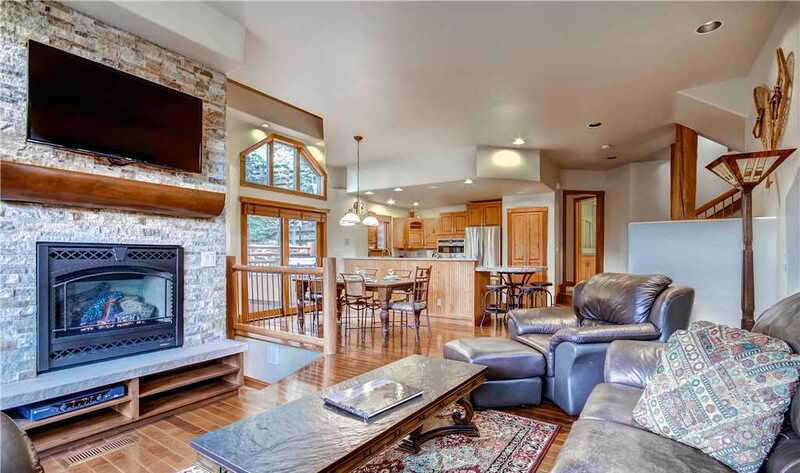 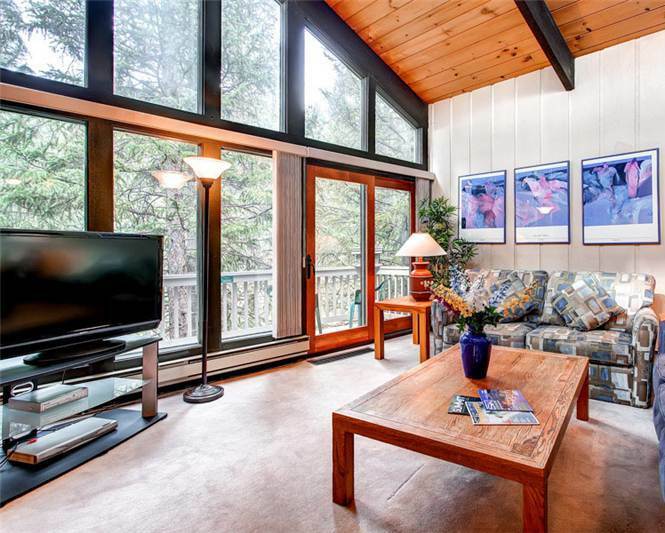 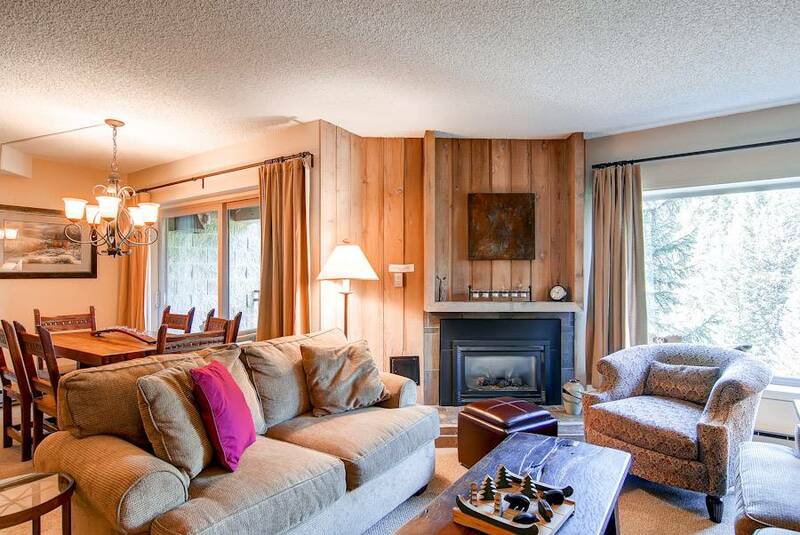 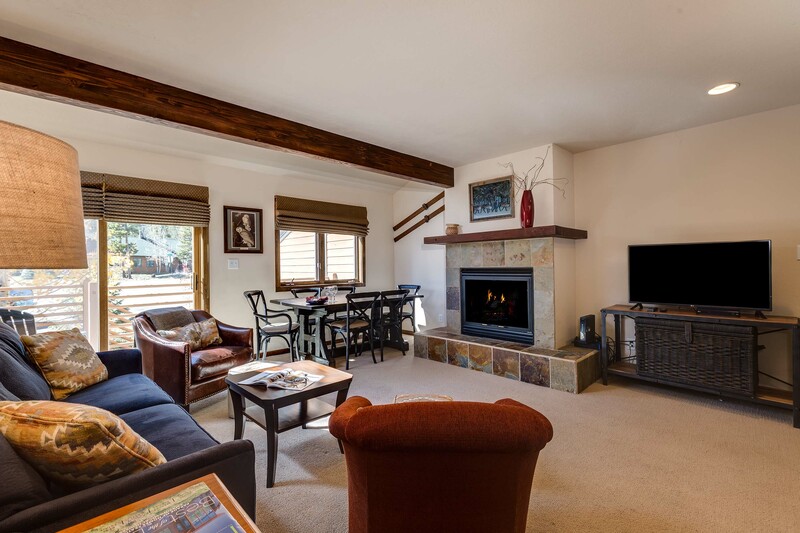 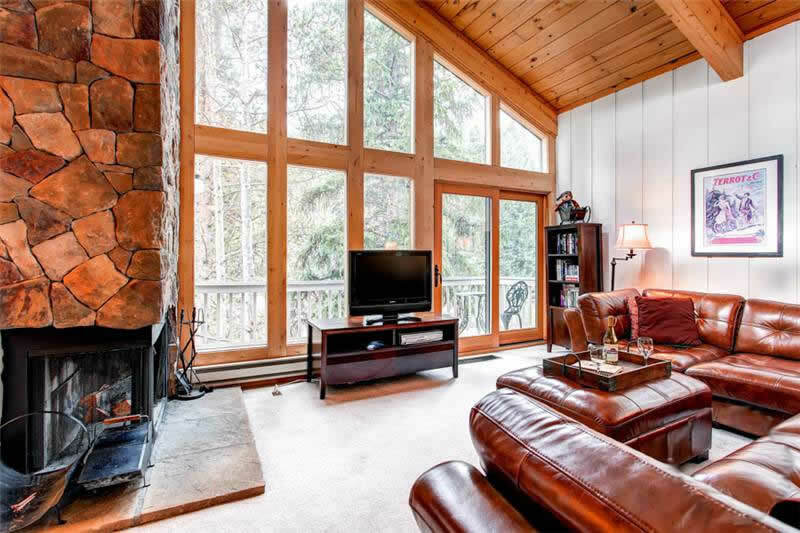 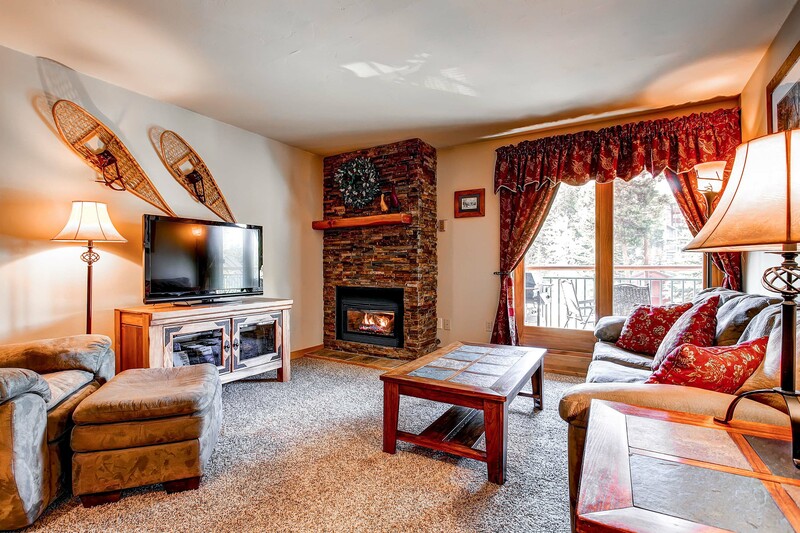 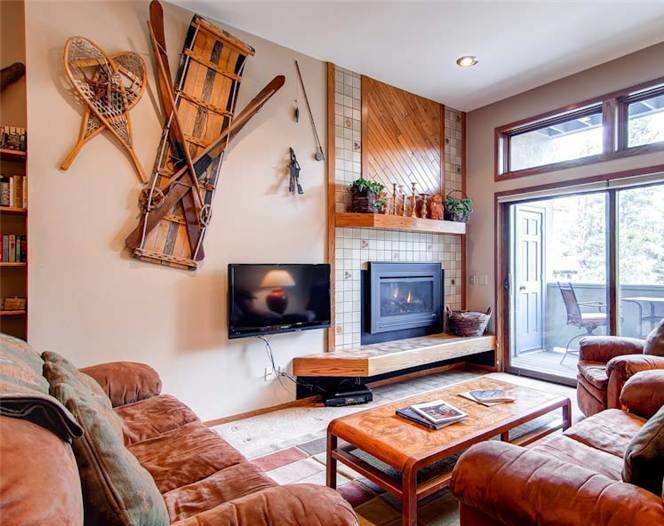 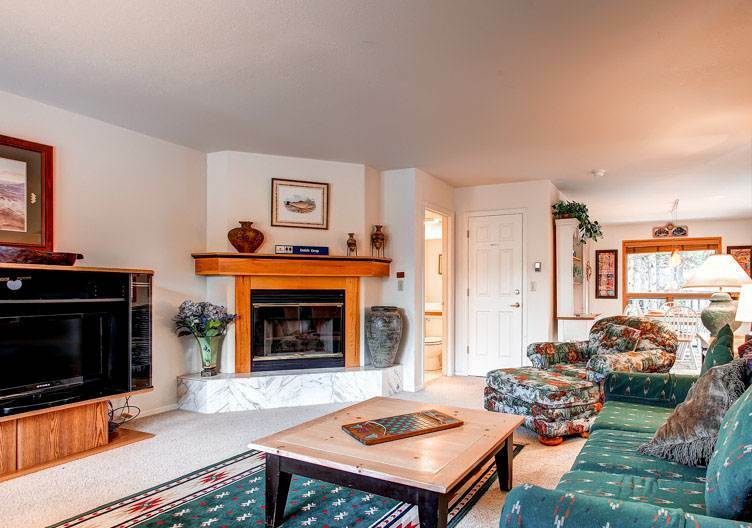 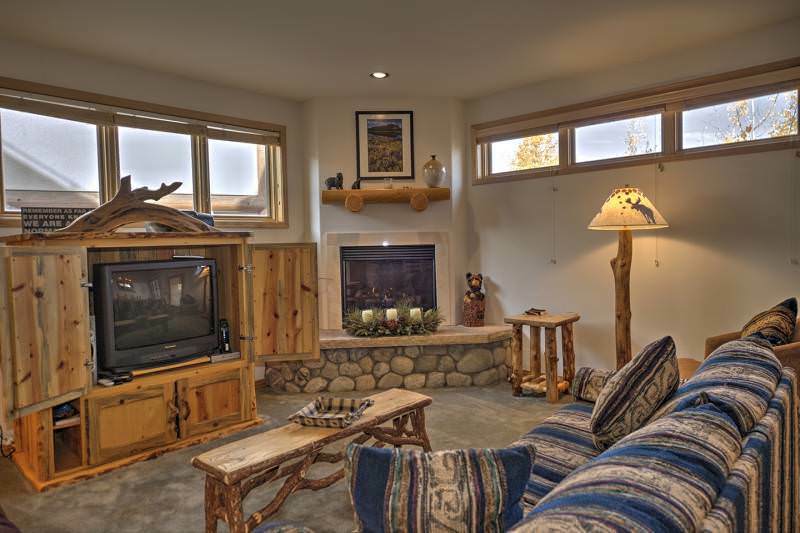 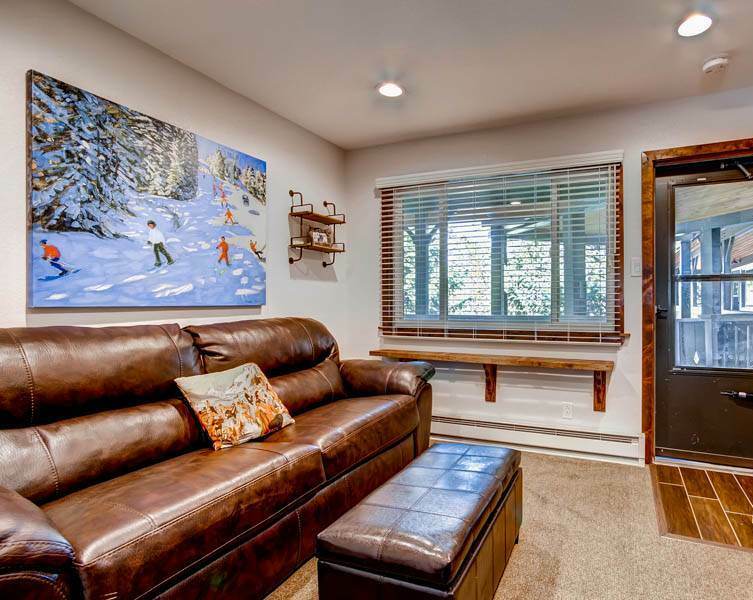 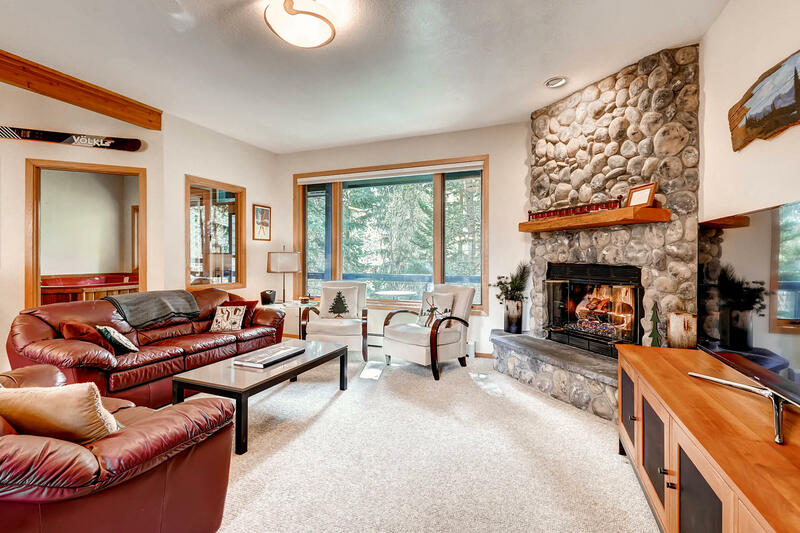 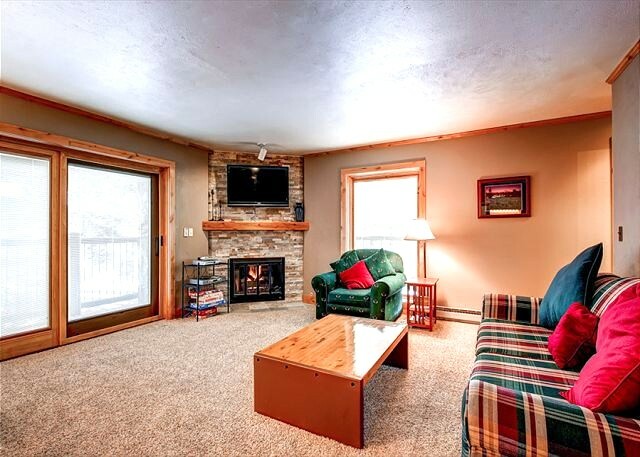 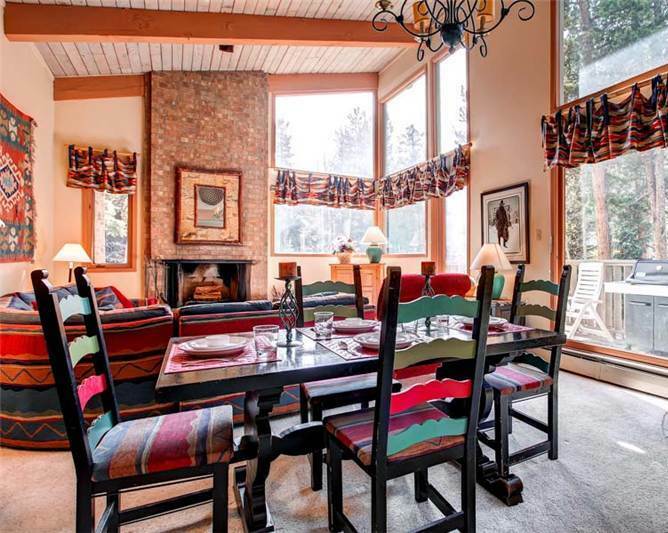 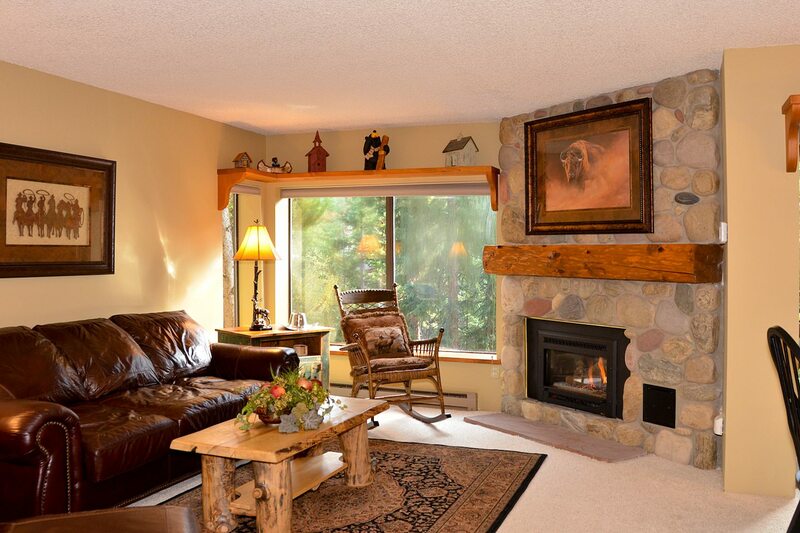 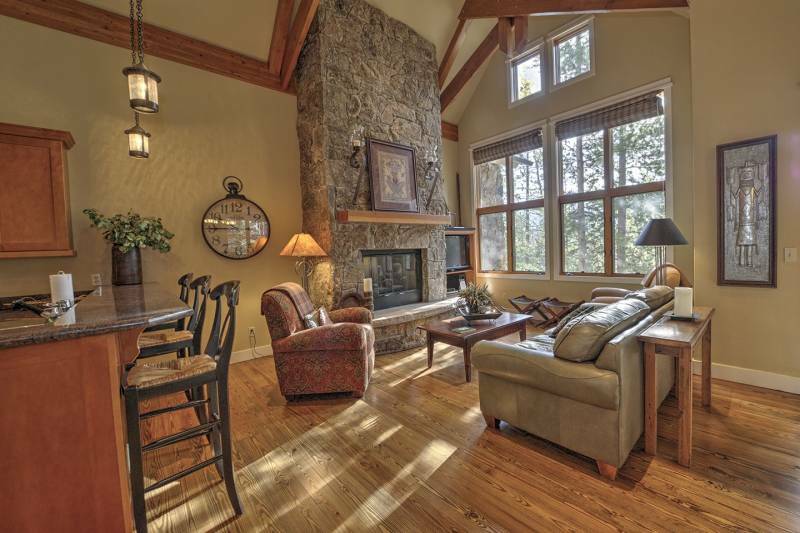 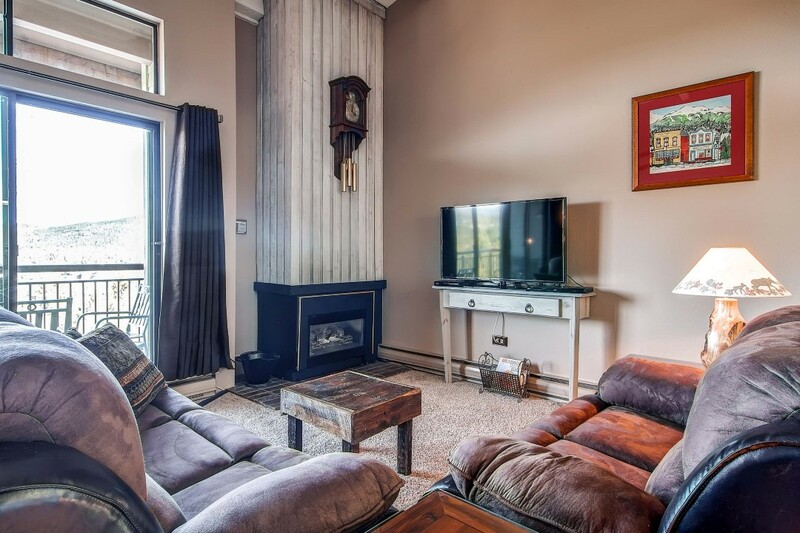 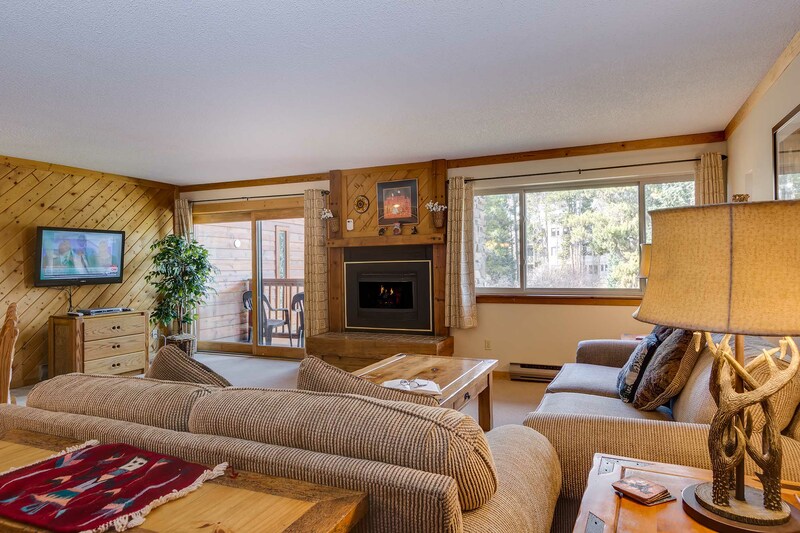 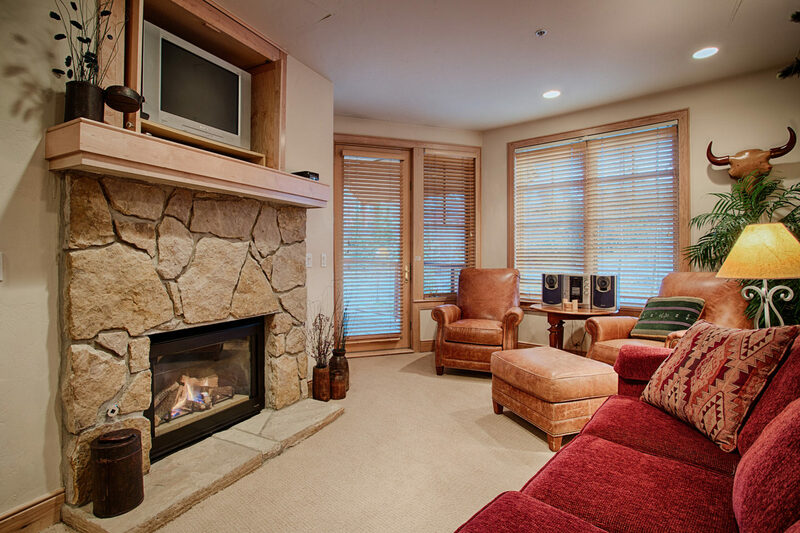 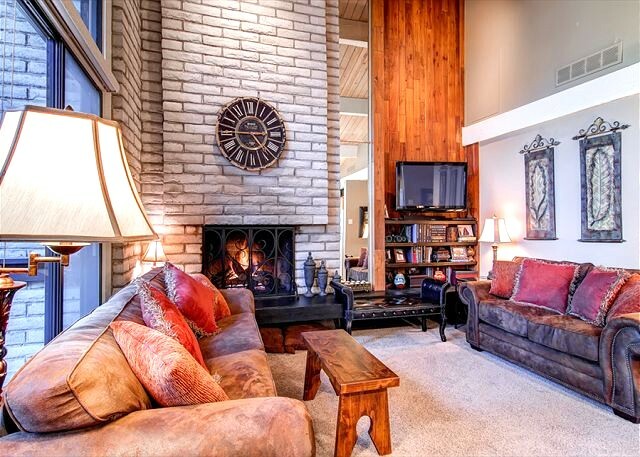 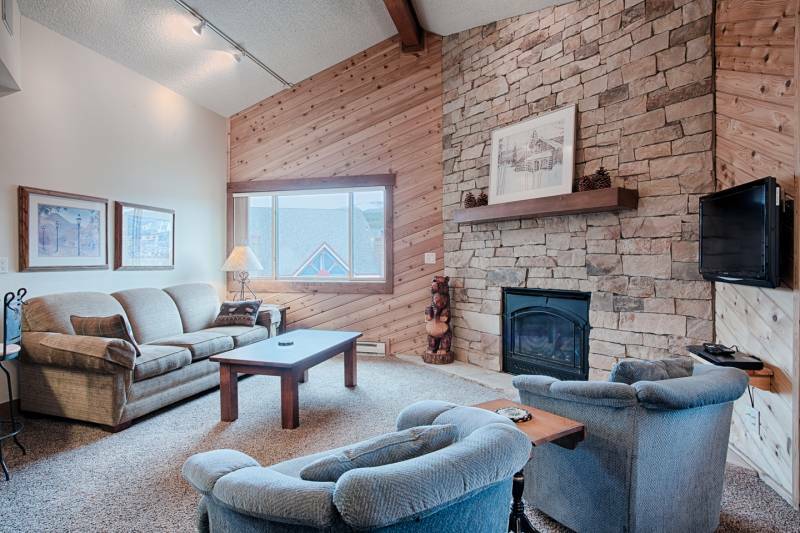 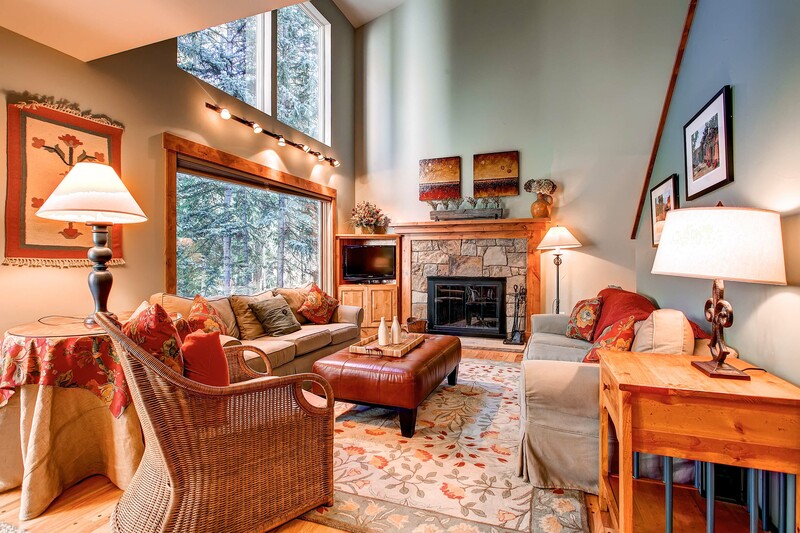 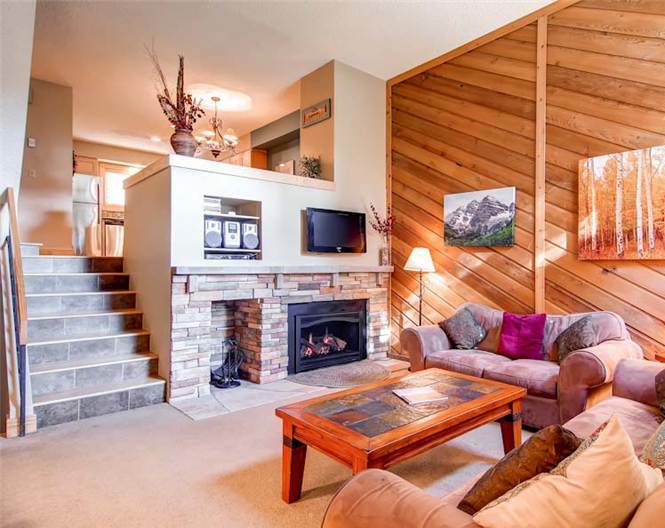 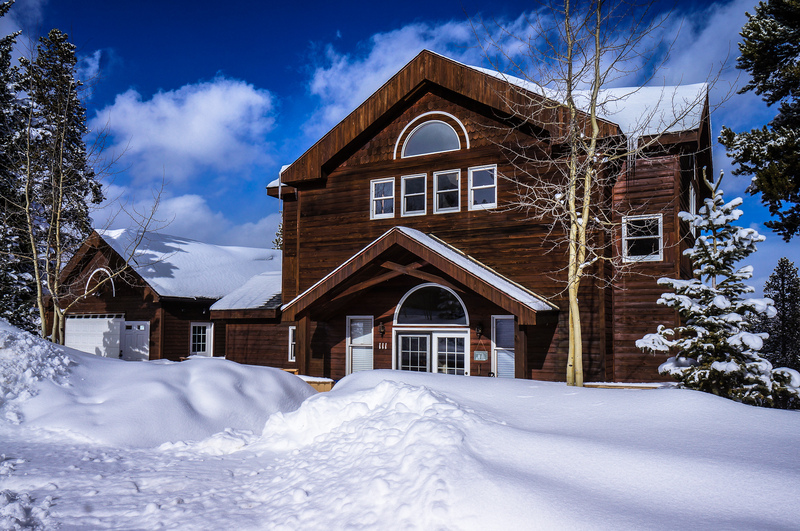 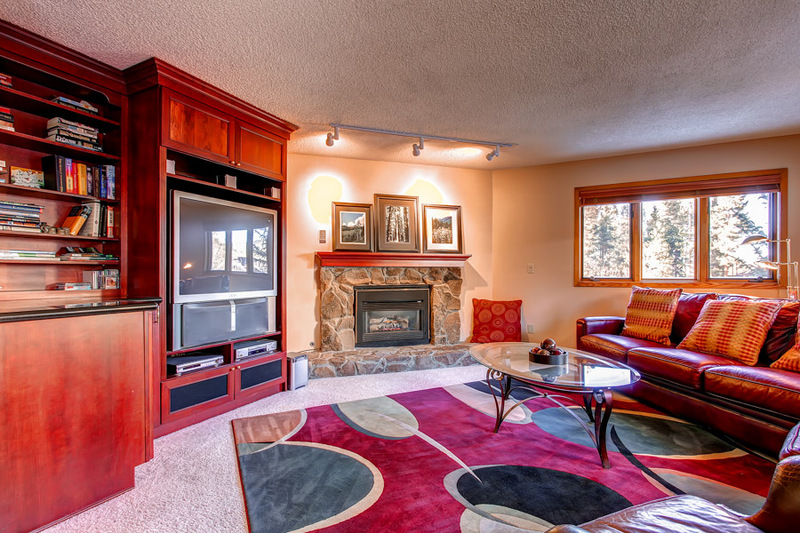 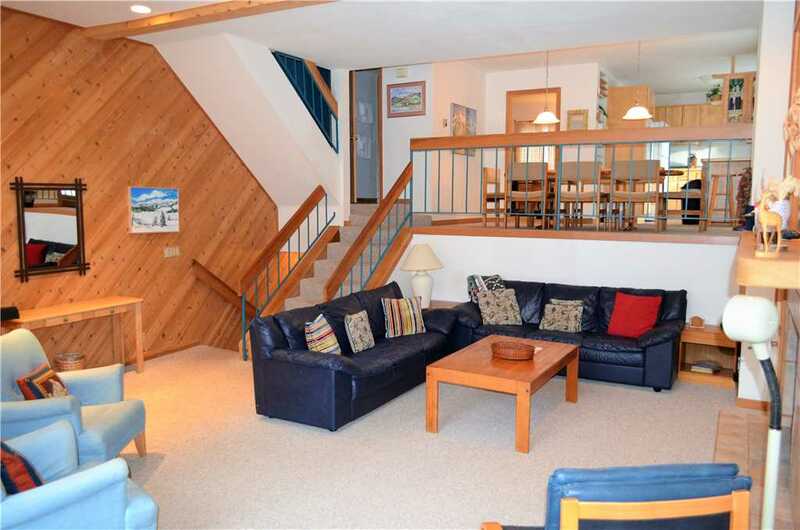 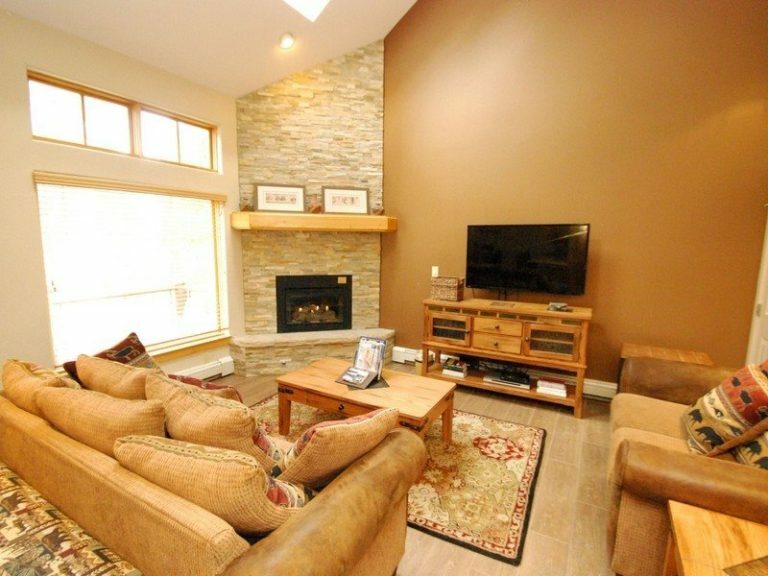 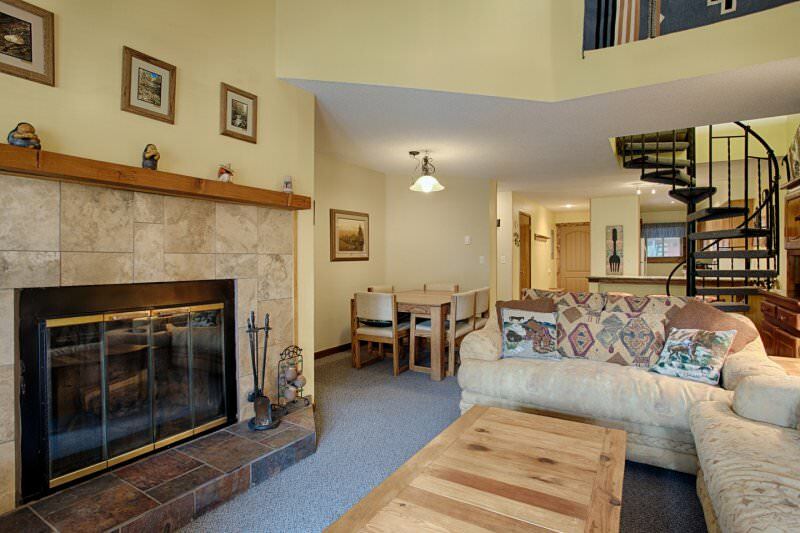 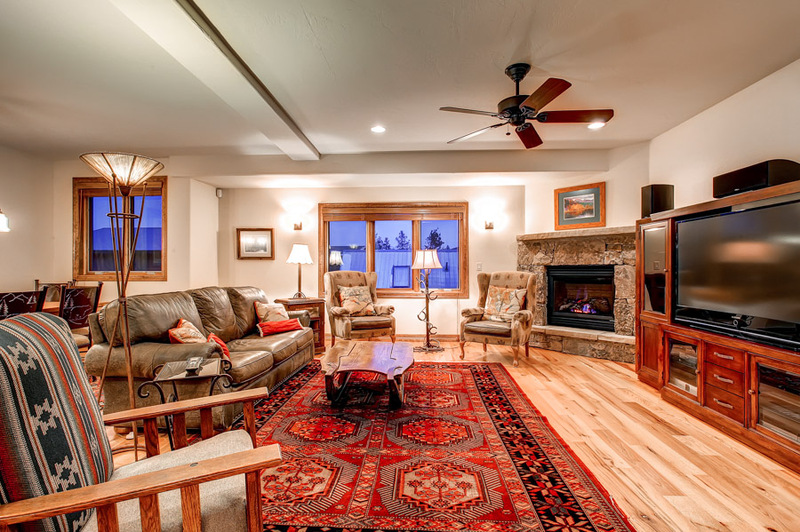 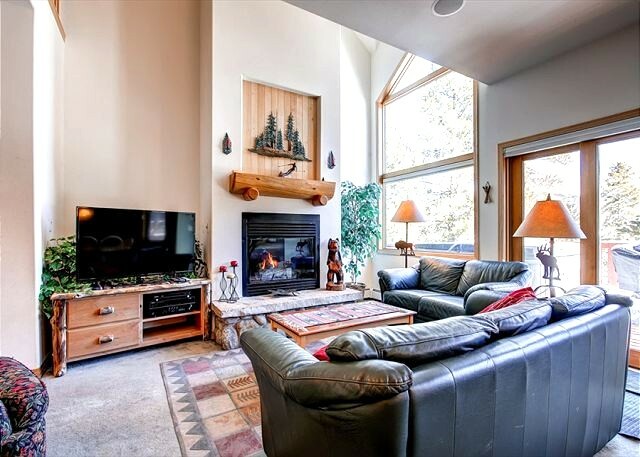 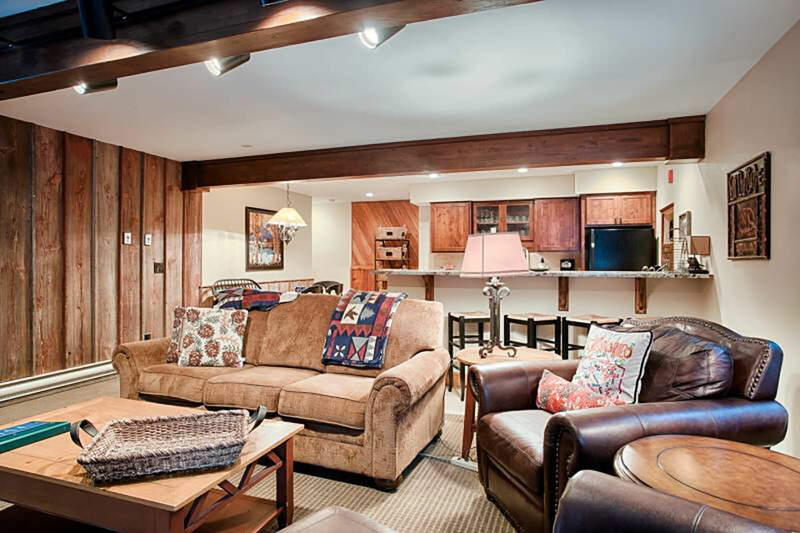 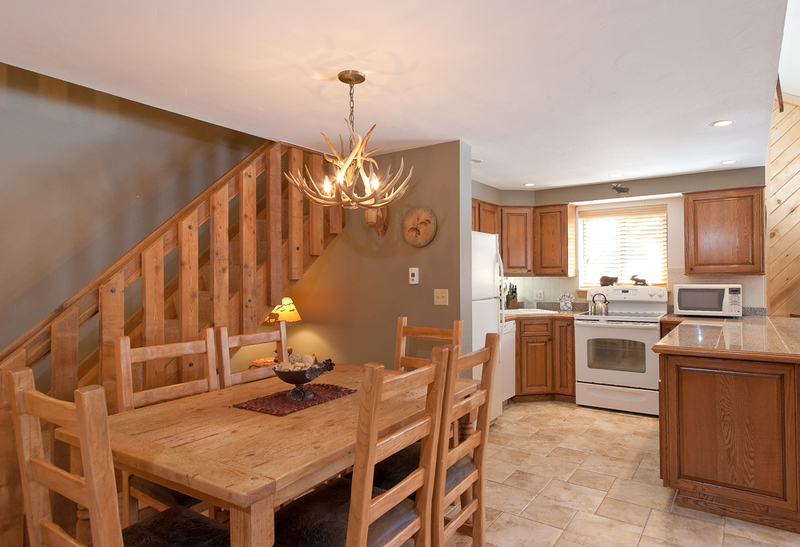 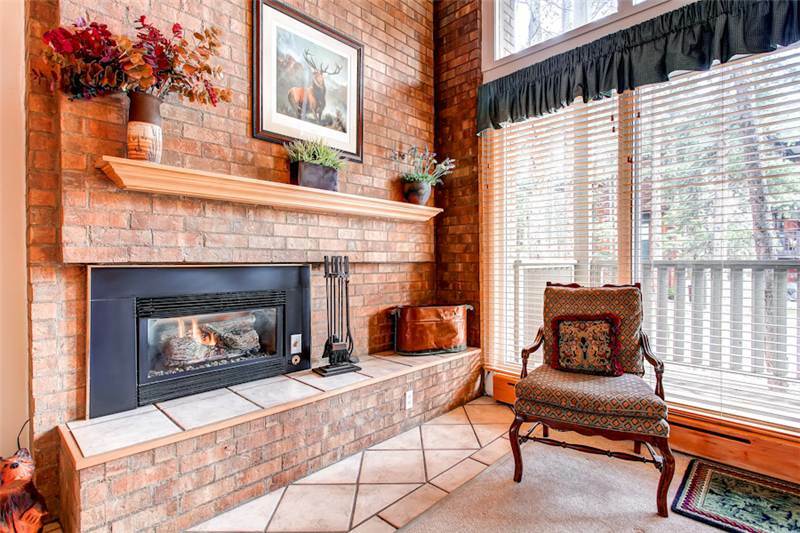 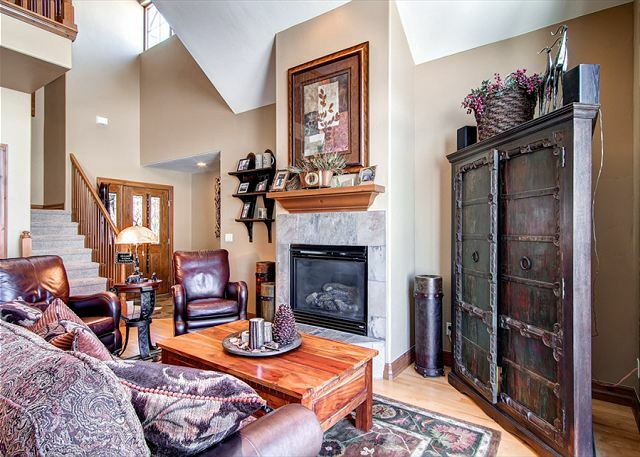 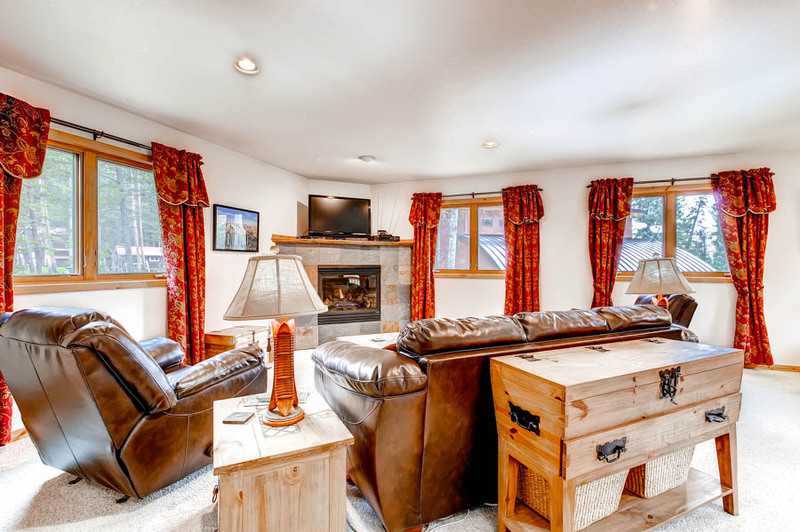 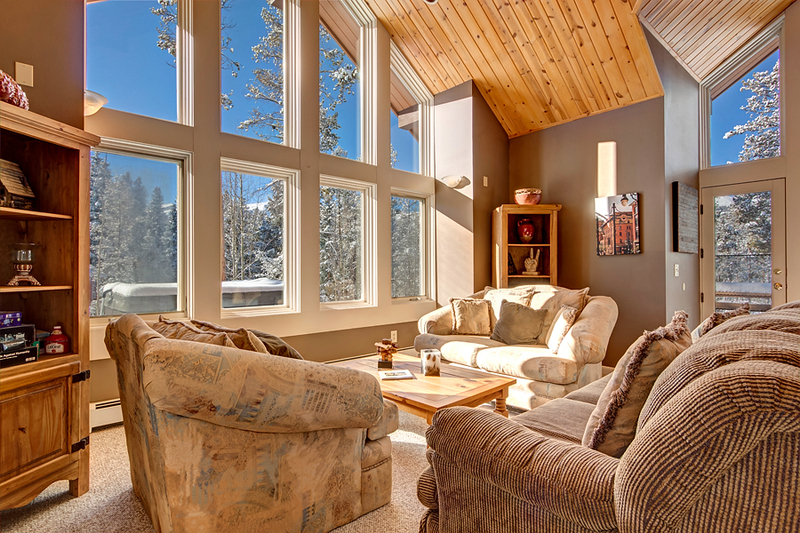 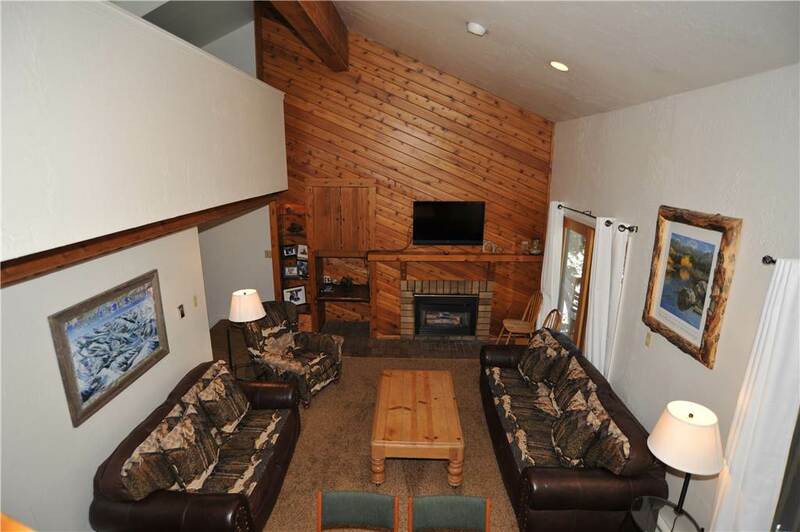 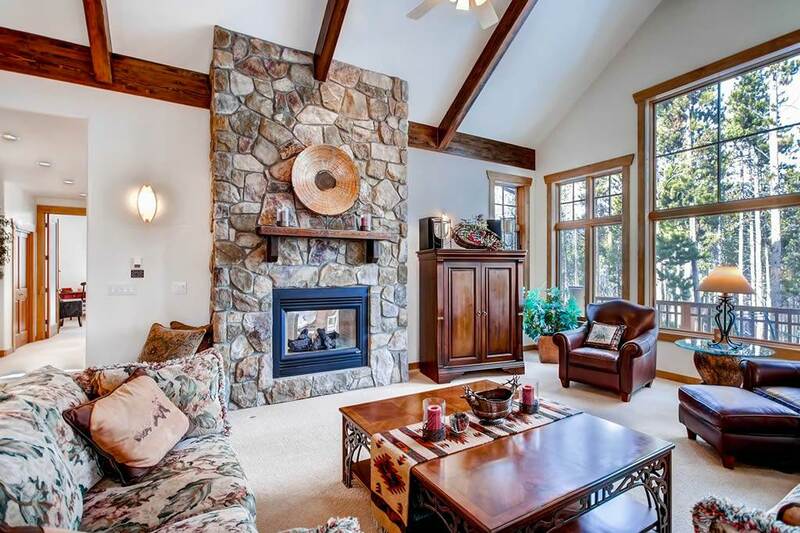 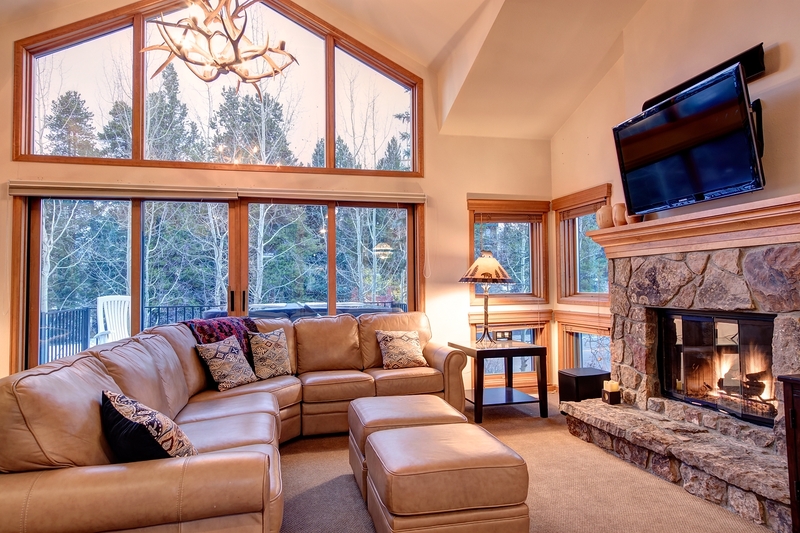 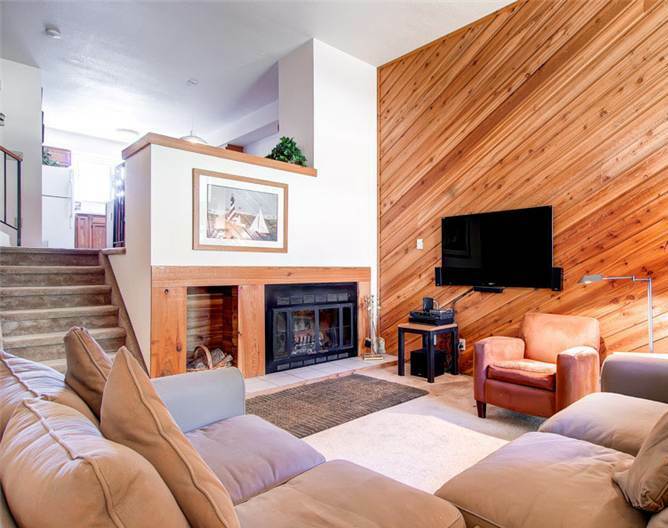 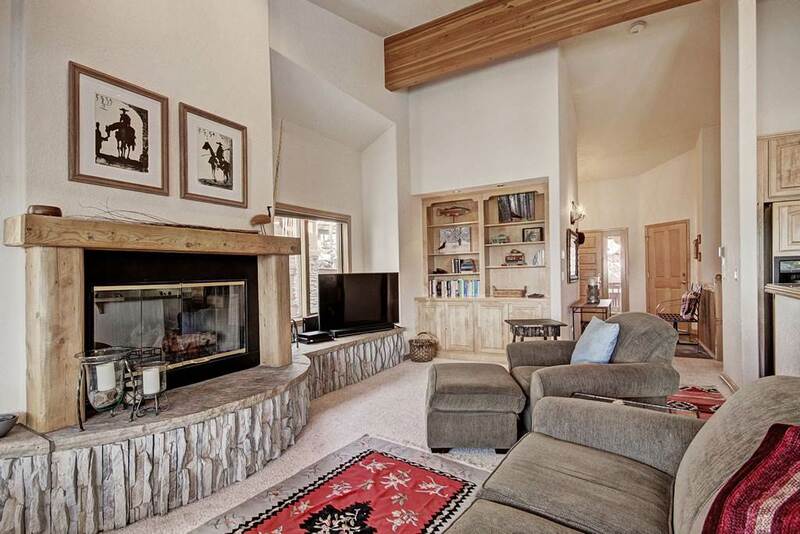 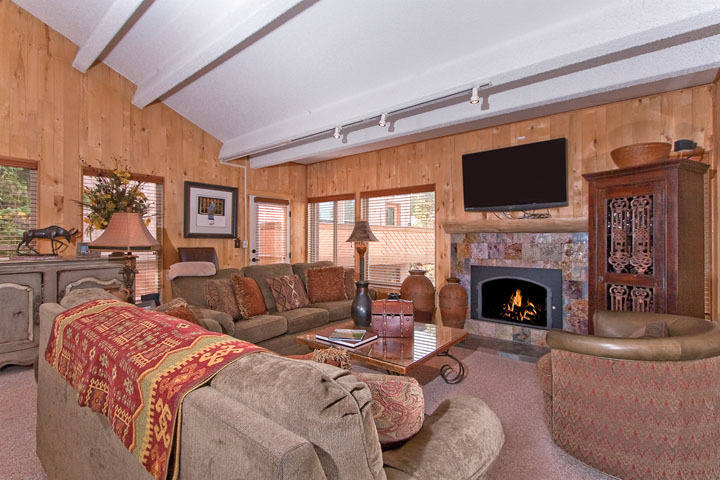 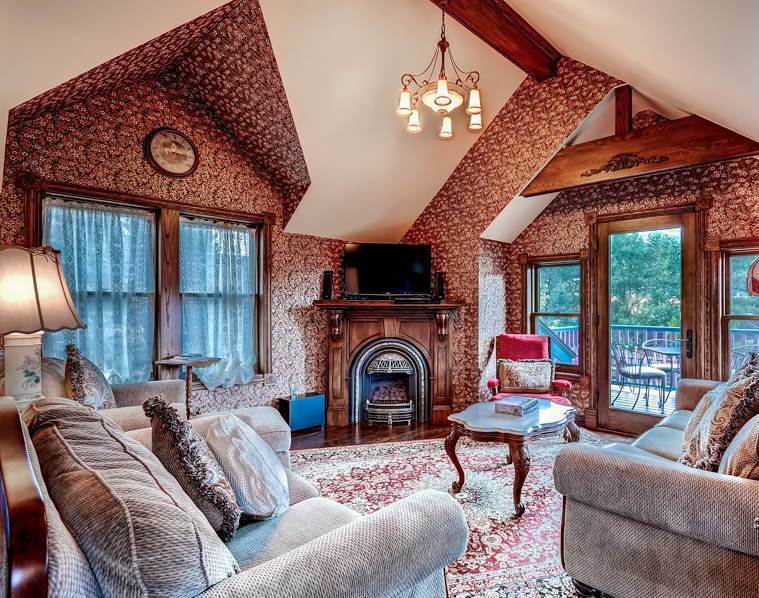 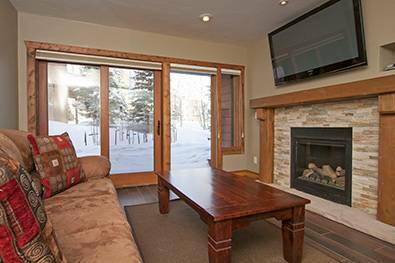 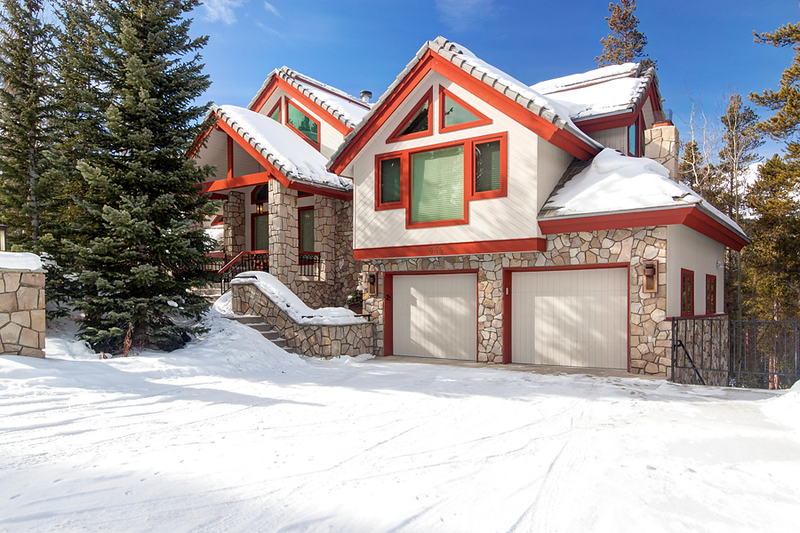 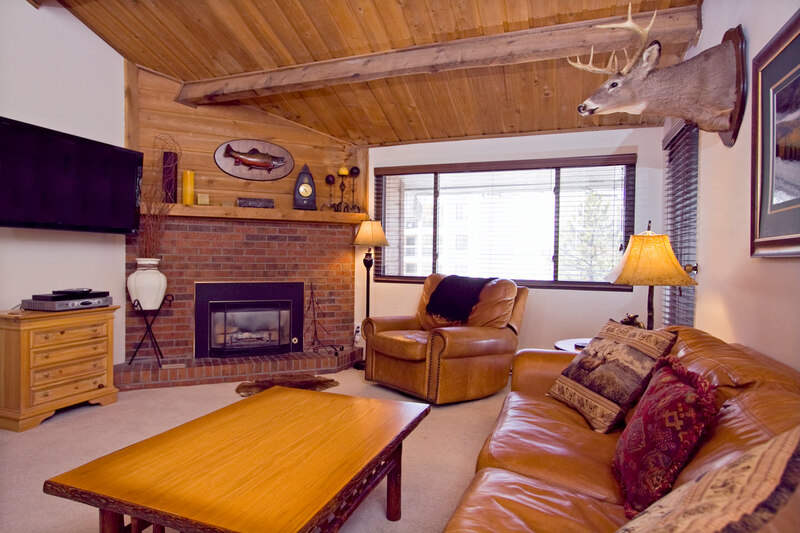 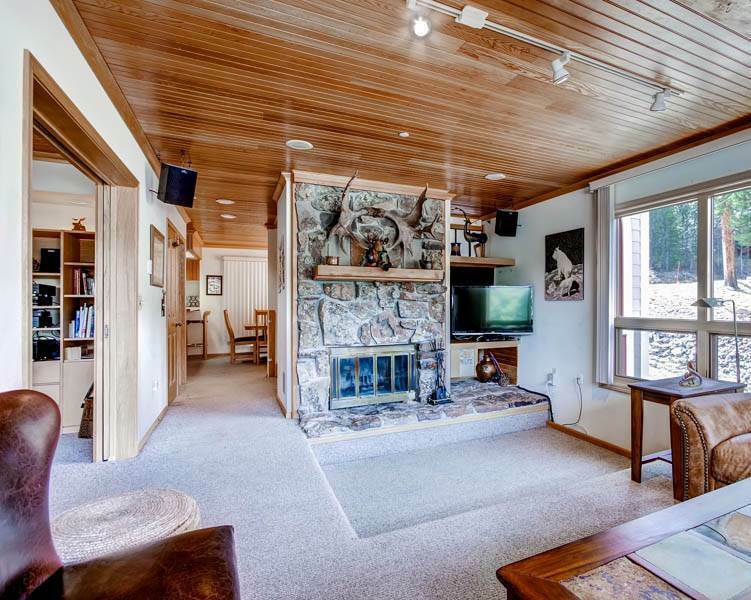 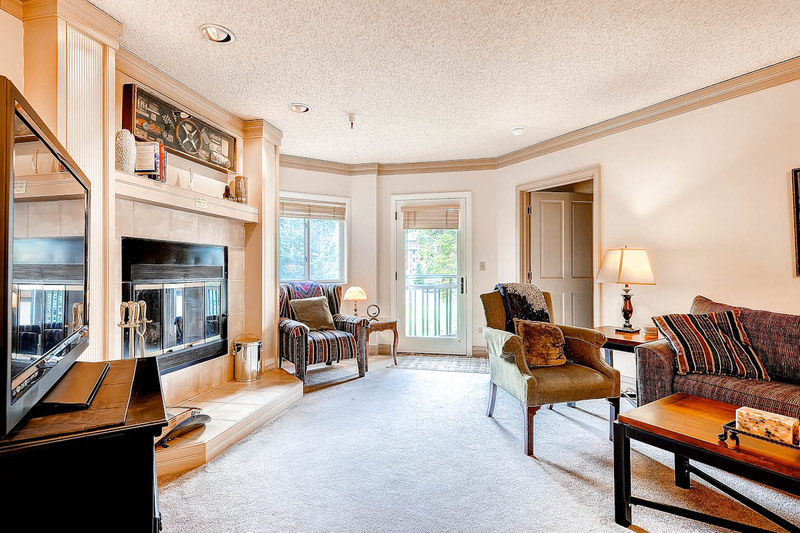 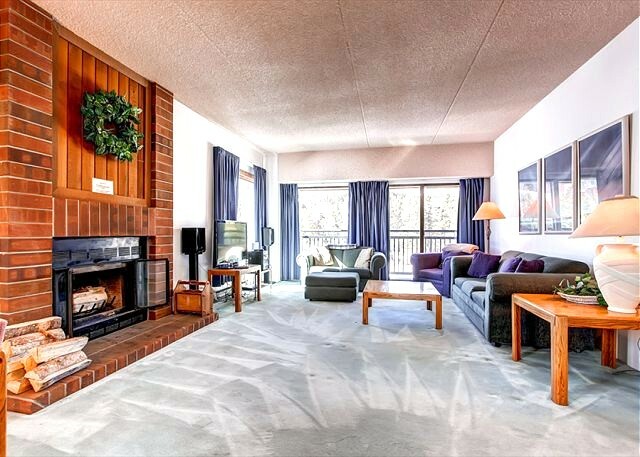 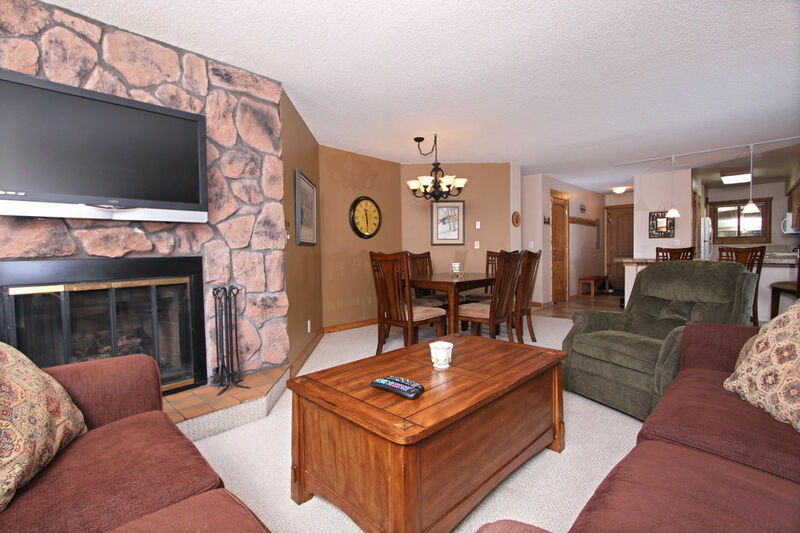 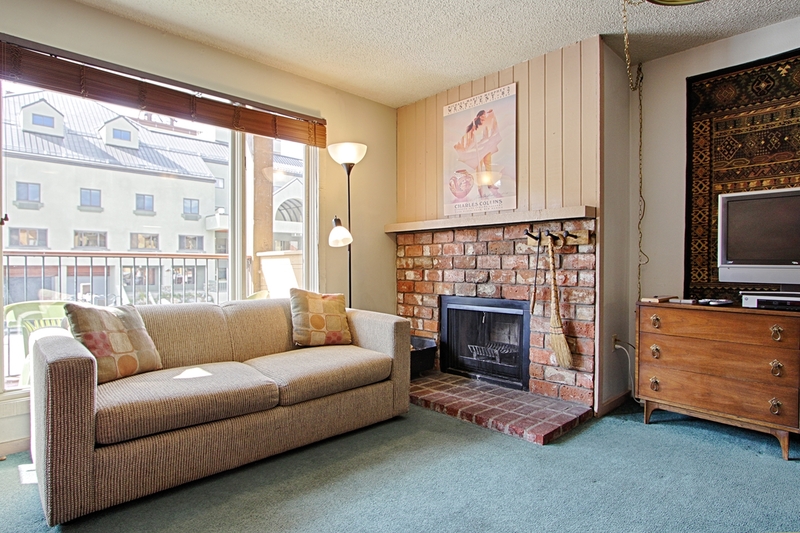 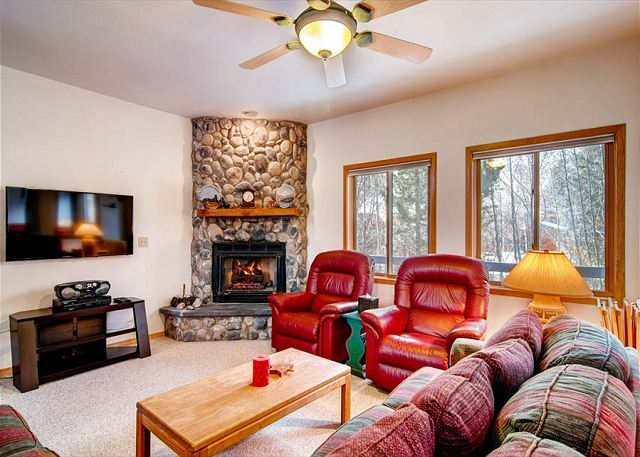 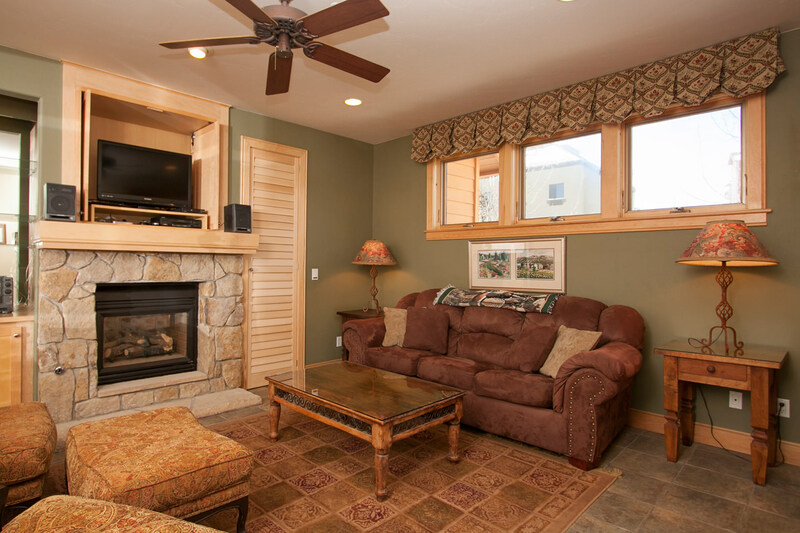 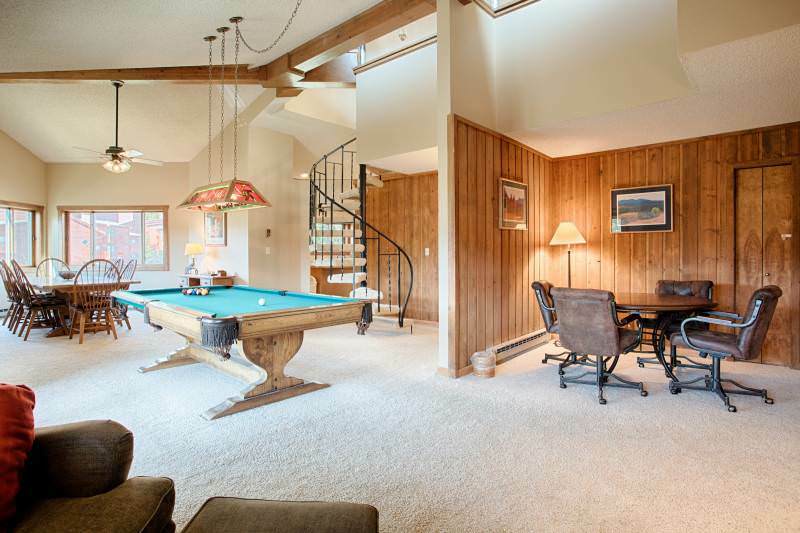 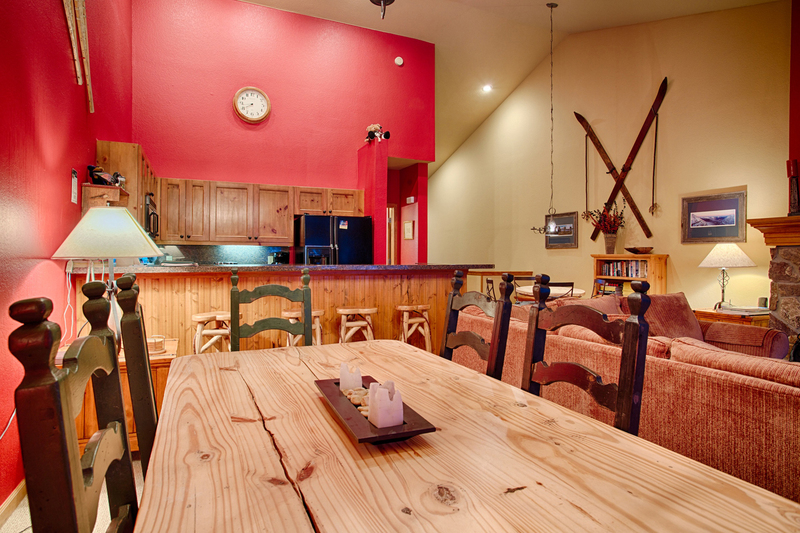 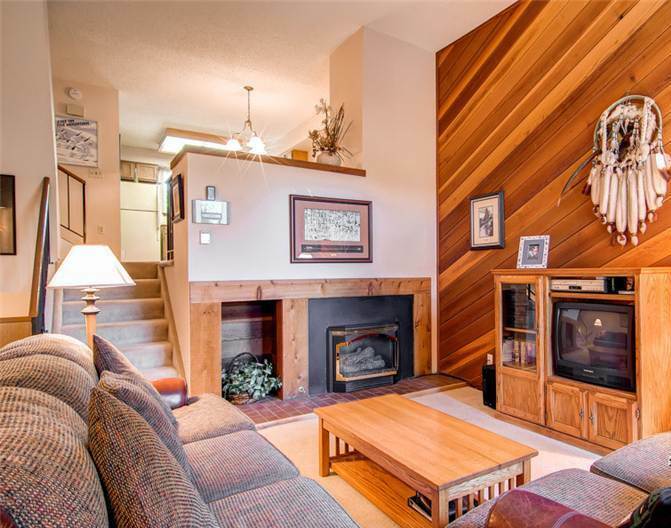 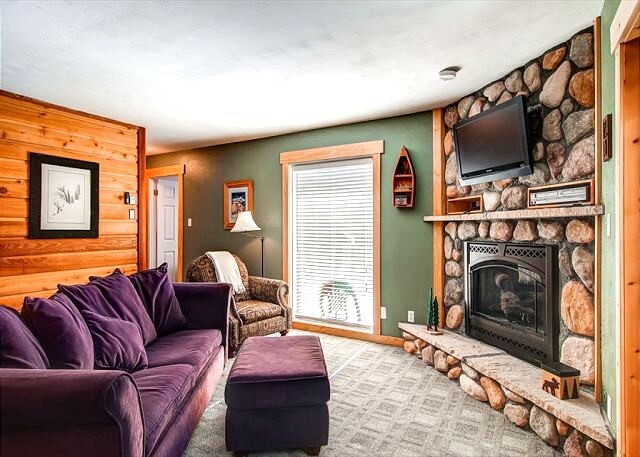 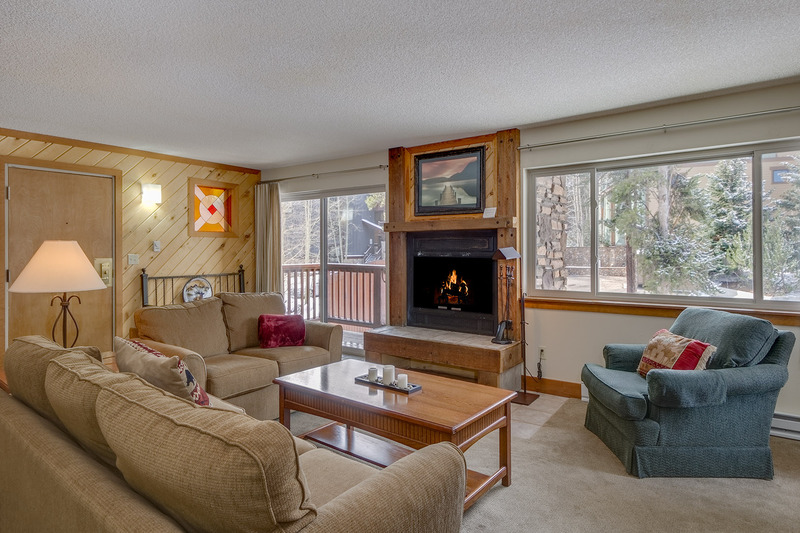 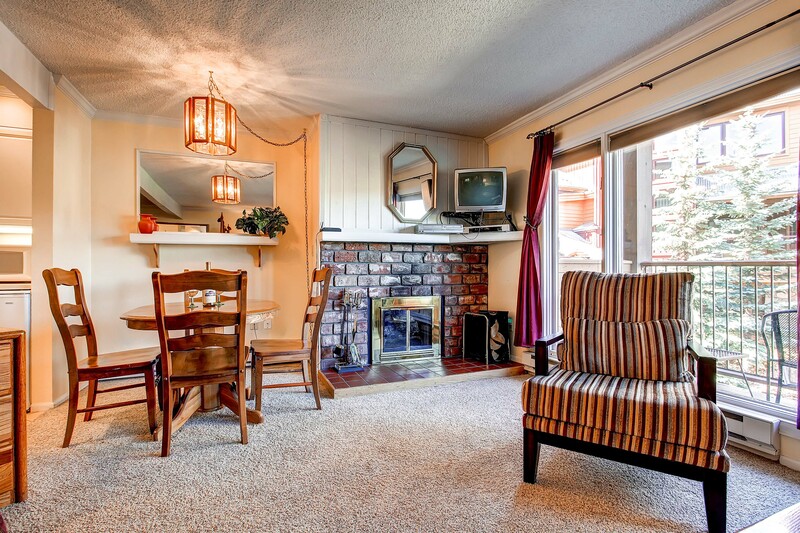 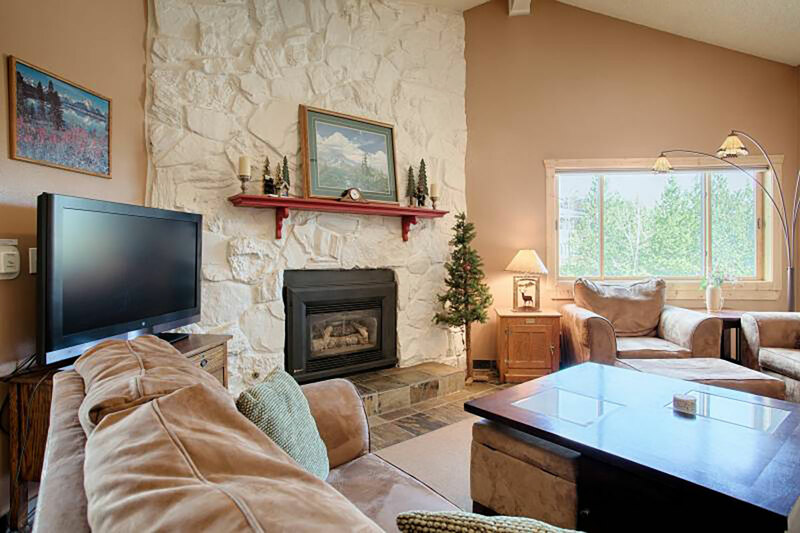 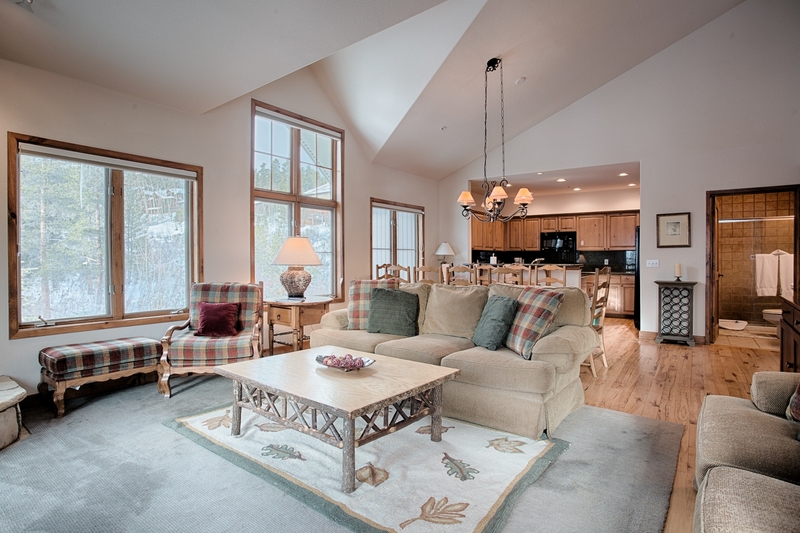 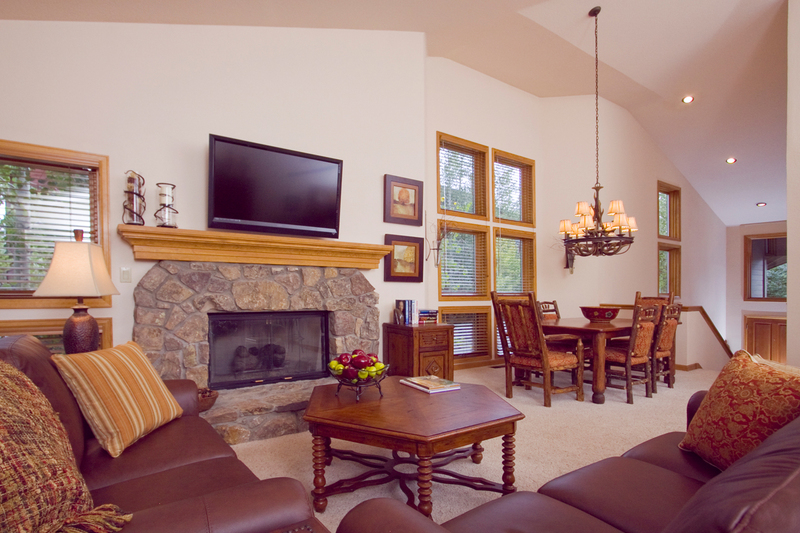 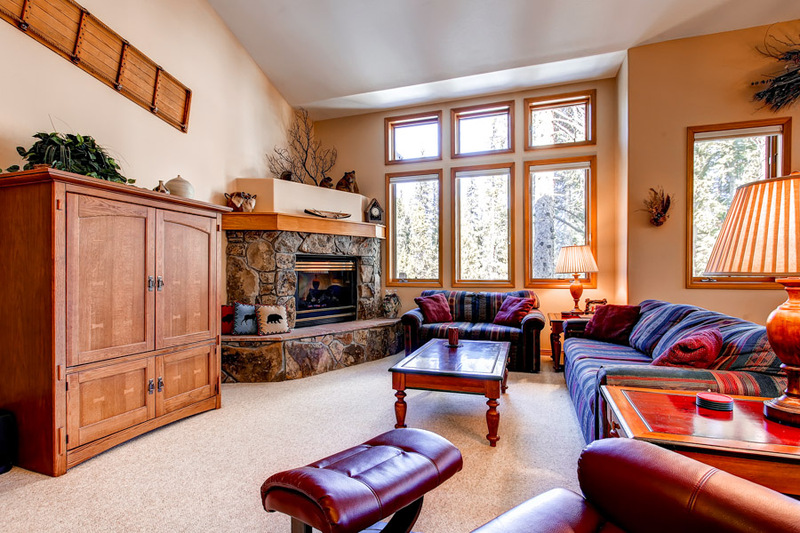 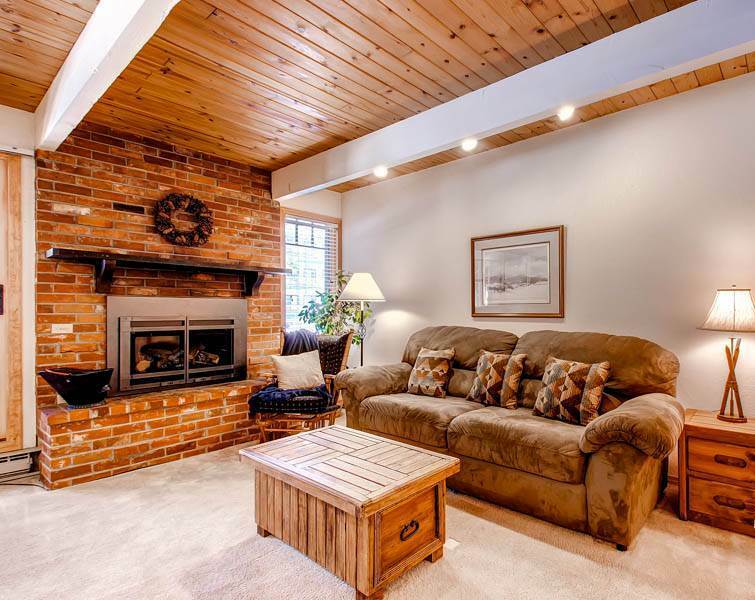 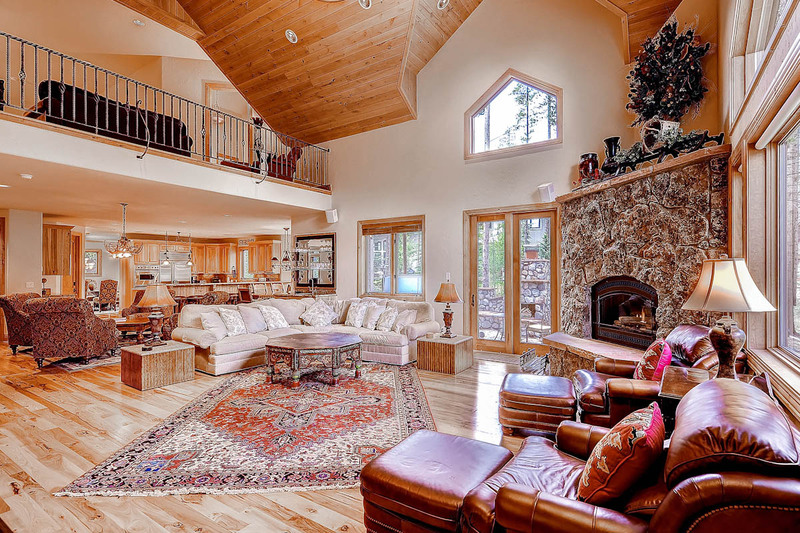 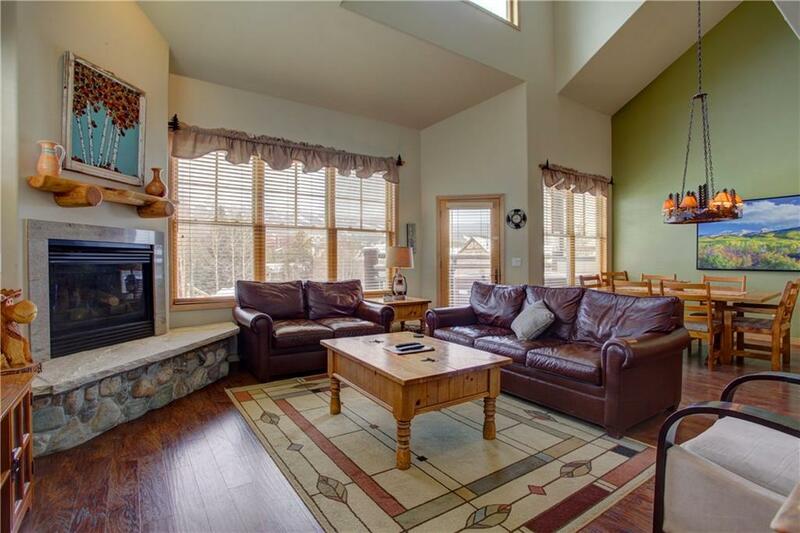 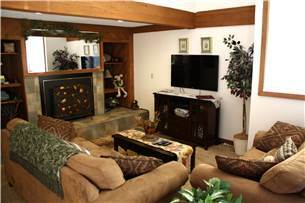 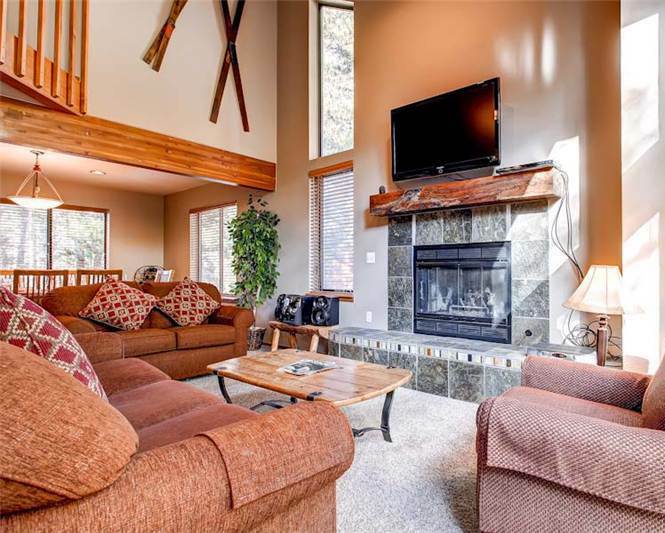 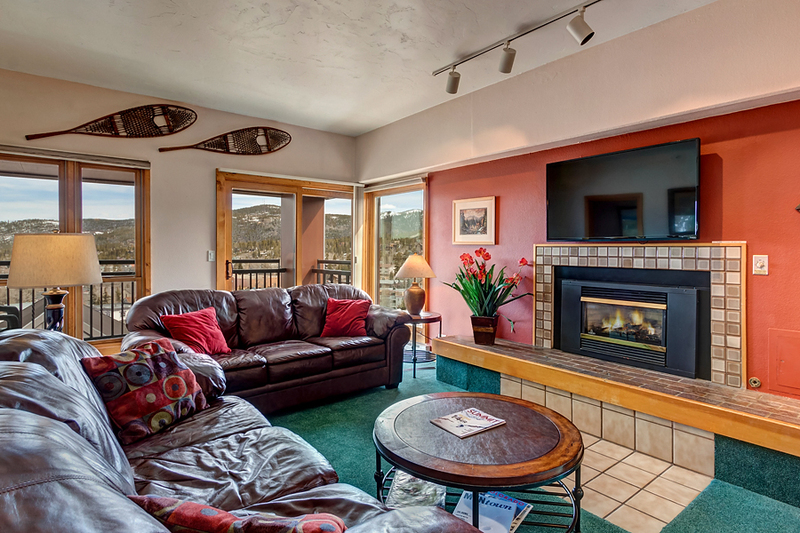 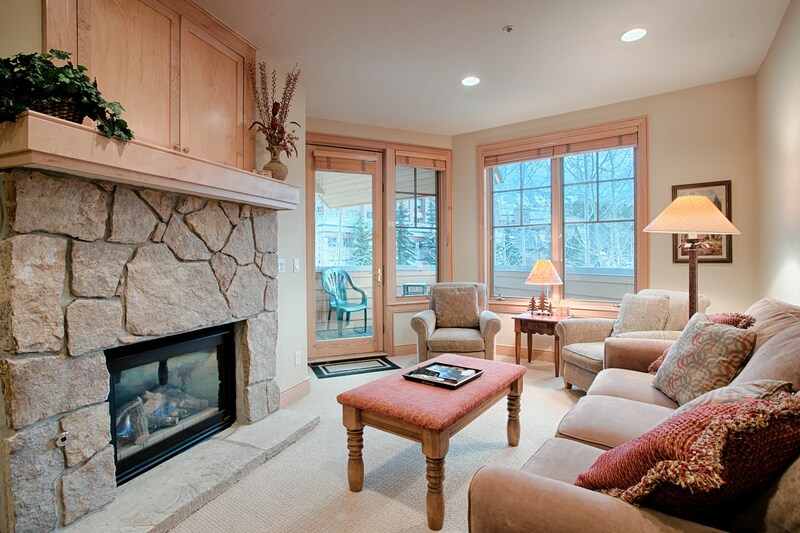 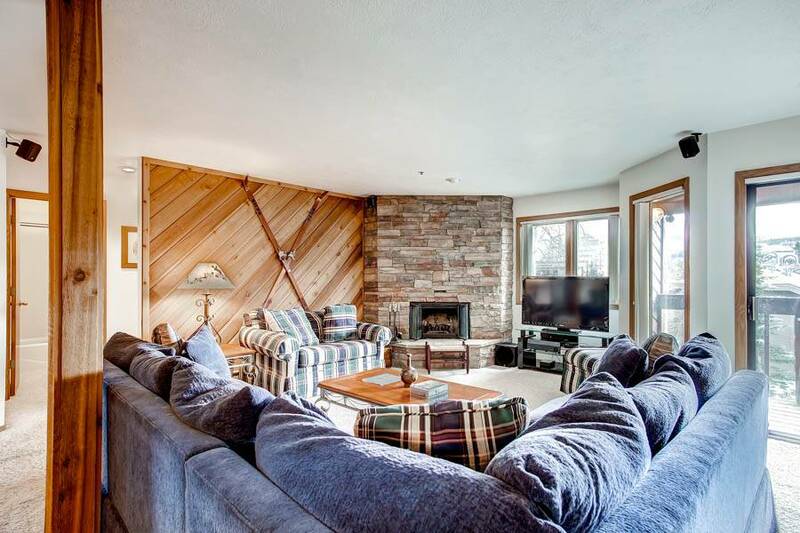 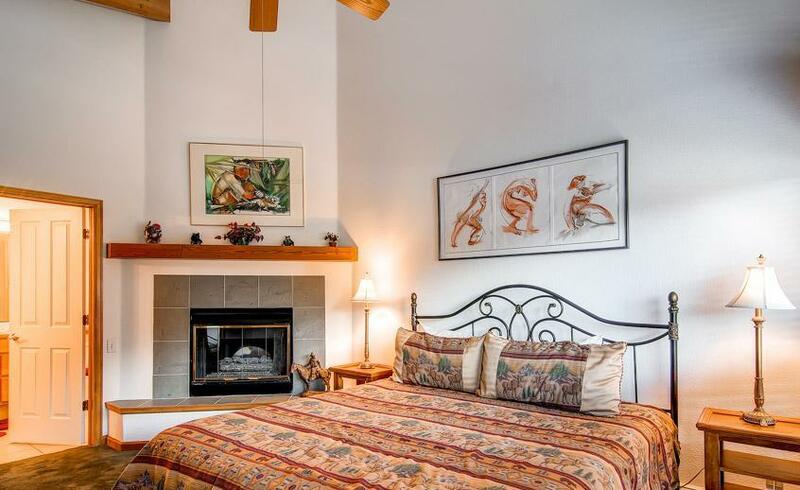 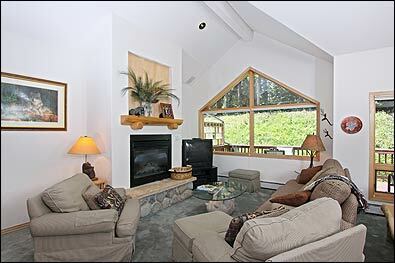 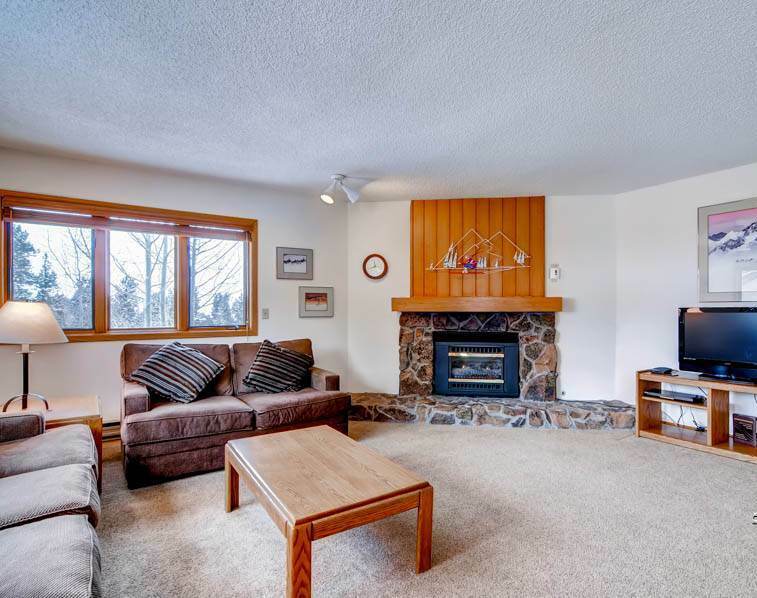 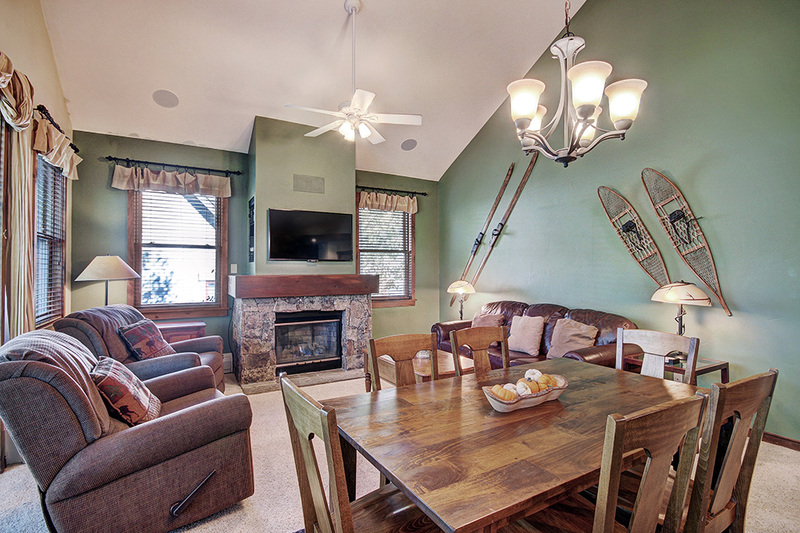 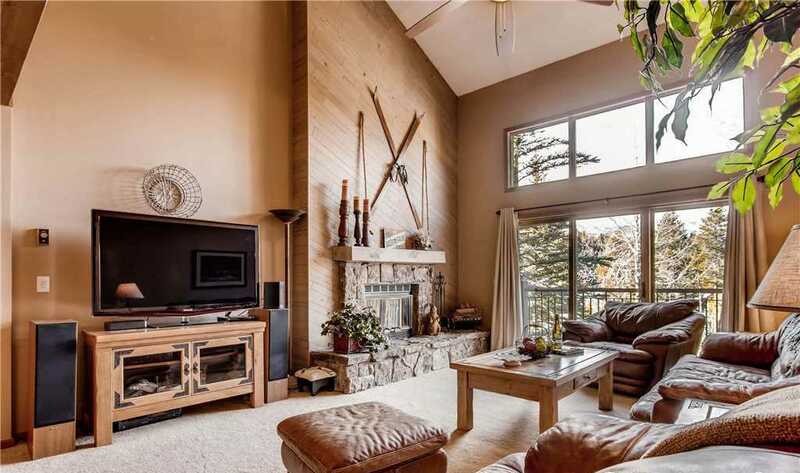 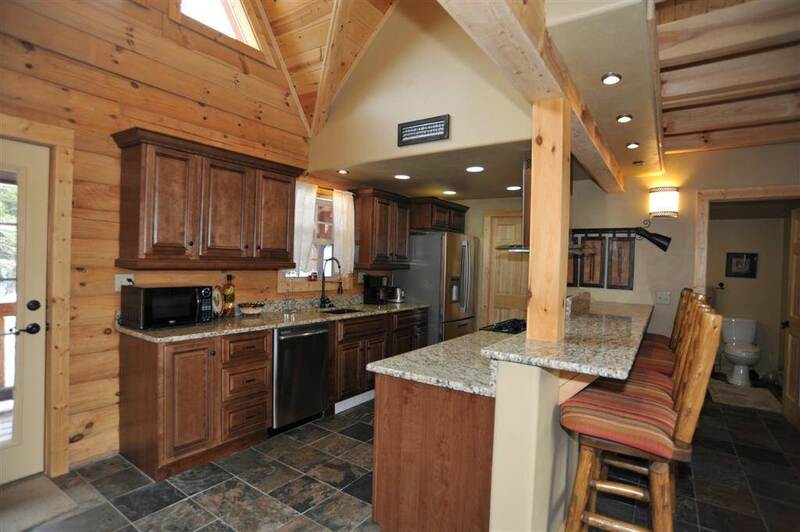 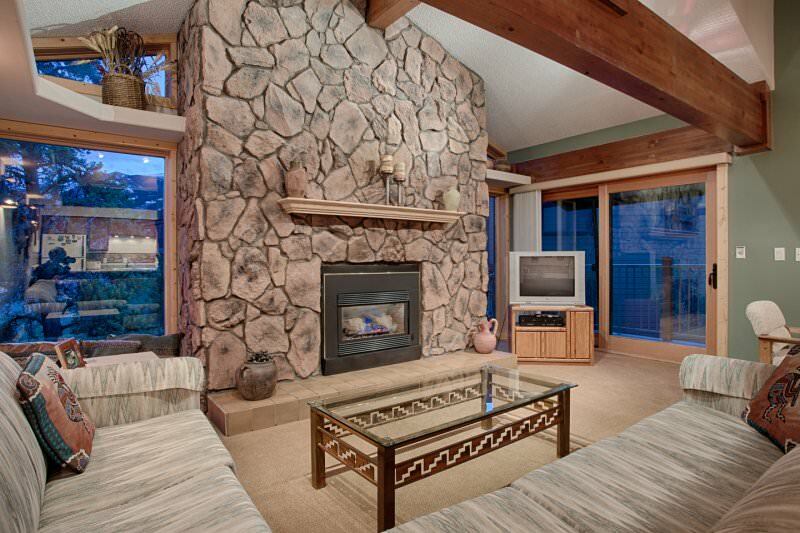 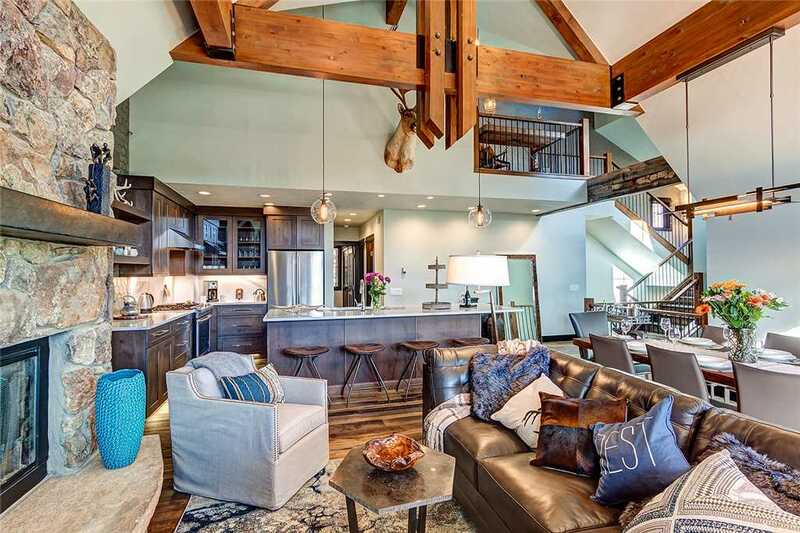 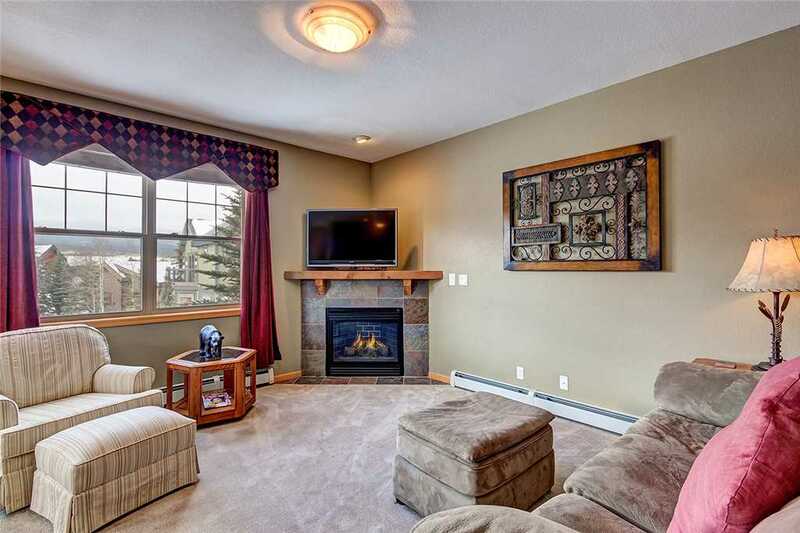 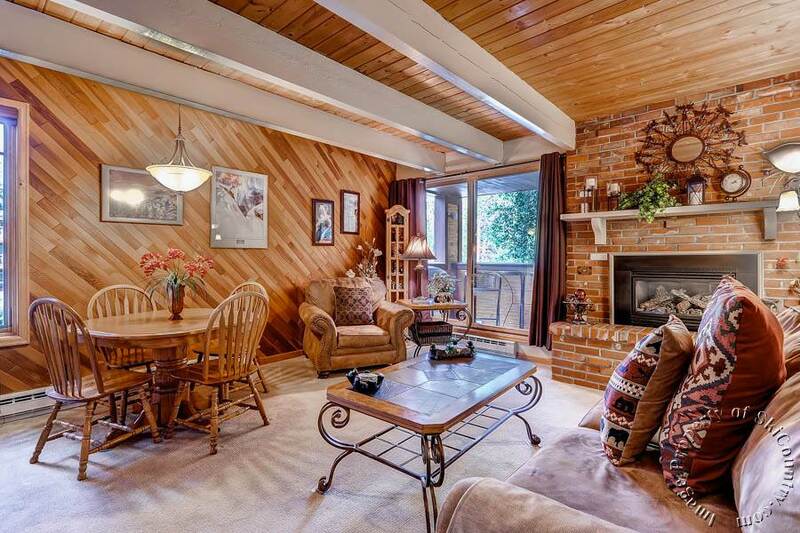 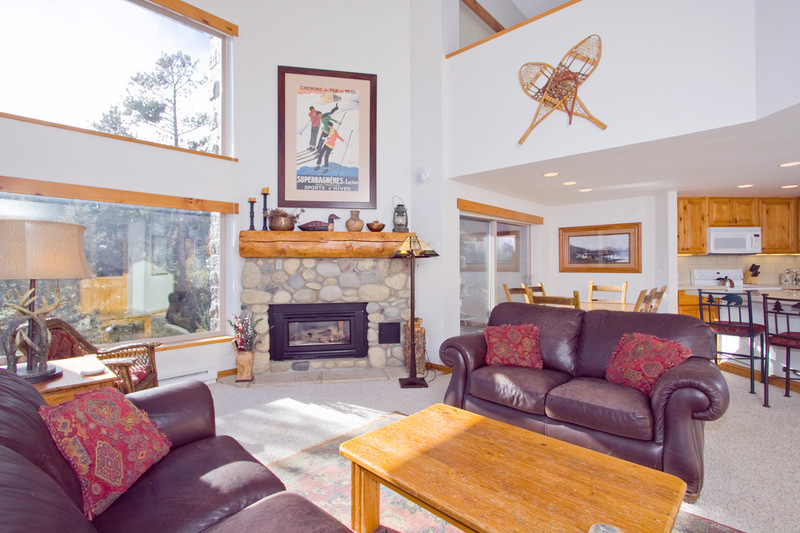 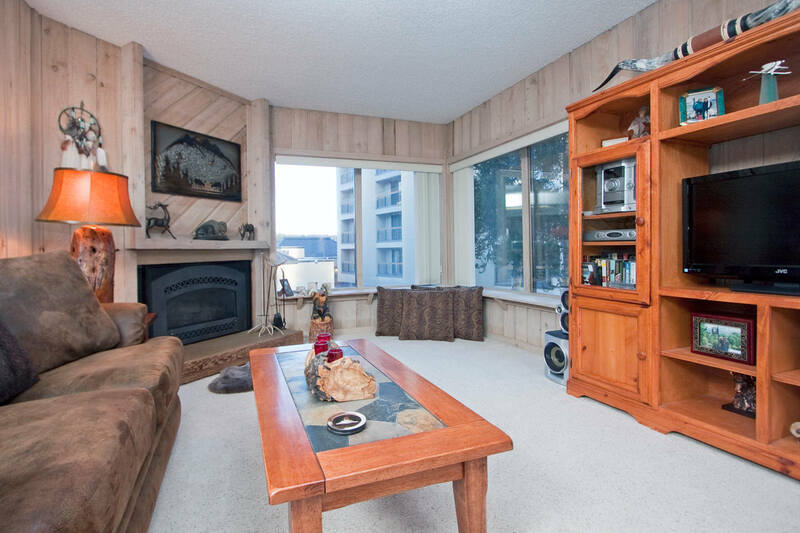 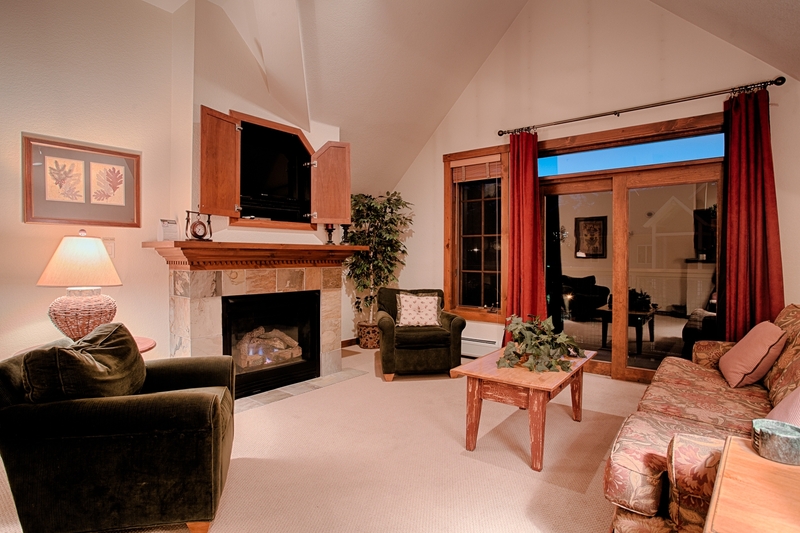 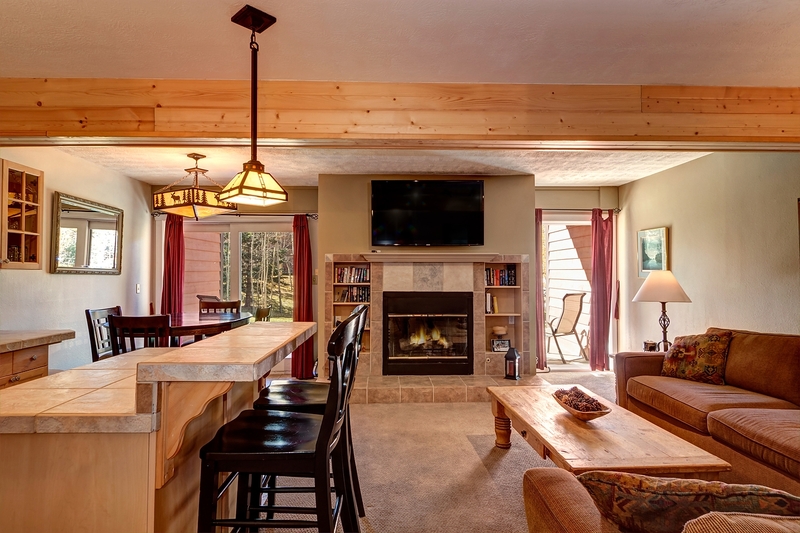 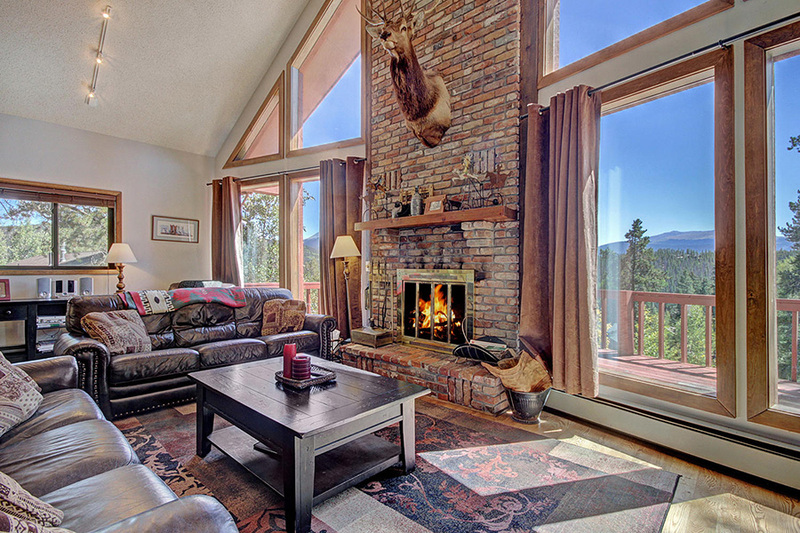 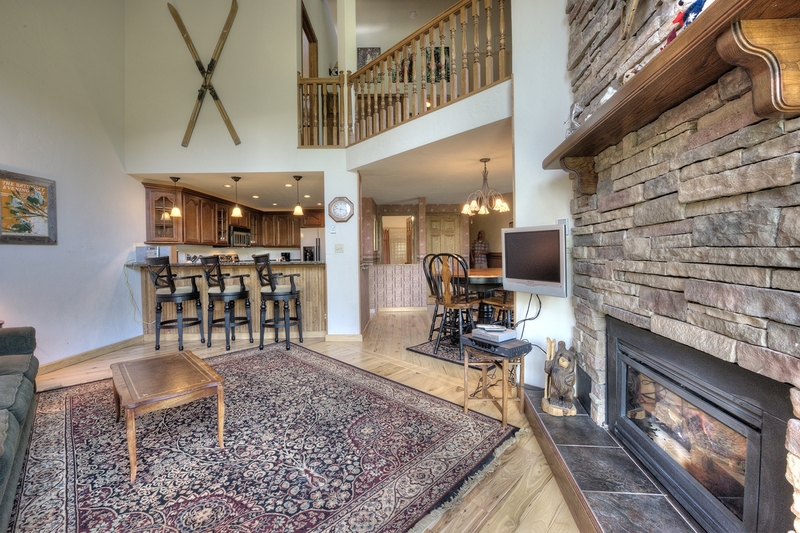 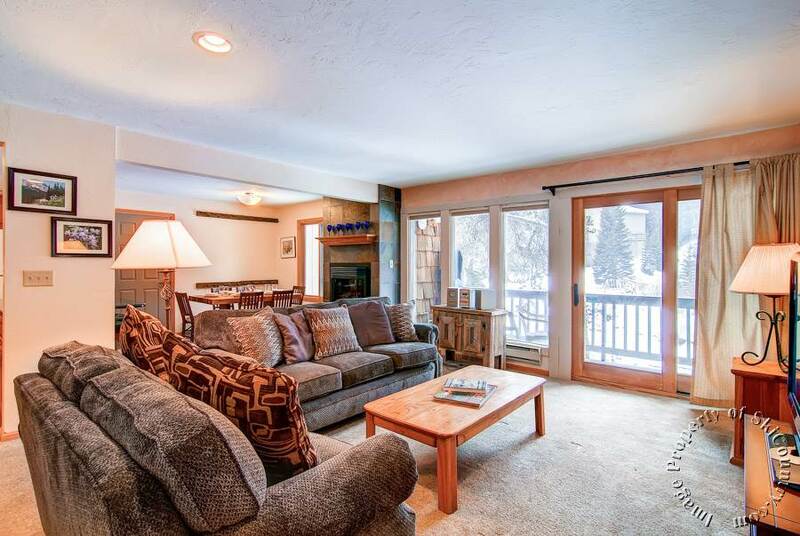 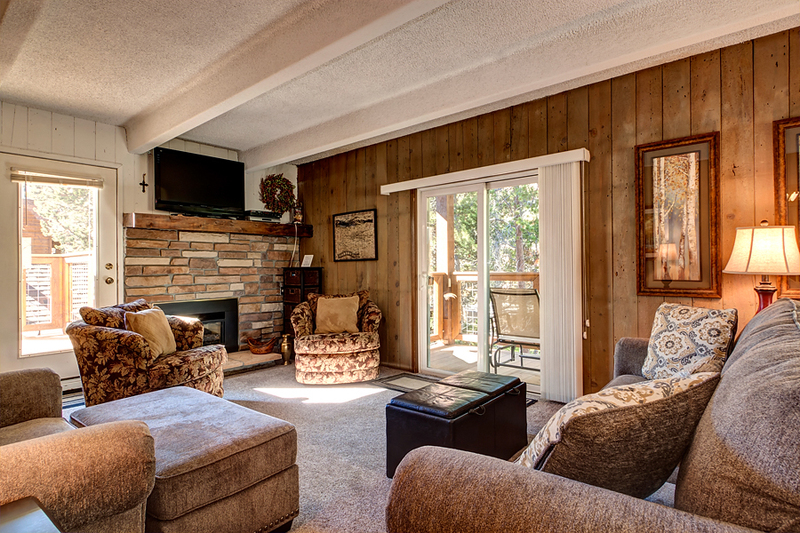 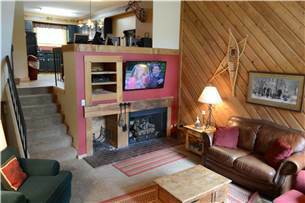 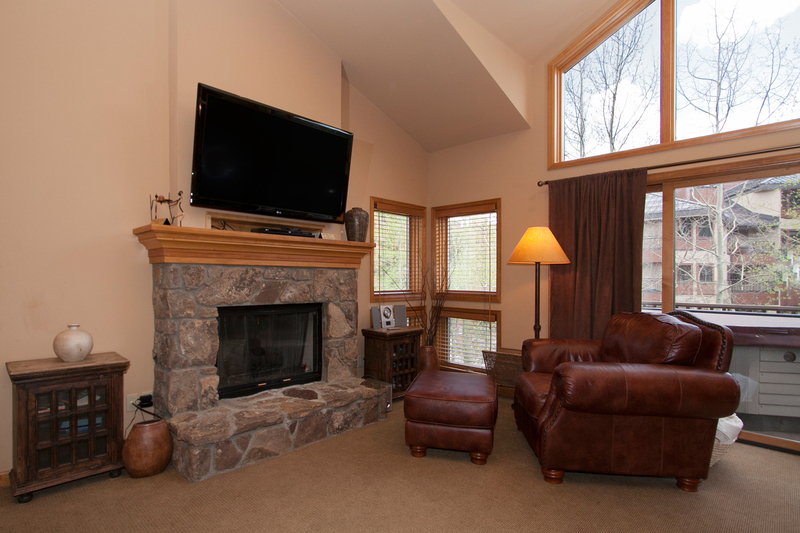 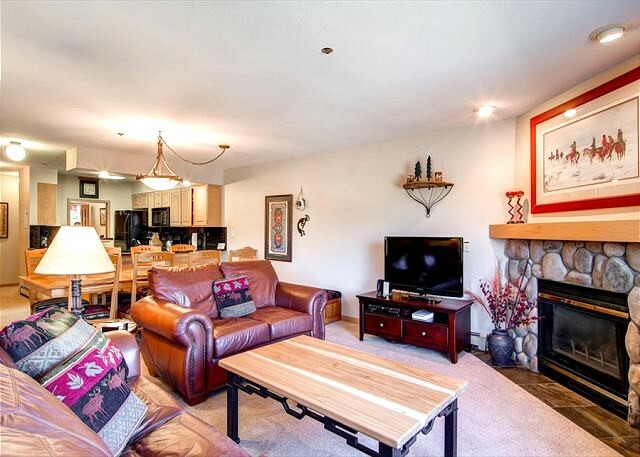 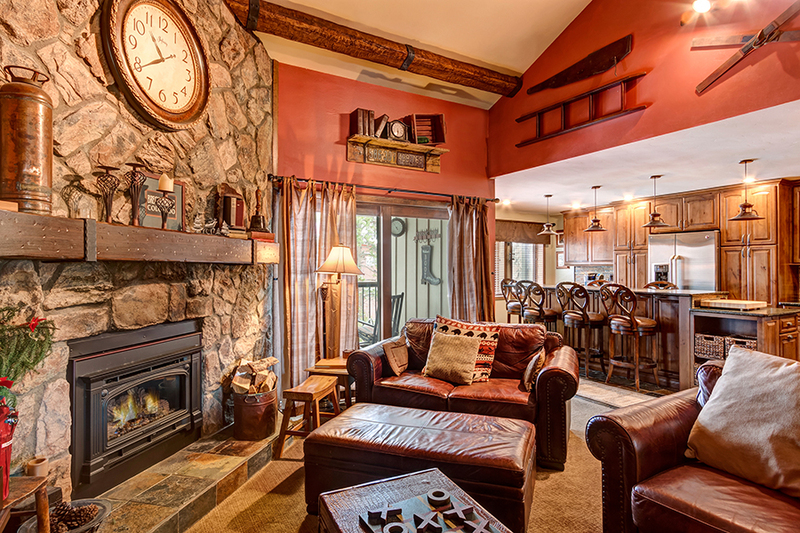 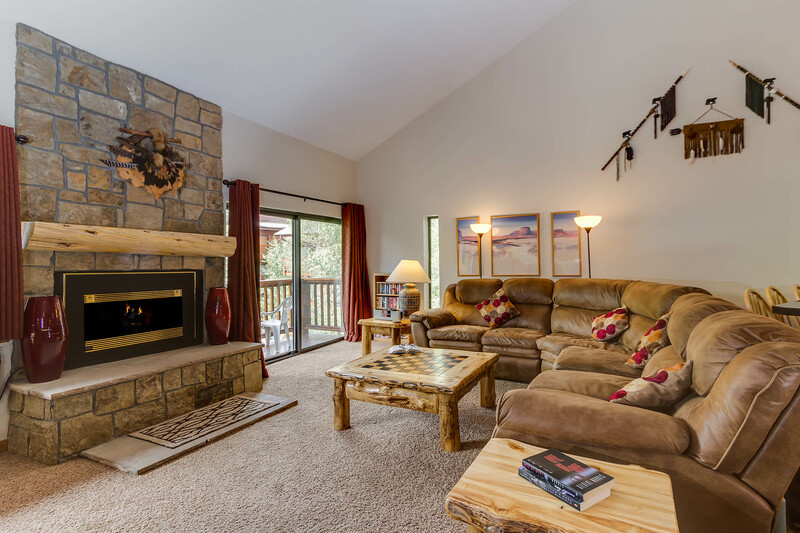 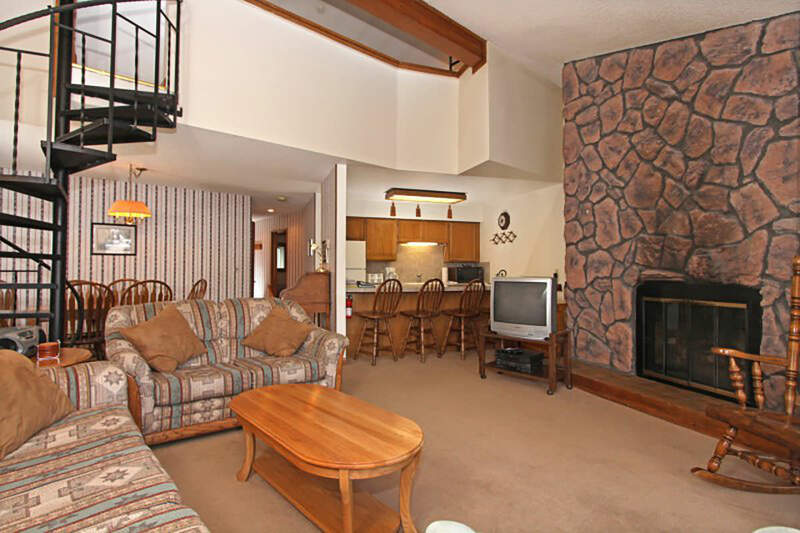 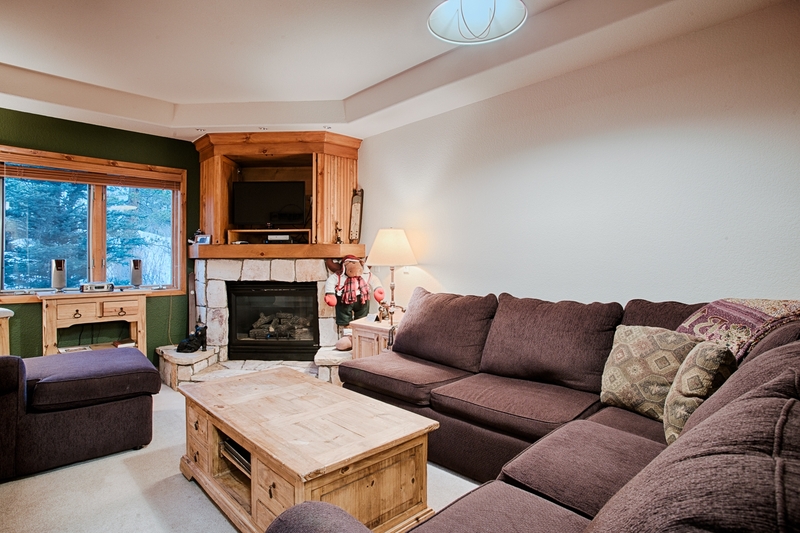 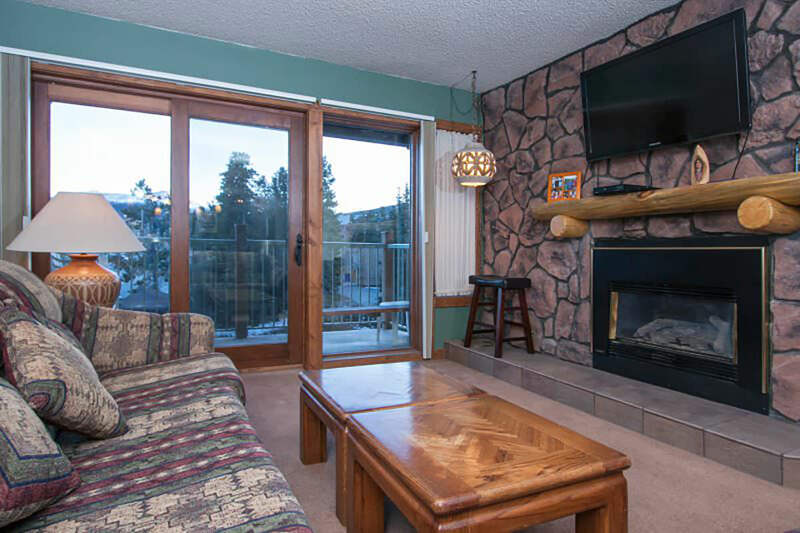 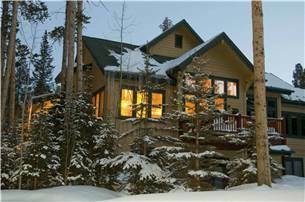 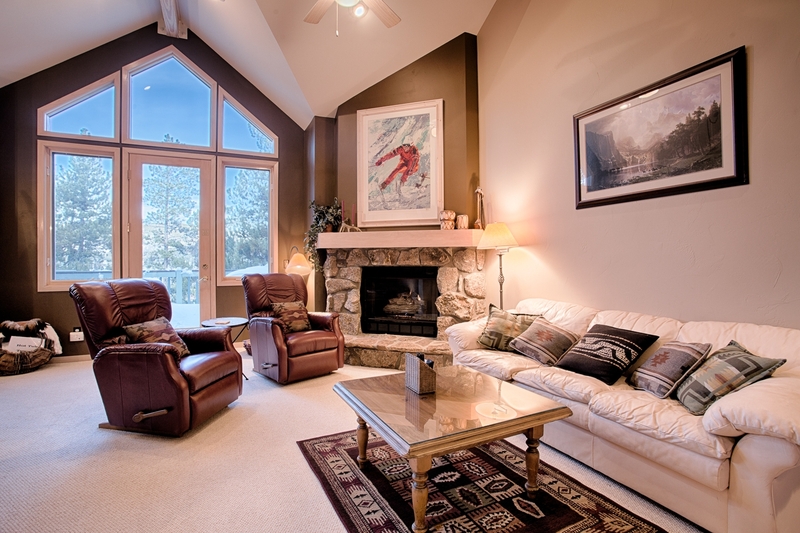 Warm up by the lovely wood-burning fireplace or in the nearby hot tub. 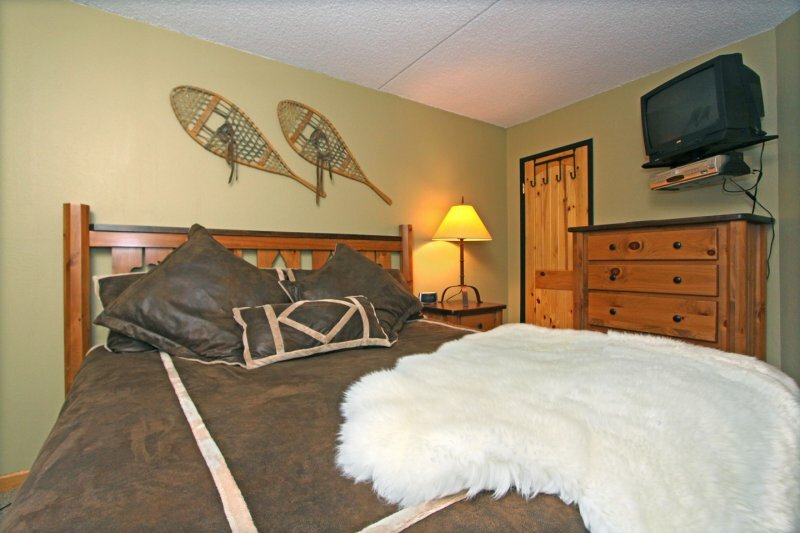 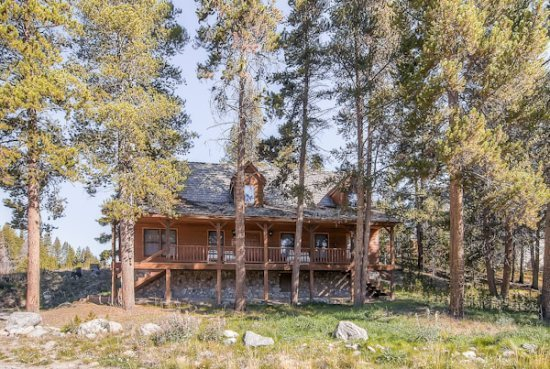 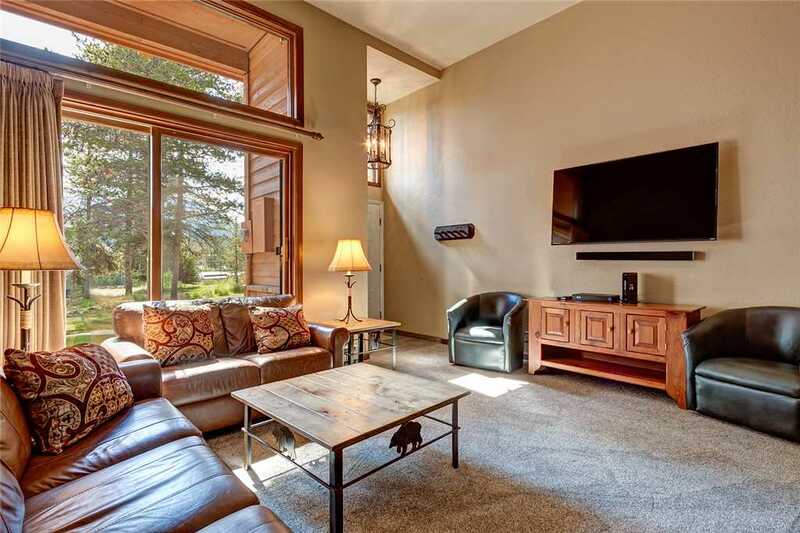 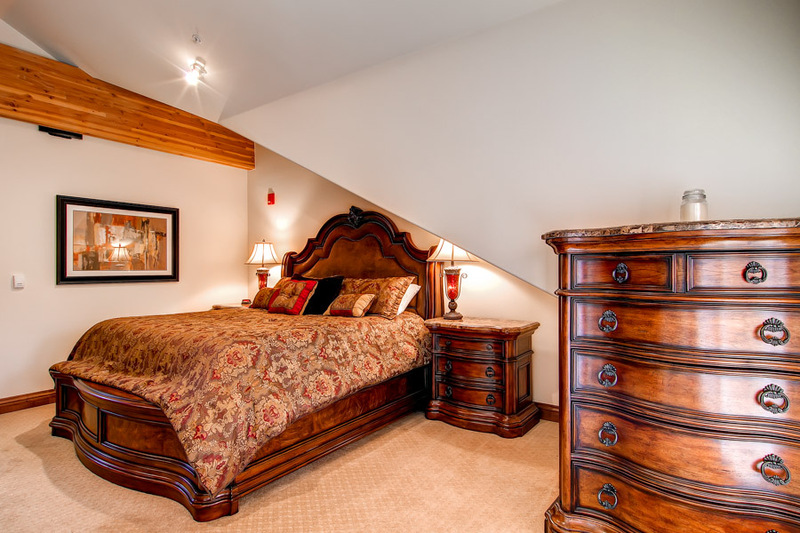 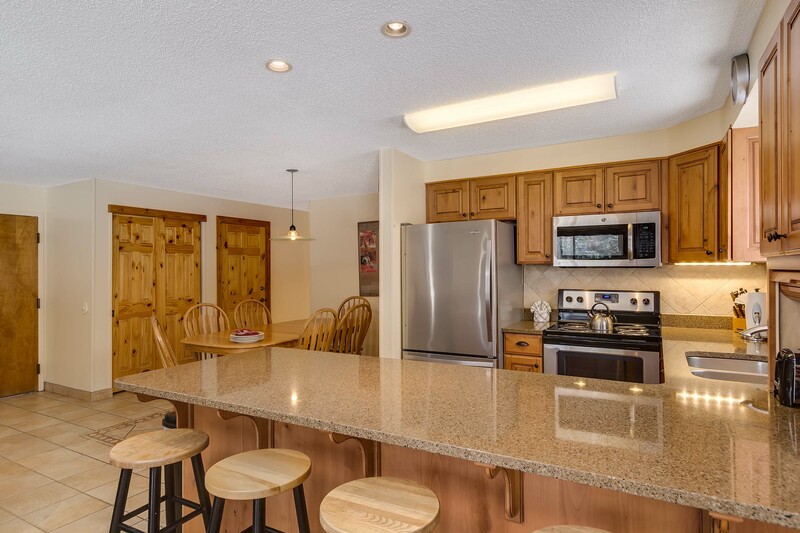 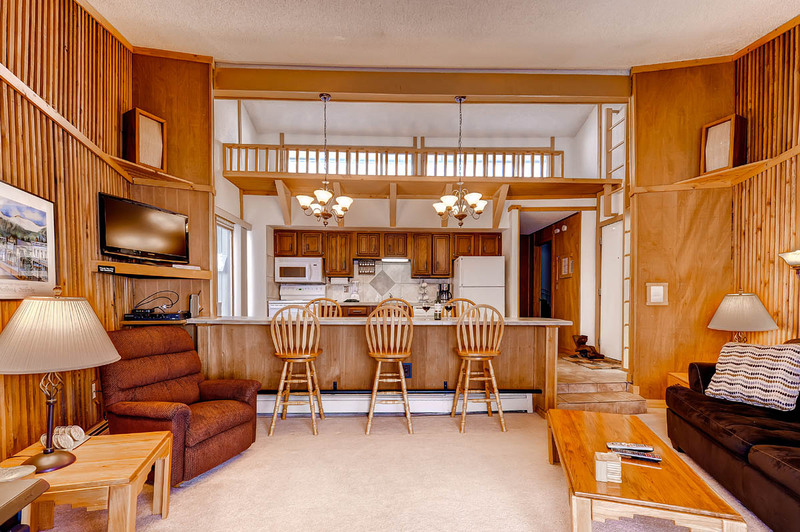 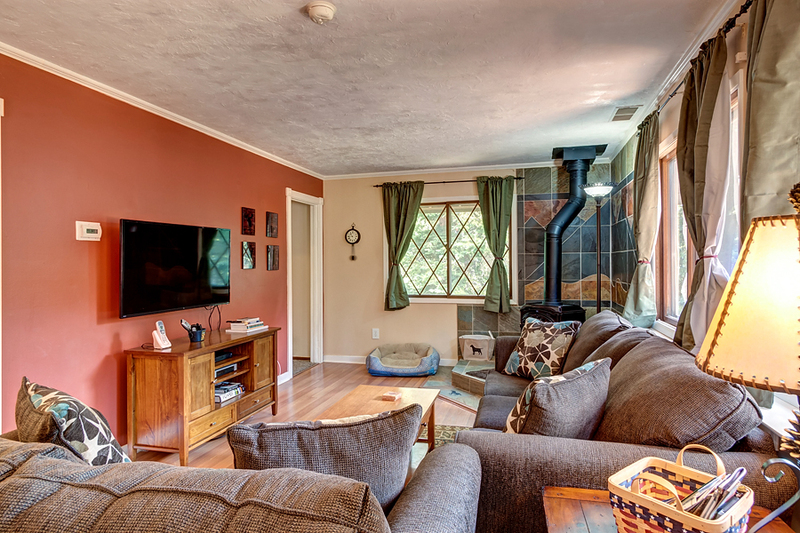 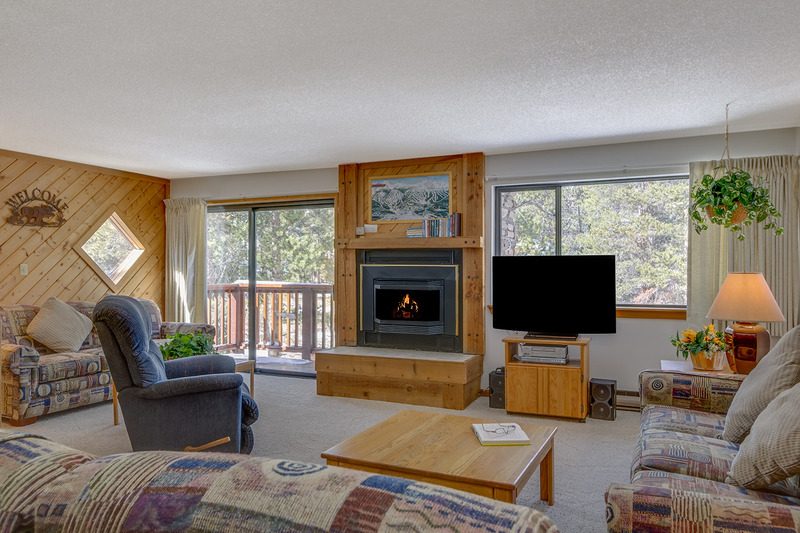 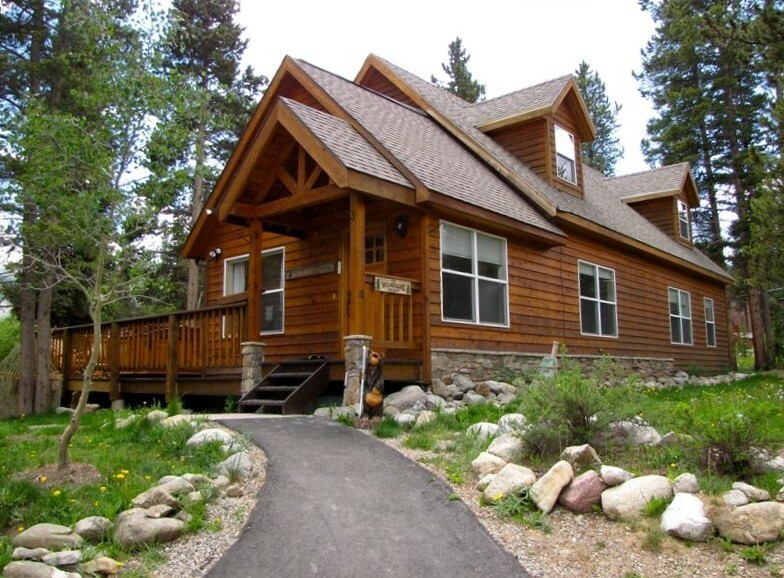 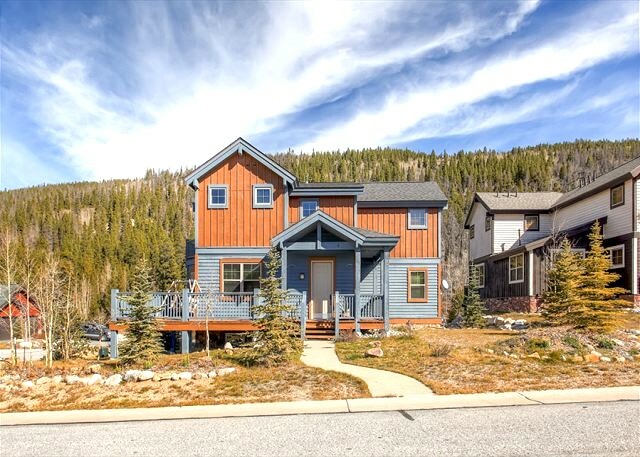 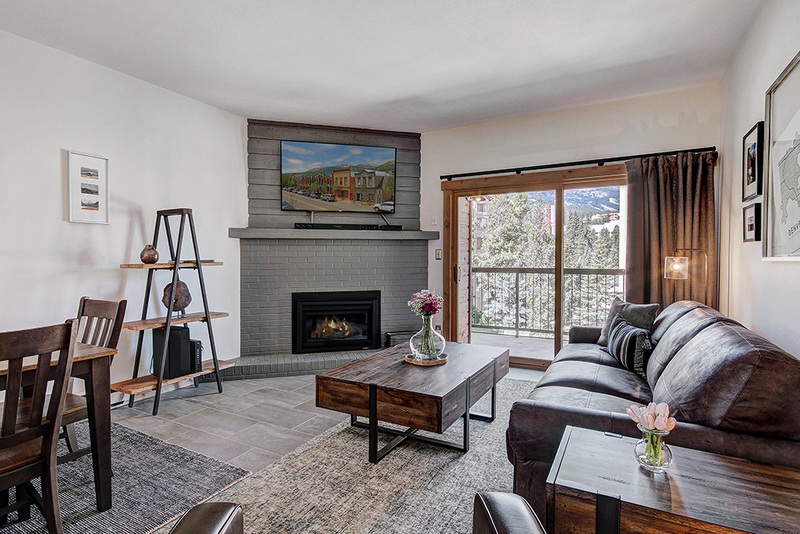 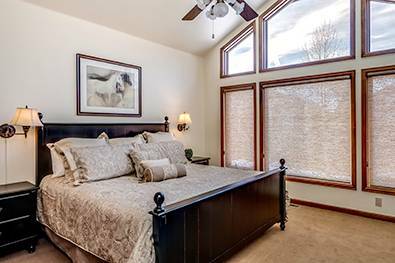 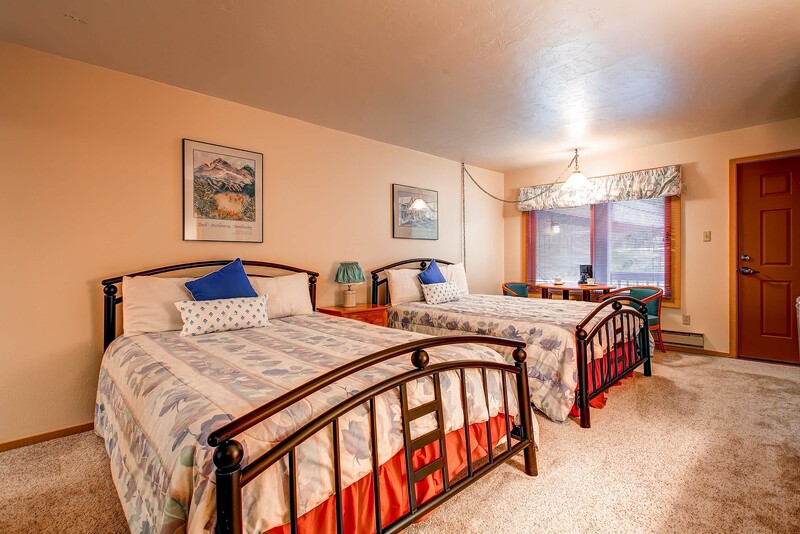 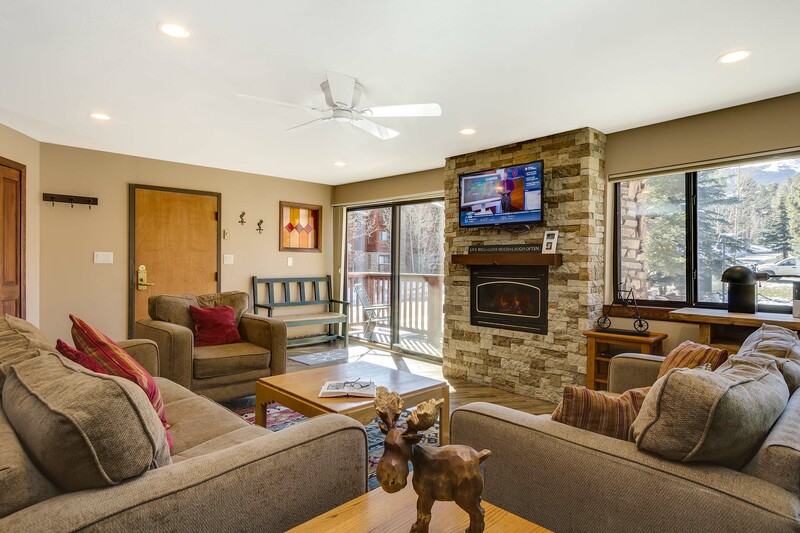 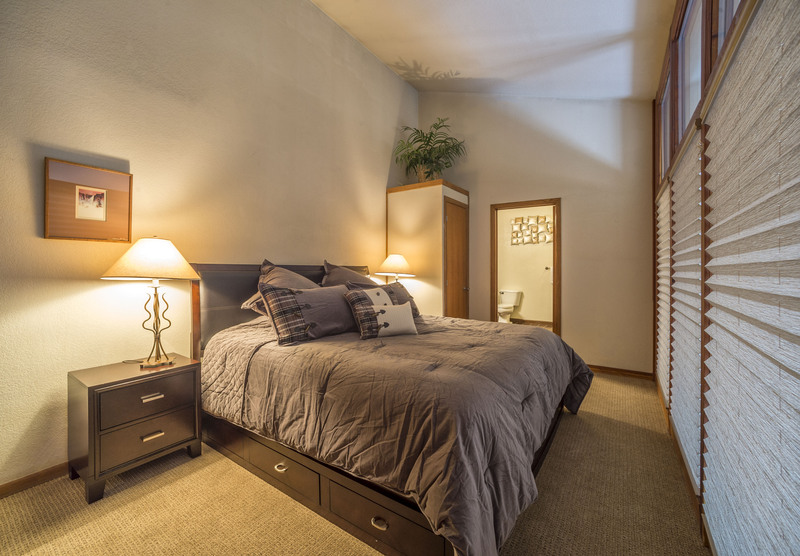 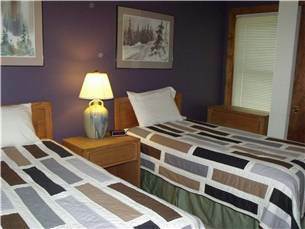 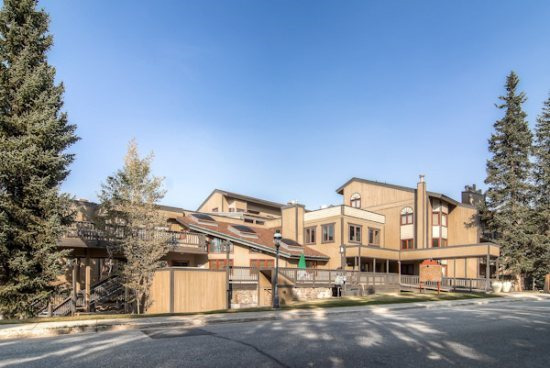 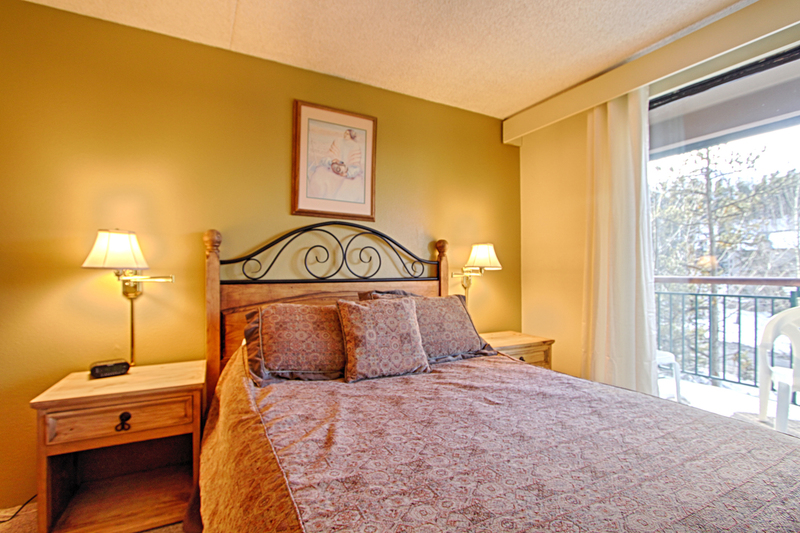 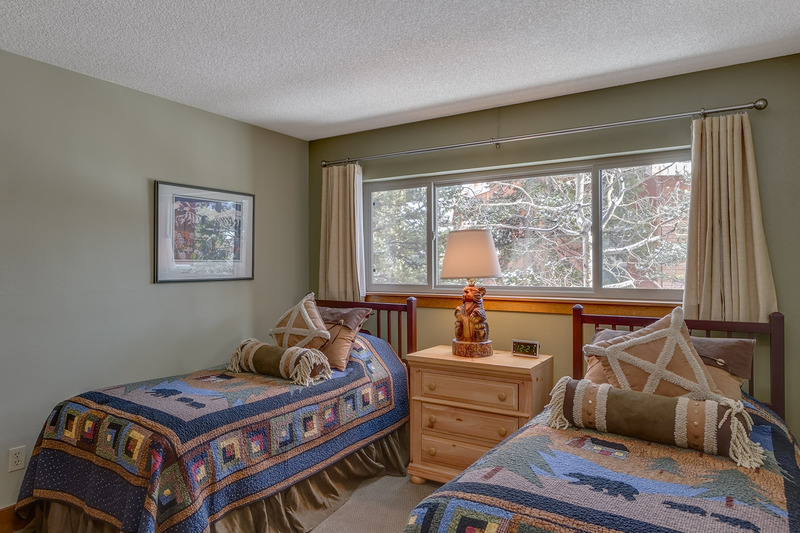 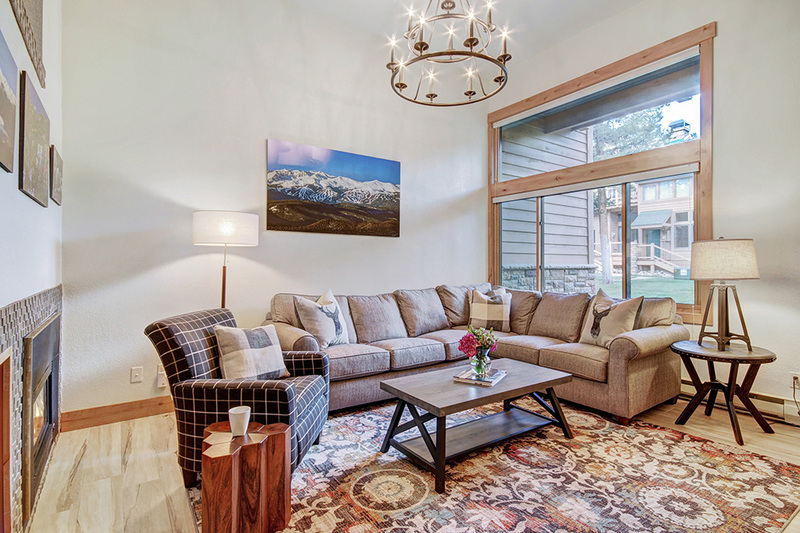 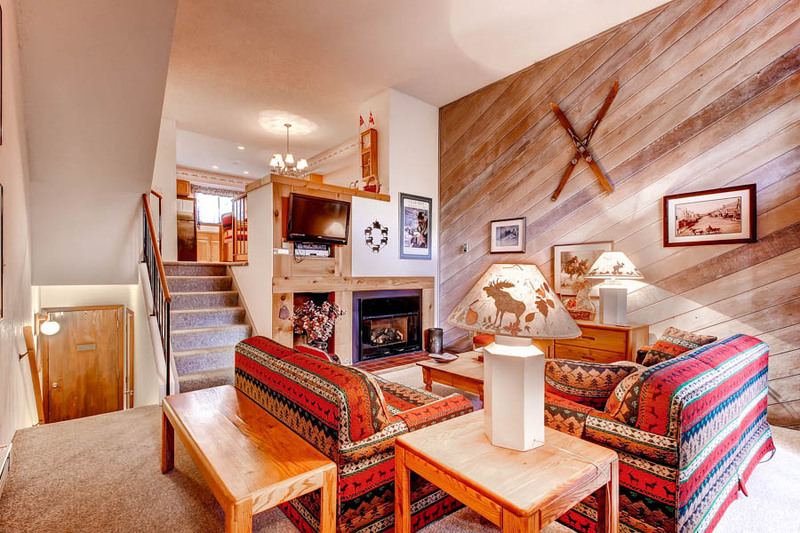 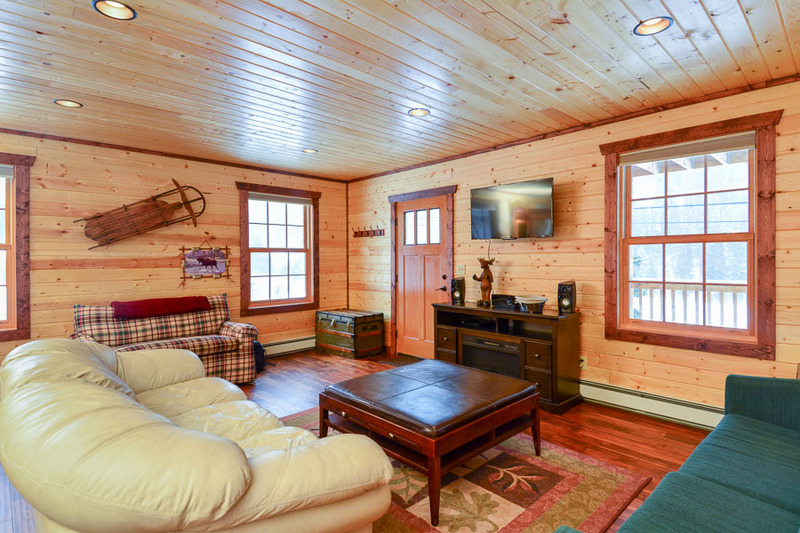 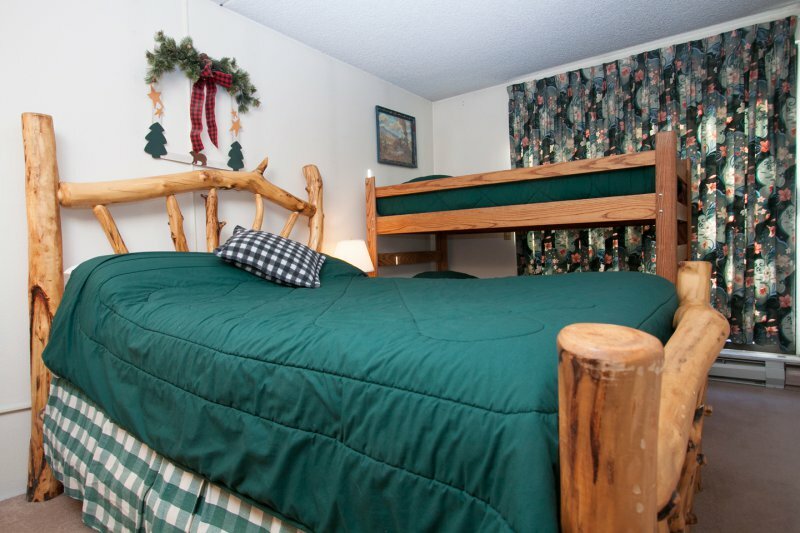 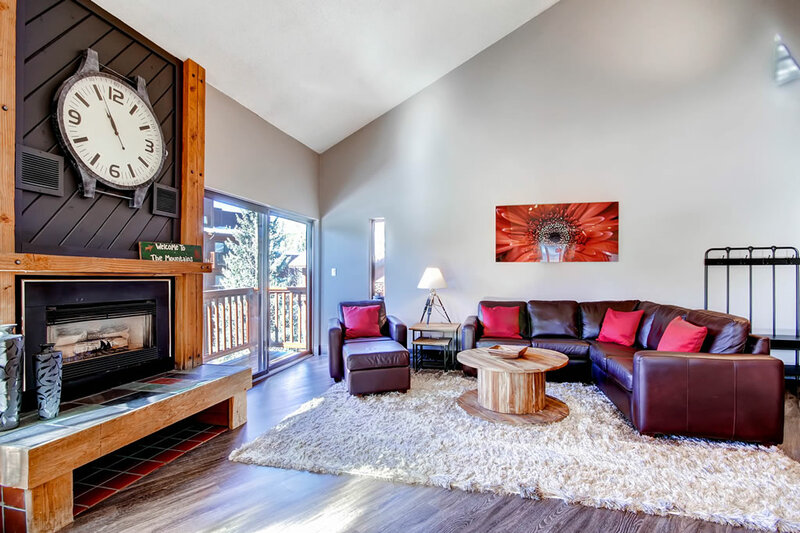 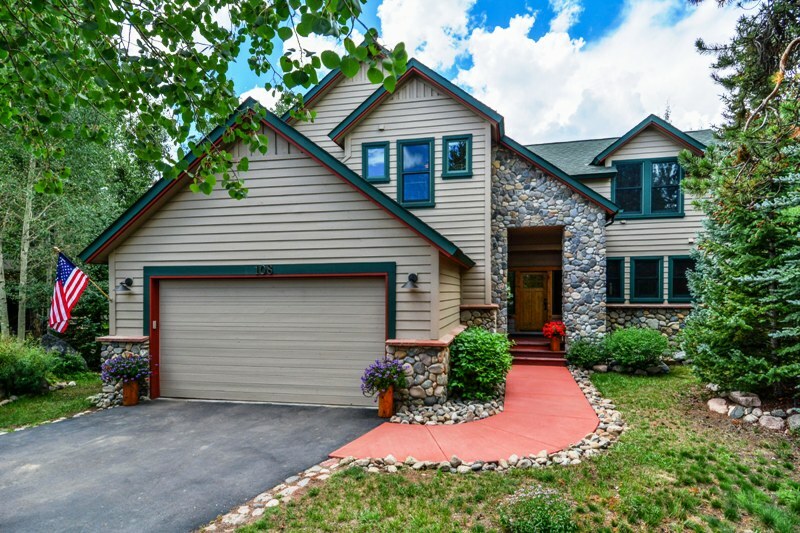 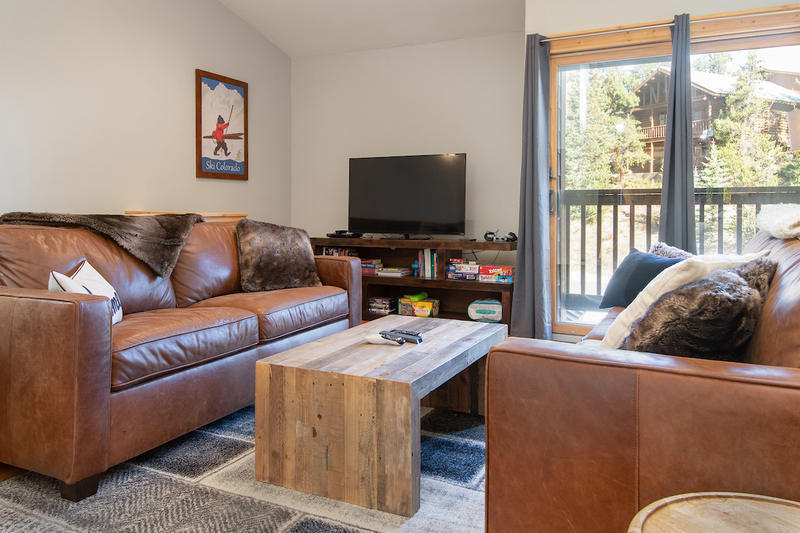 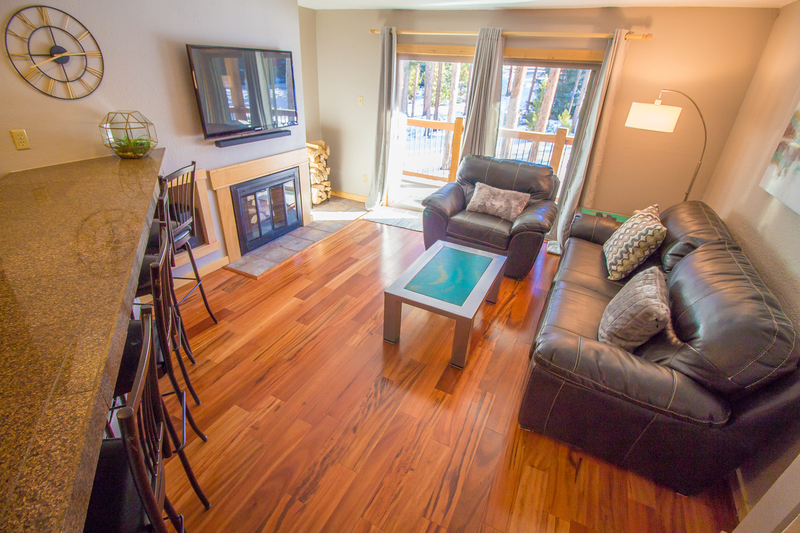 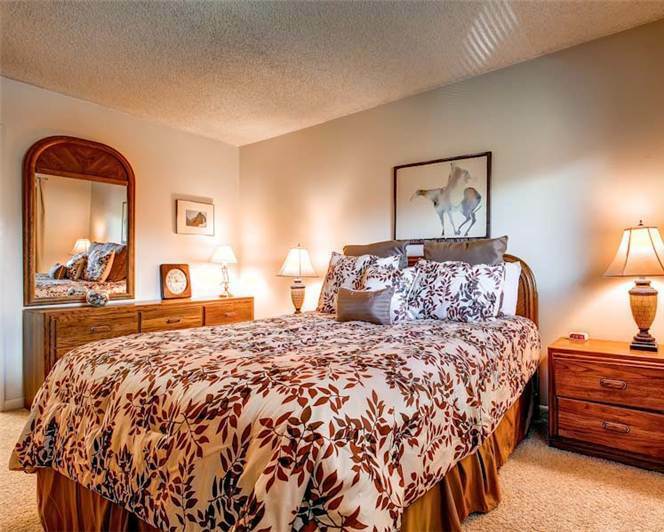 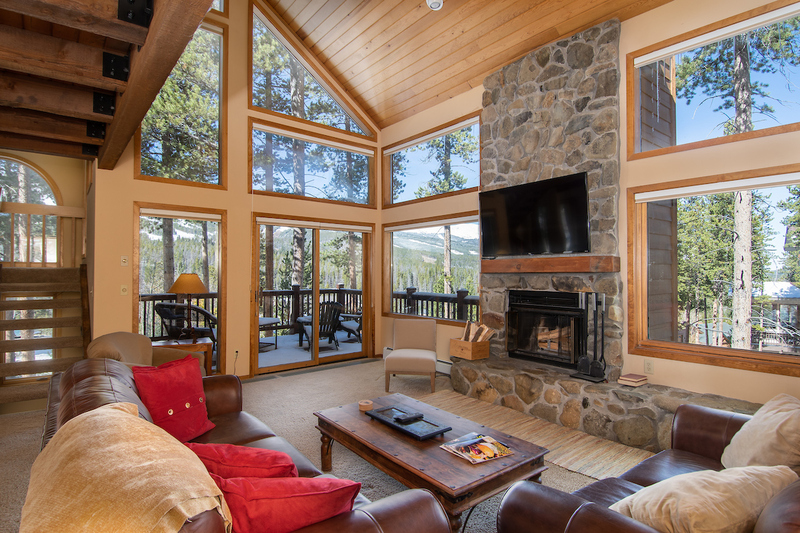 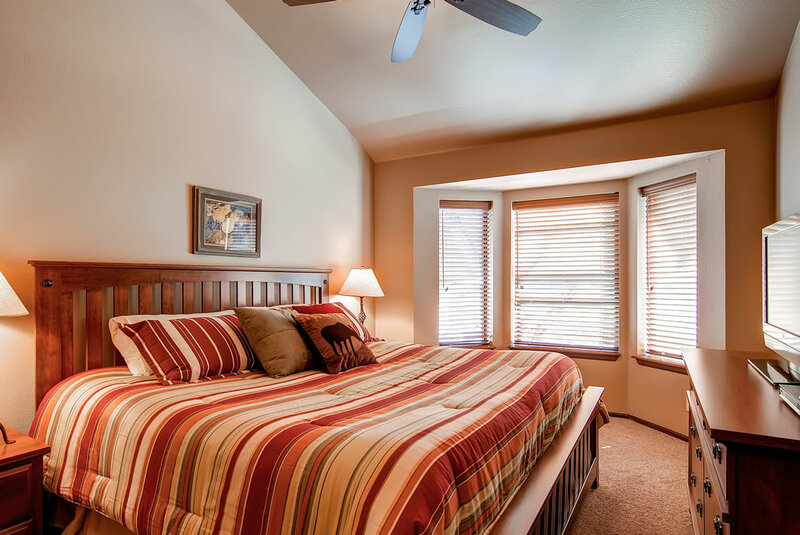 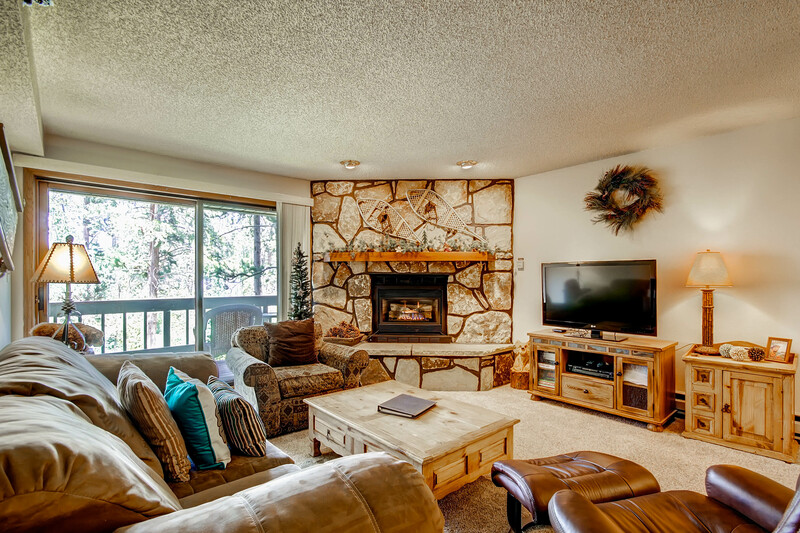 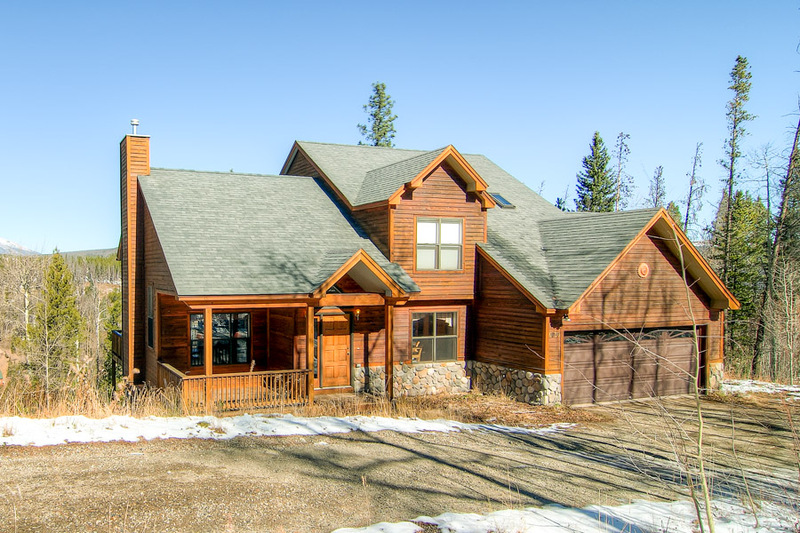 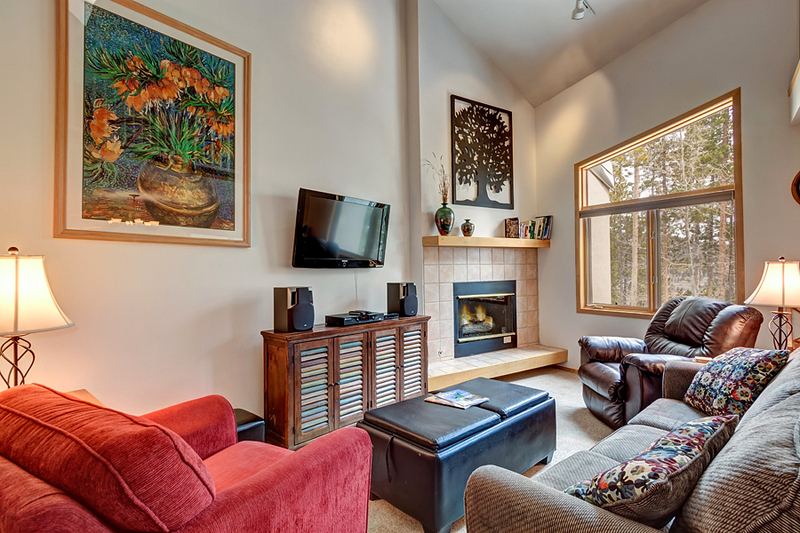 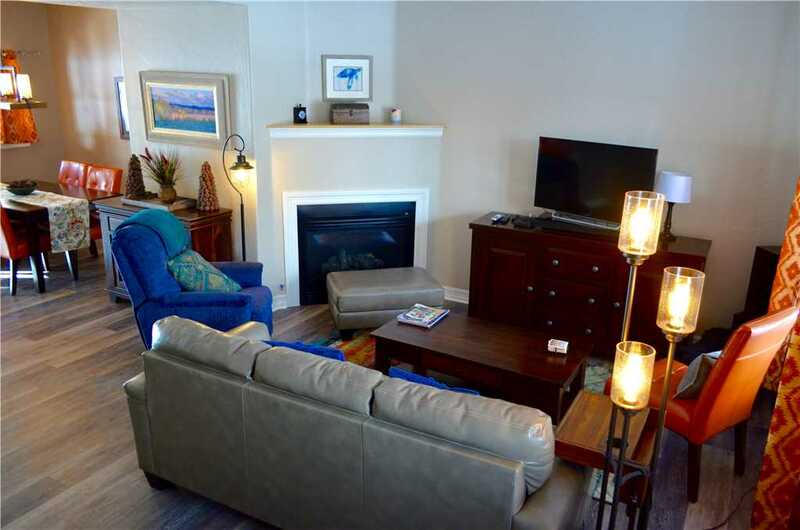 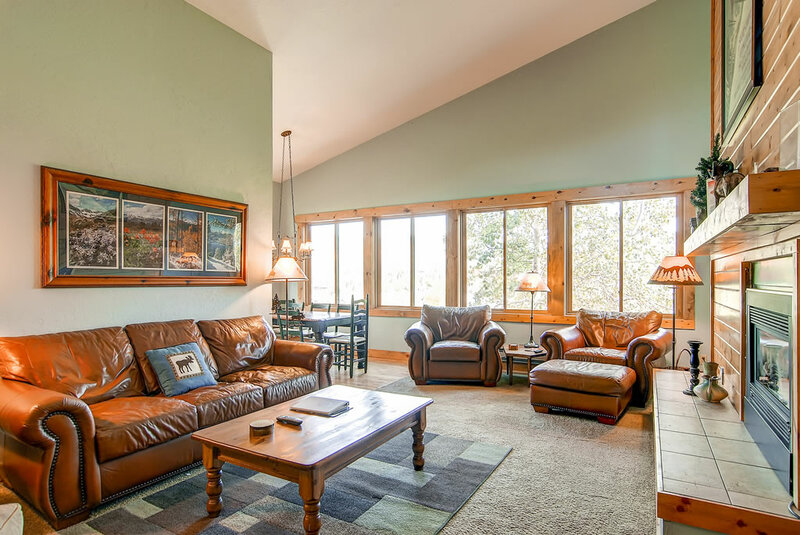 Guests are treated to many “just like home” conveniences like televisions both in the living room and the master bedroom, wall-mounted hair dryers, humidifier, books, puzzles plus all the Pine Ridge amenities. 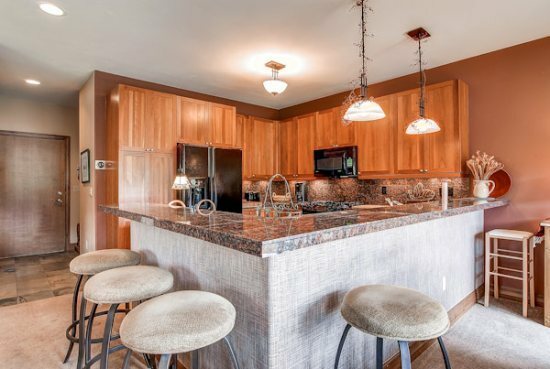 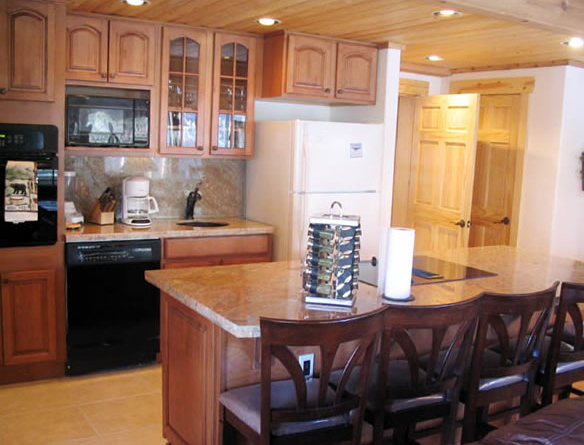 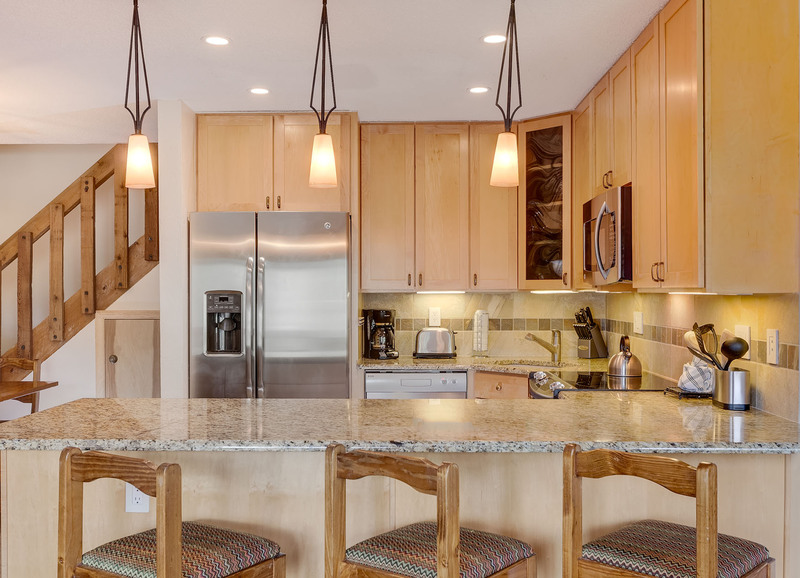 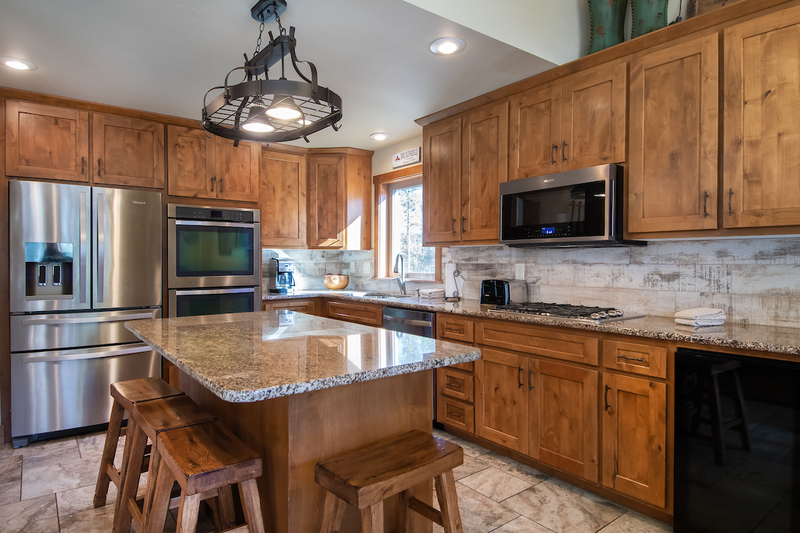 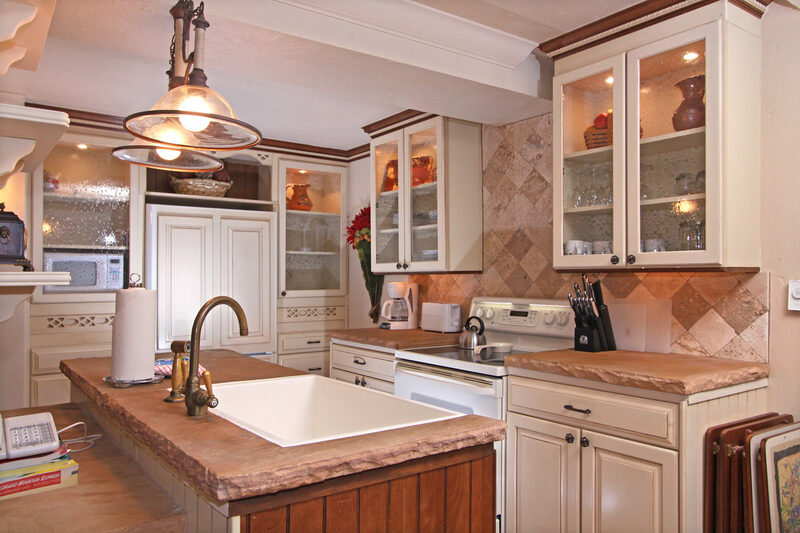 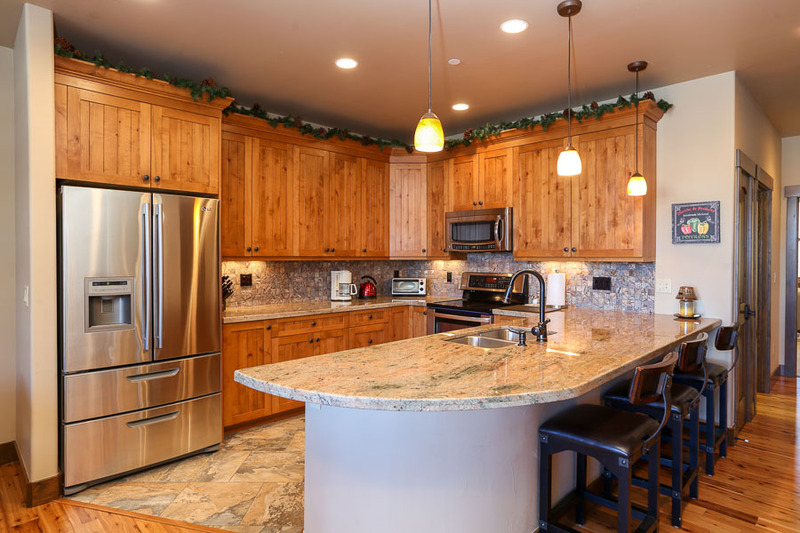 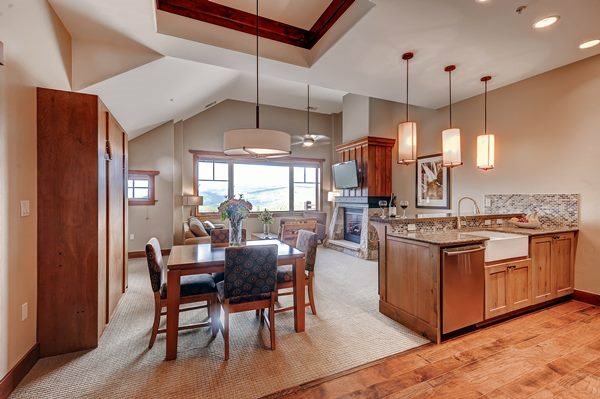 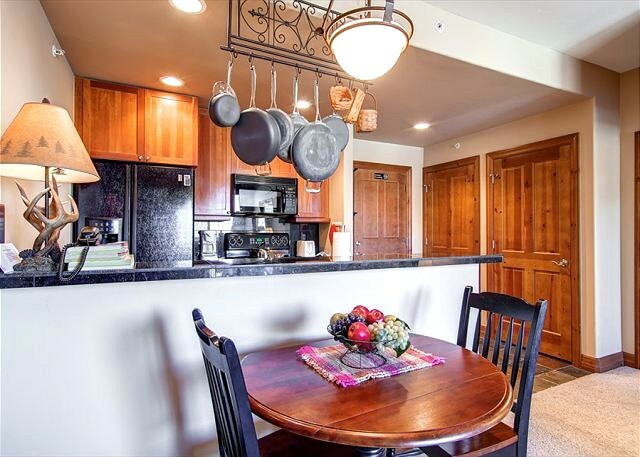 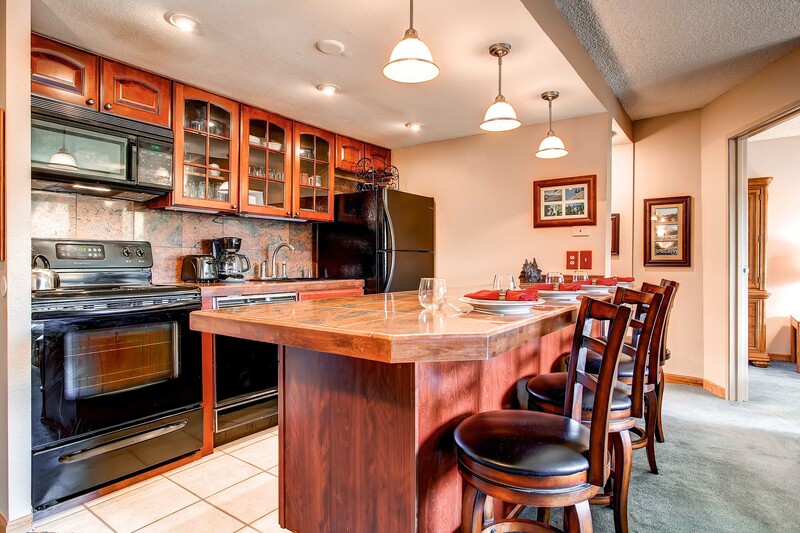 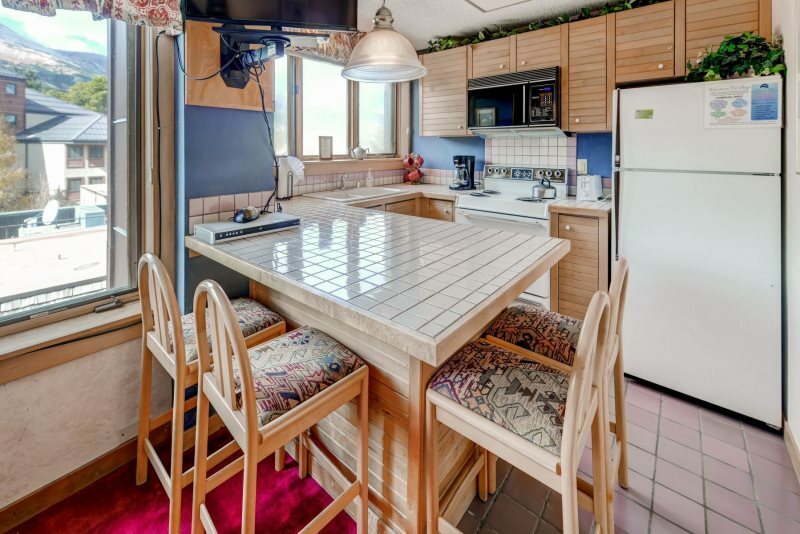 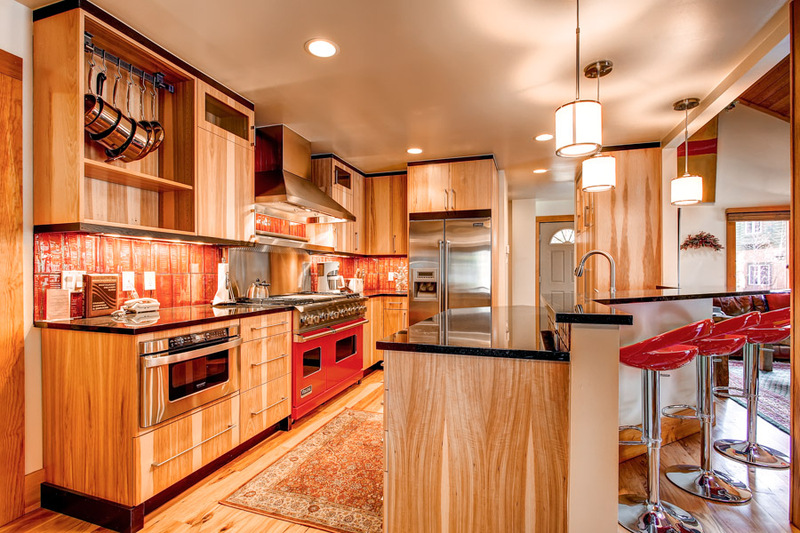 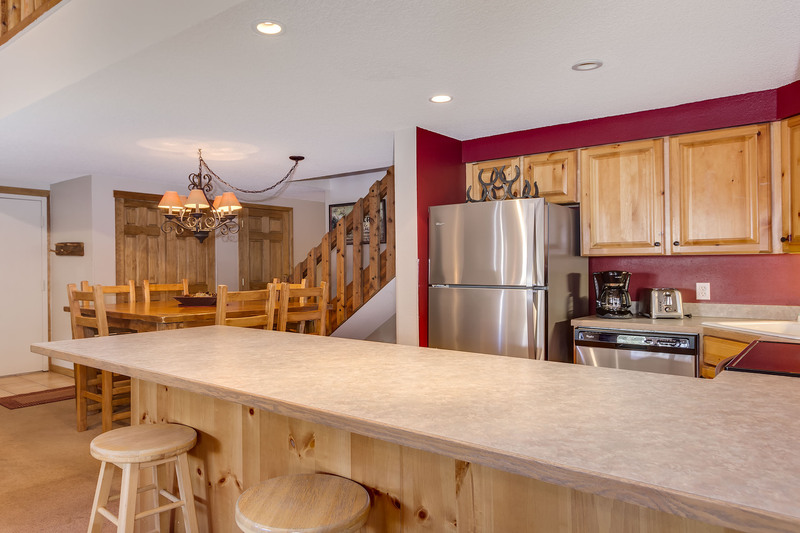 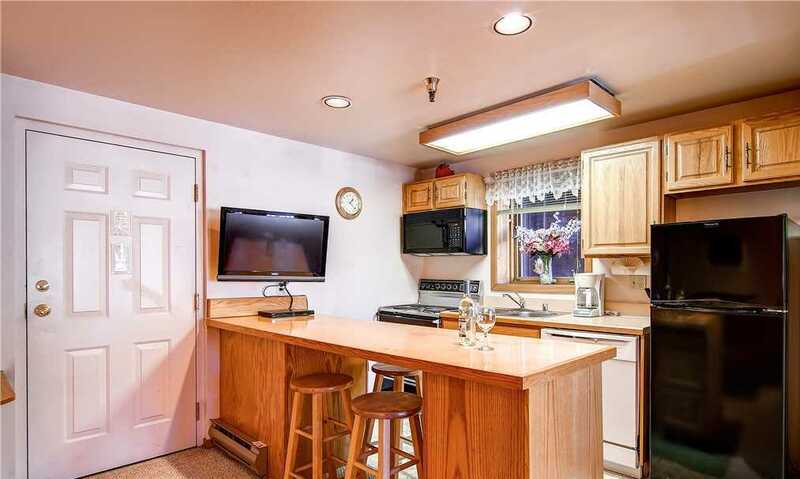 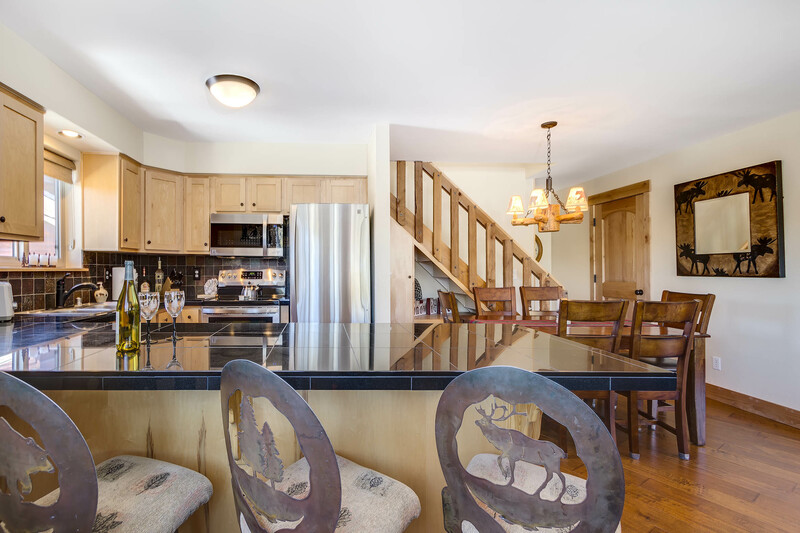 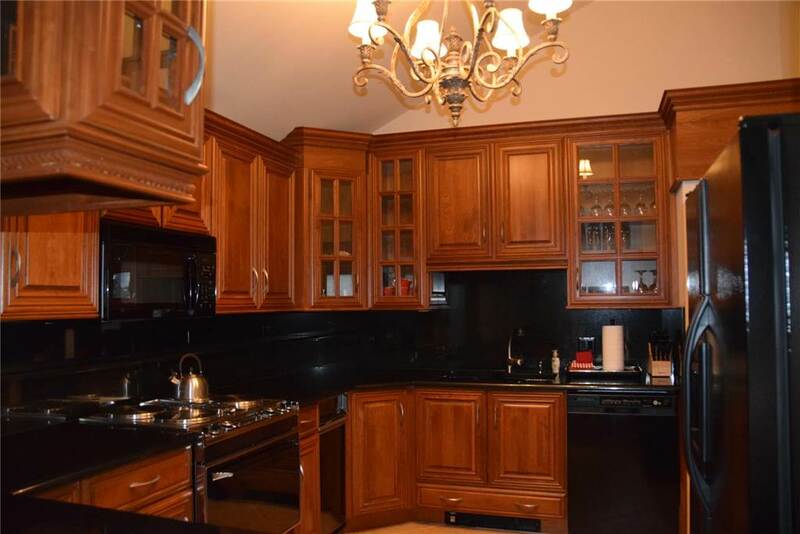 The fully equipped kitchen has undergone an impressive remodel and the breakfast bar seating for four makes it easy for the cooks to join in the living room conversation. 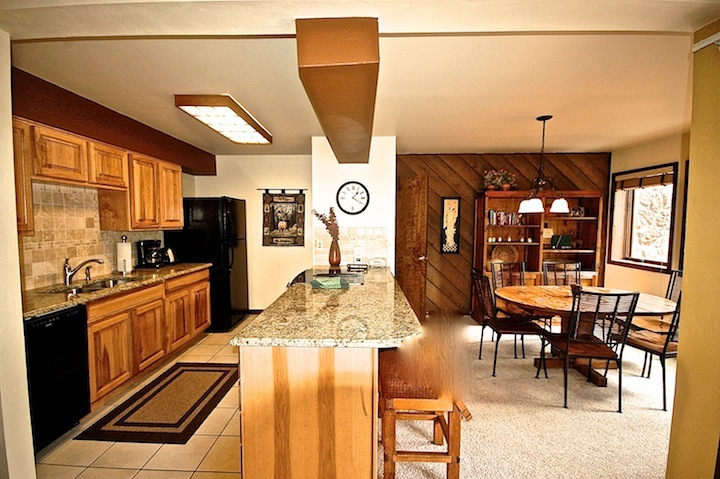 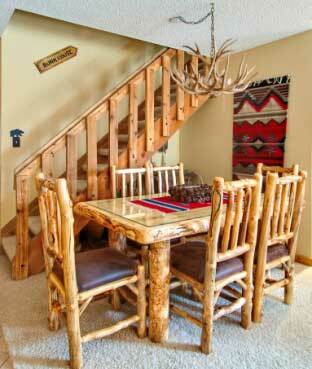 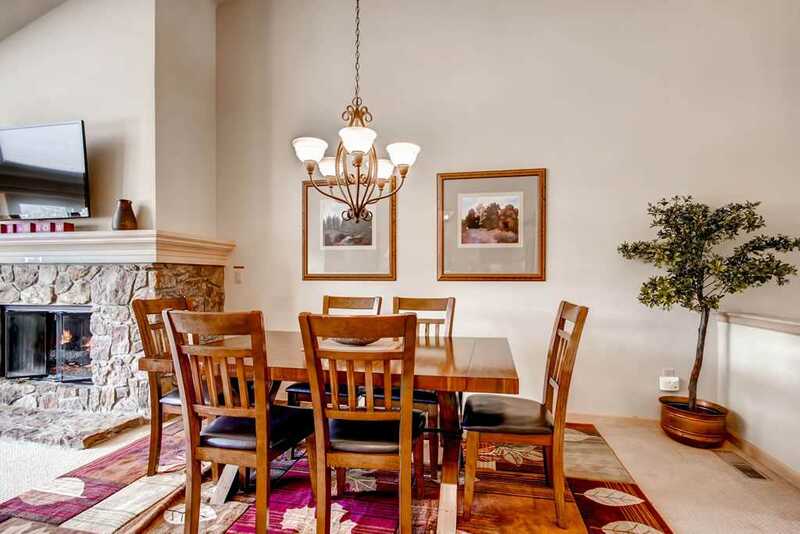 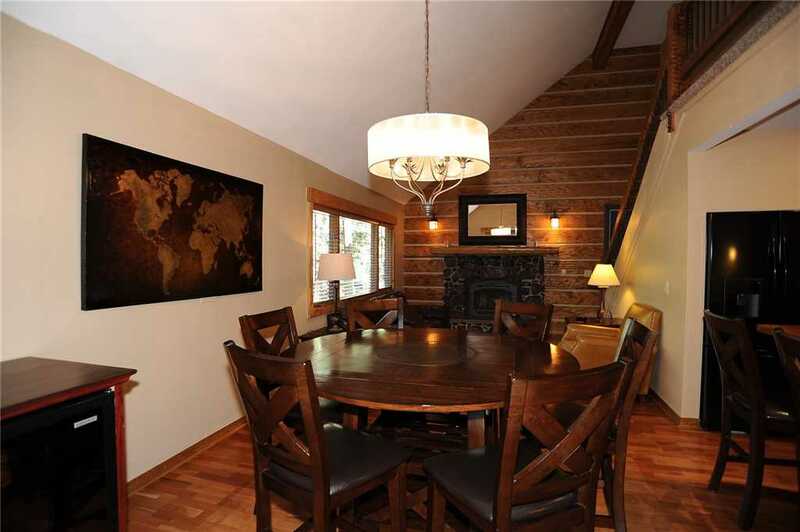 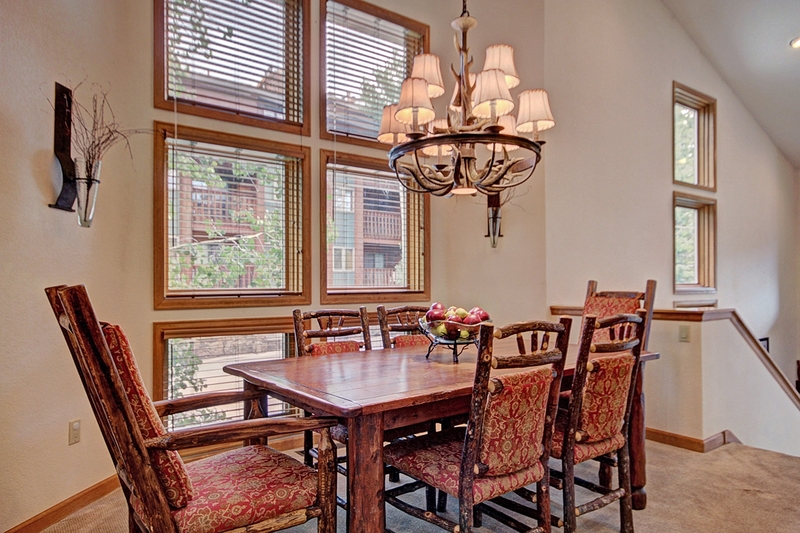 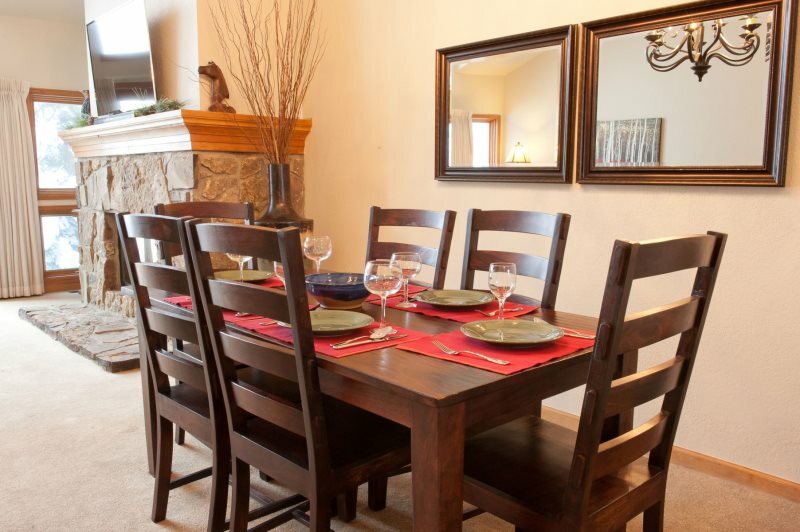 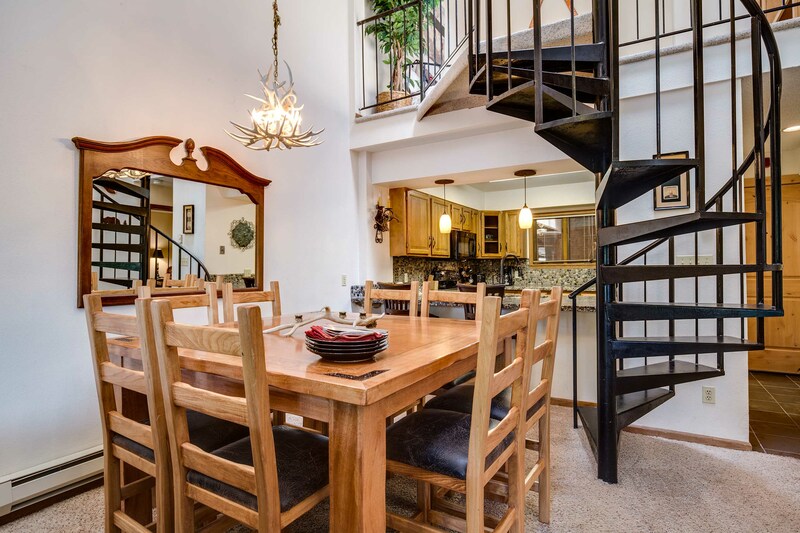 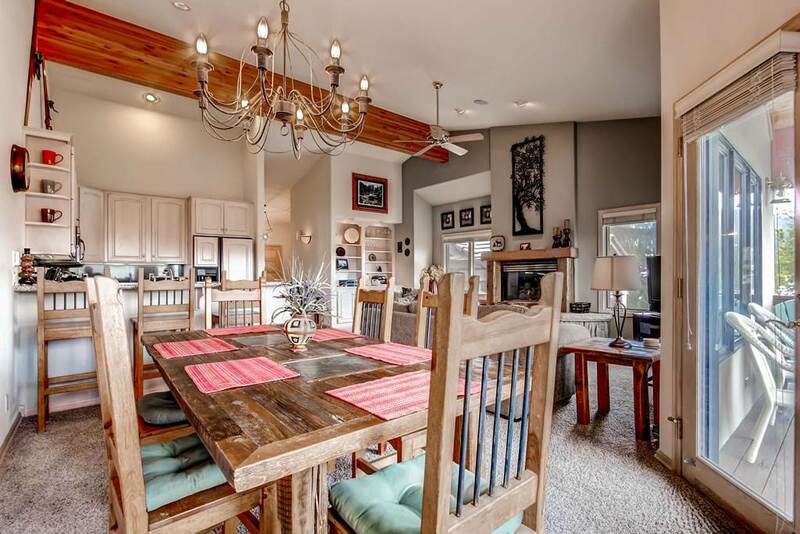 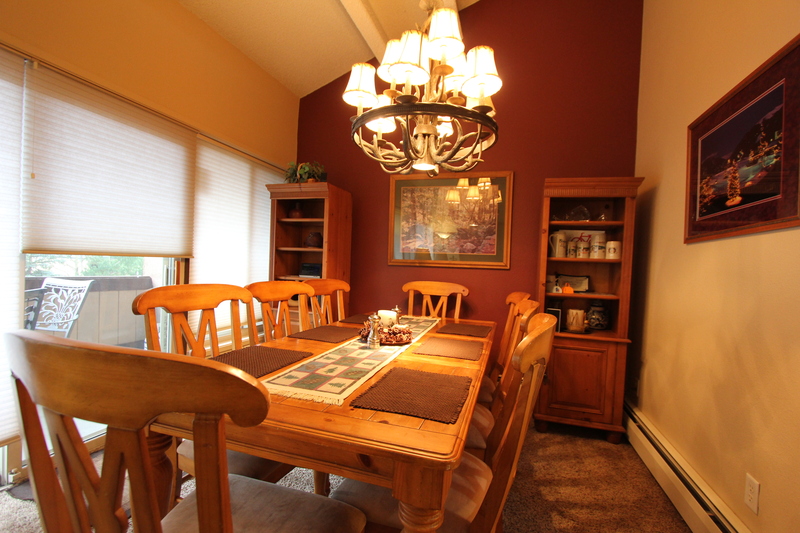 The dining area features a handsome and substantial dining set that seats six.